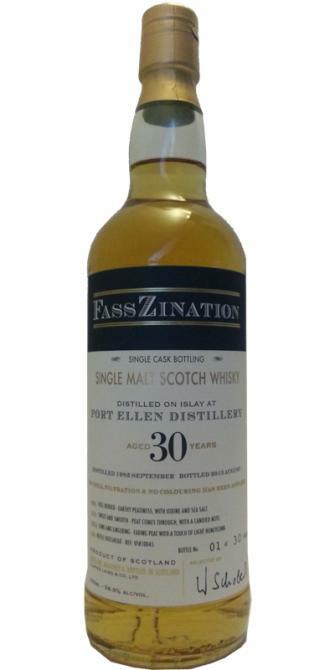 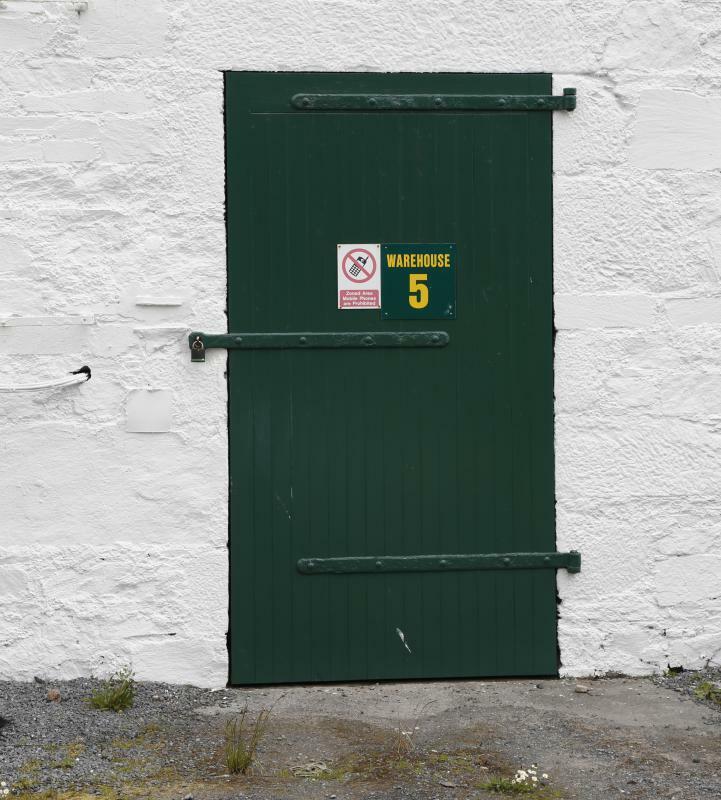 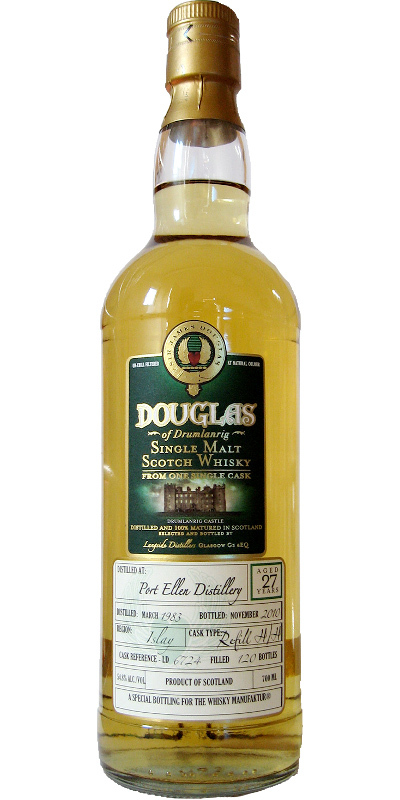 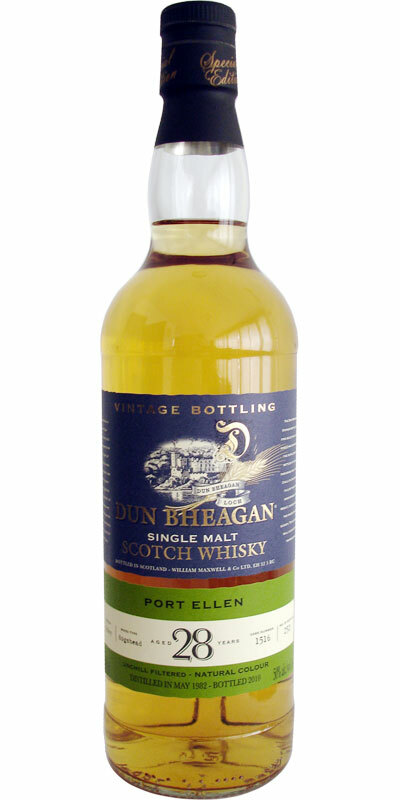 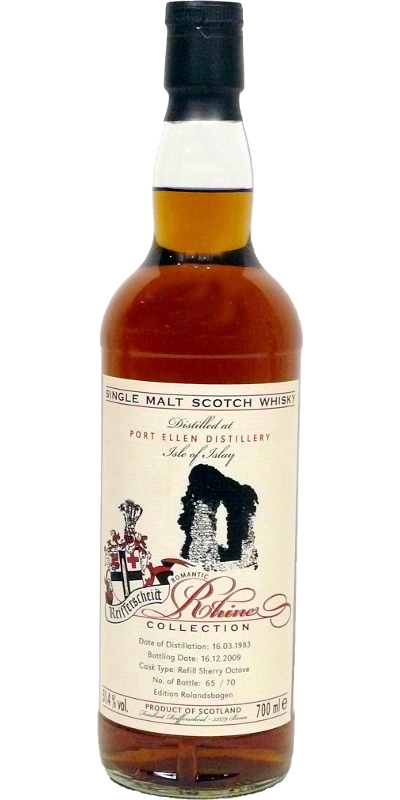 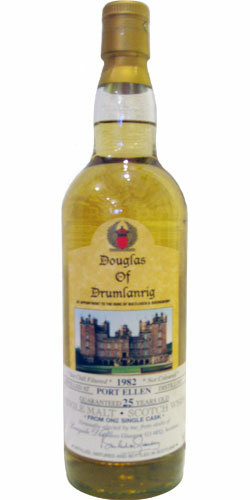 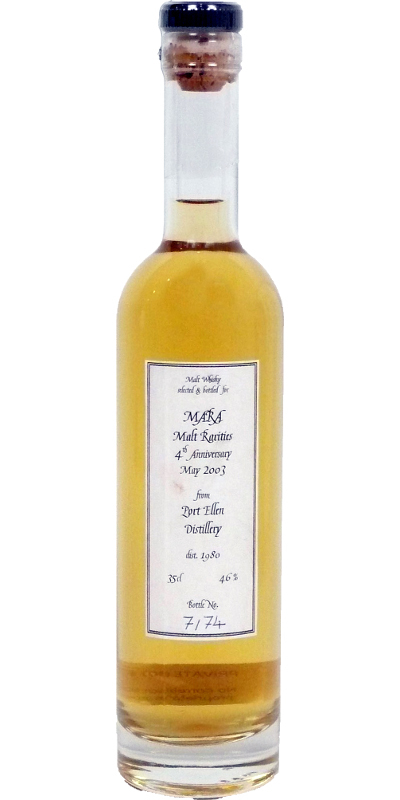 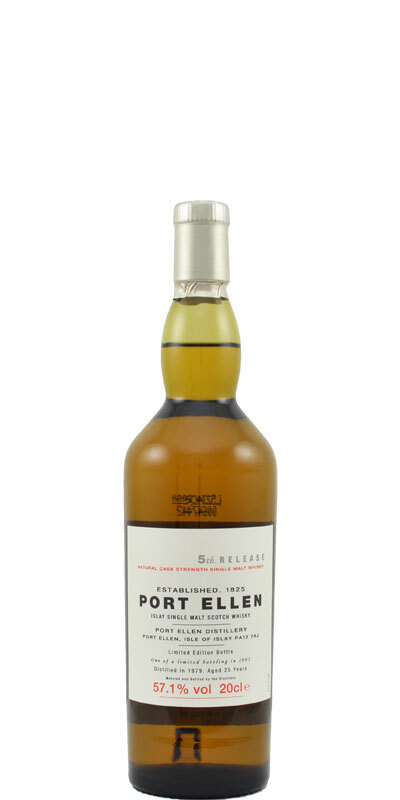 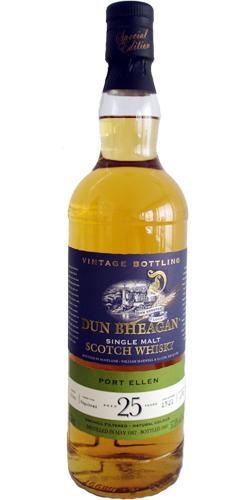 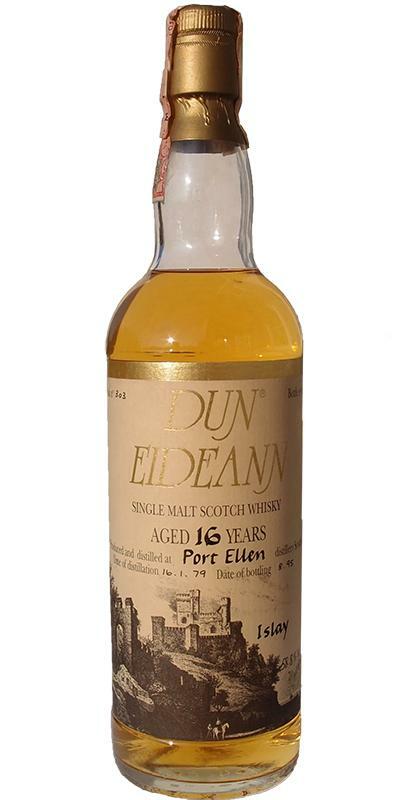 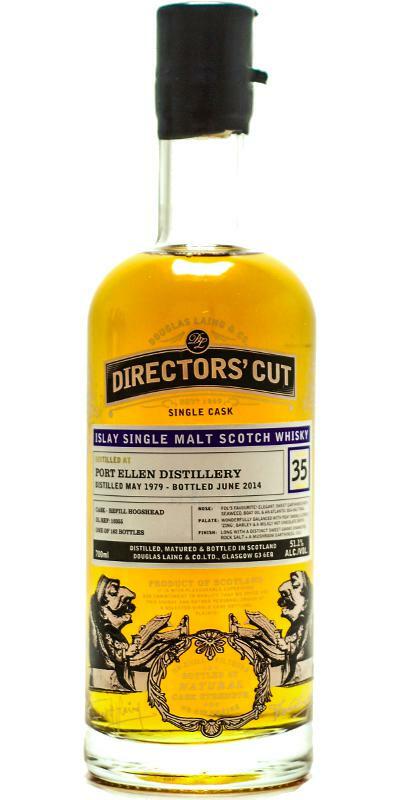 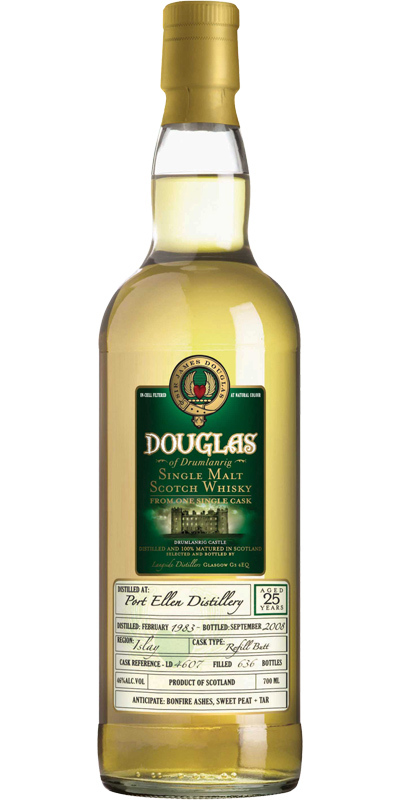 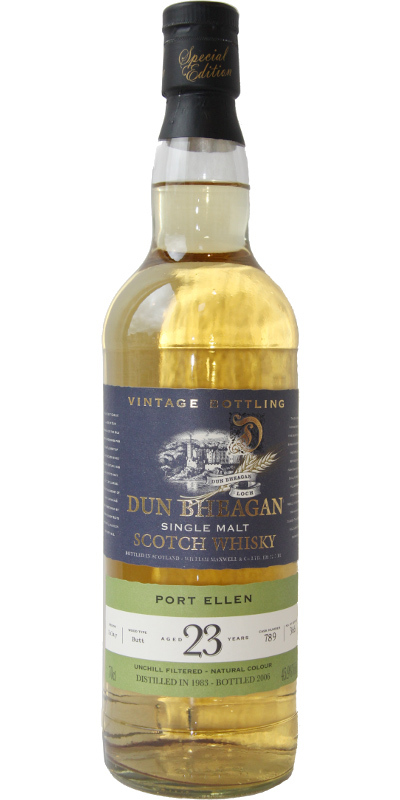 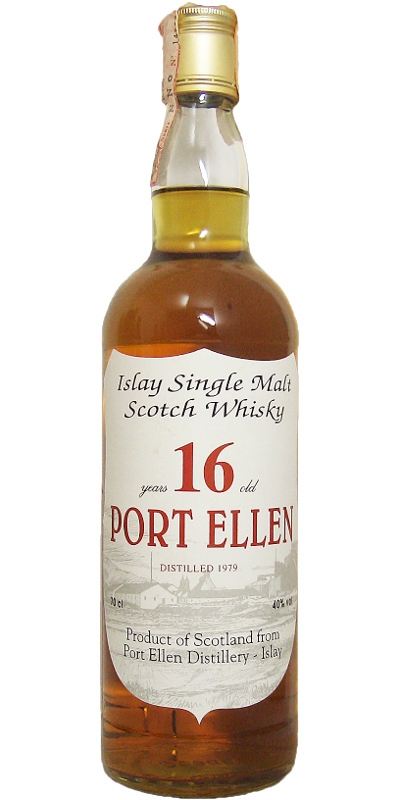 Port Ellen 16-year-old BSD 16 50.0 % Vol. 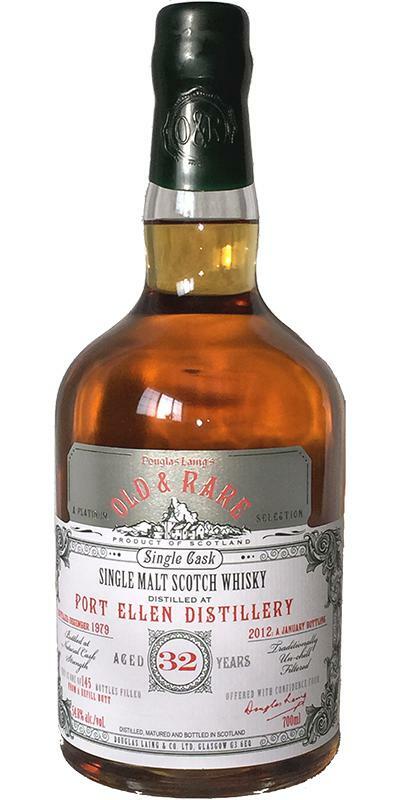 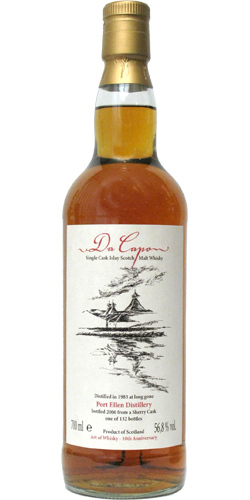 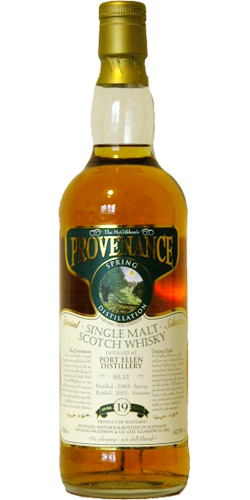 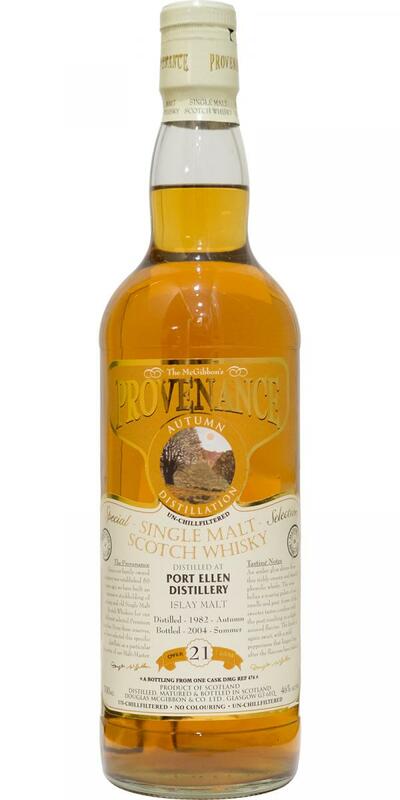 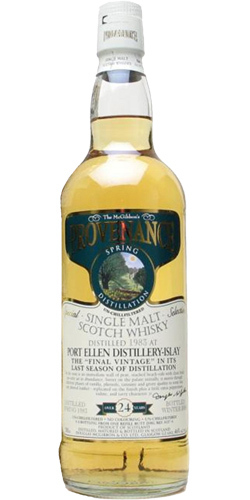 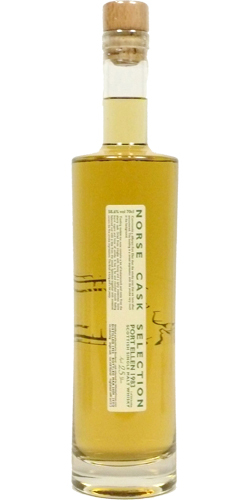 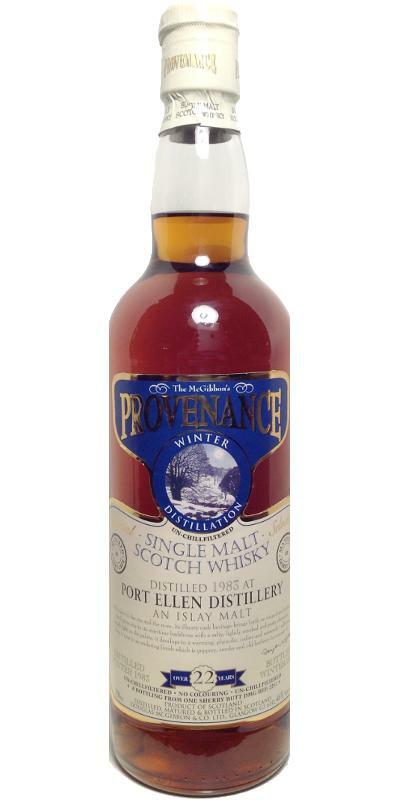 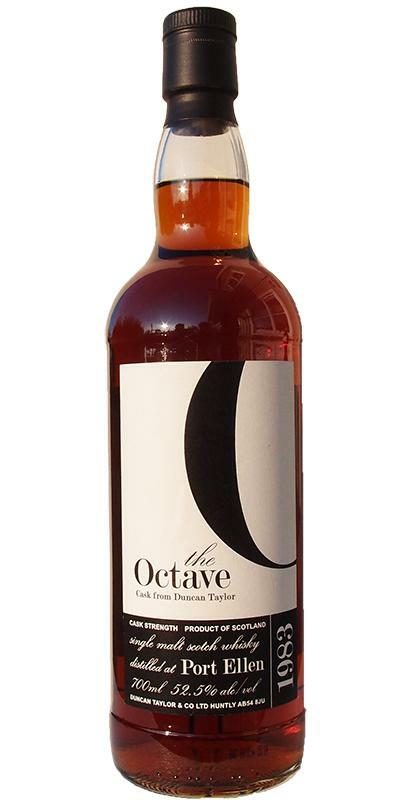 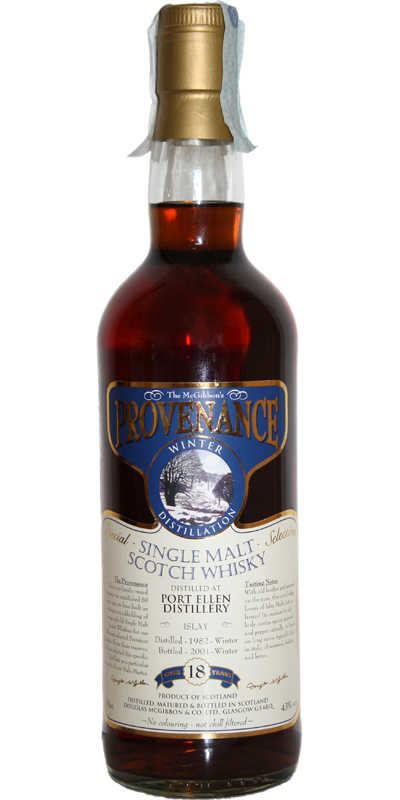 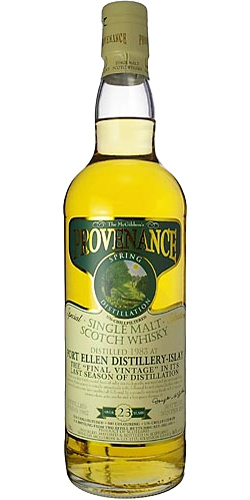 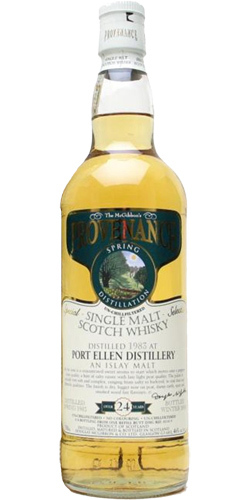 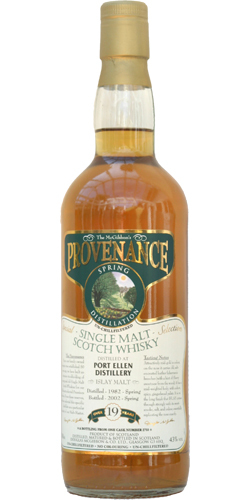 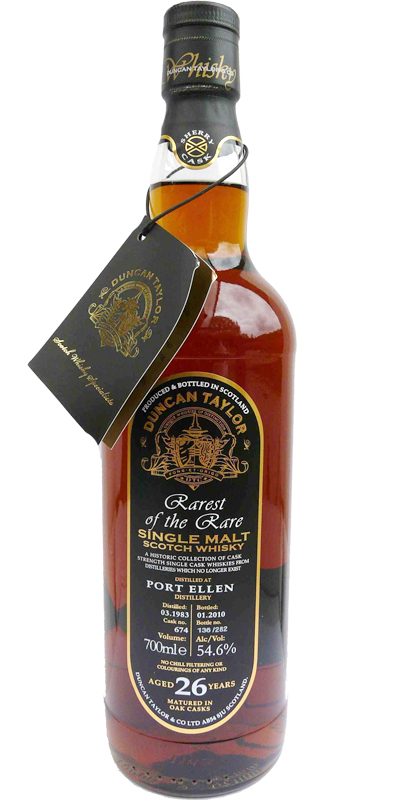 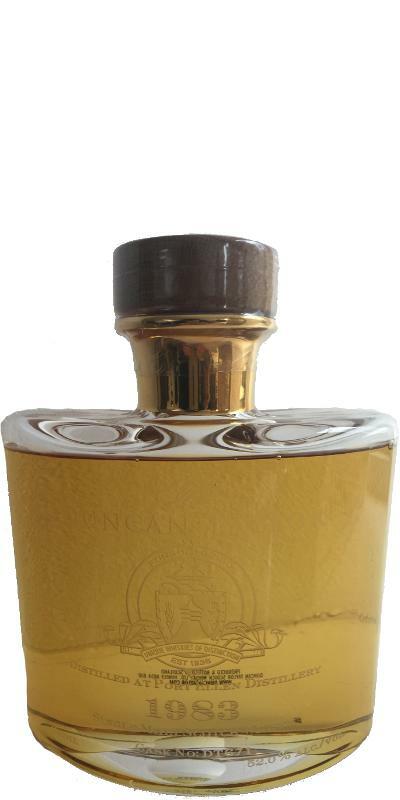 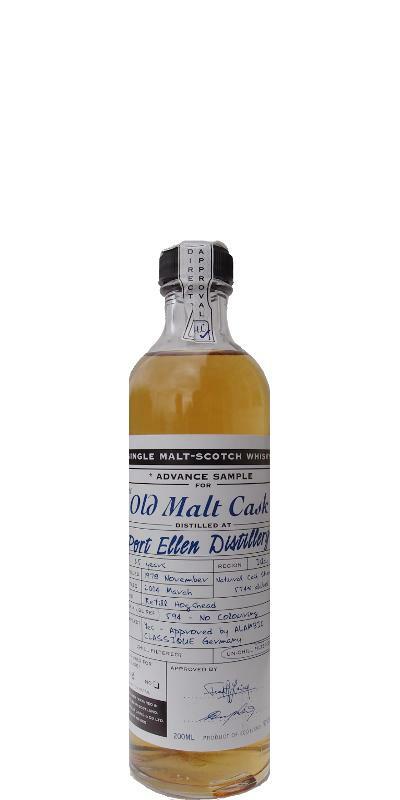 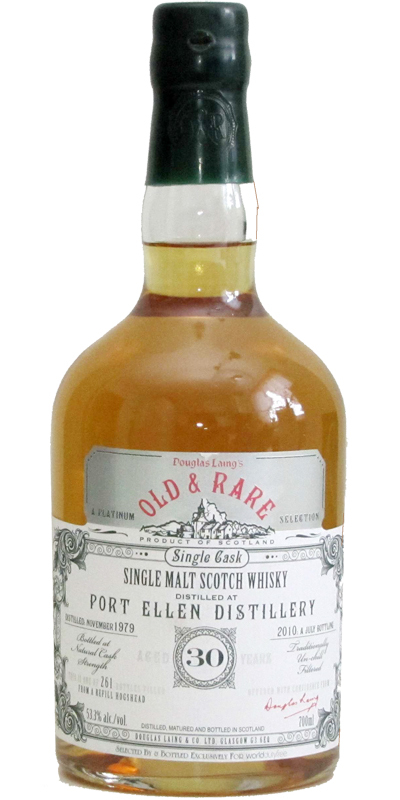 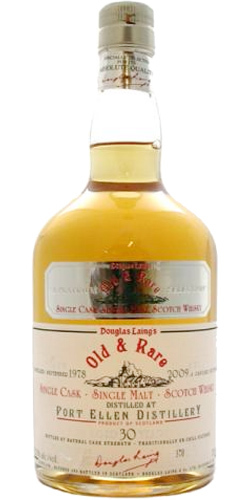 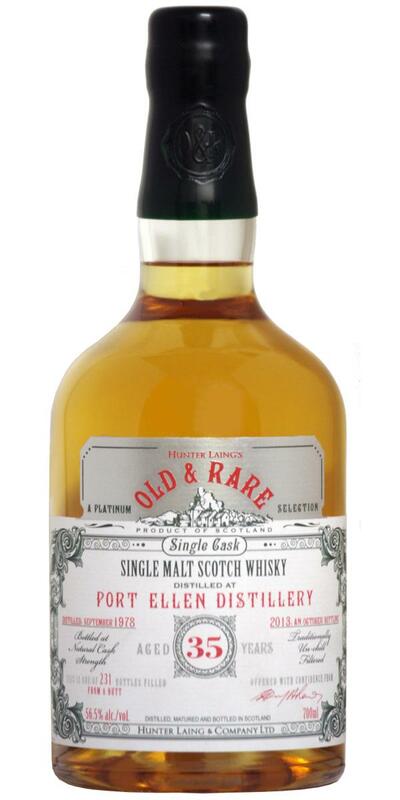 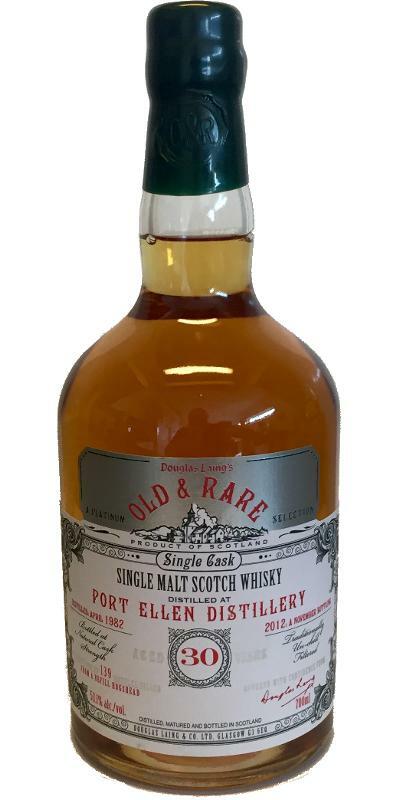 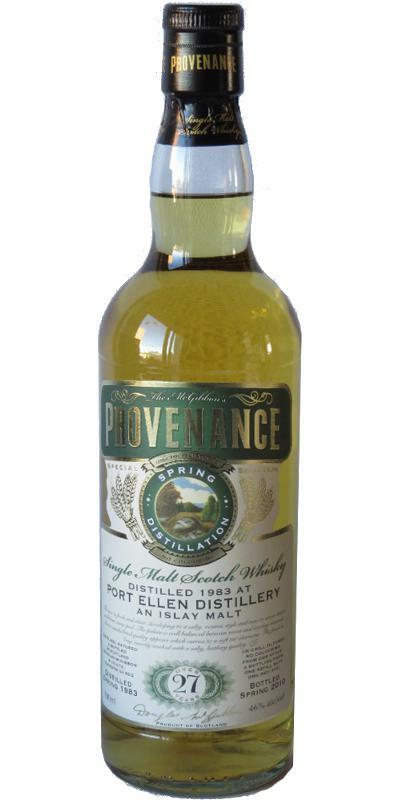 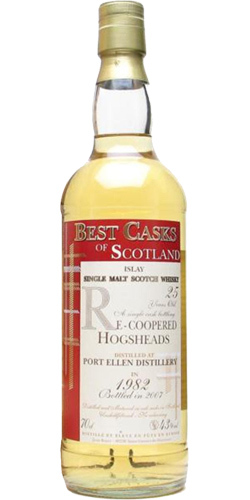 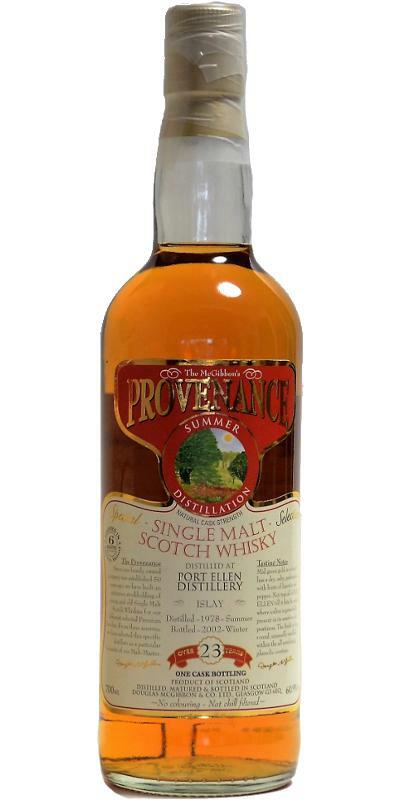 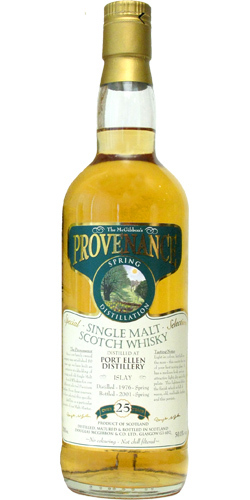 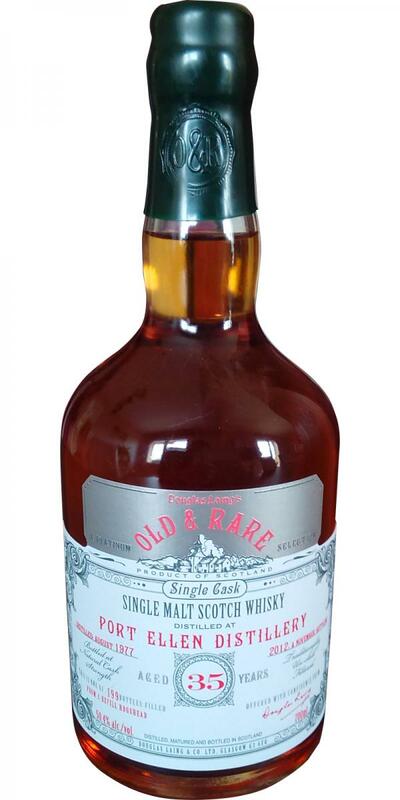 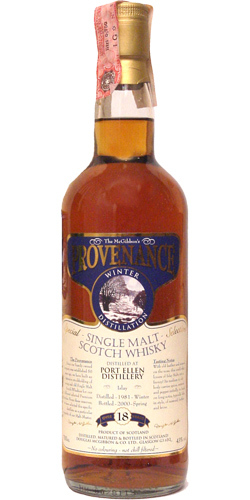 Port Ellen 17-year-old Canongate Reserve 17 46.0 % Vol. 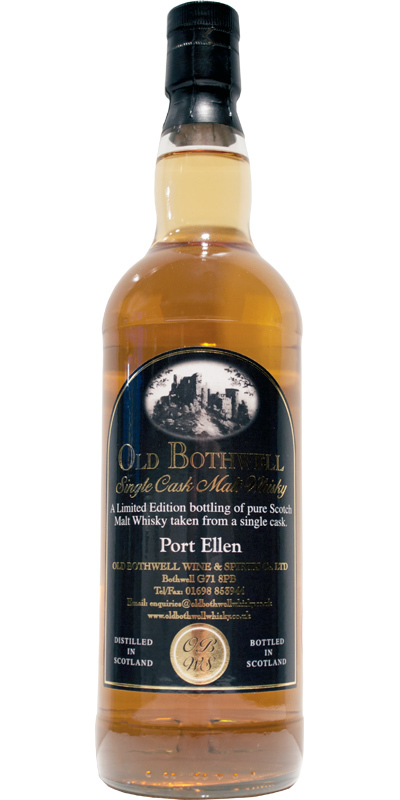 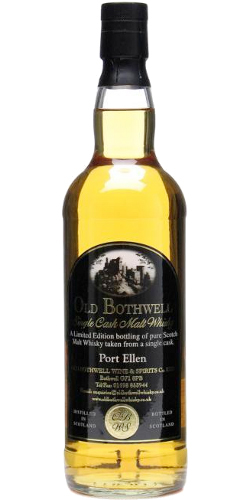 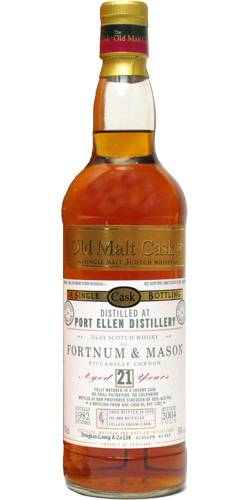 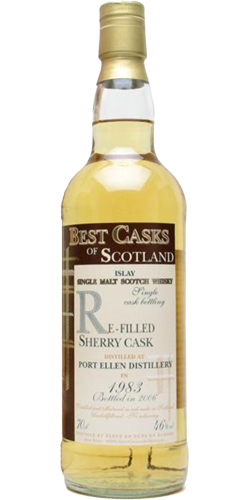 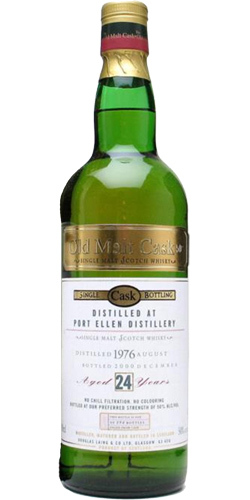 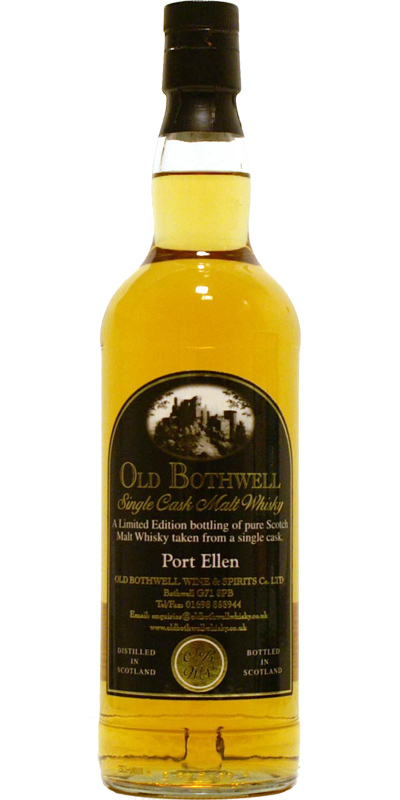 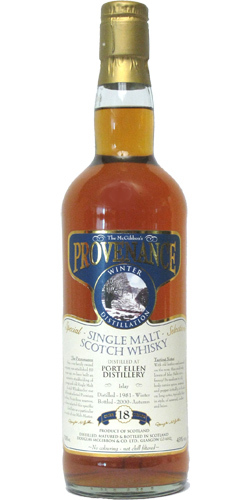 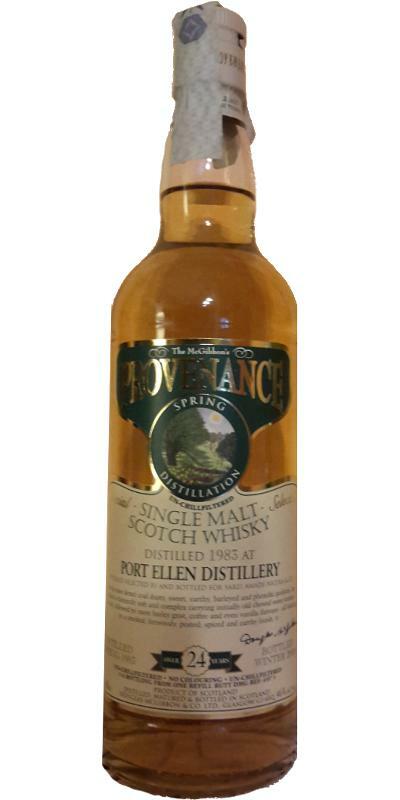 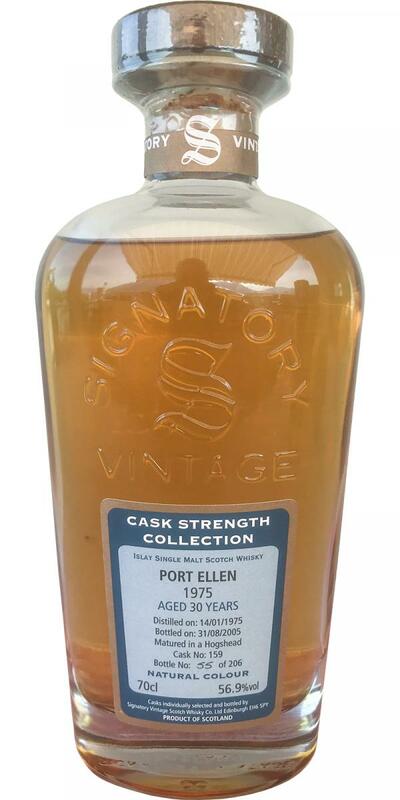 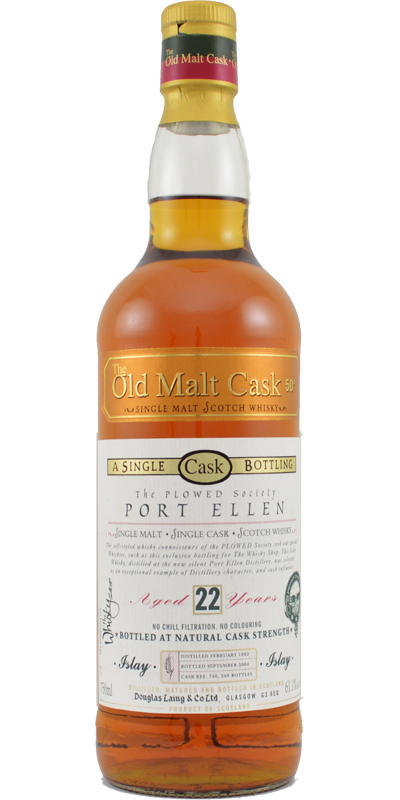 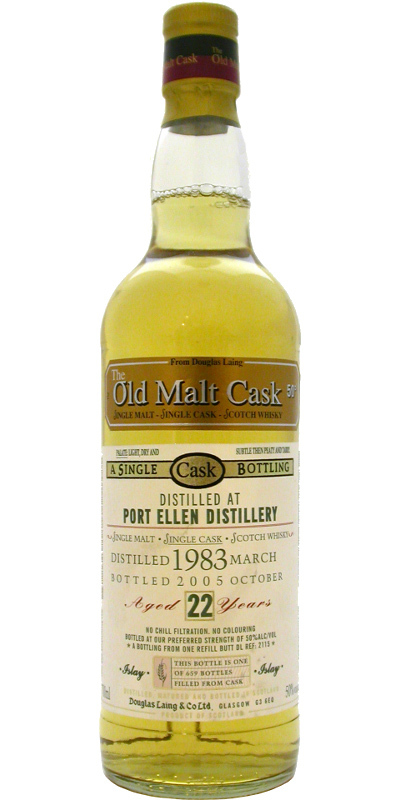 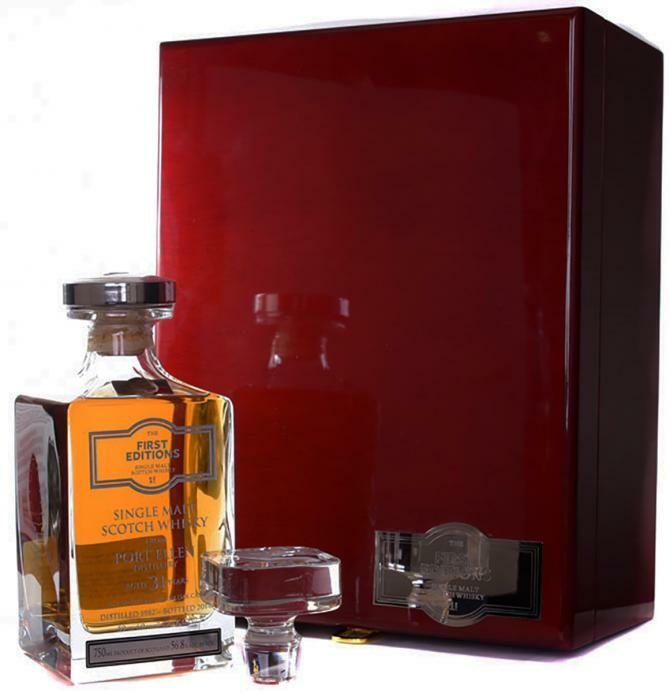 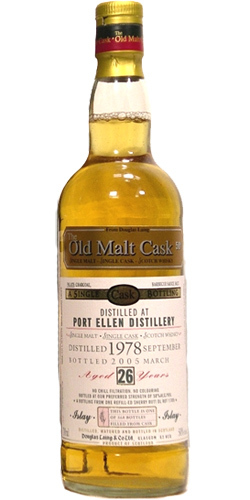 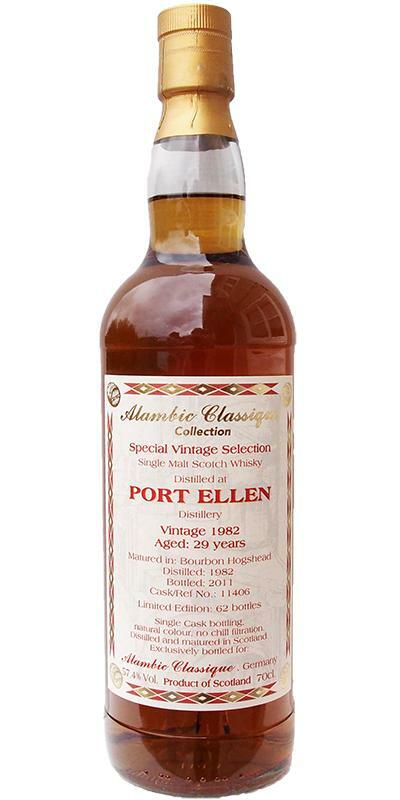 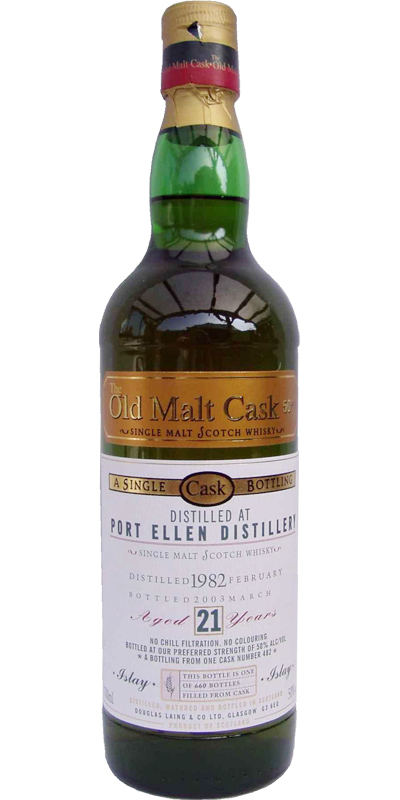 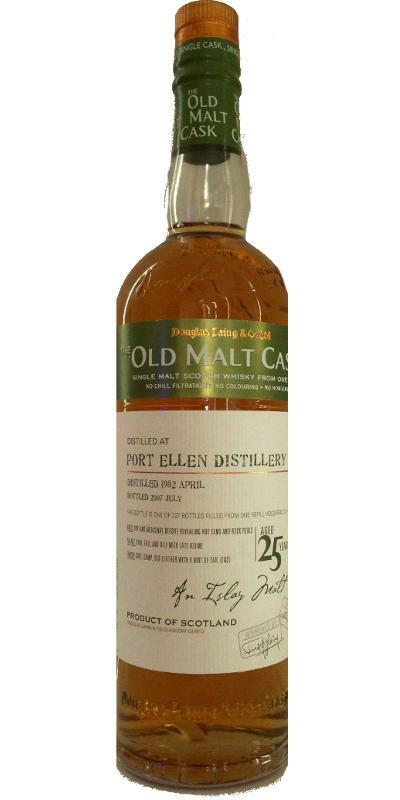 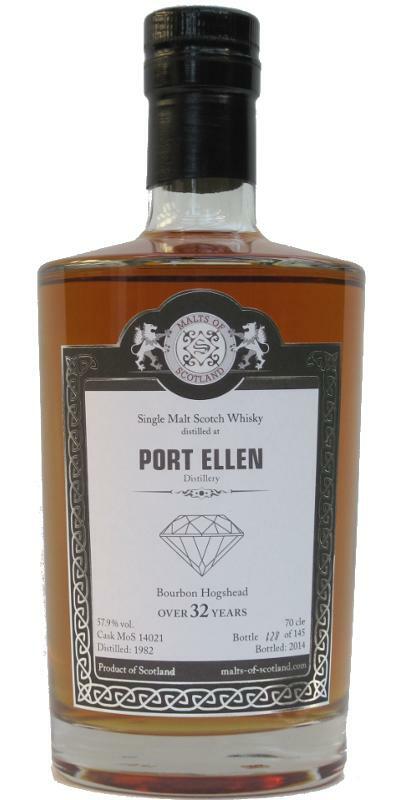 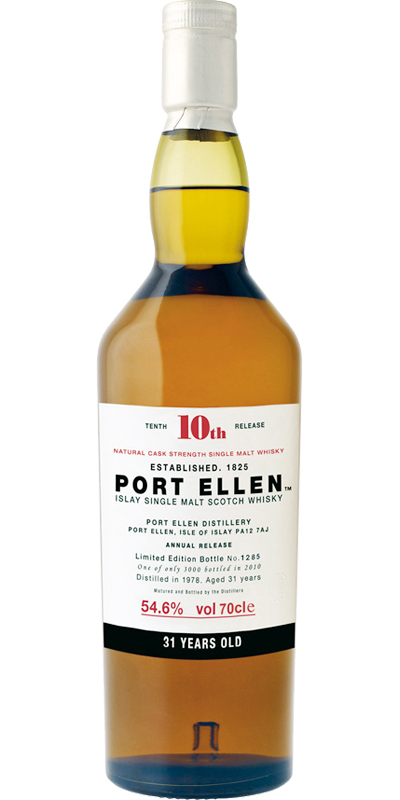 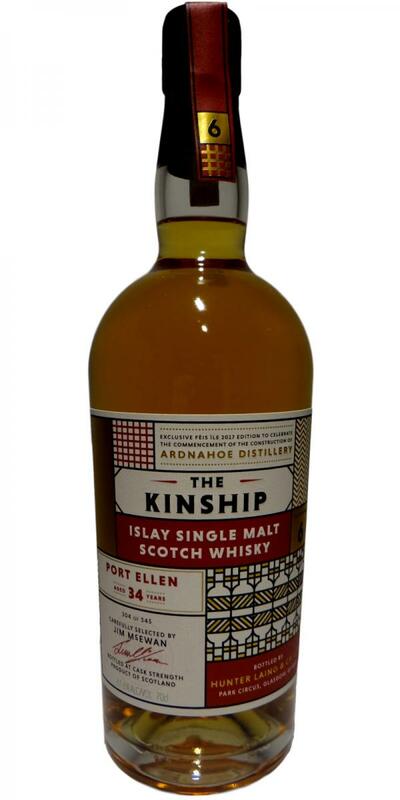 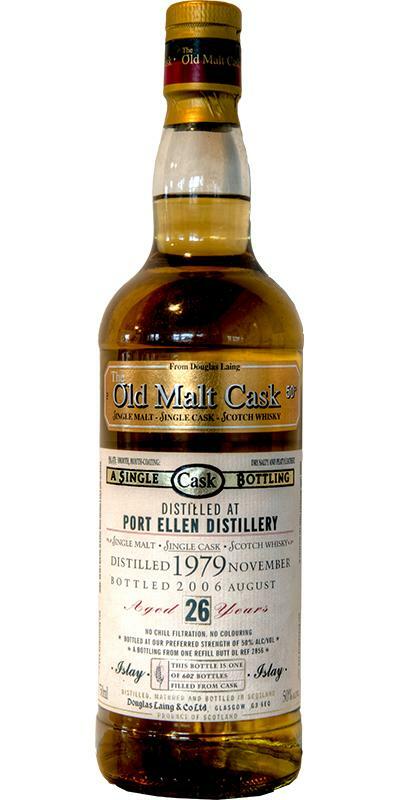 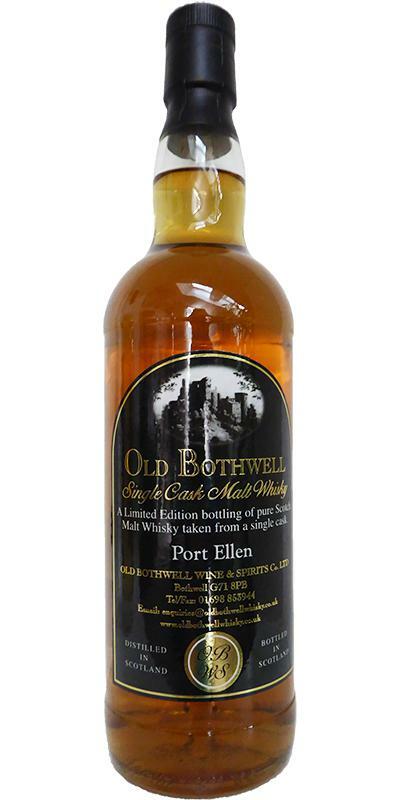 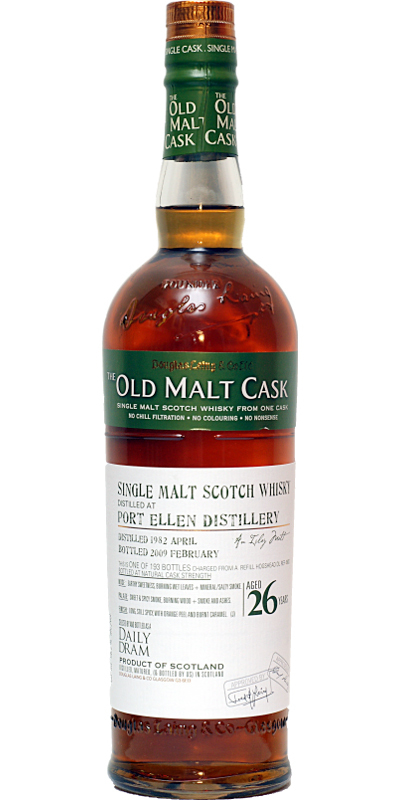 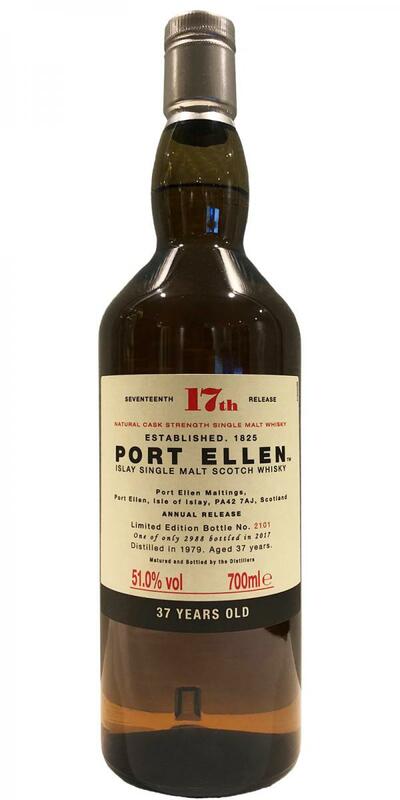 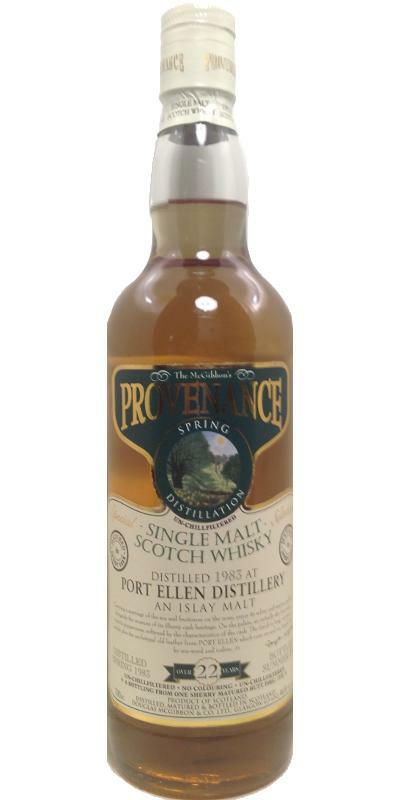 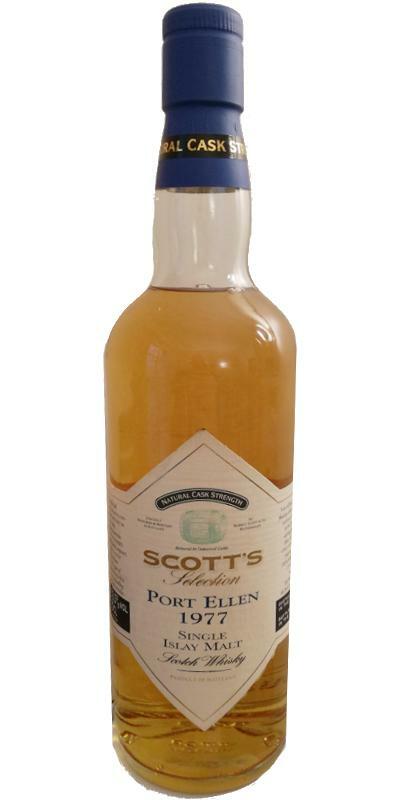 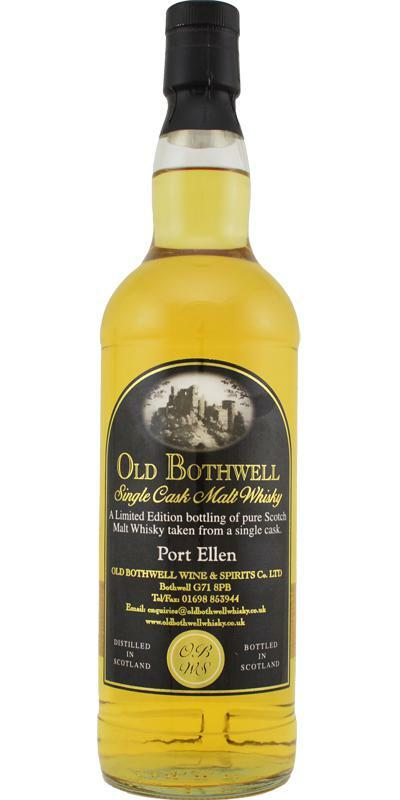 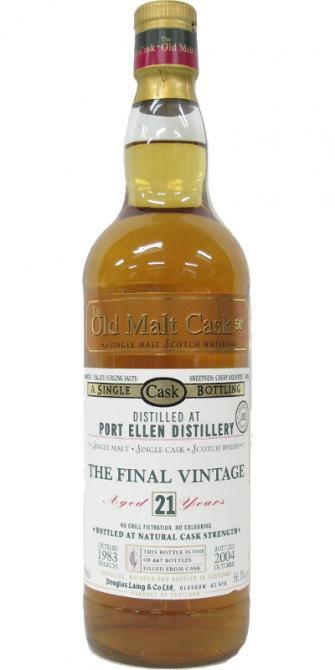 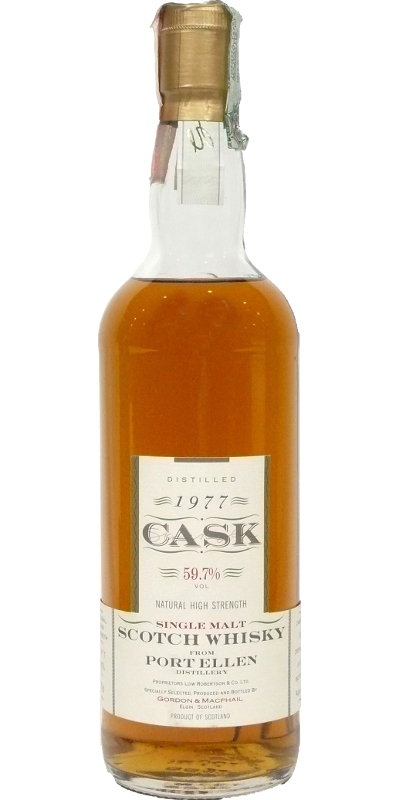 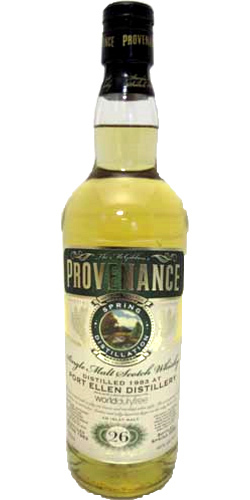 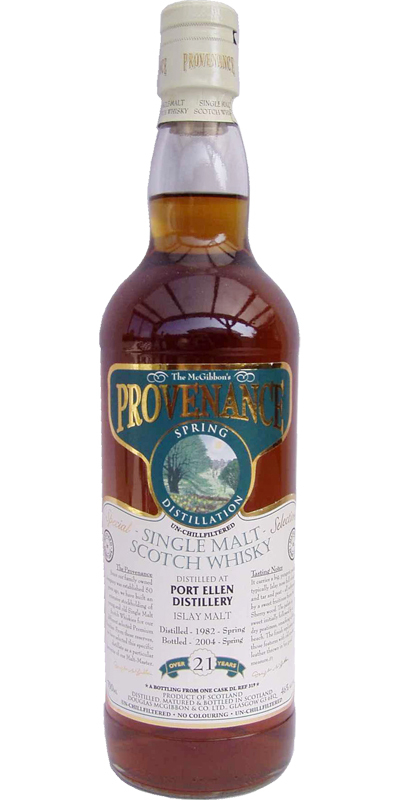 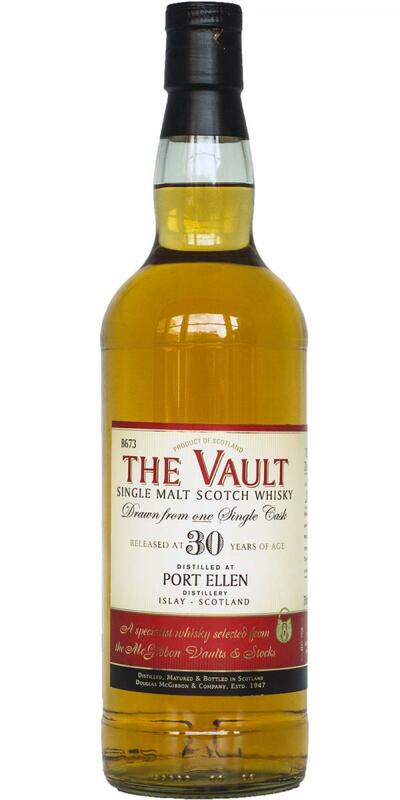 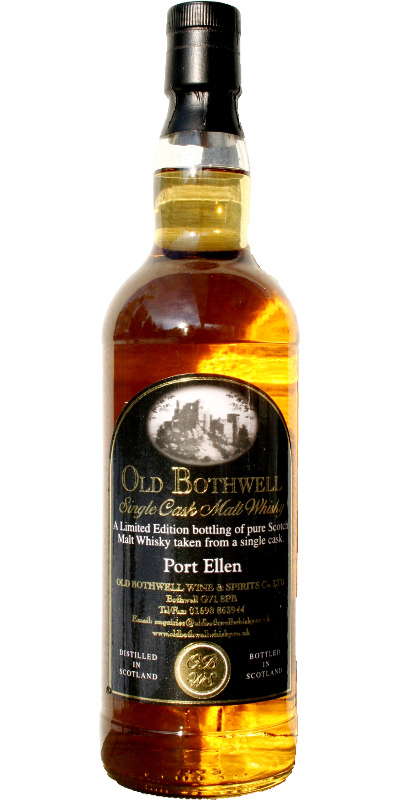 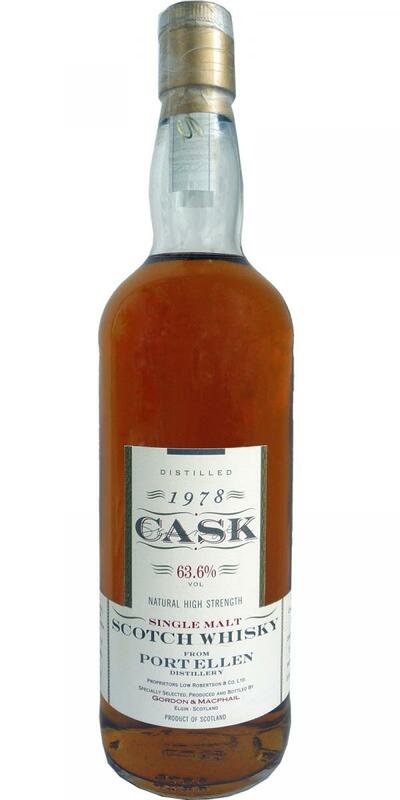 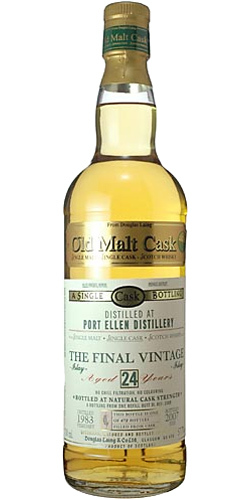 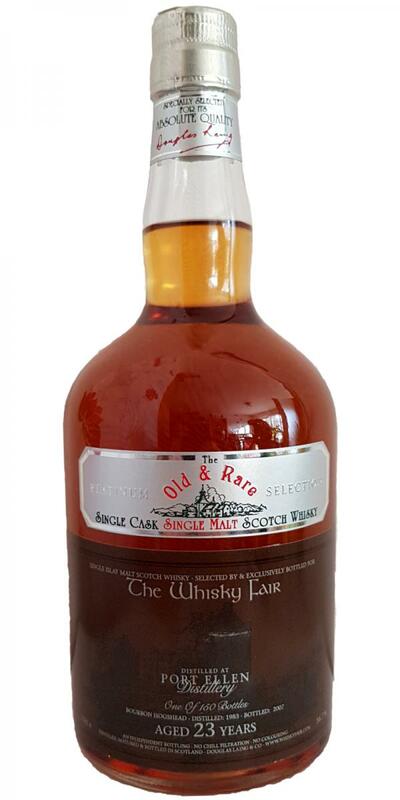 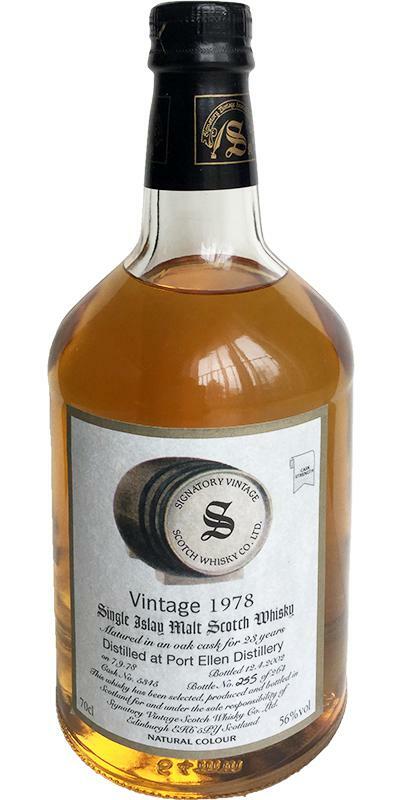 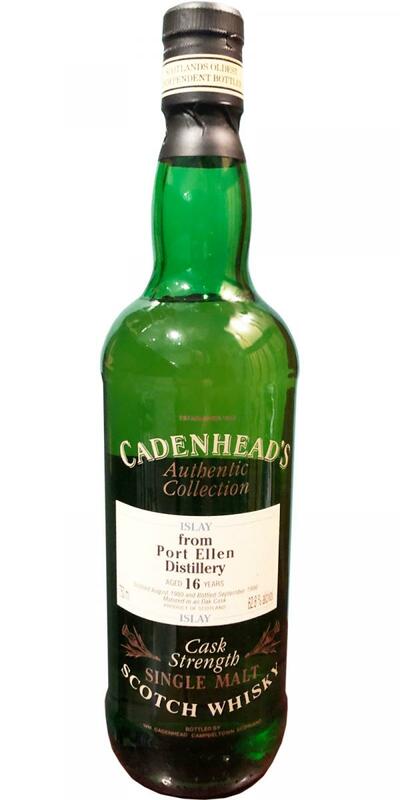 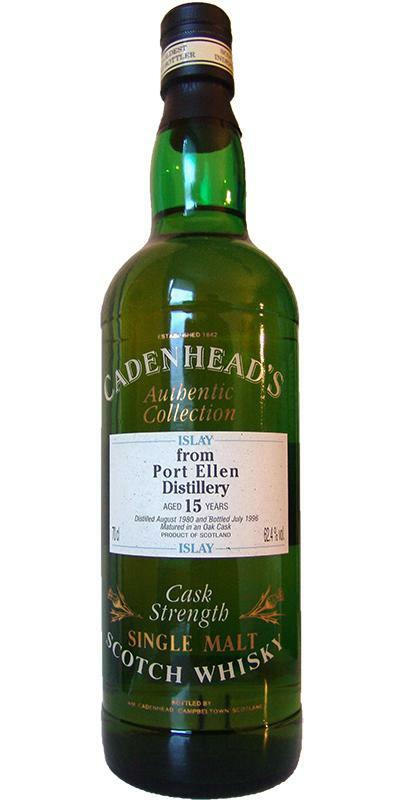 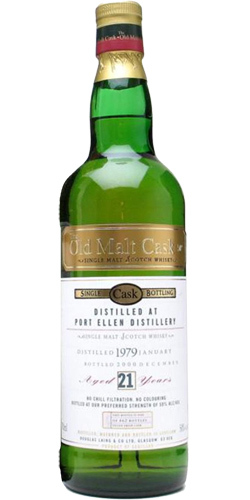 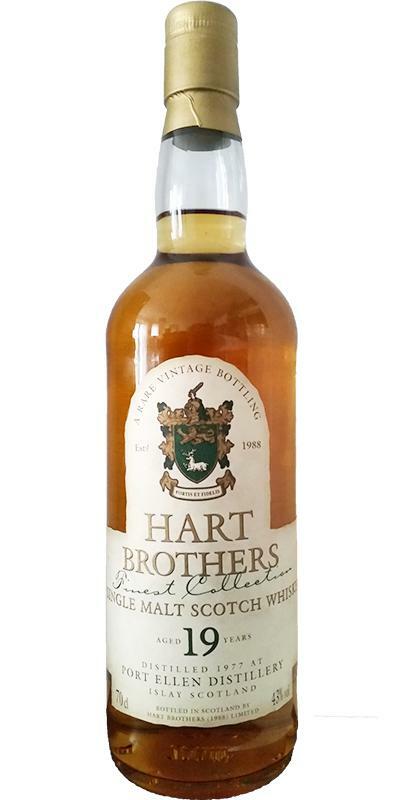 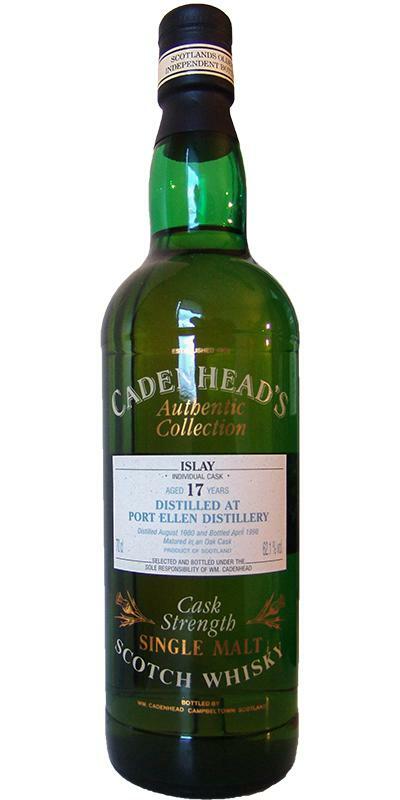 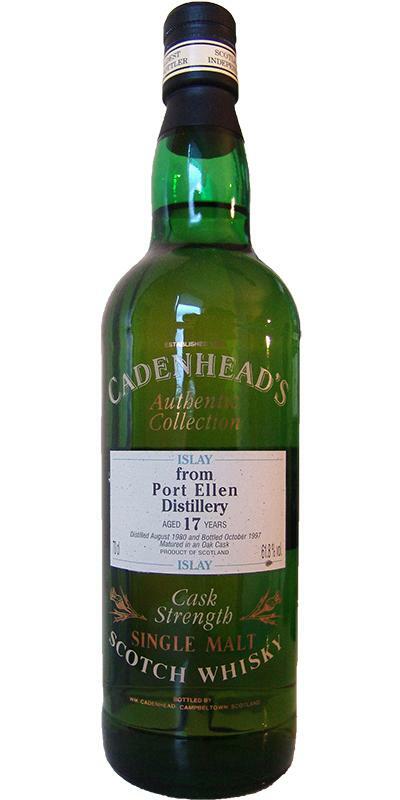 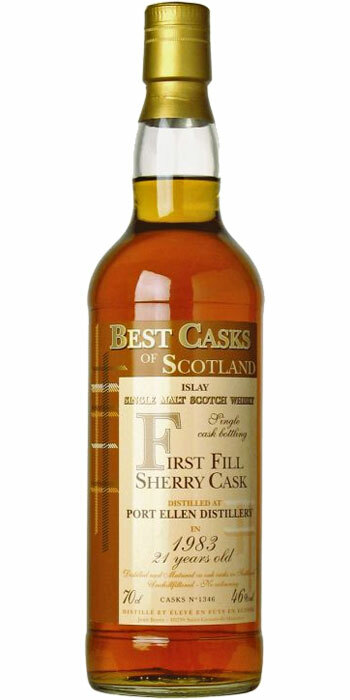 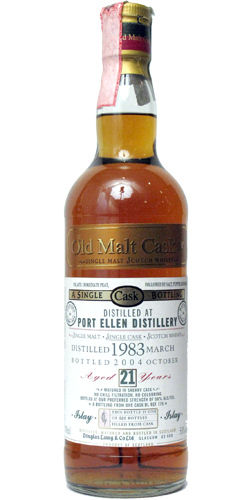 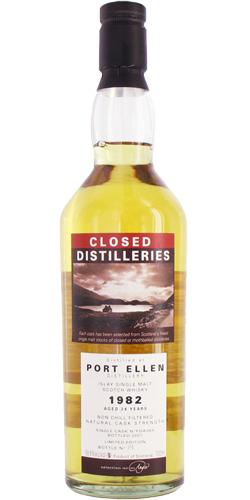 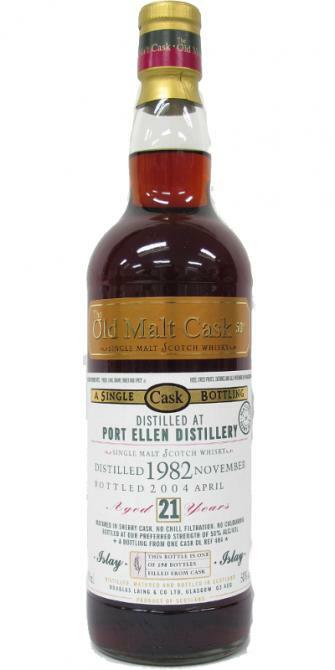 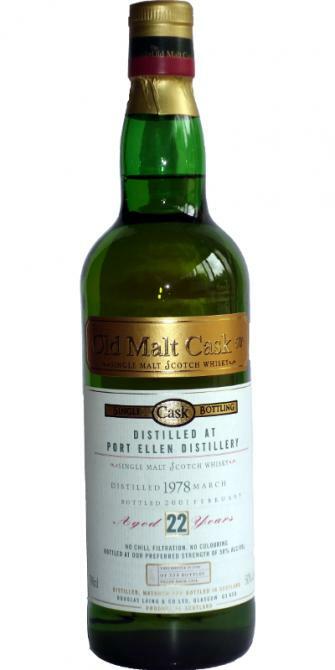 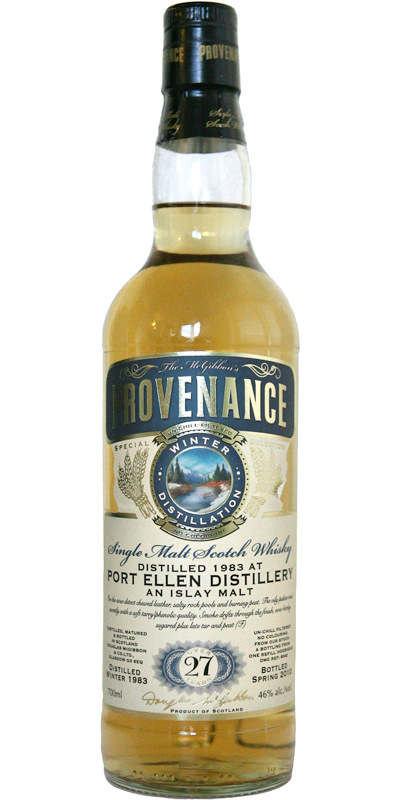 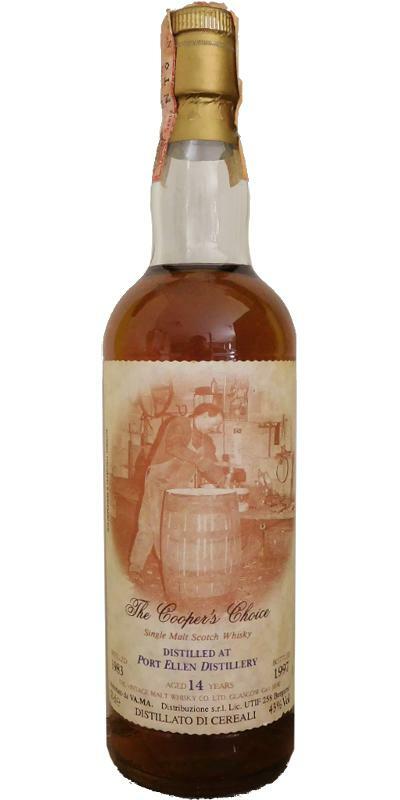 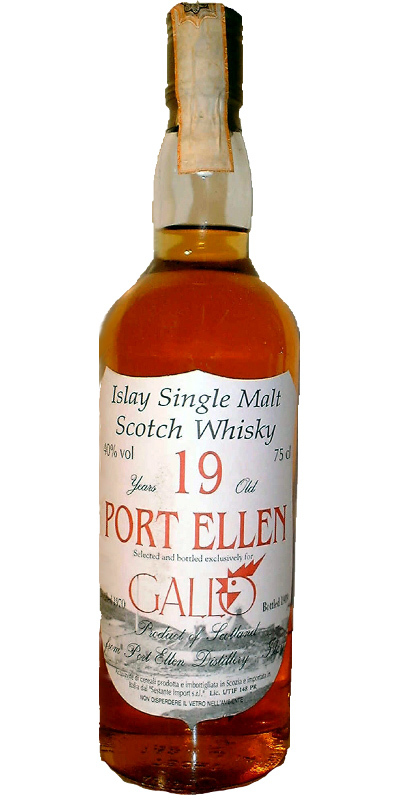 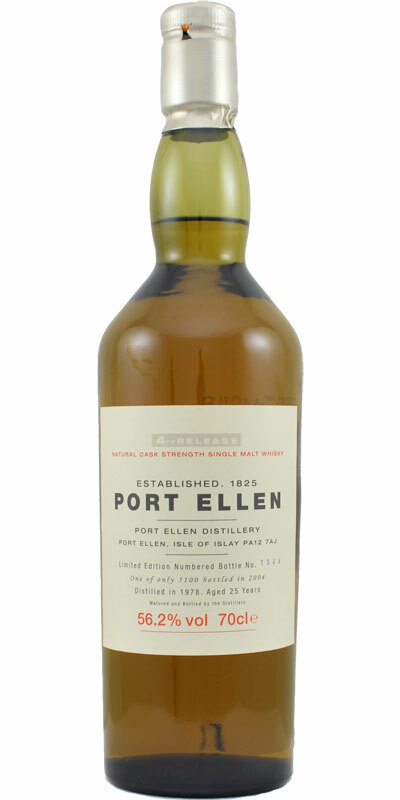 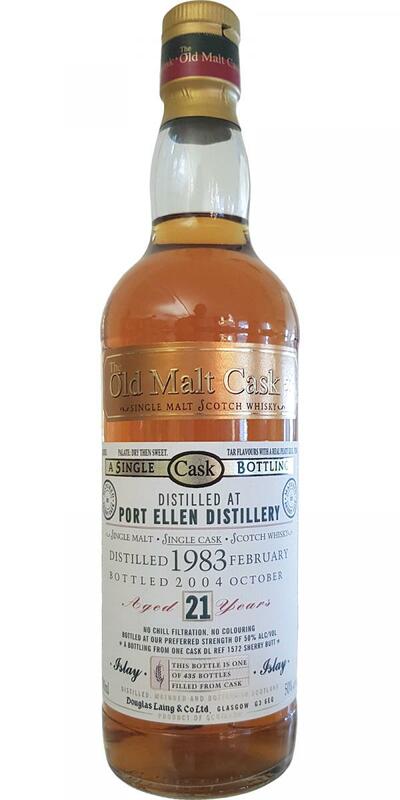 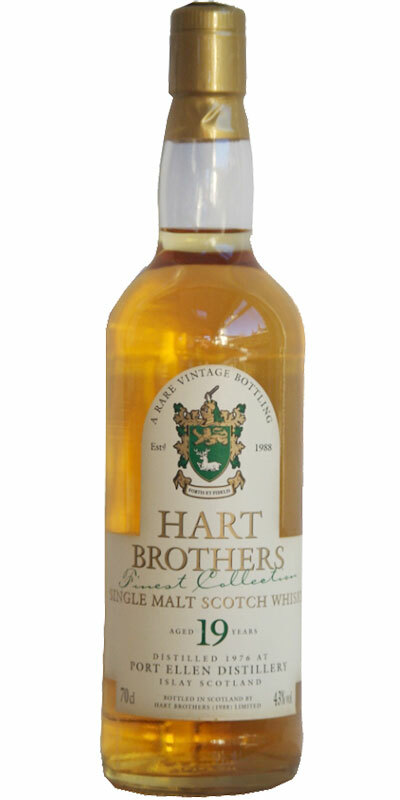 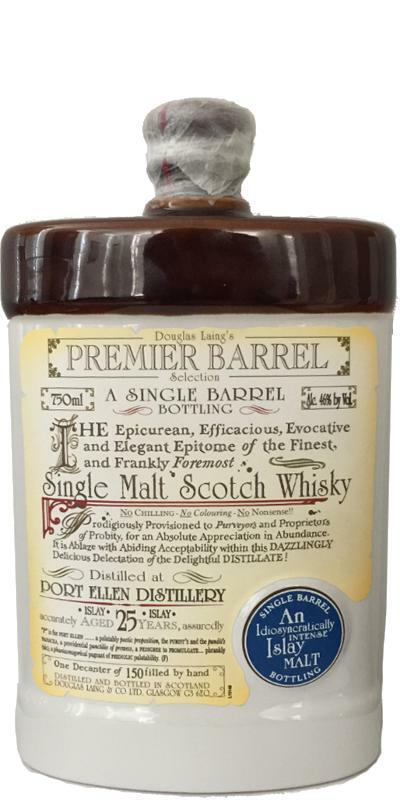 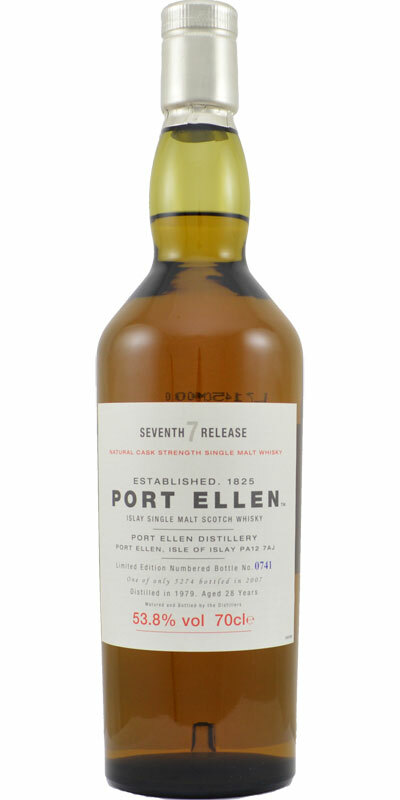 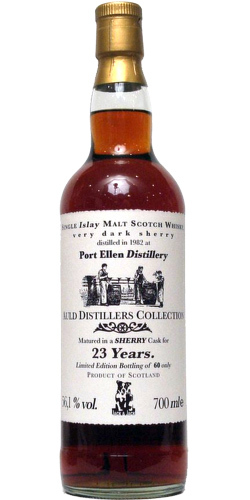 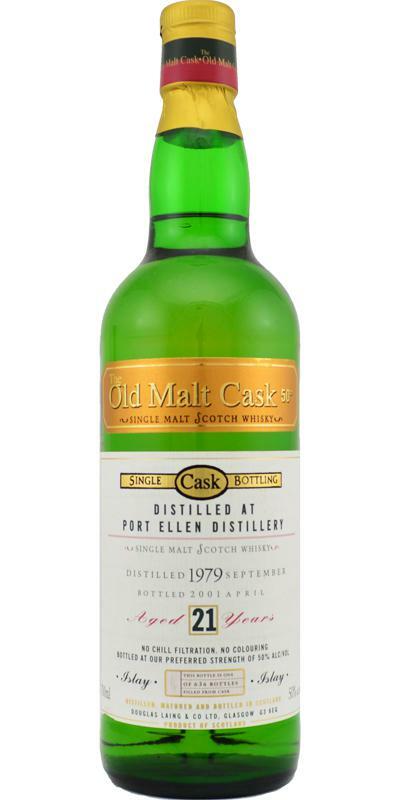 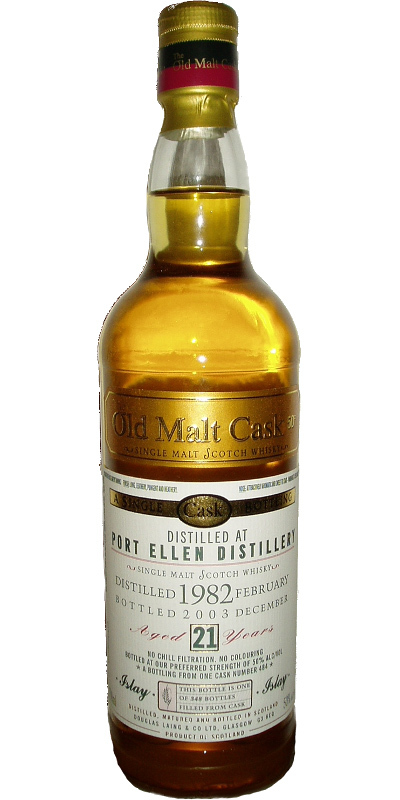 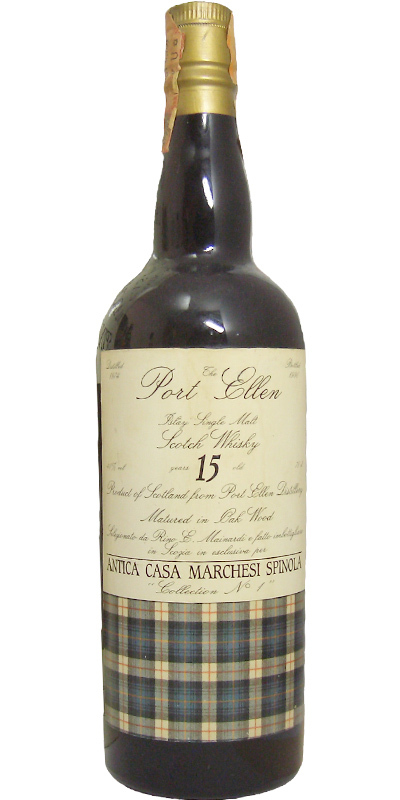 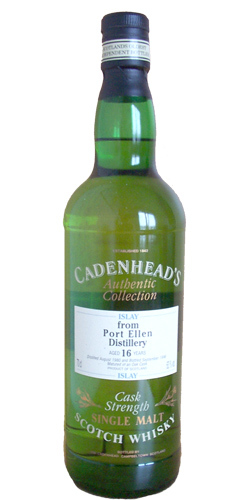 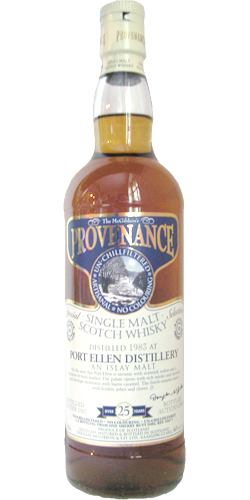 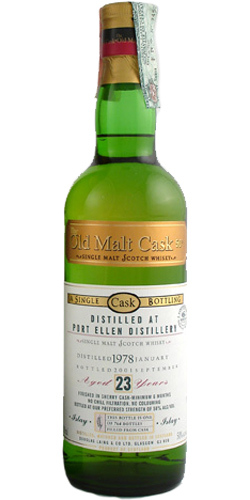 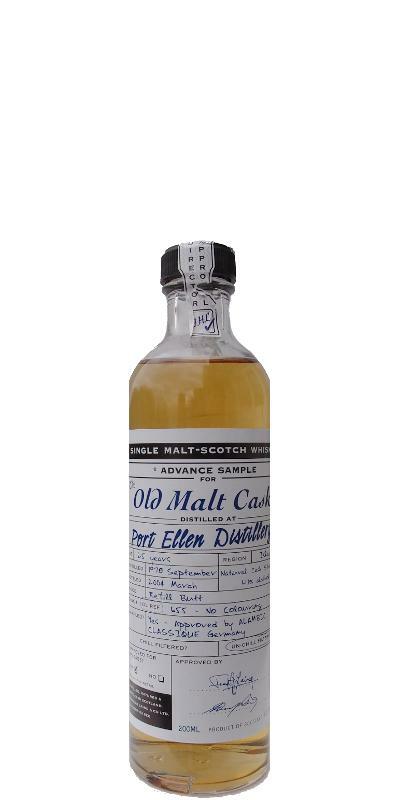 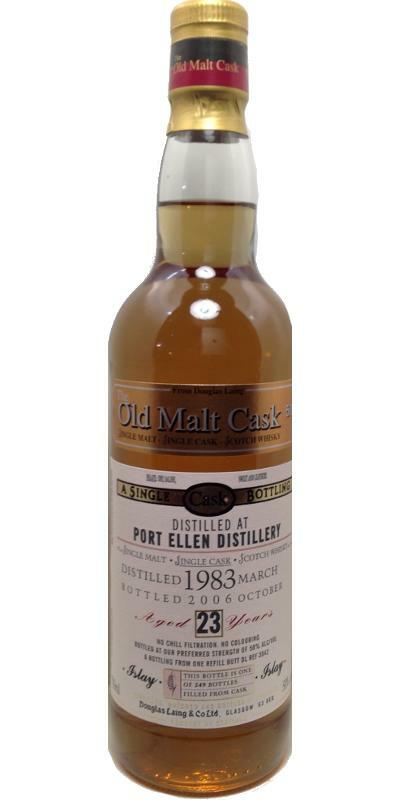 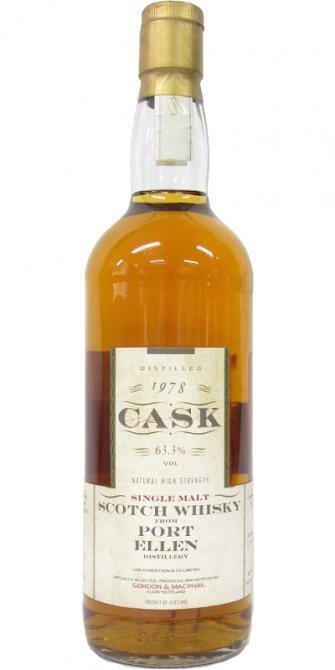 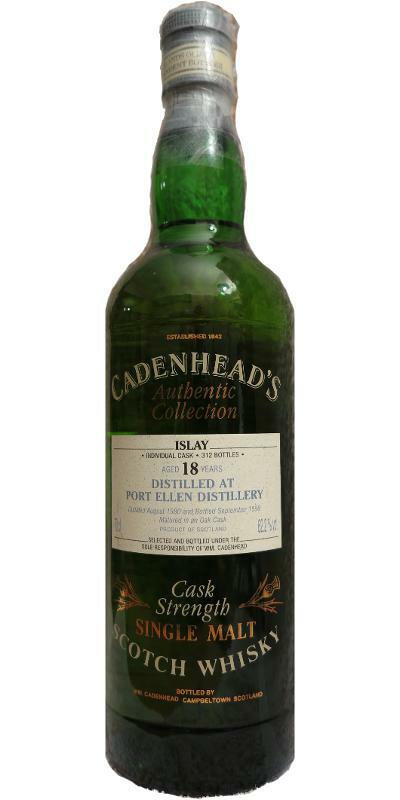 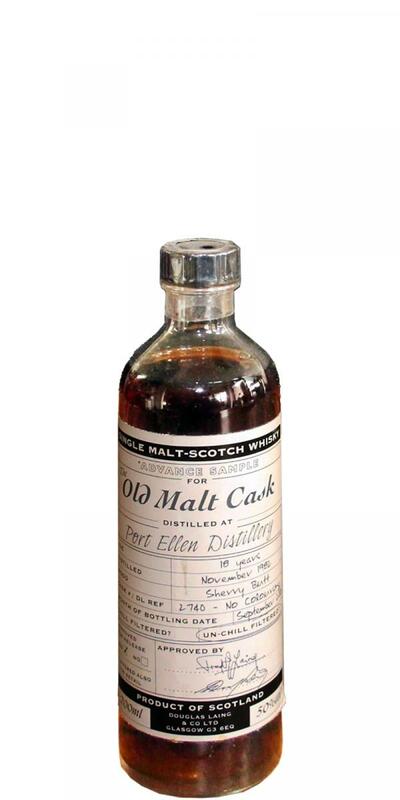 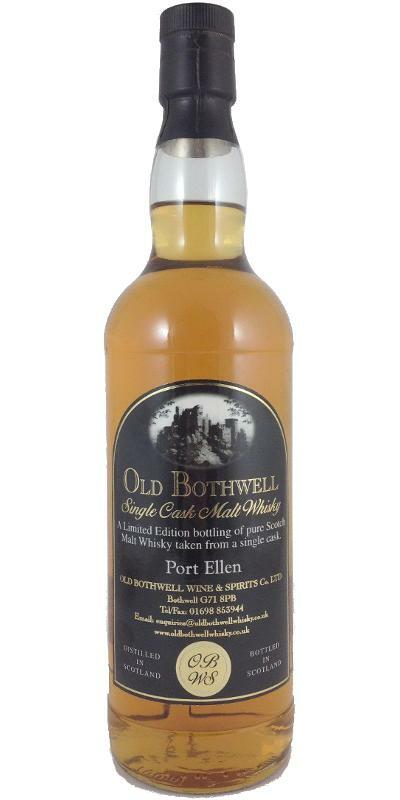 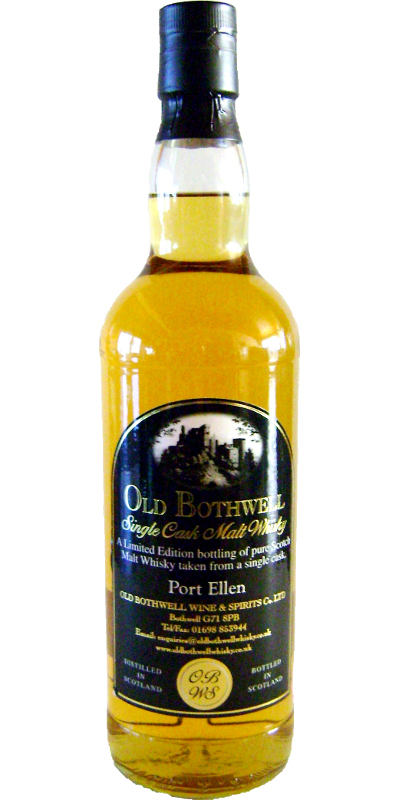 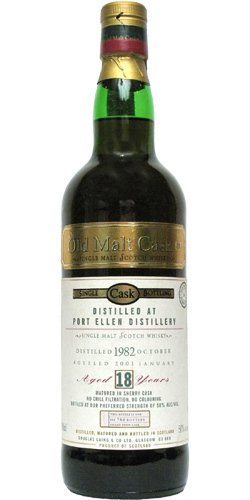 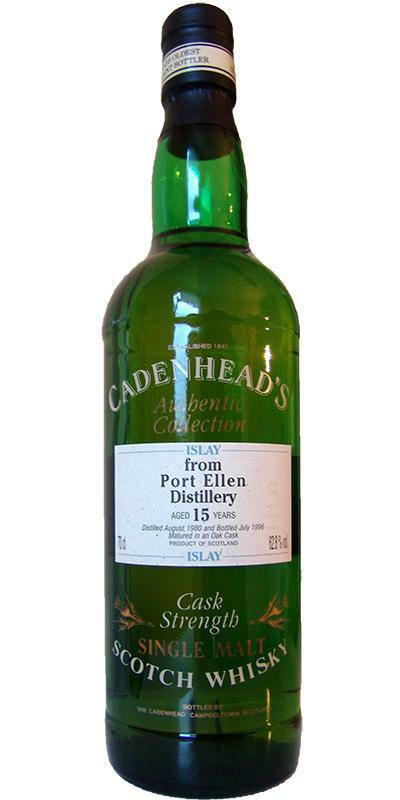 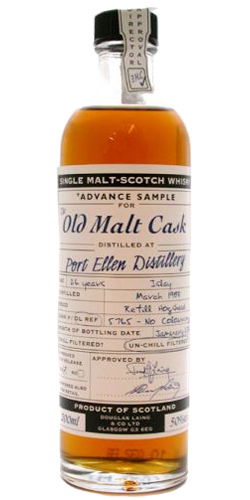 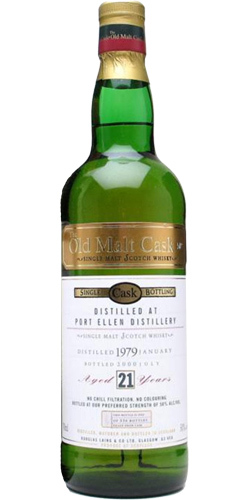 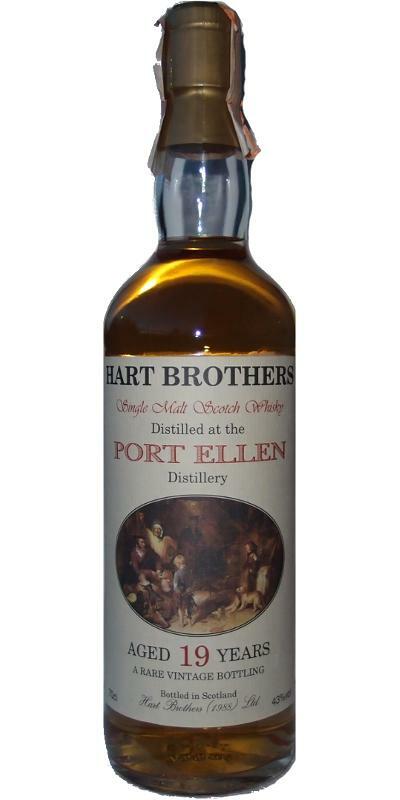 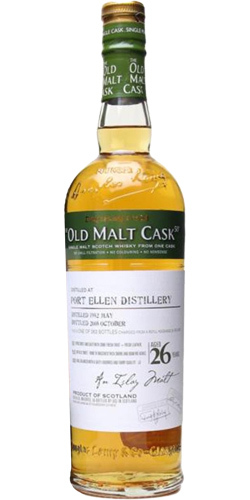 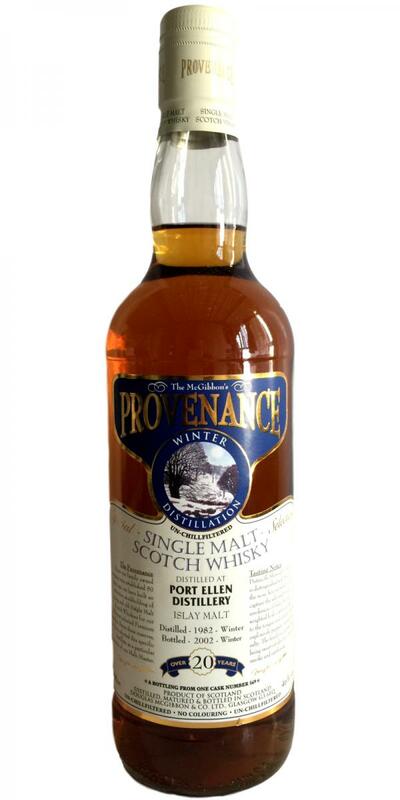 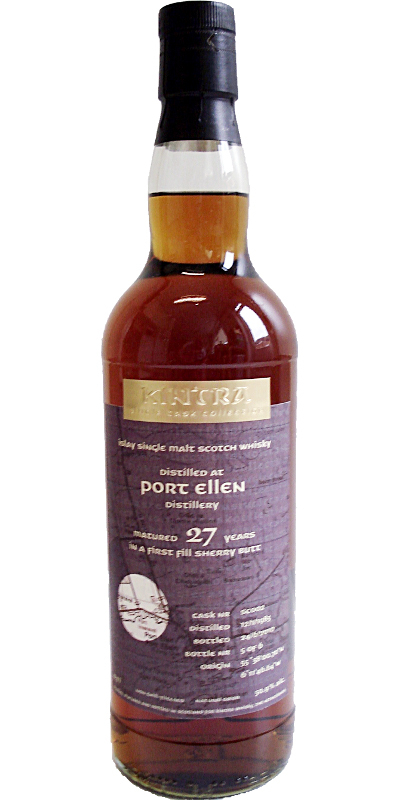 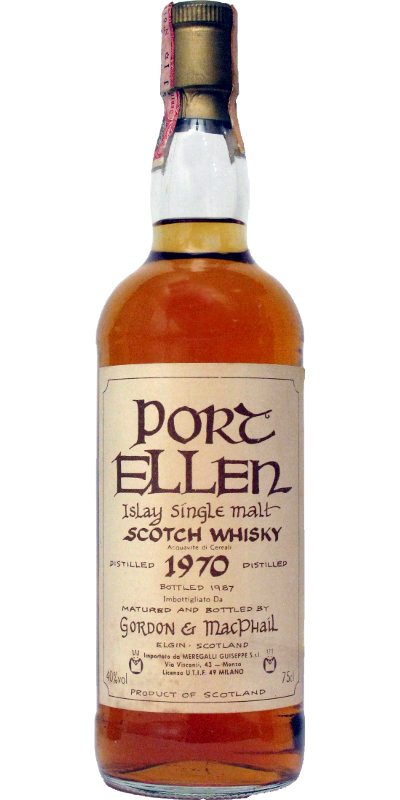 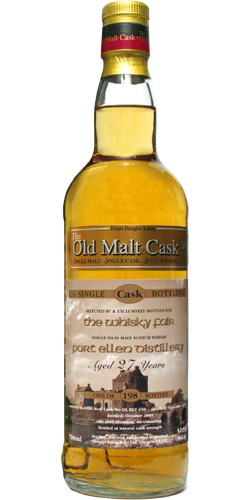 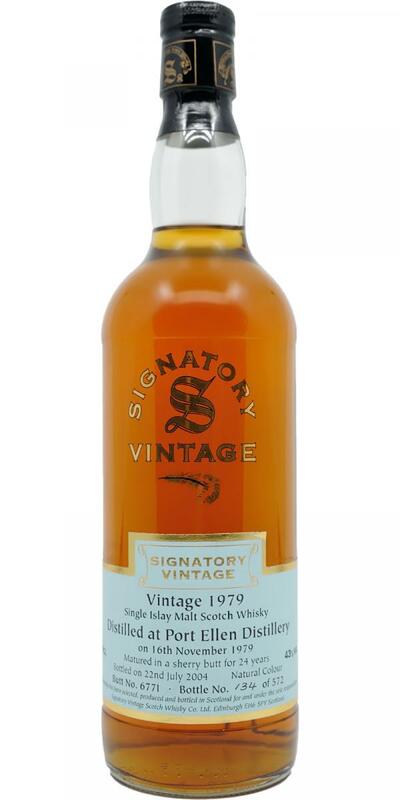 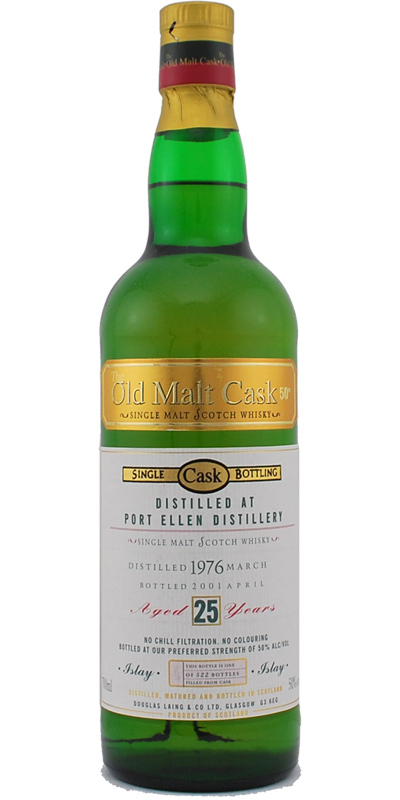 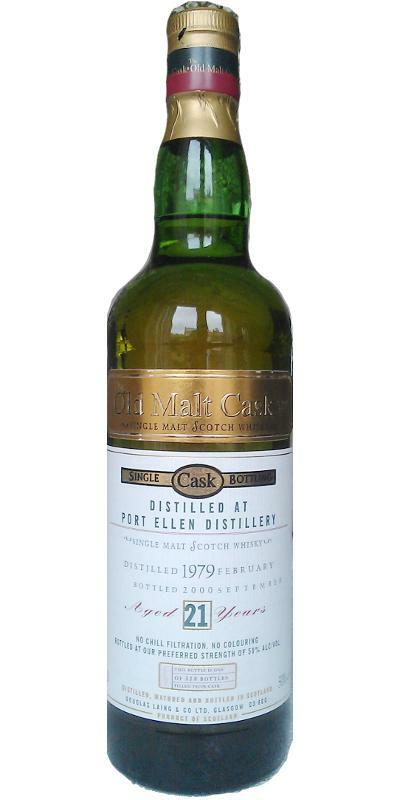 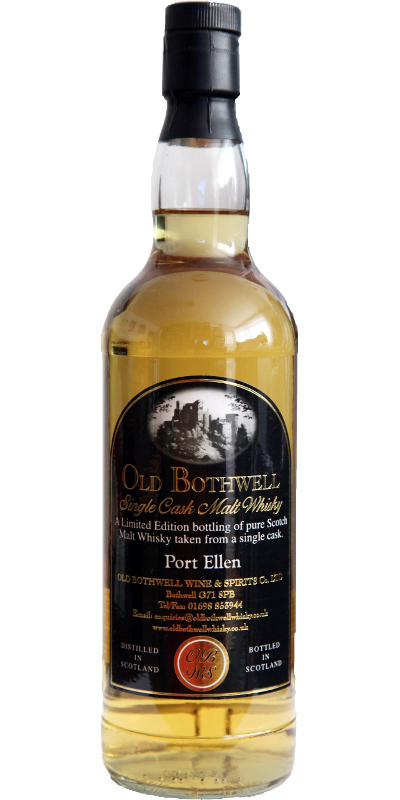 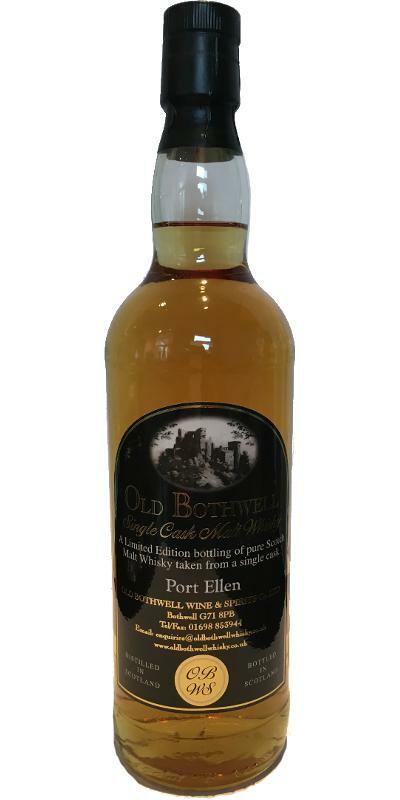 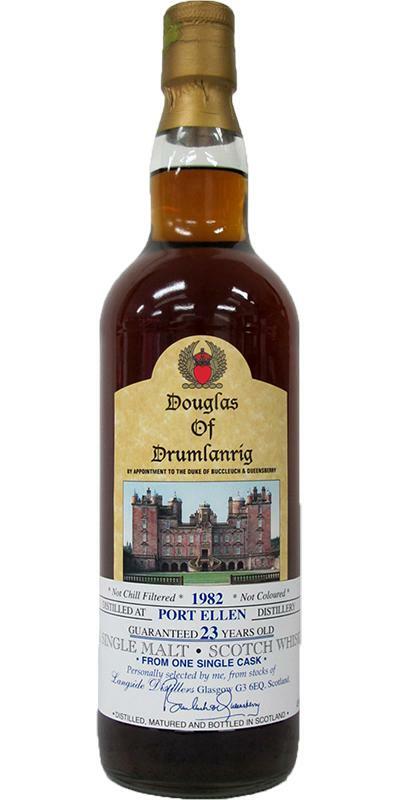 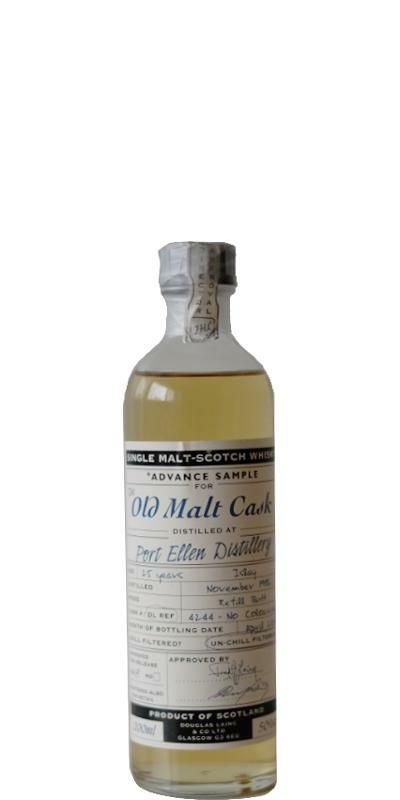 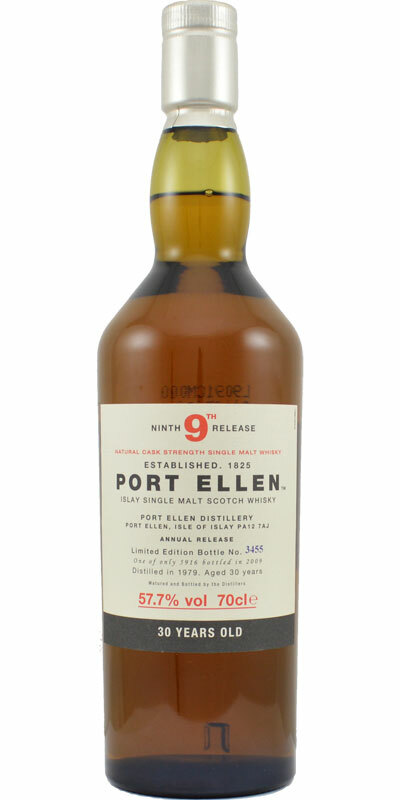 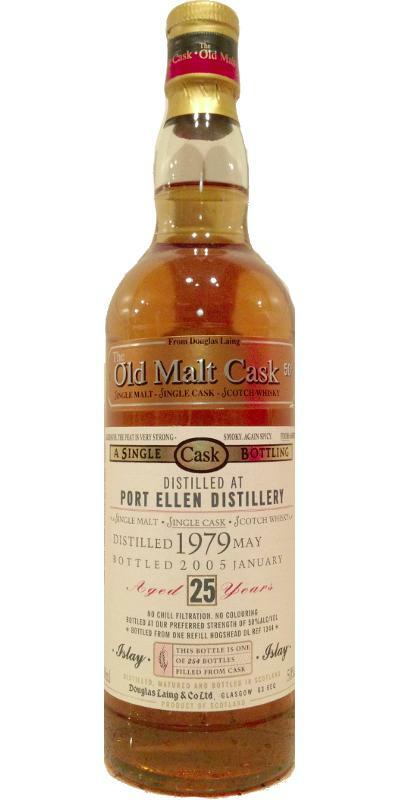 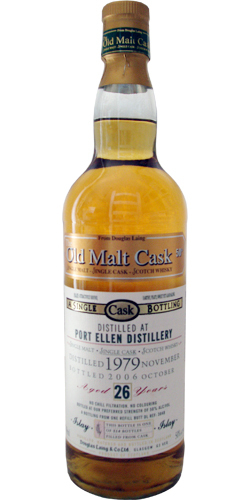 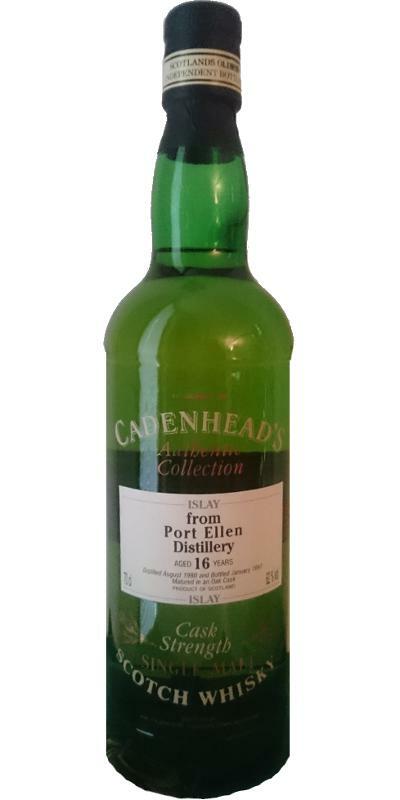 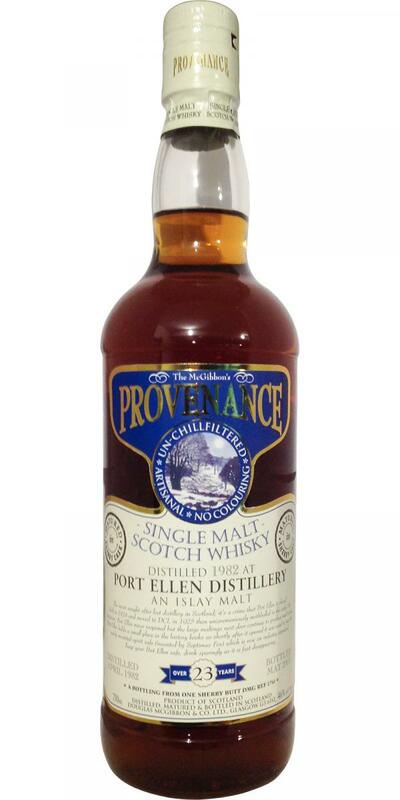 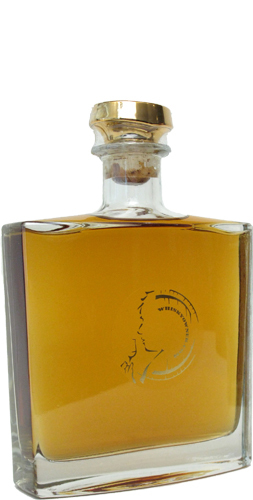 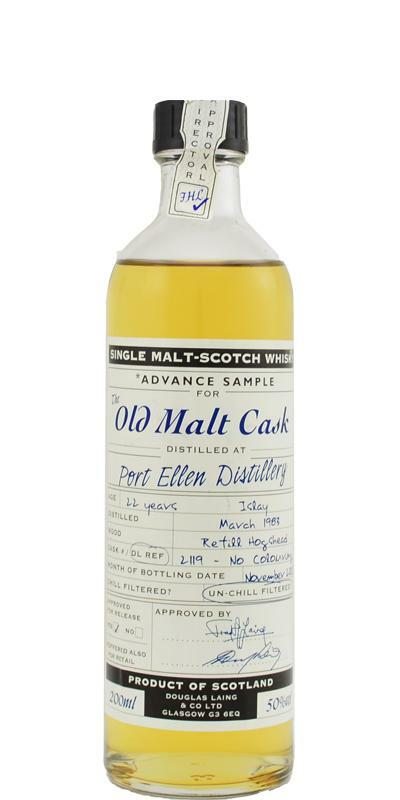 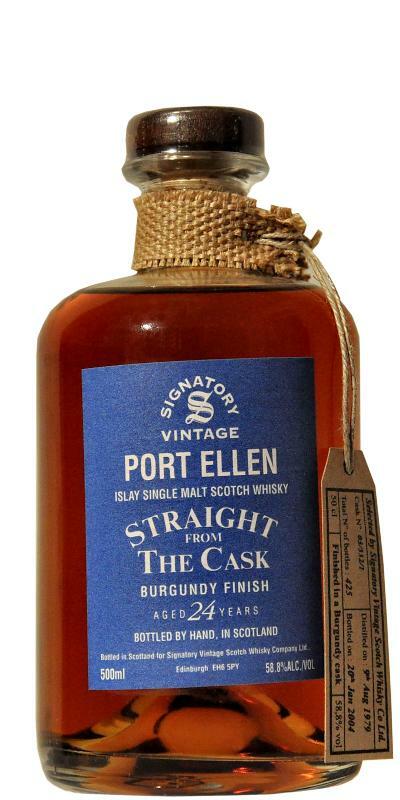 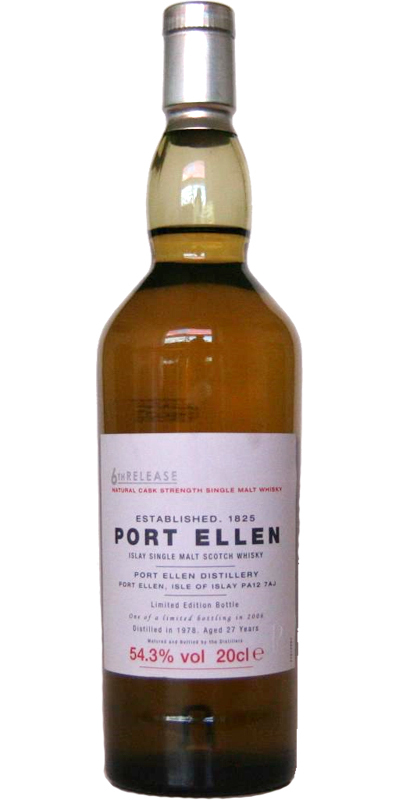 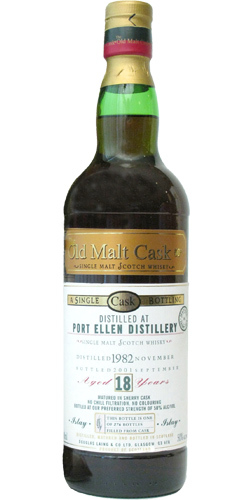 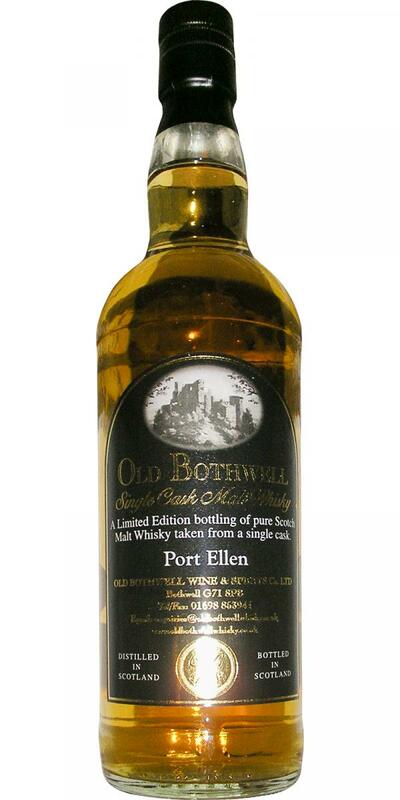 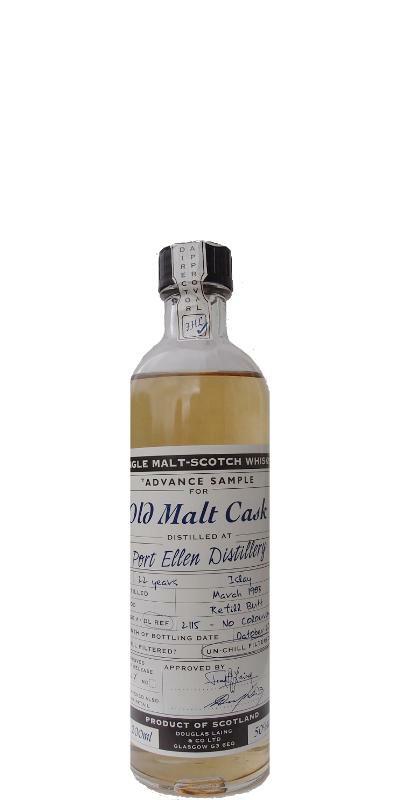 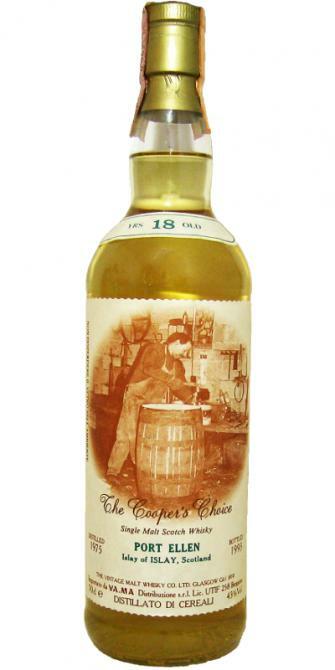 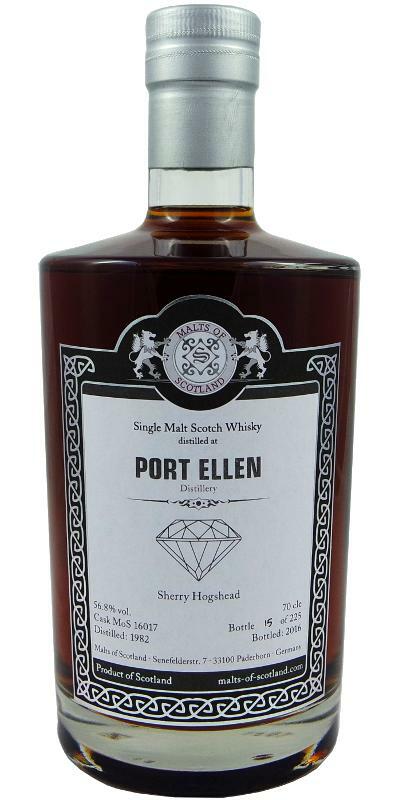 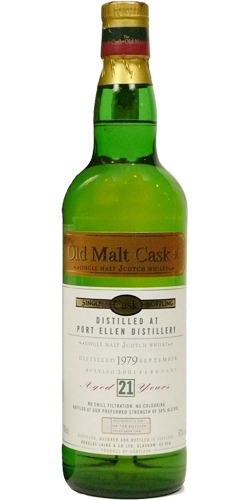 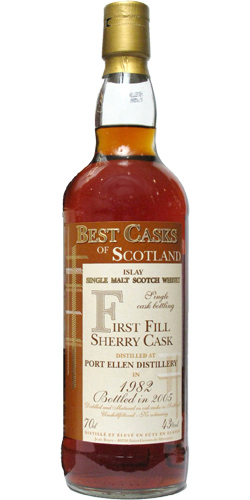 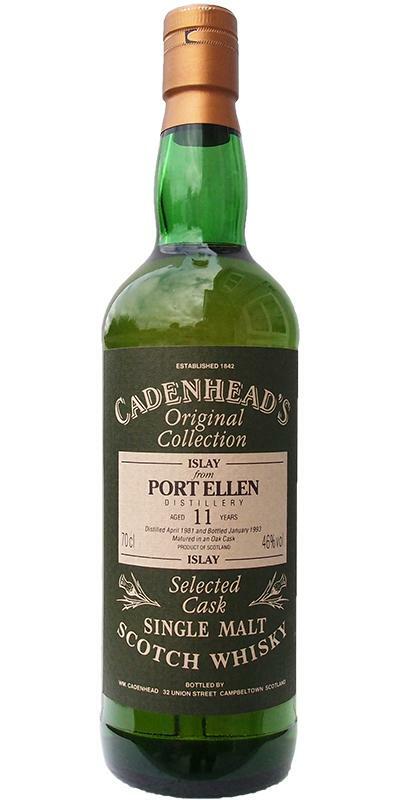 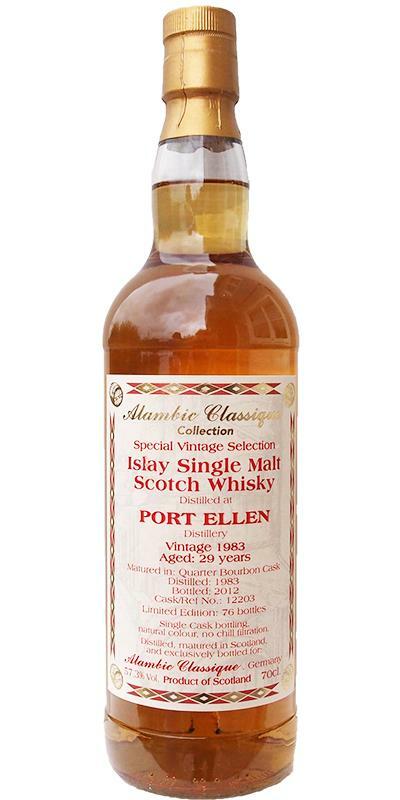 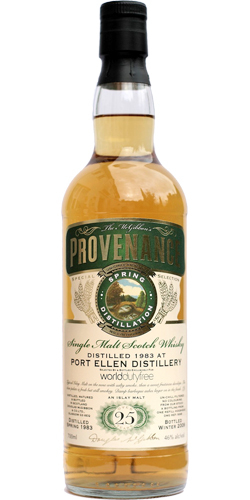 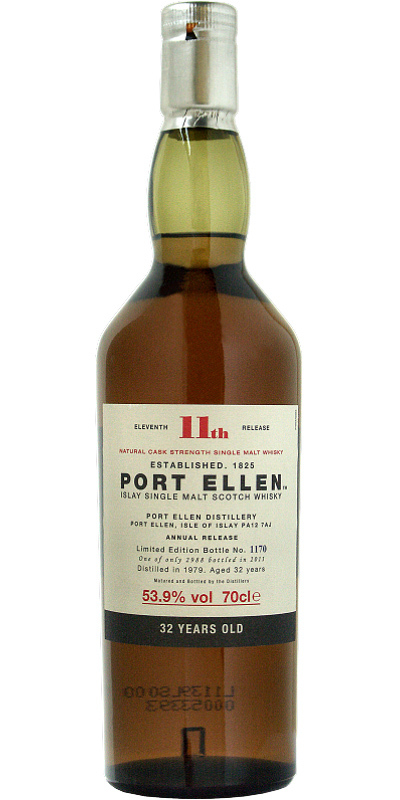 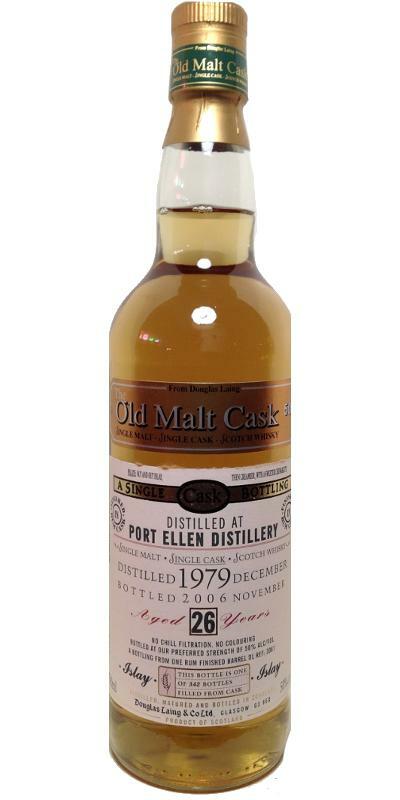 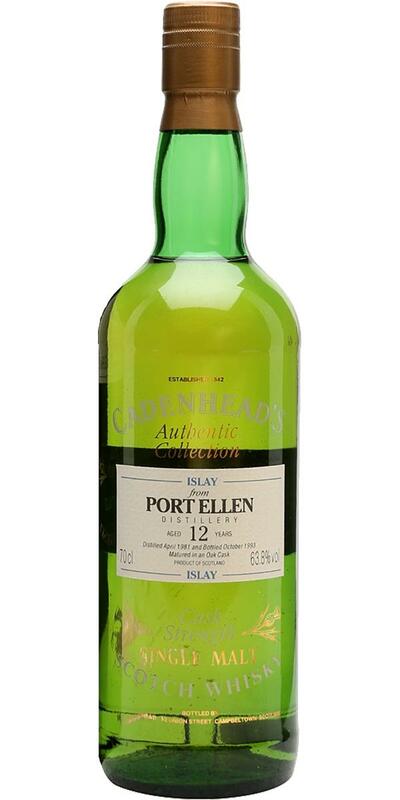 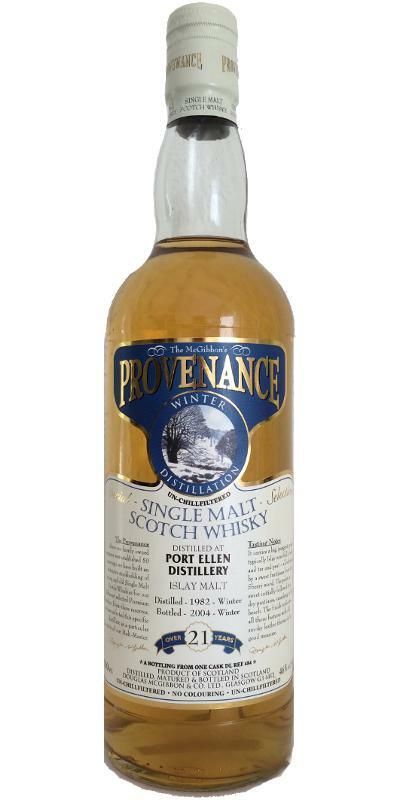 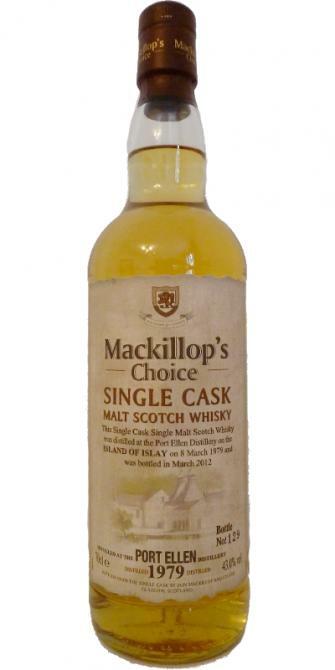 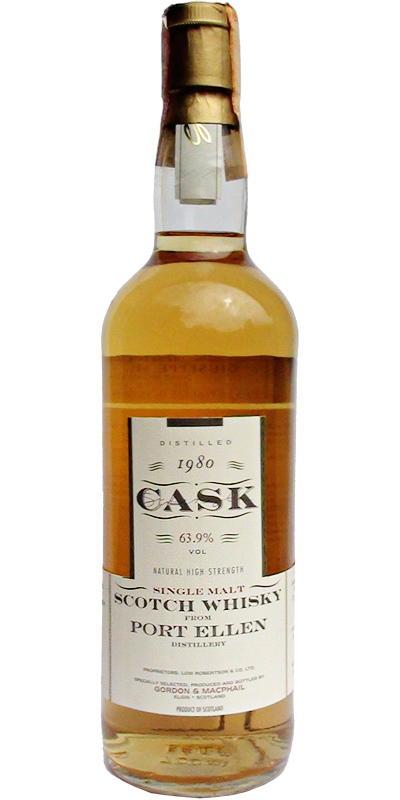 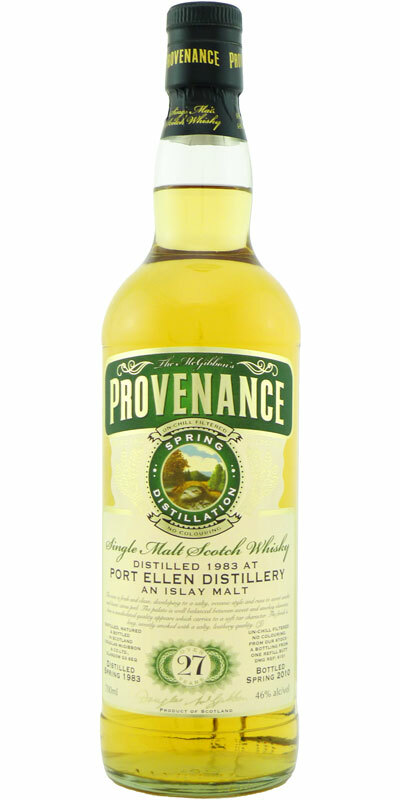 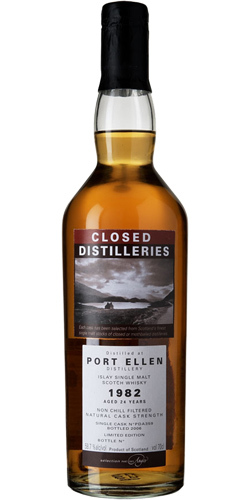 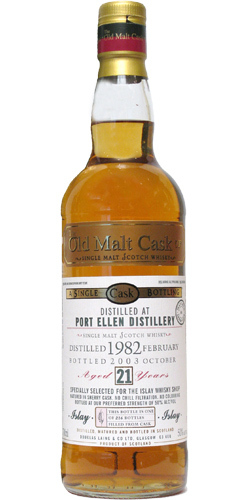 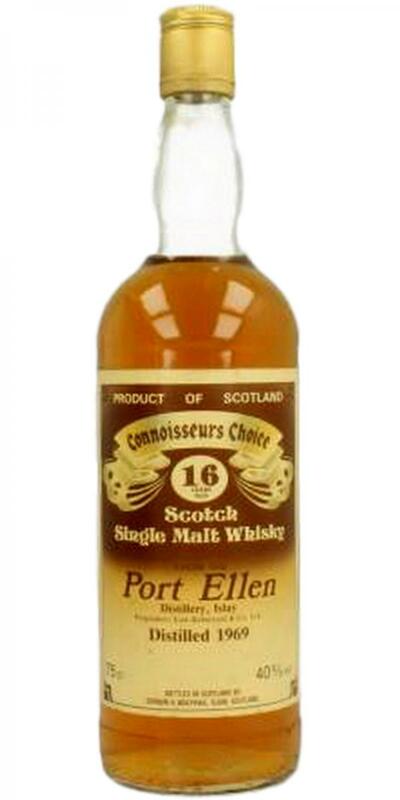 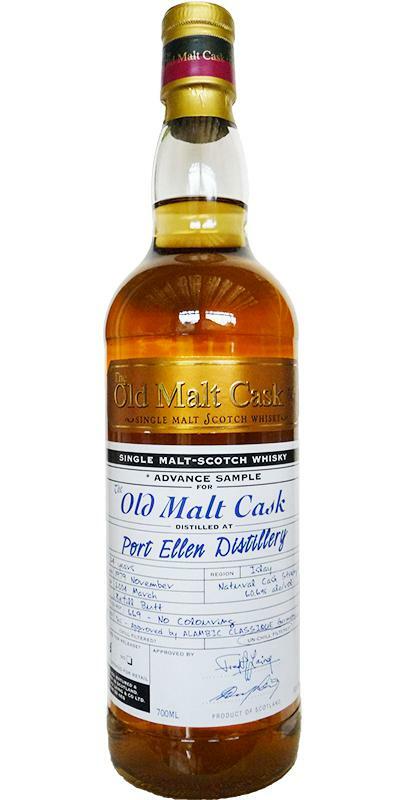 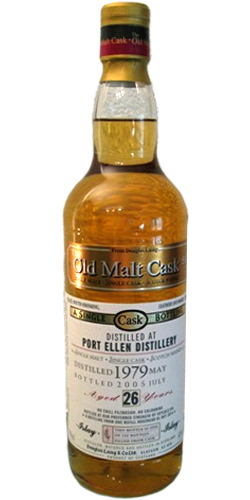 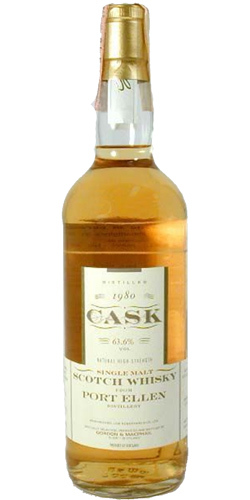 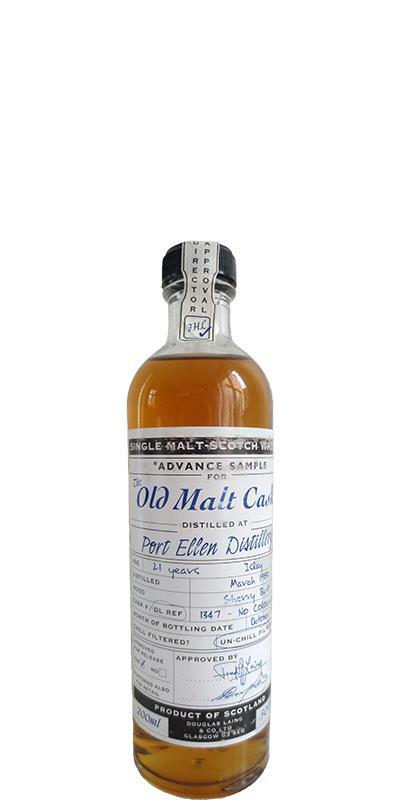 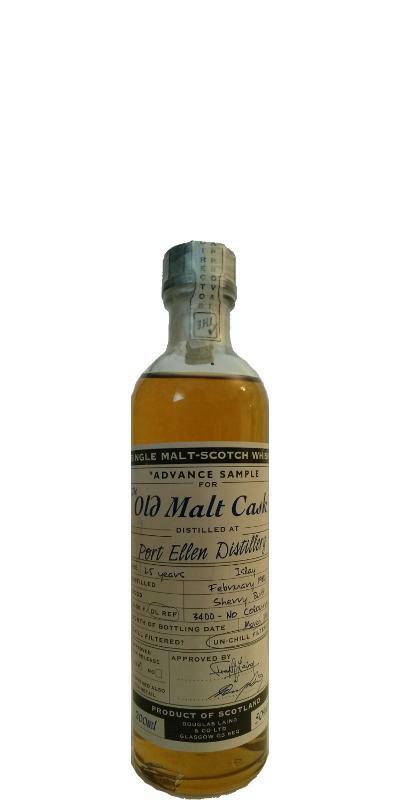 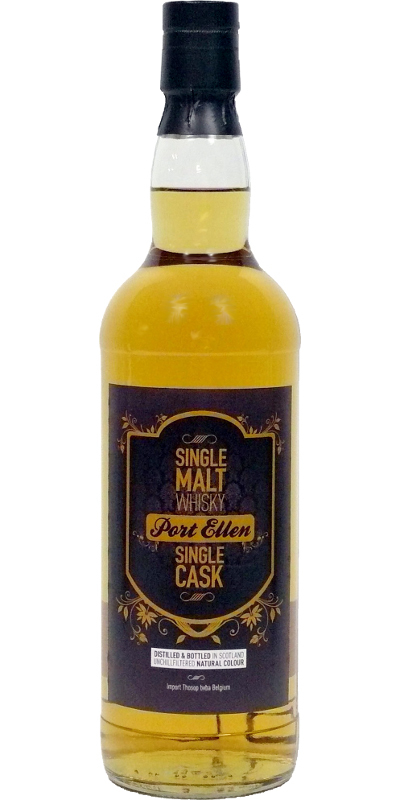 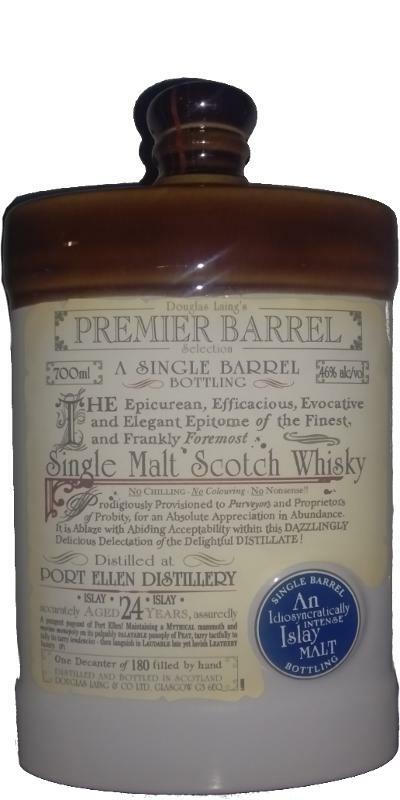 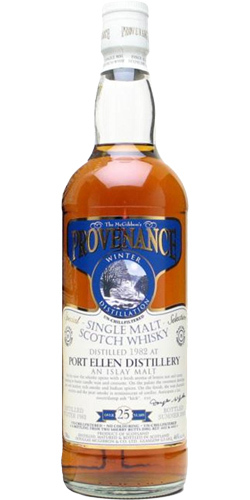 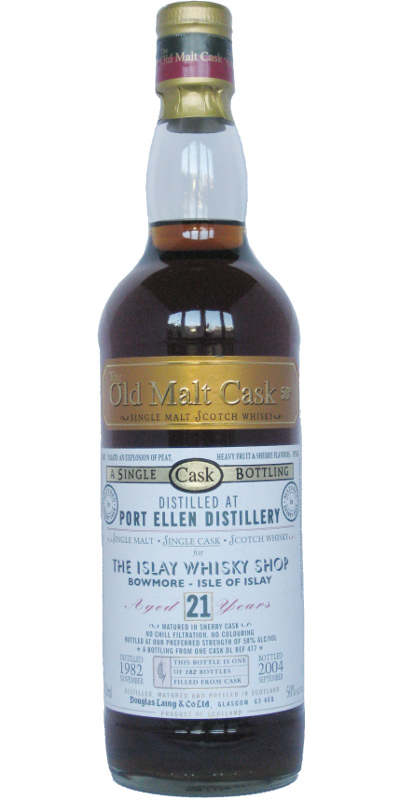 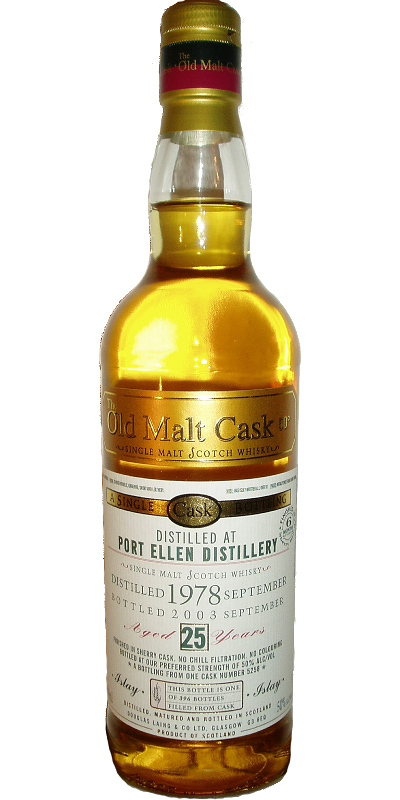 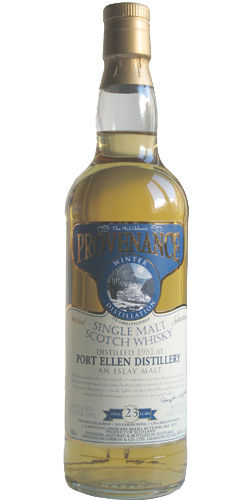 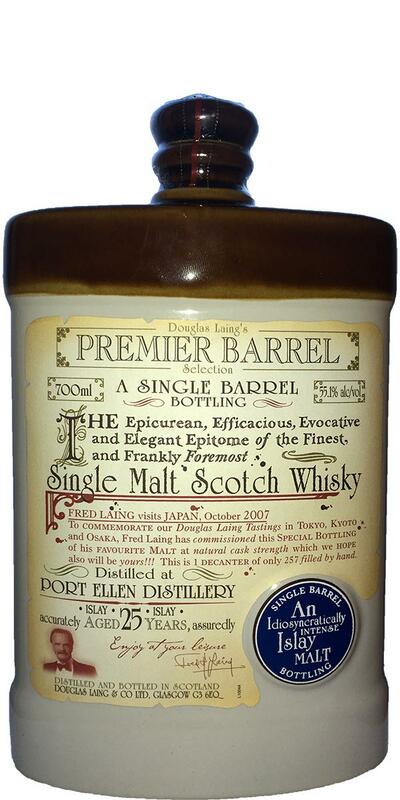 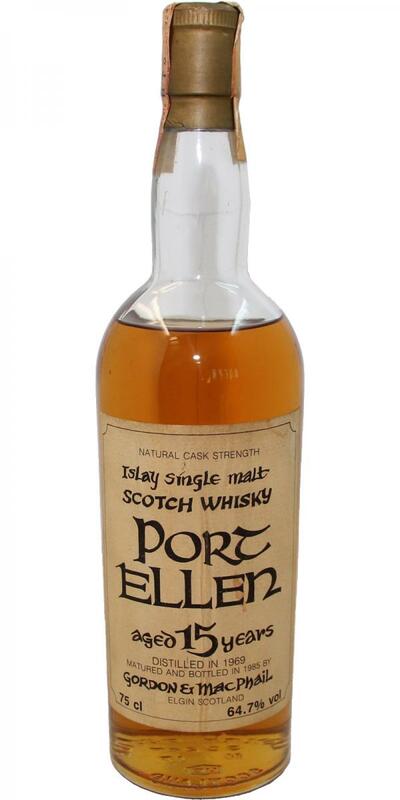 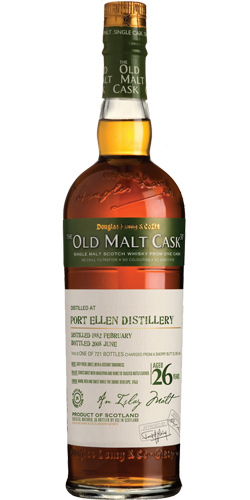 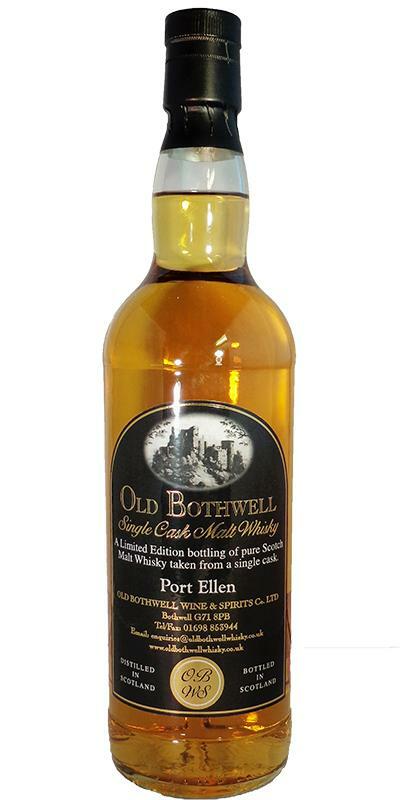 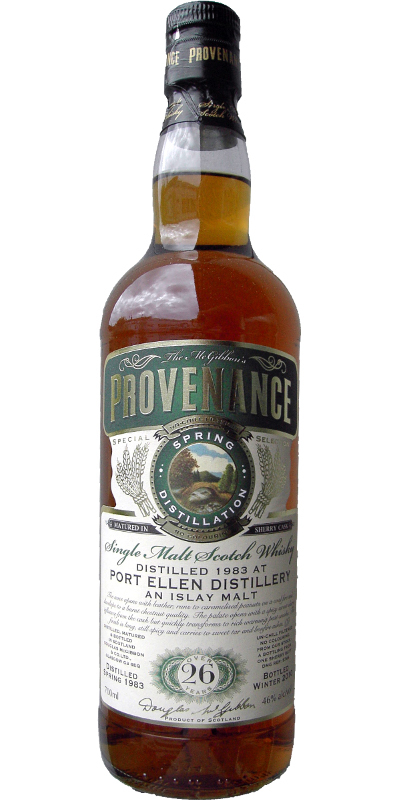 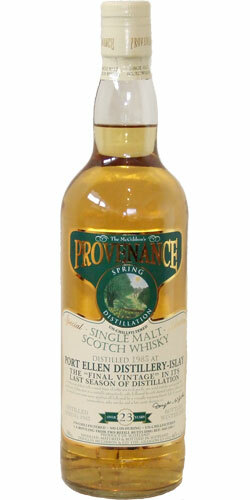 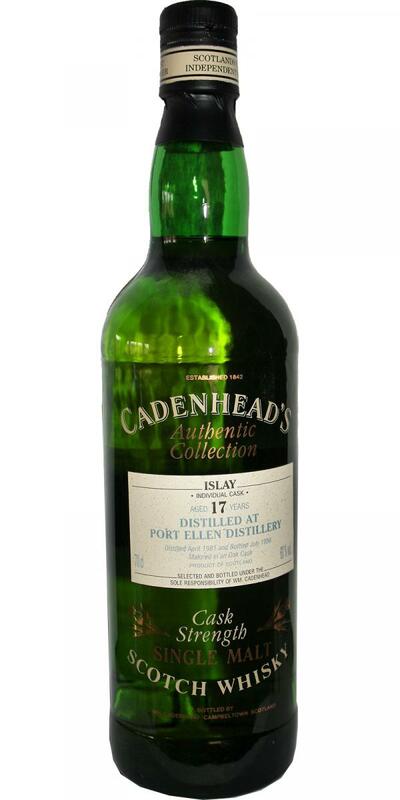 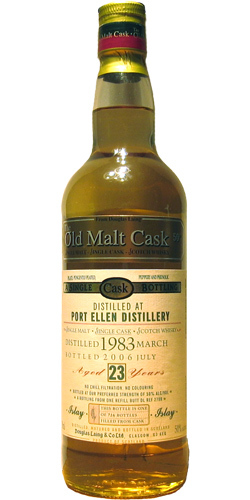 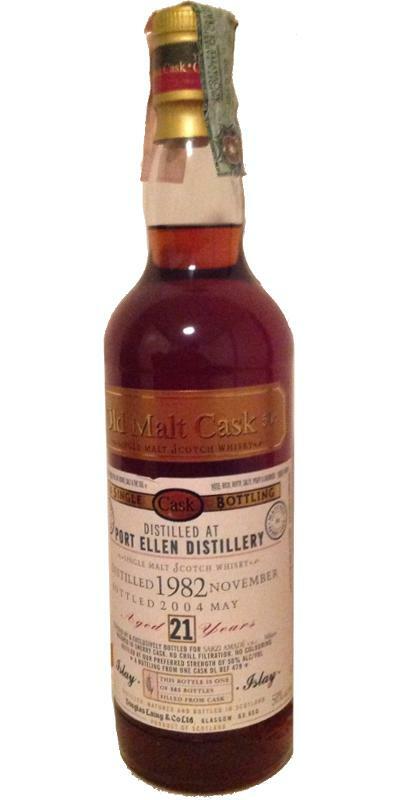 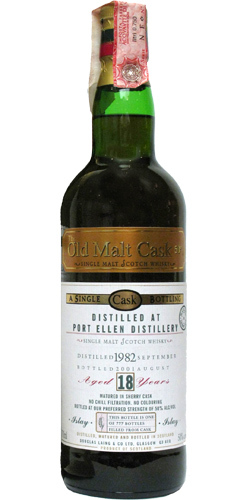 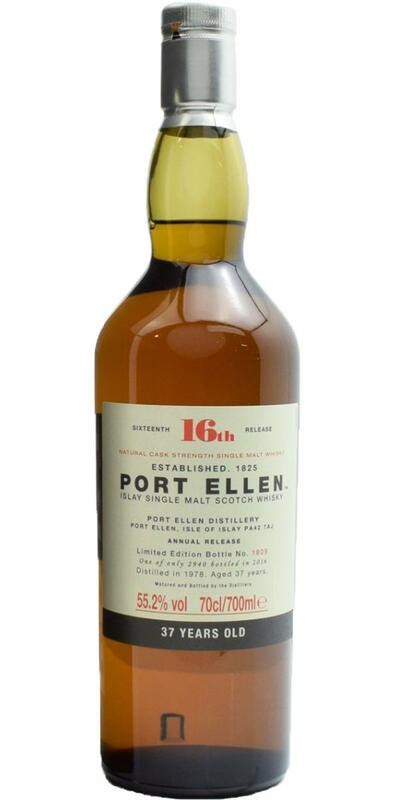 Port Ellen 1980 CA Authentic Collection 16 62.8 % Vol. 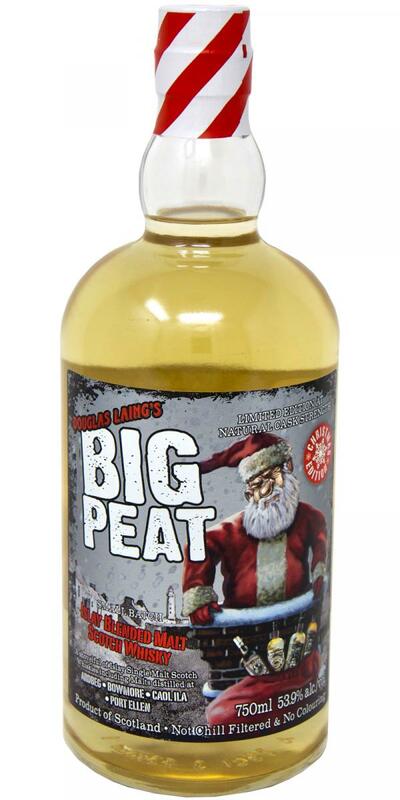 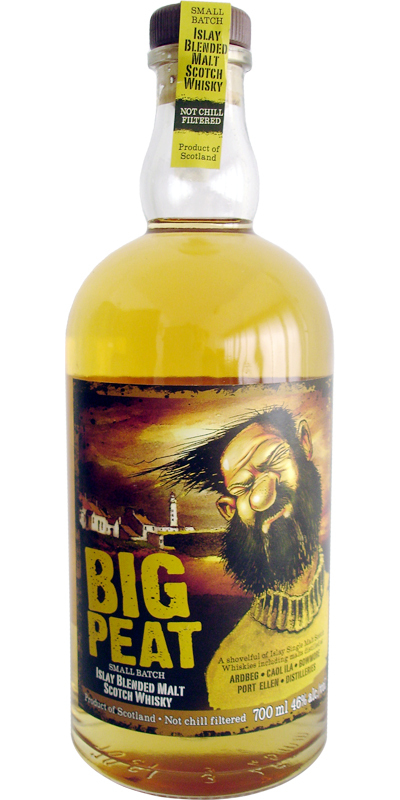 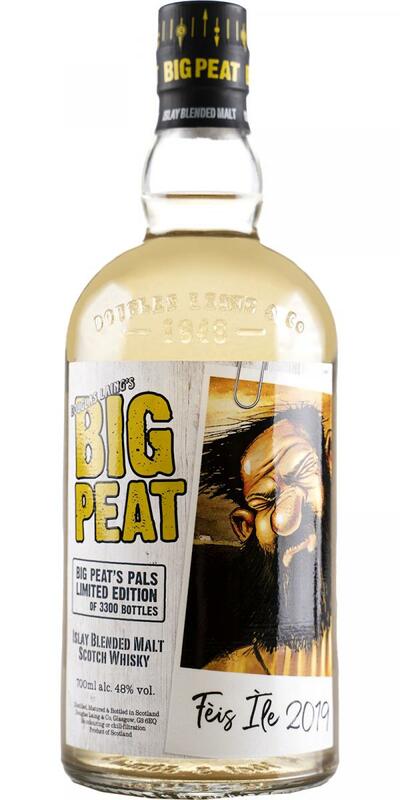 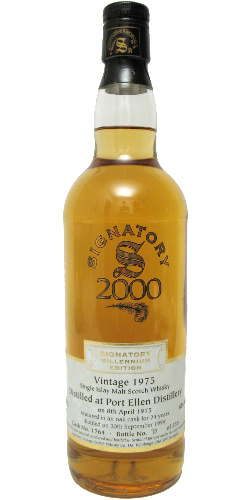 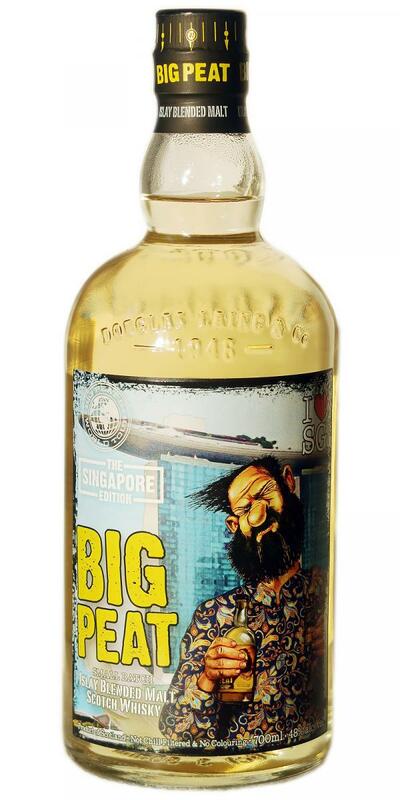 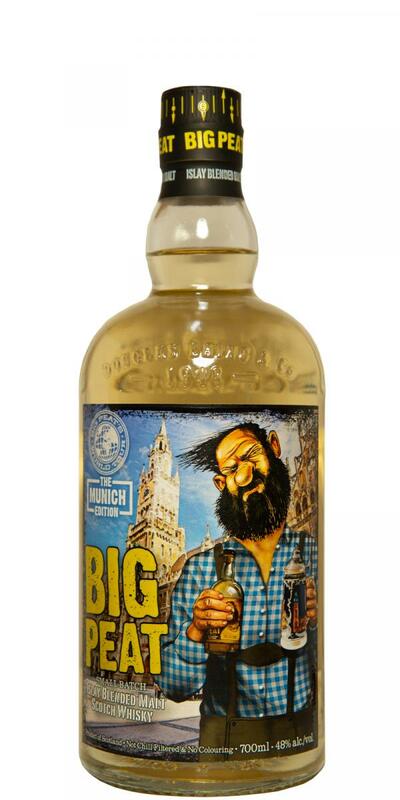 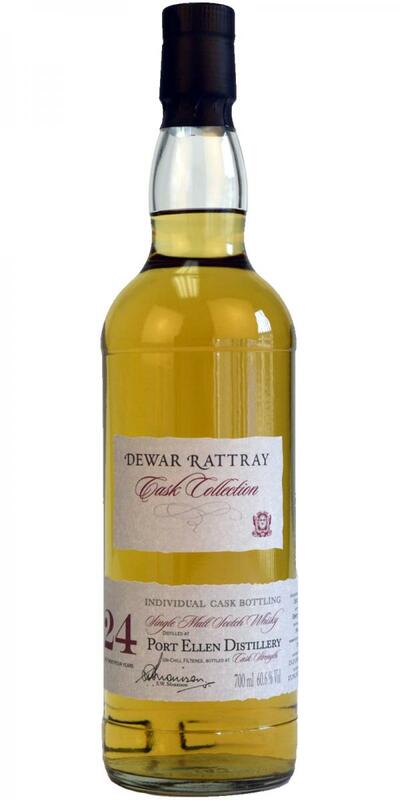 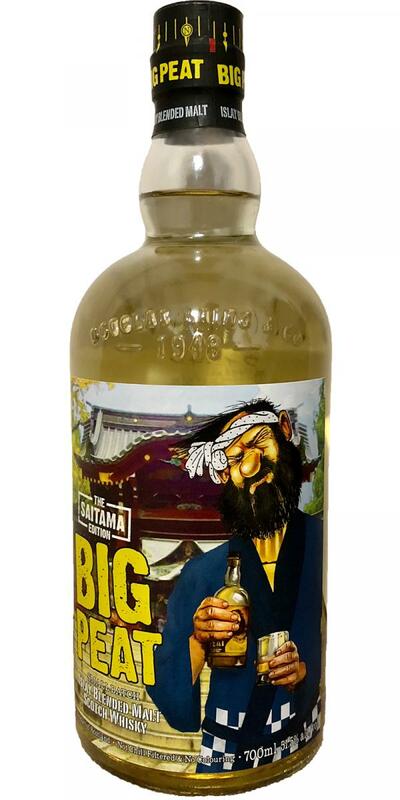 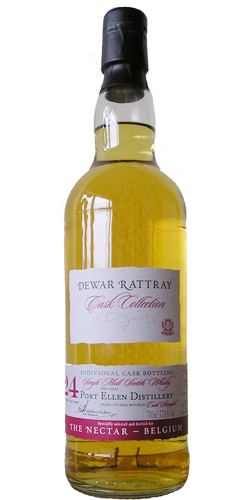 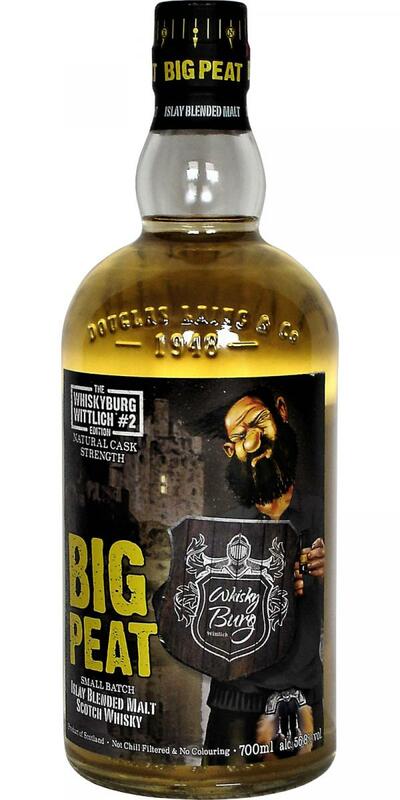 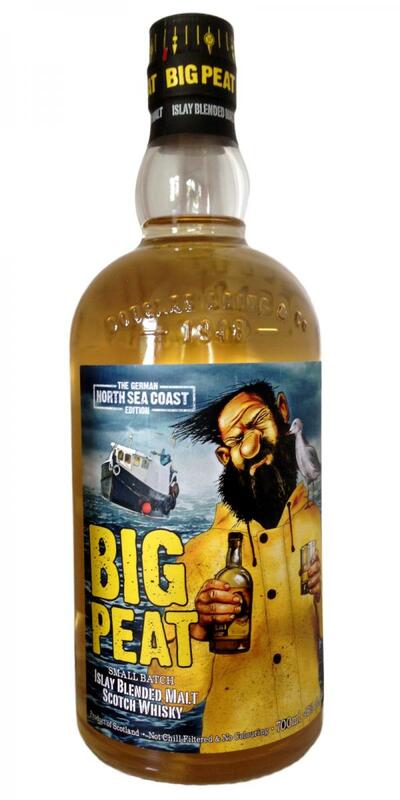 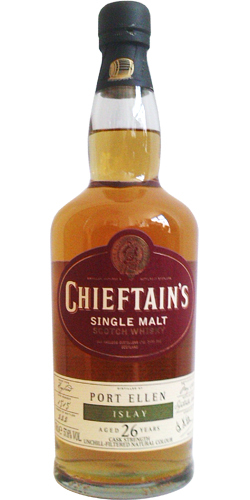 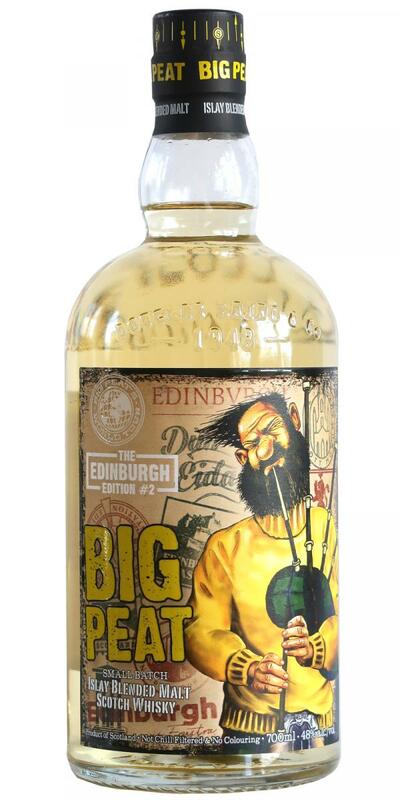 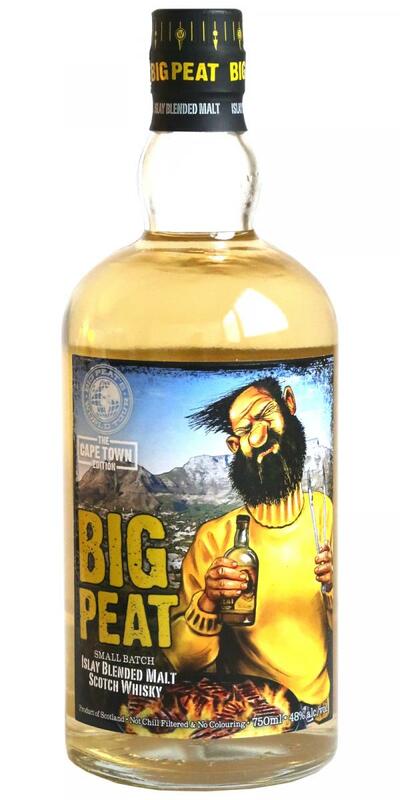 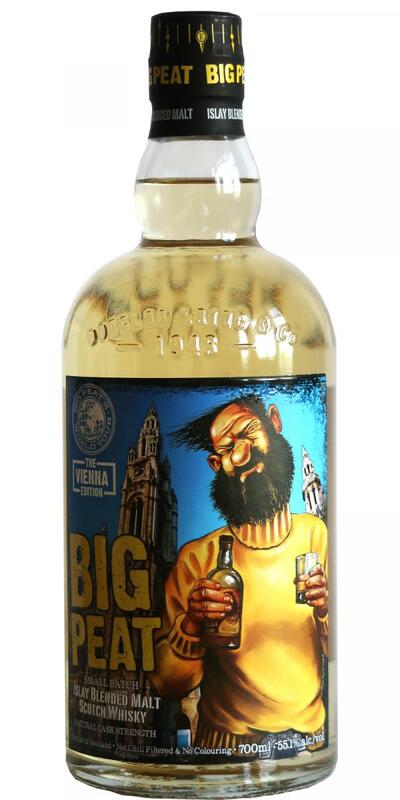 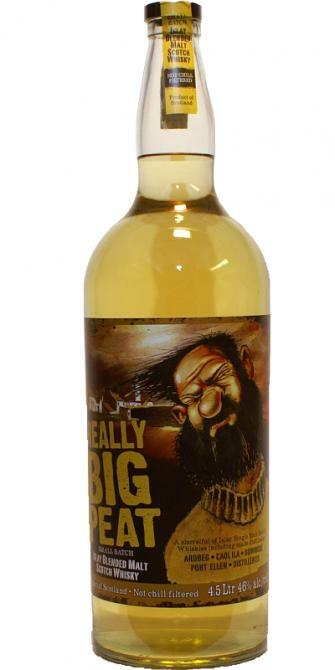 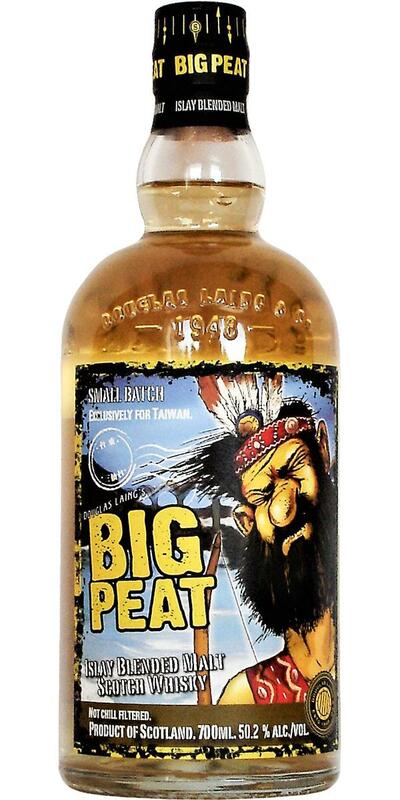 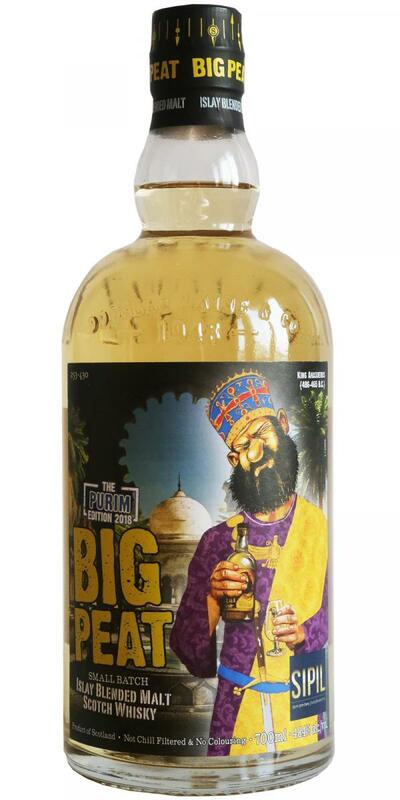 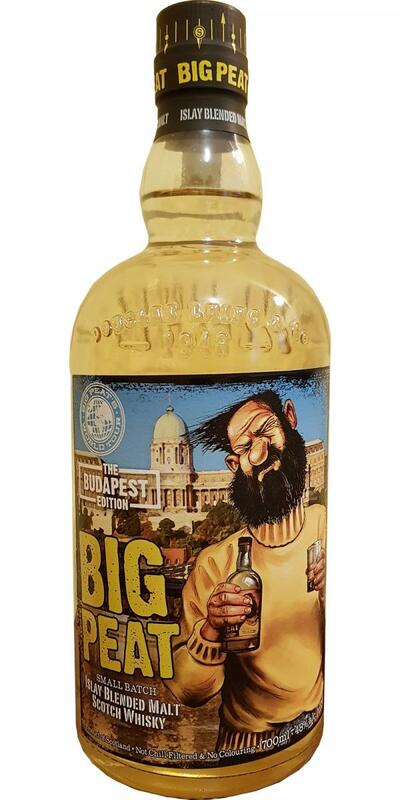 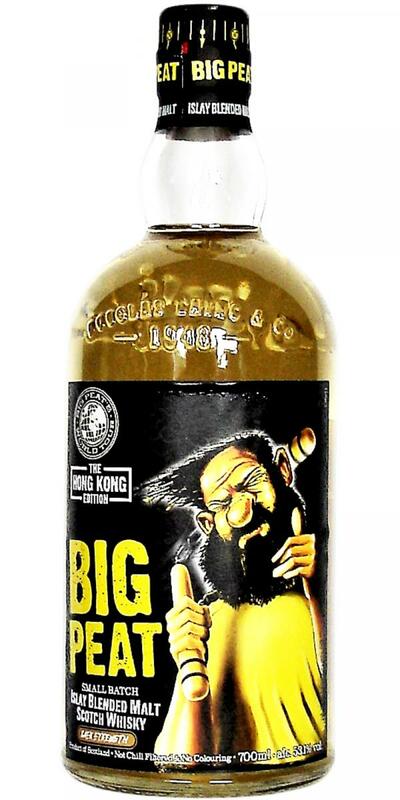 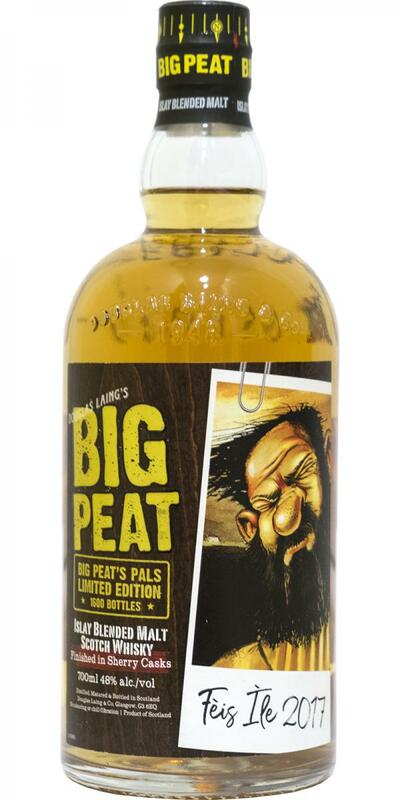 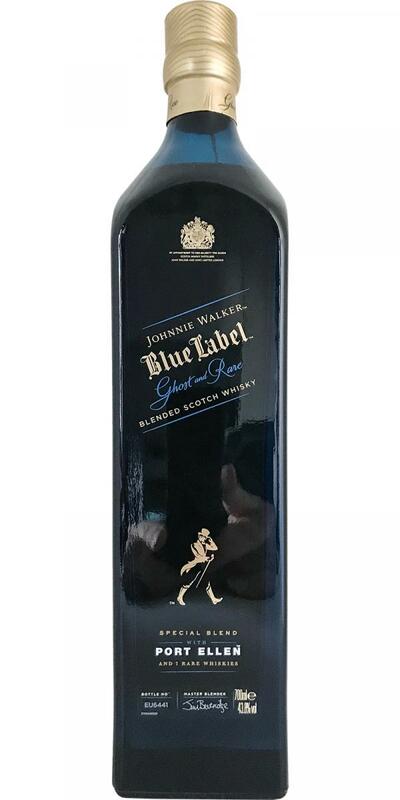 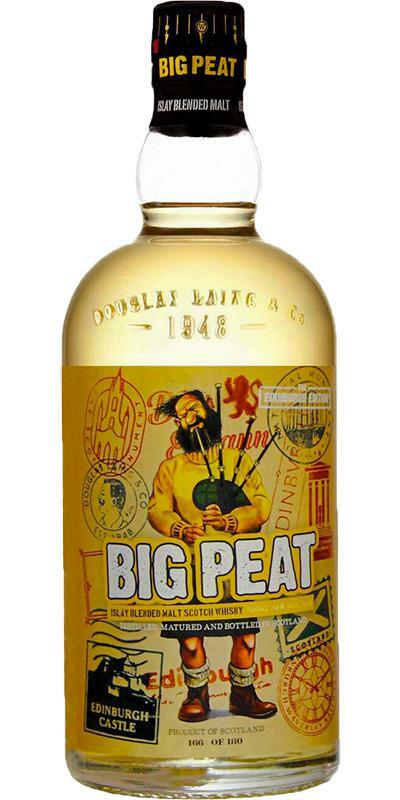 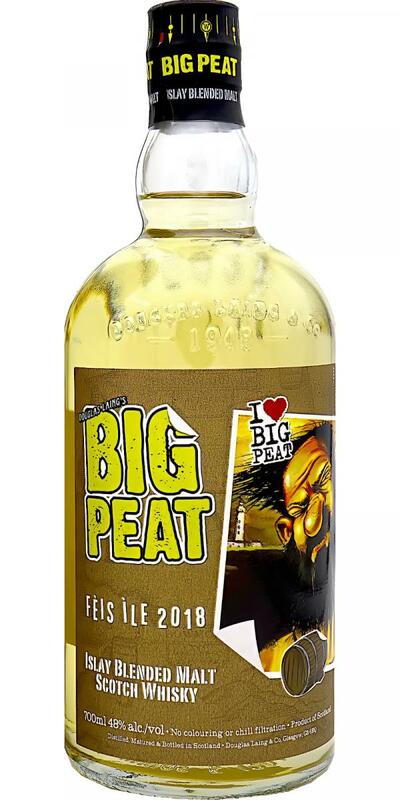 Big Peat Really Big Peat Taiwan Exclusive 52.3 % Vol. 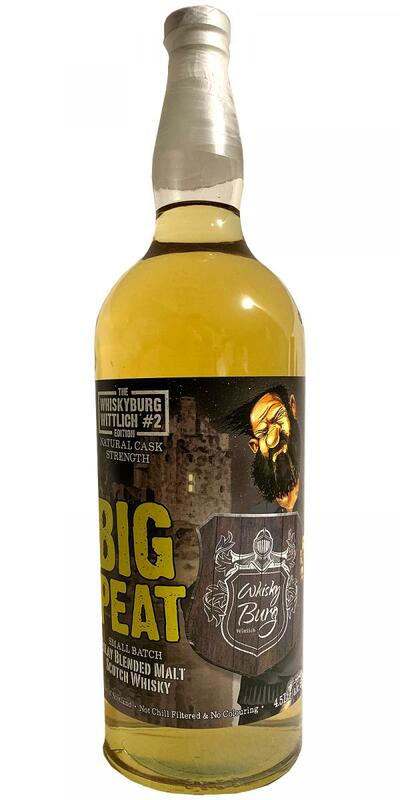 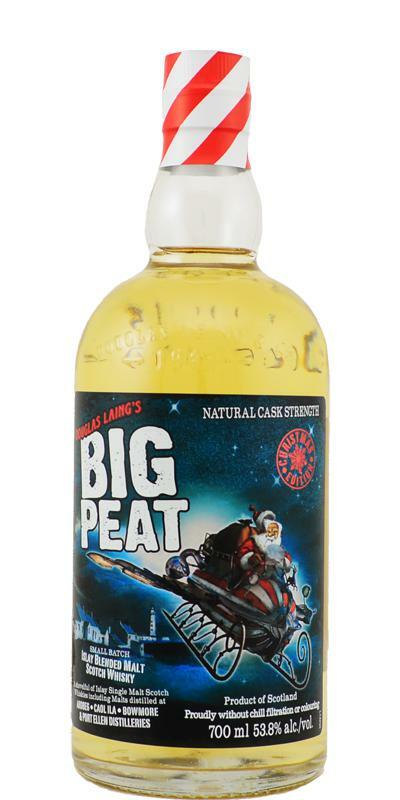 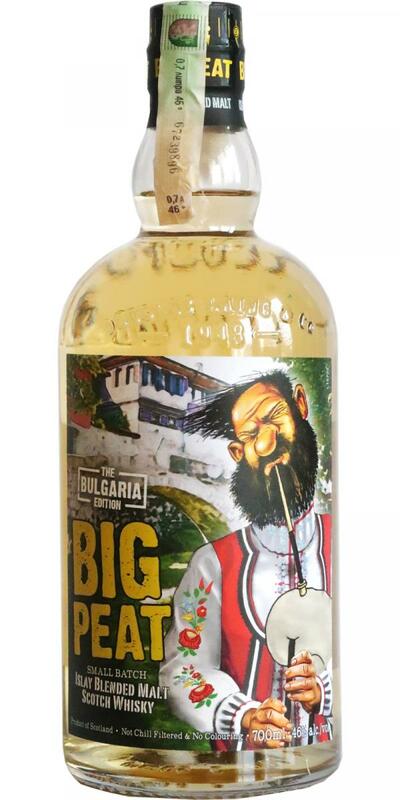 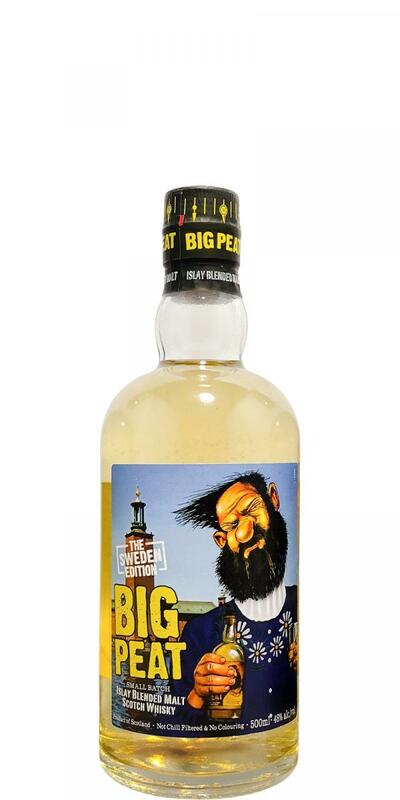 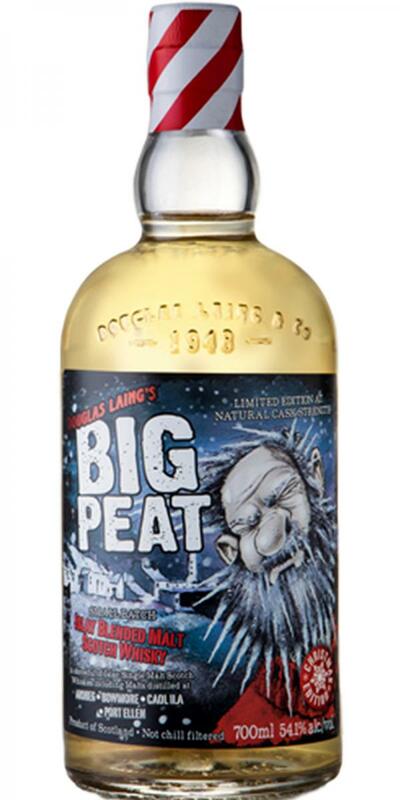 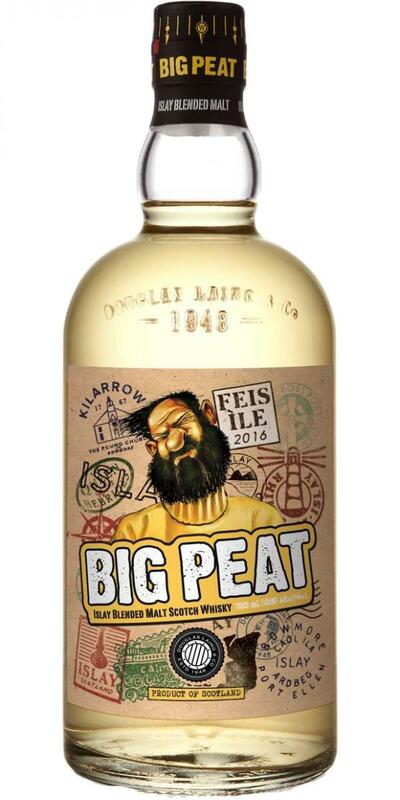 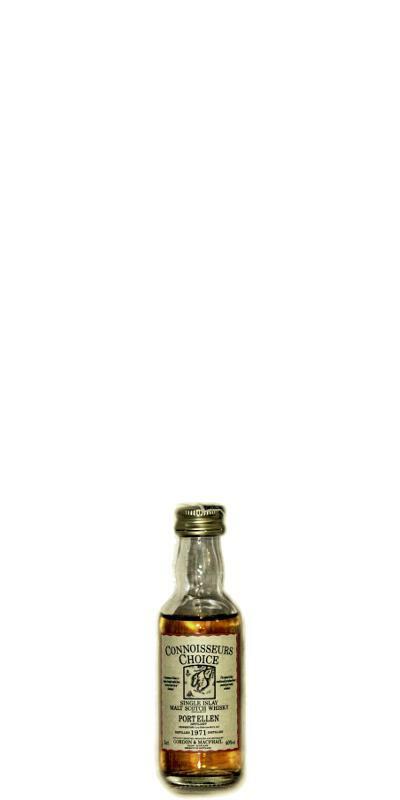 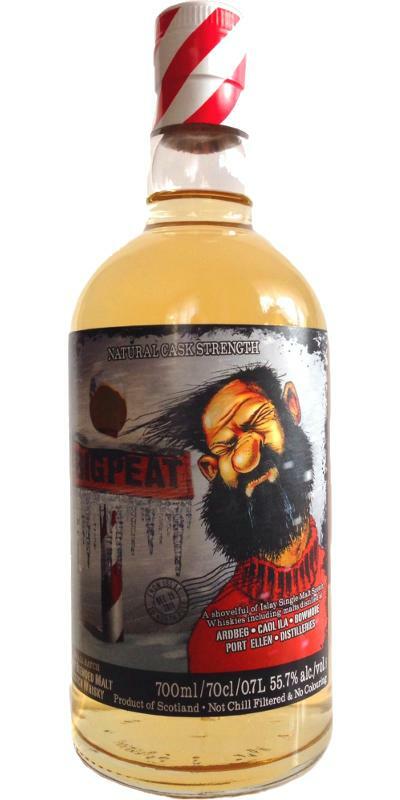 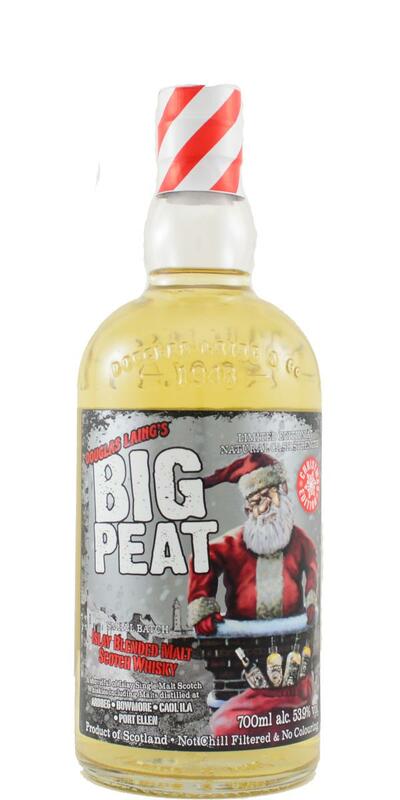 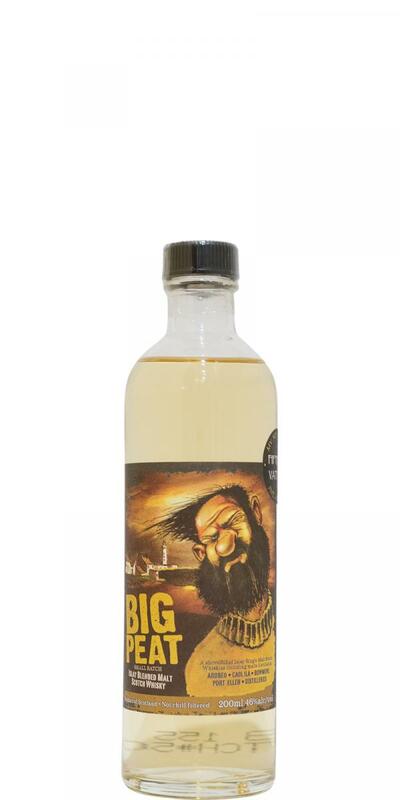 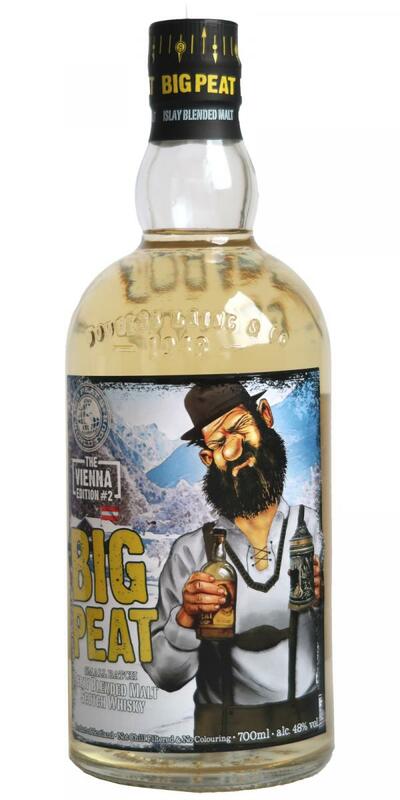 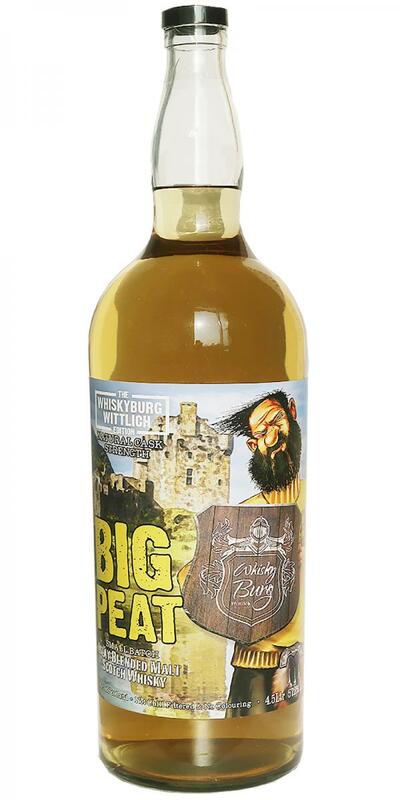 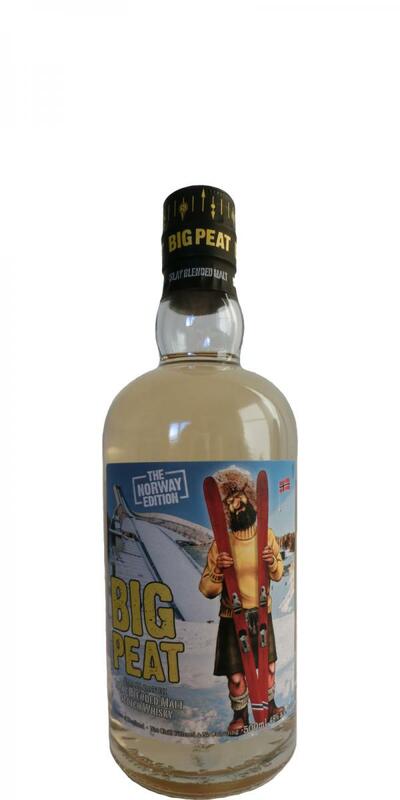 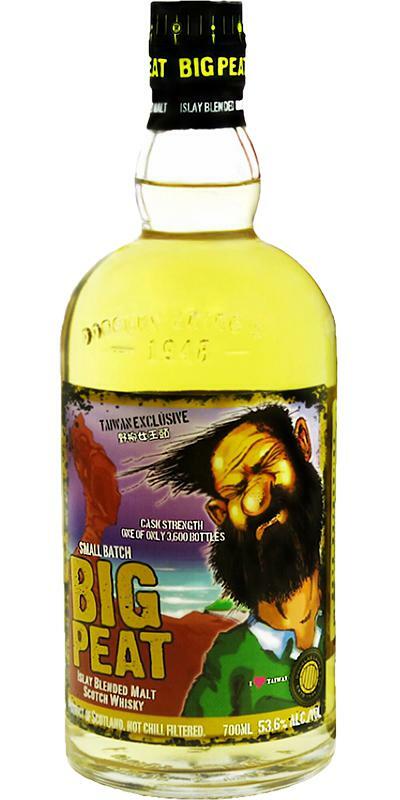 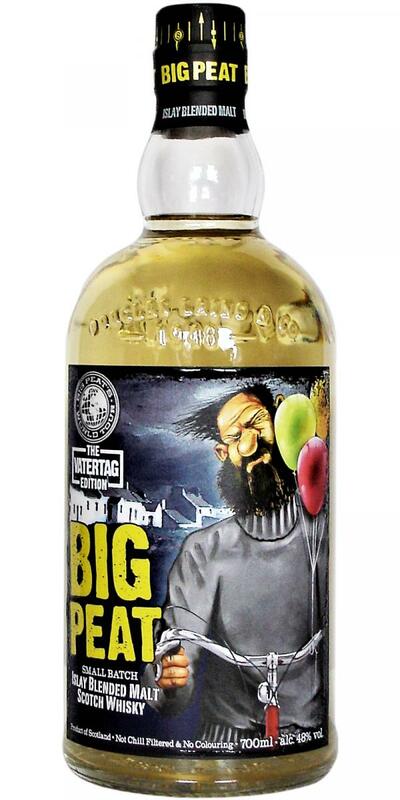 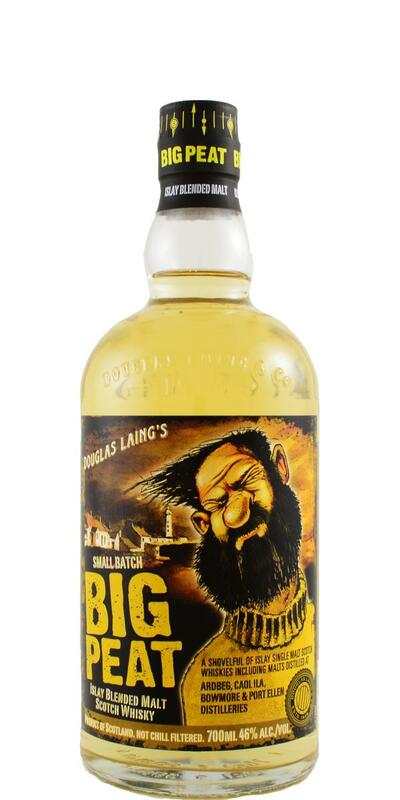 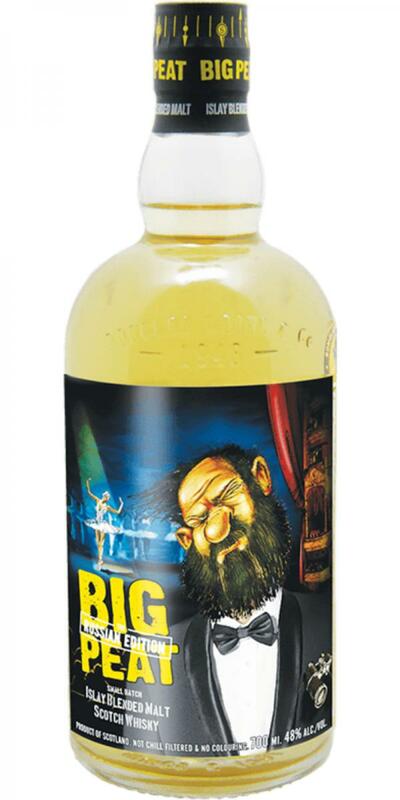 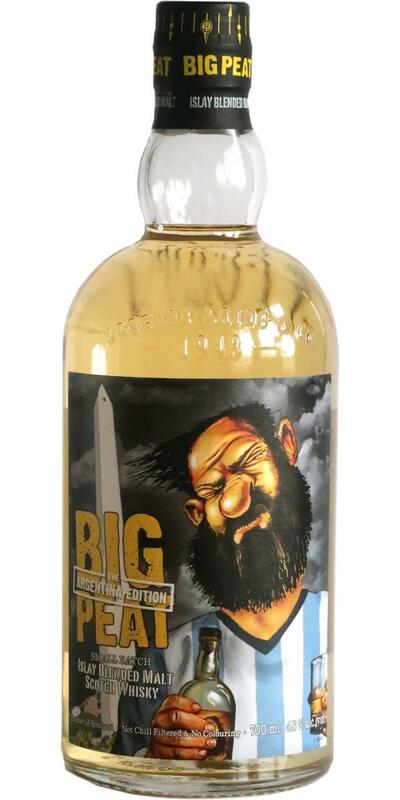 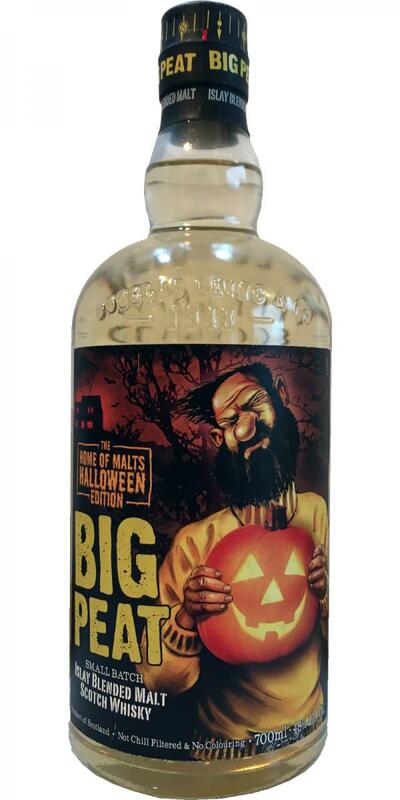 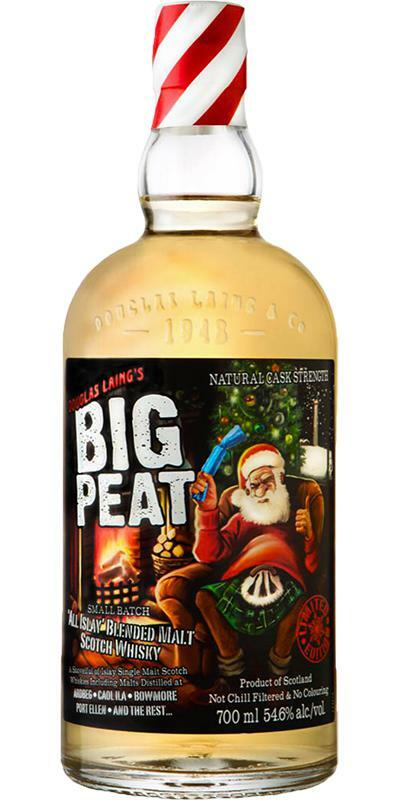 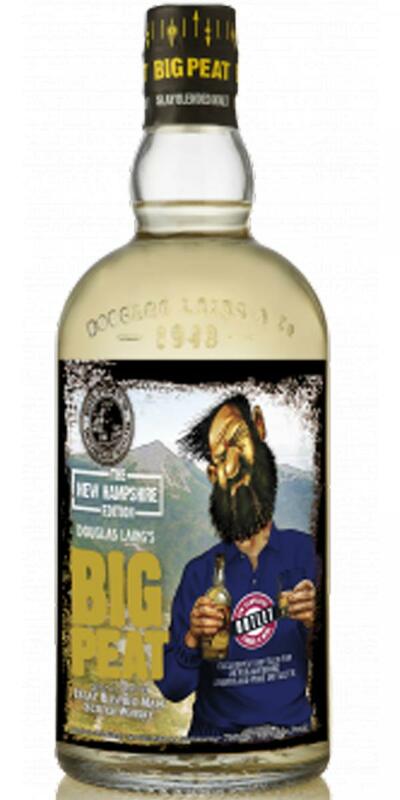 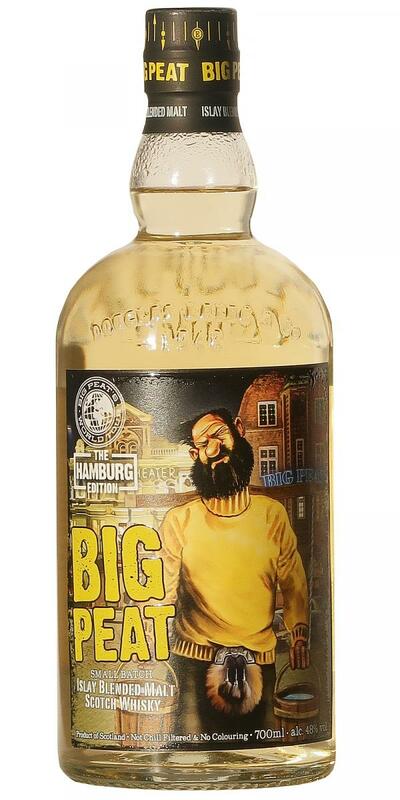 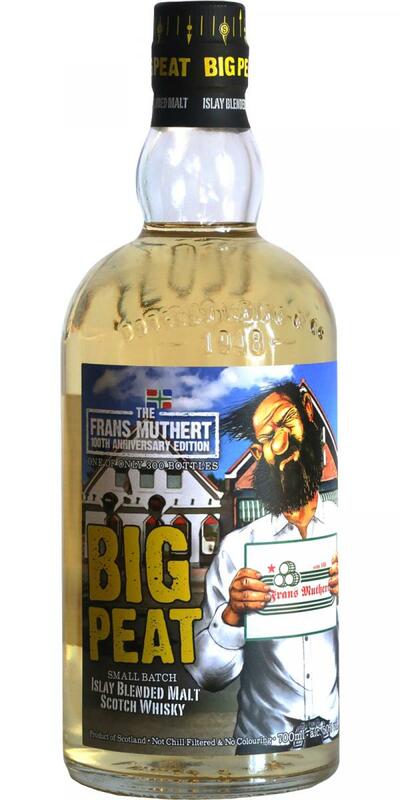 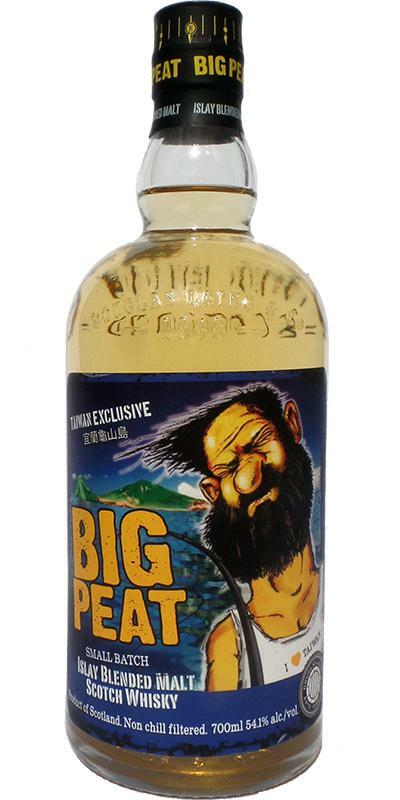 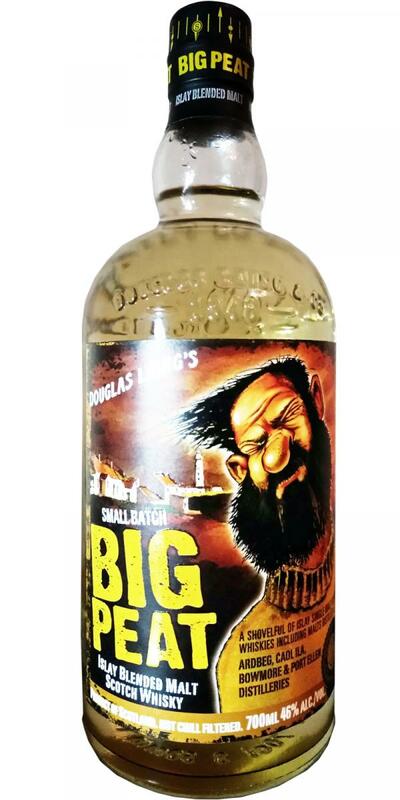 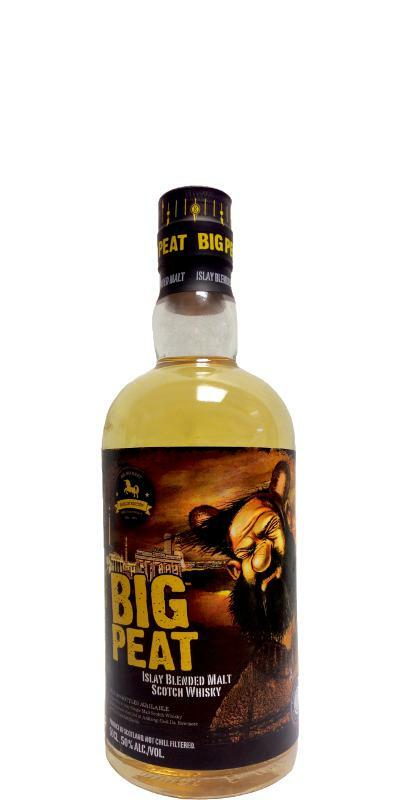 Big Peat The New Hampshire Edition DL 48.0 % Vol. 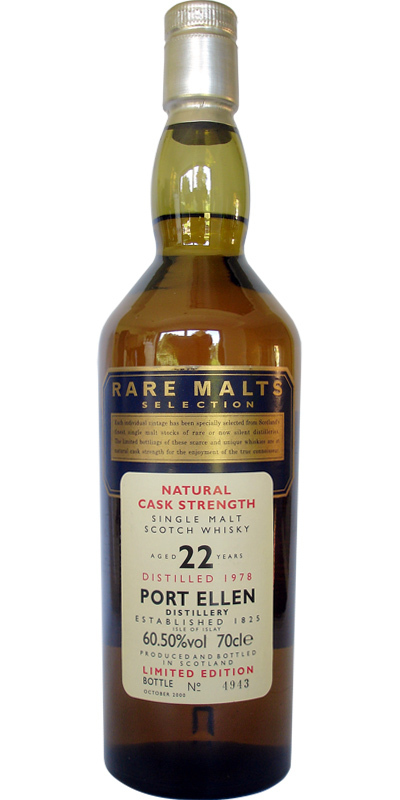 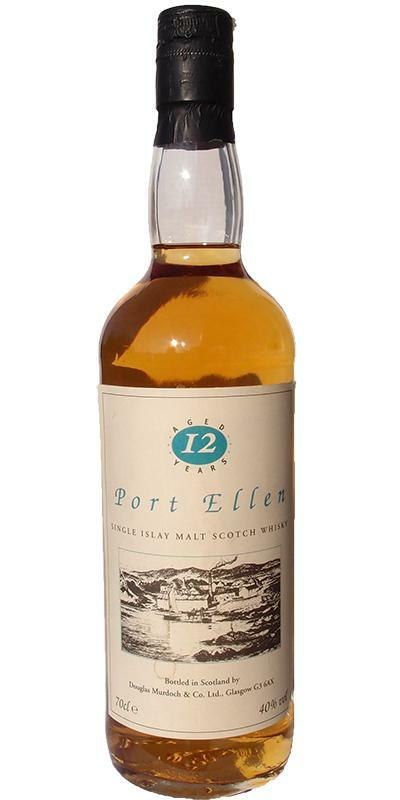 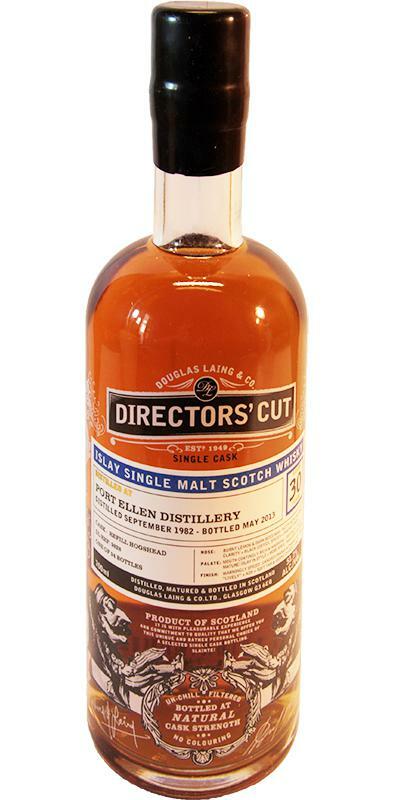 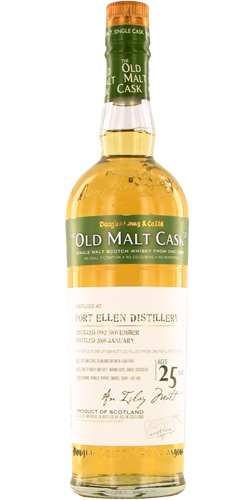 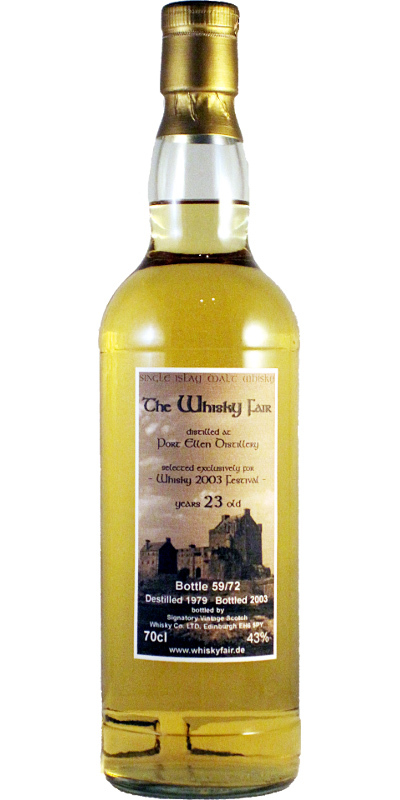 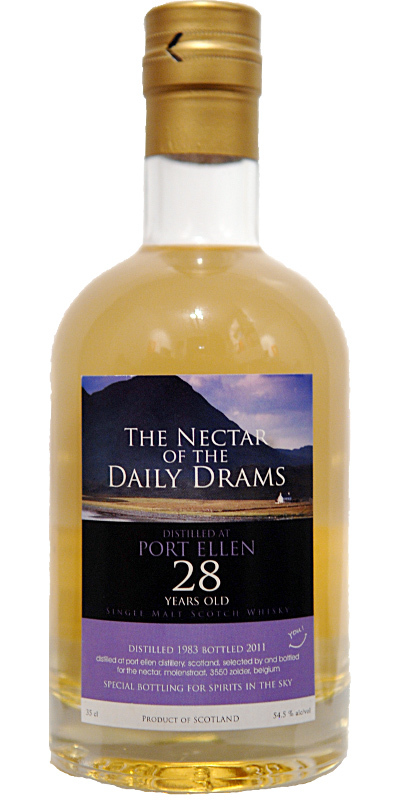 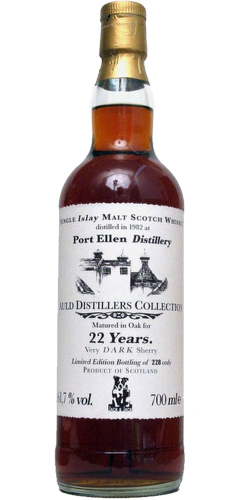 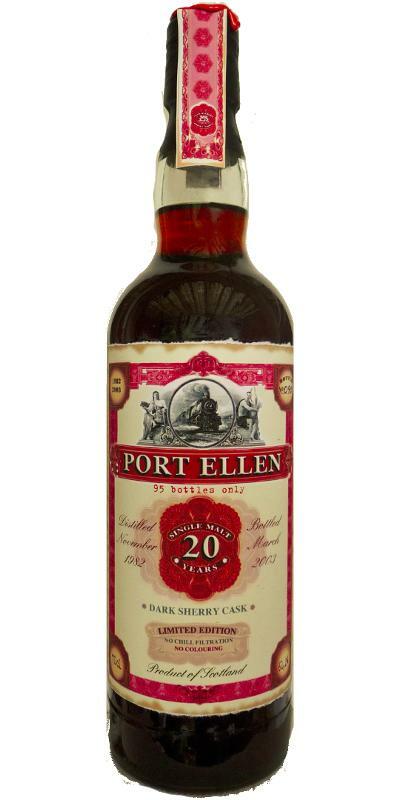 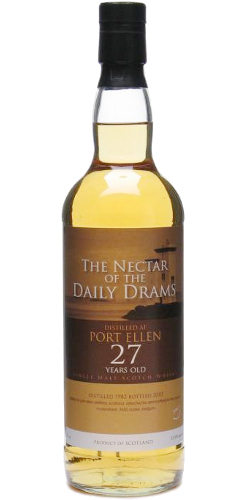 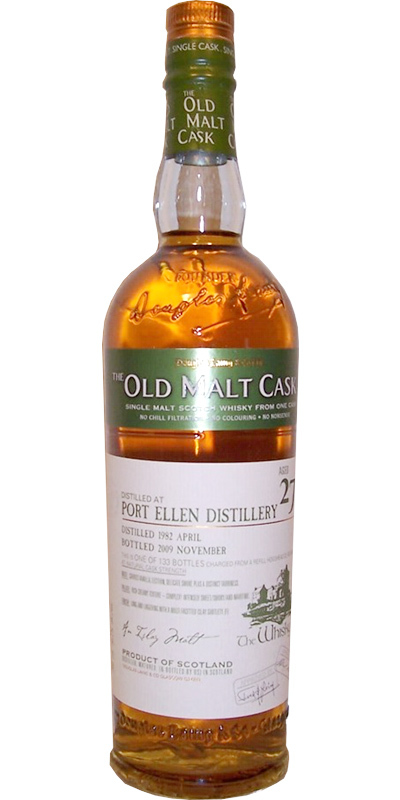 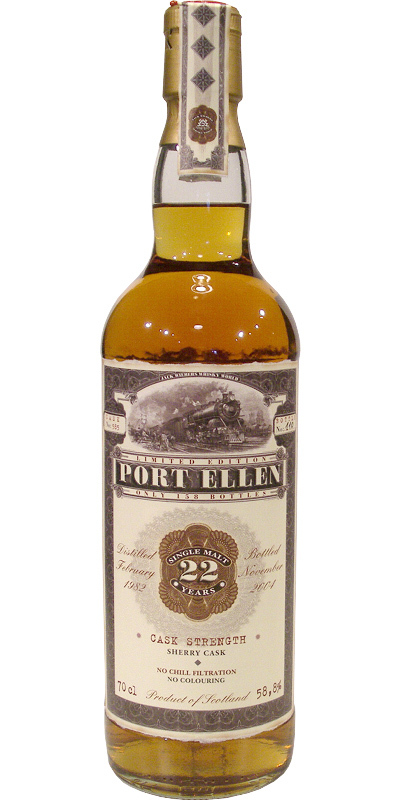 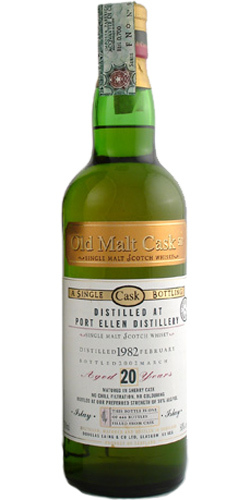 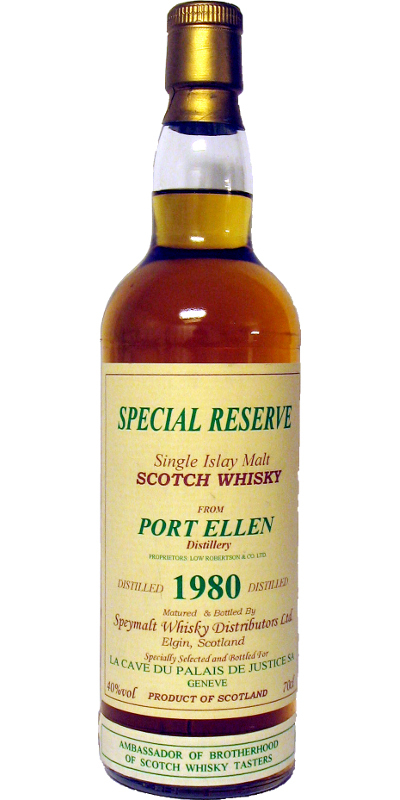 Port Ellen 1982 DoD 21 60.8 % Vol. 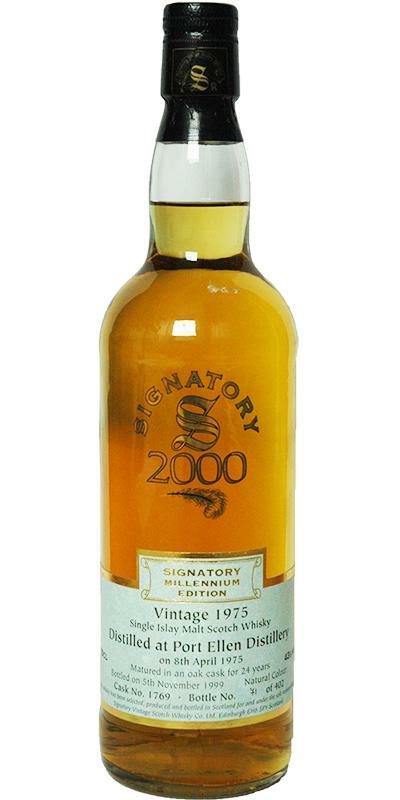 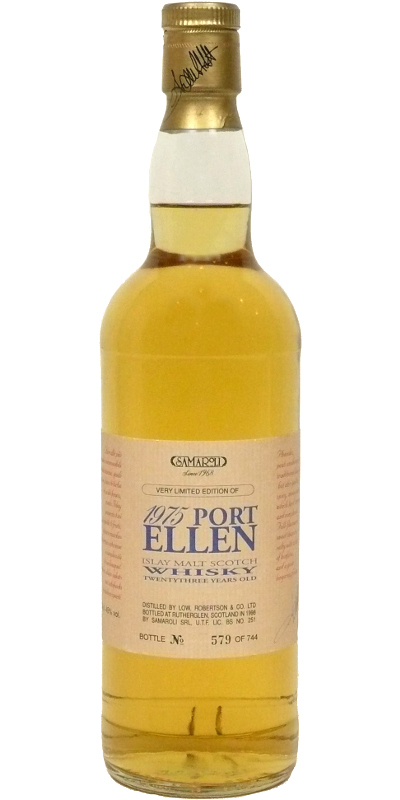 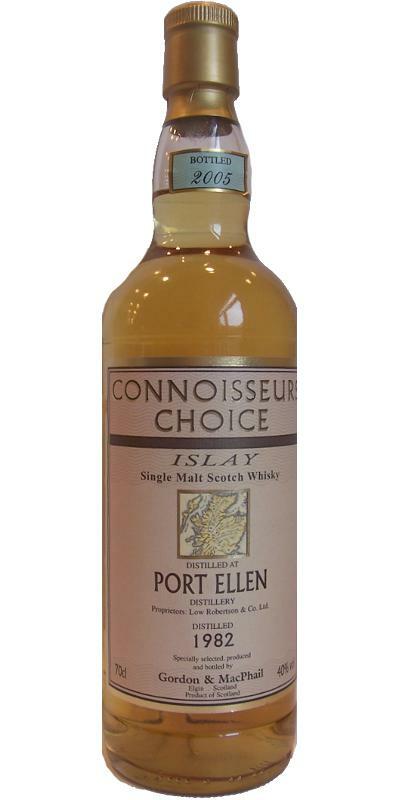 Port Ellen 1970 GM Connoisseurs Choice 40.0 % Vol. 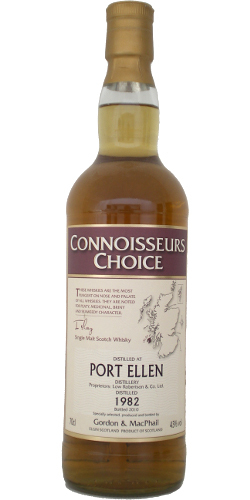 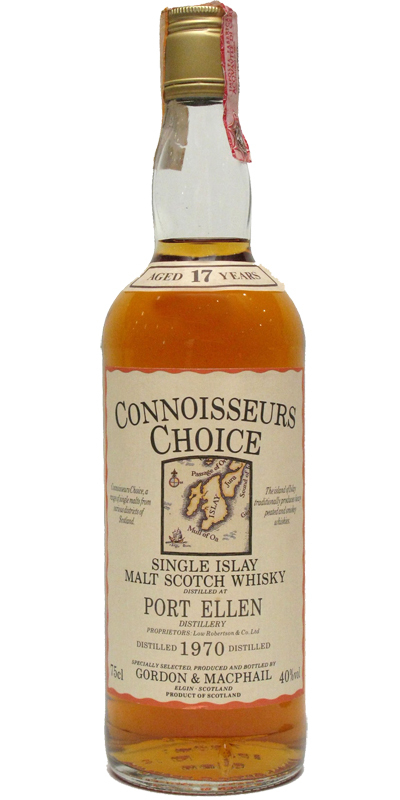 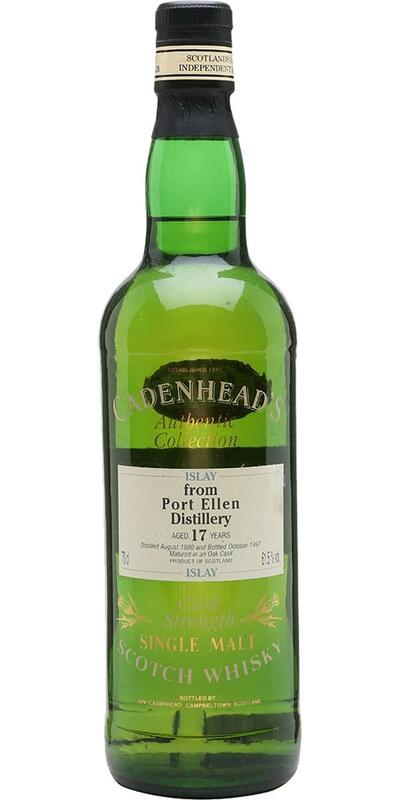 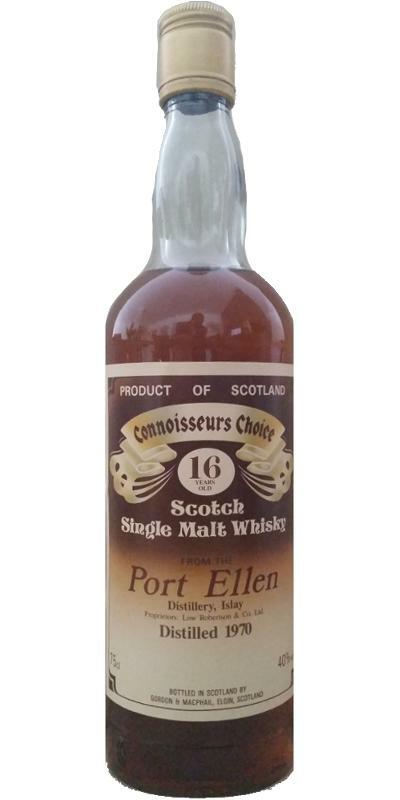 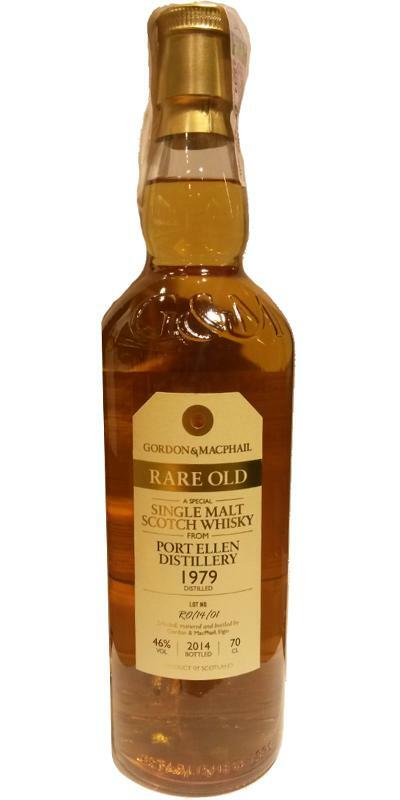 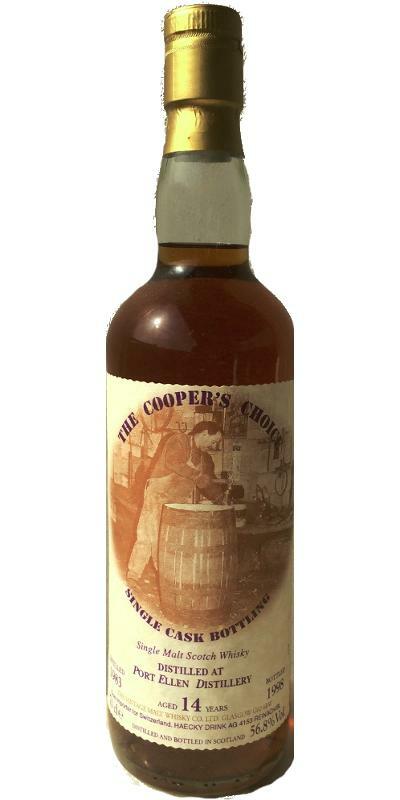 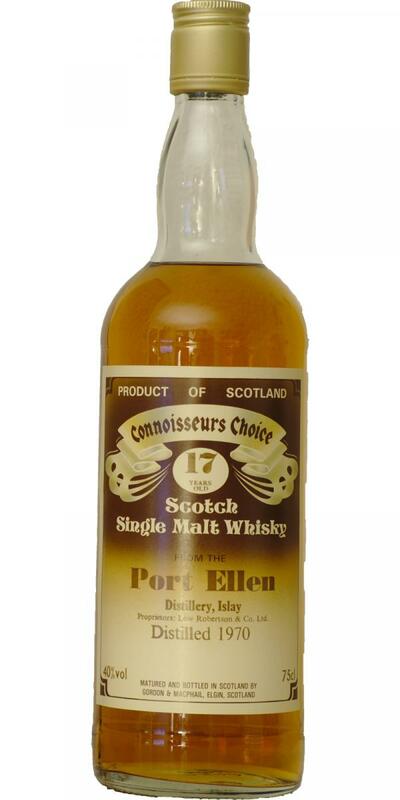 Port Ellen 1970 GM Connoisseurs Choice Connoisseurs Choice 17 40.0 % Vol. 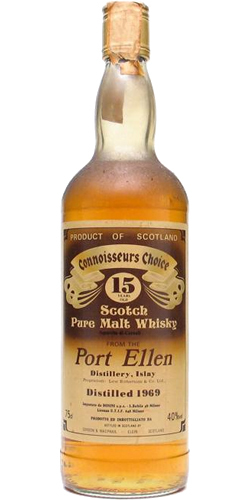 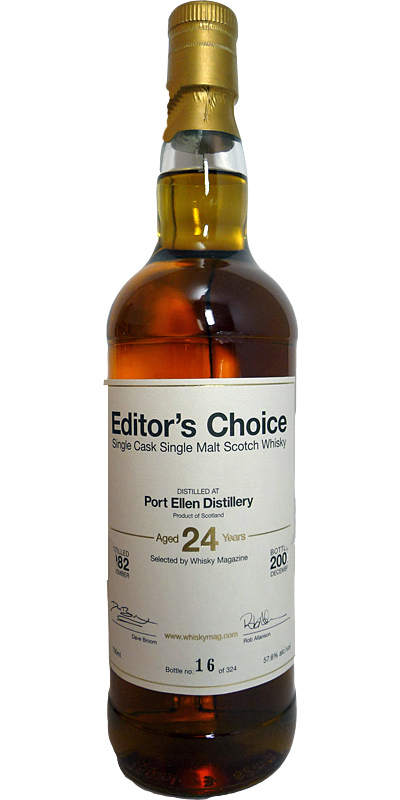 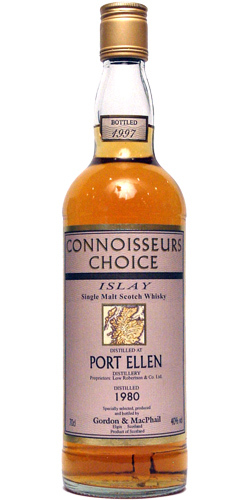 Port Ellen 1974 GM Connoisseurs Choice 40.0 % Vol. 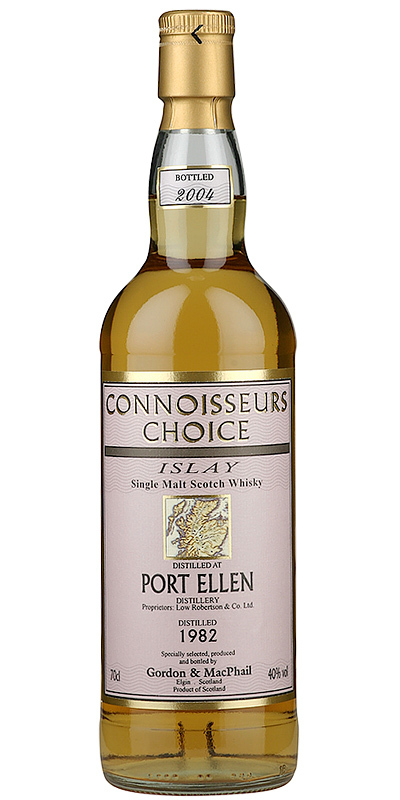 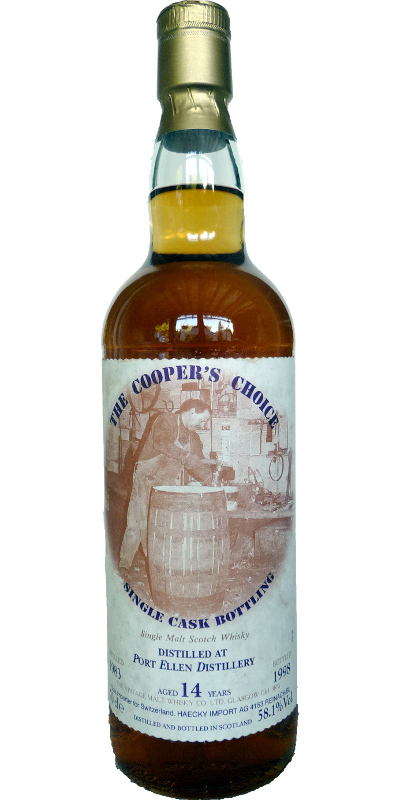 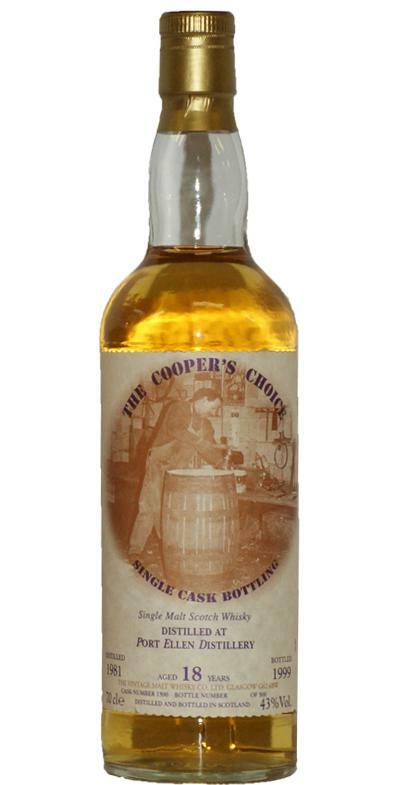 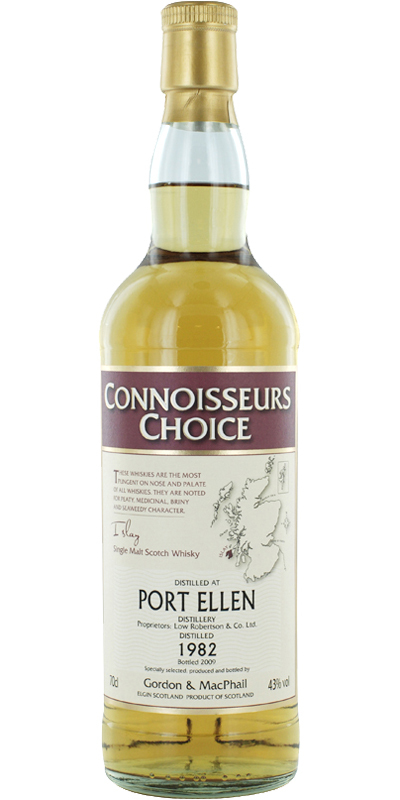 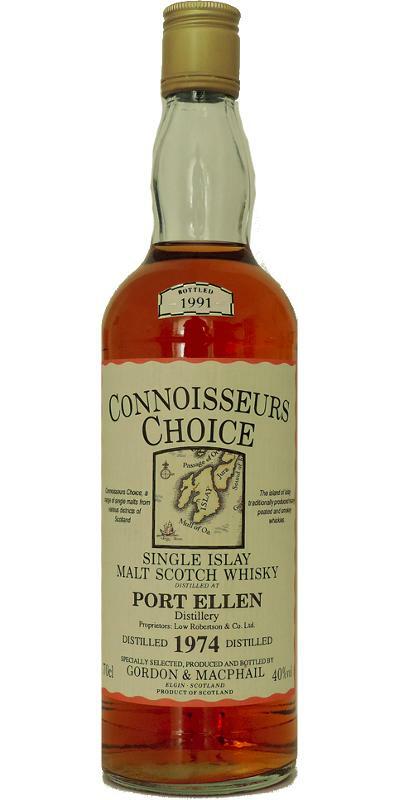 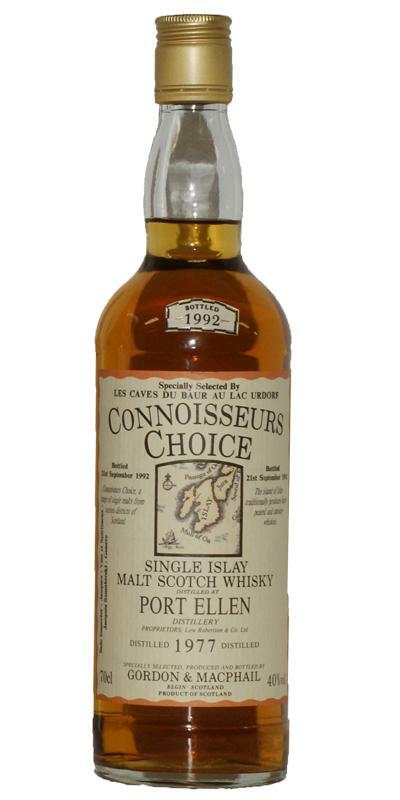 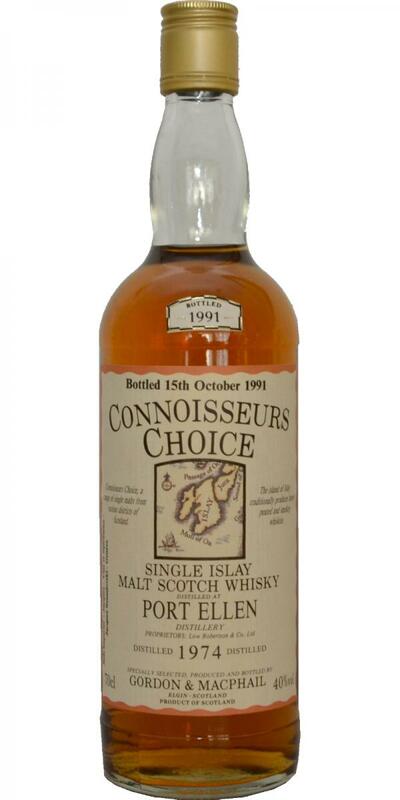 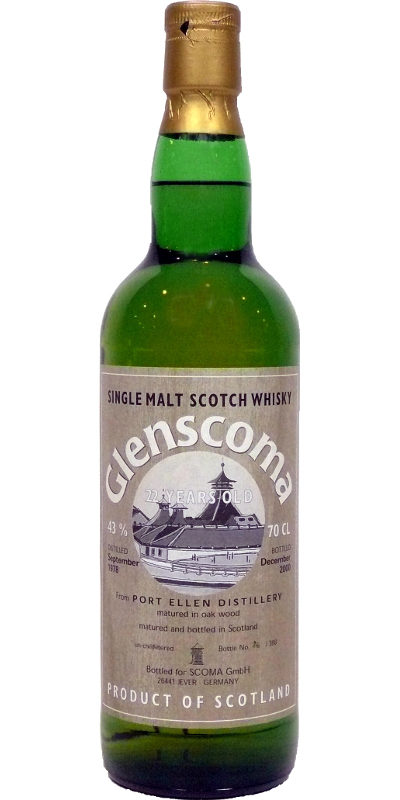 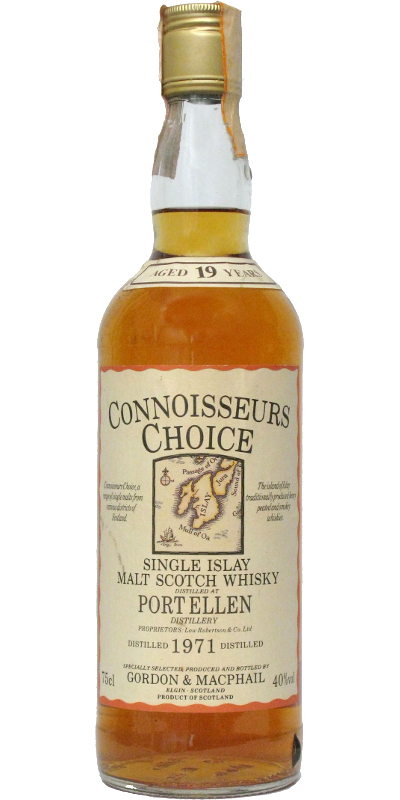 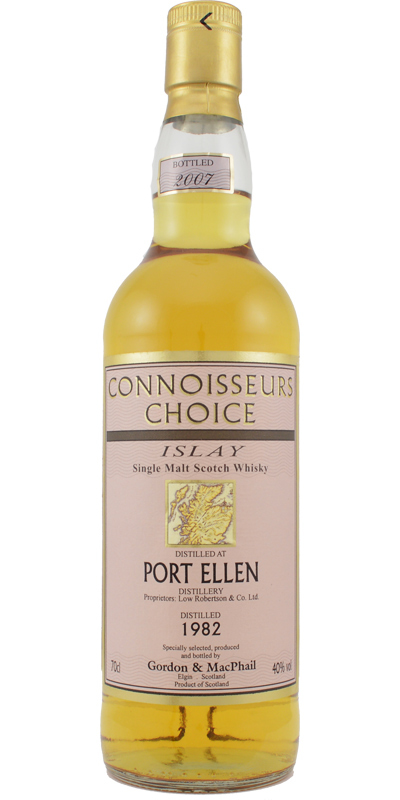 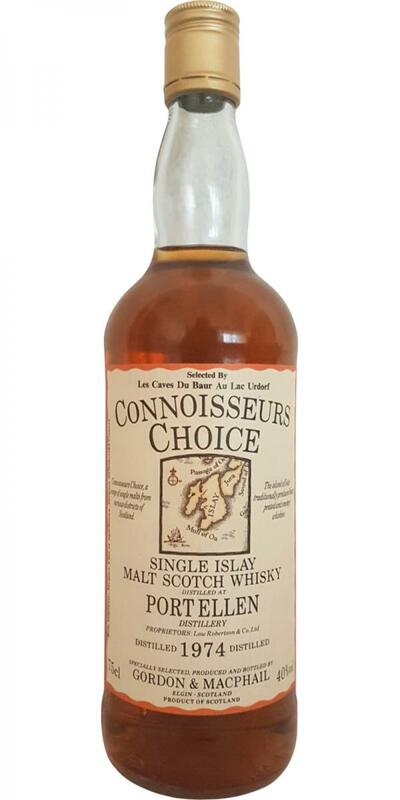 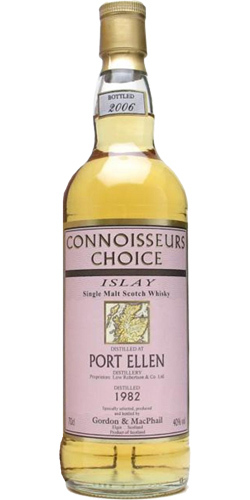 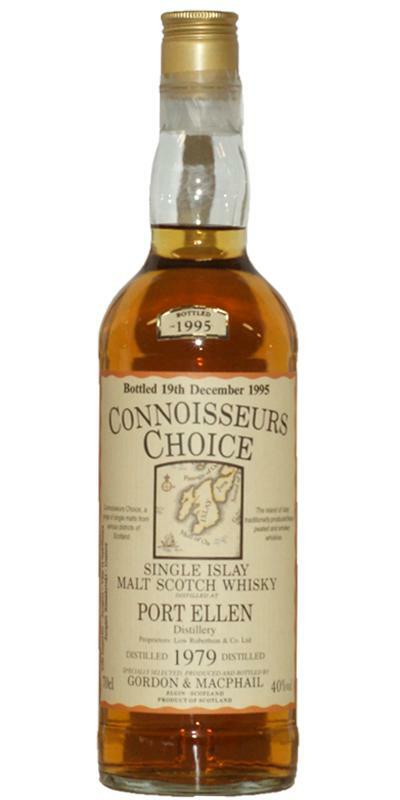 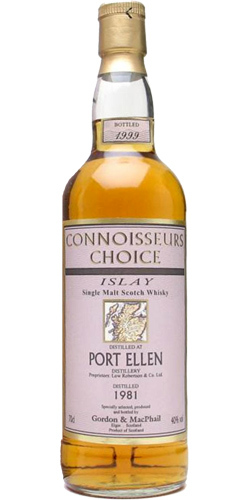 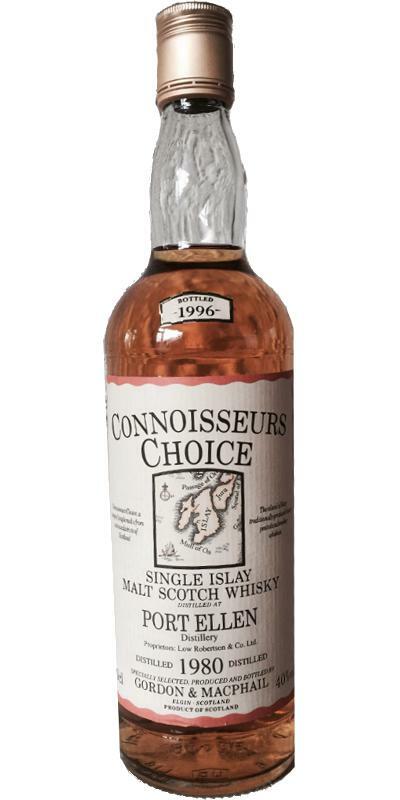 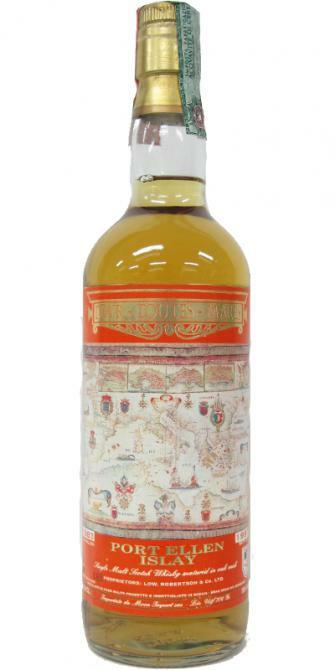 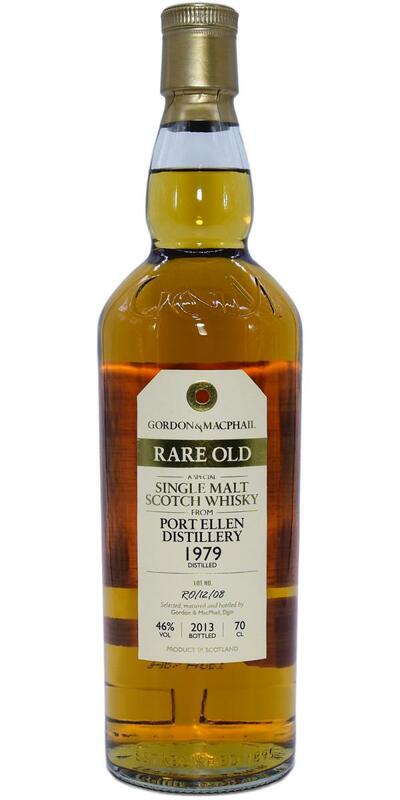 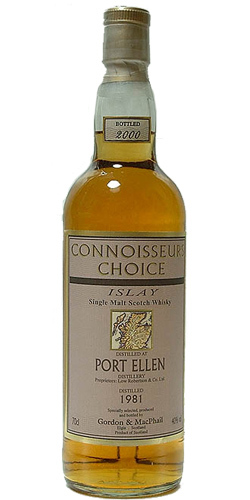 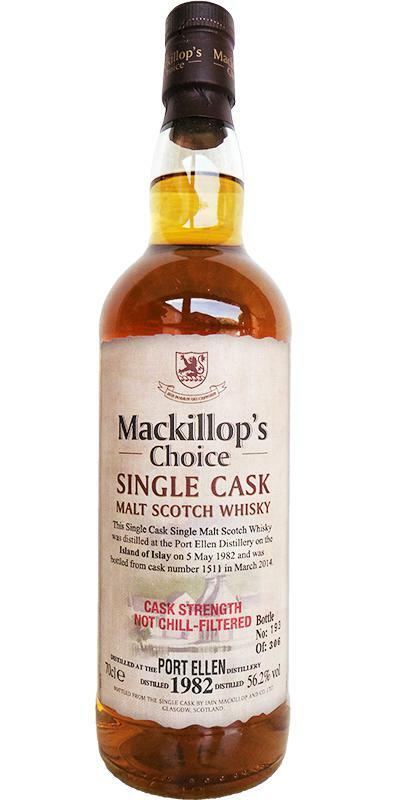 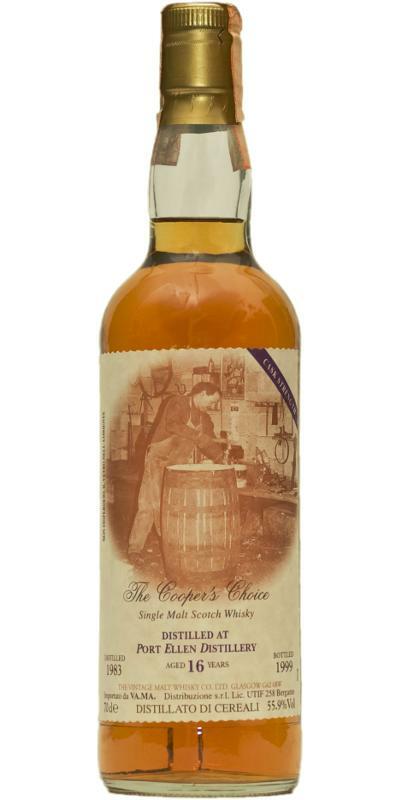 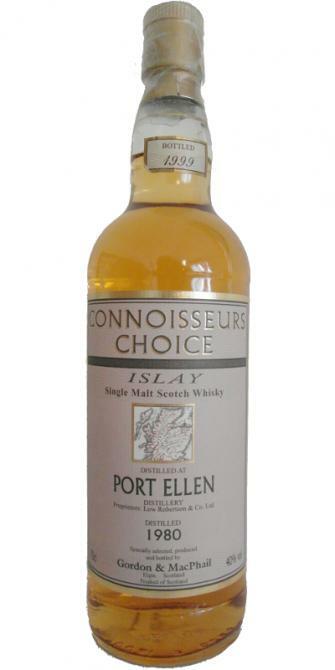 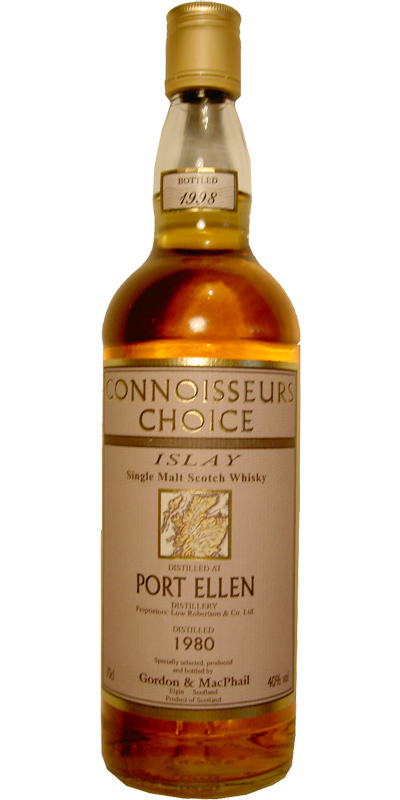 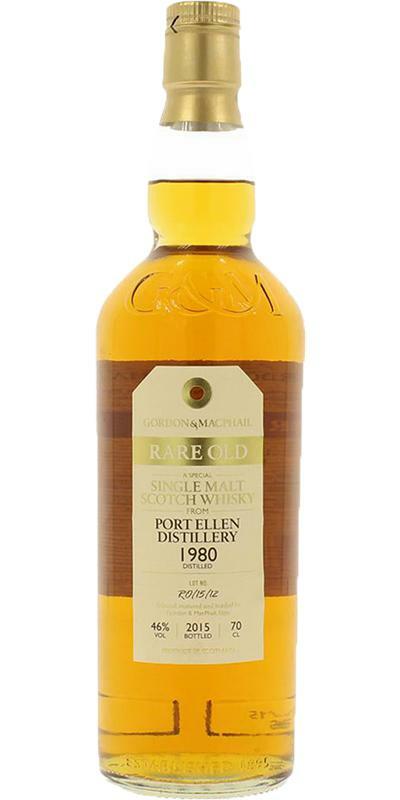 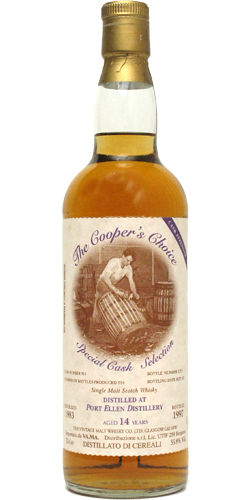 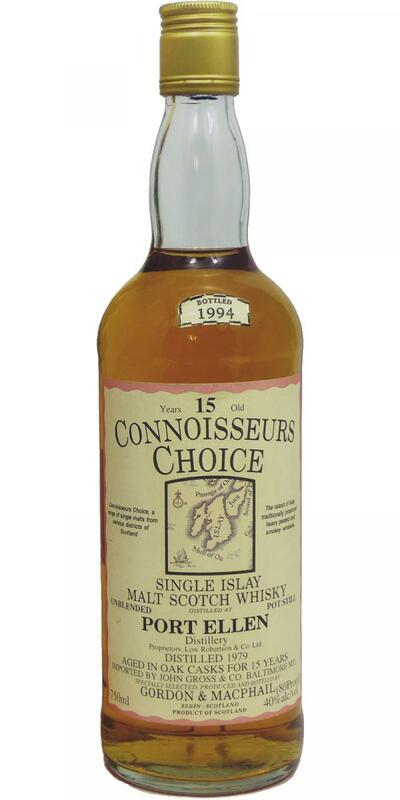 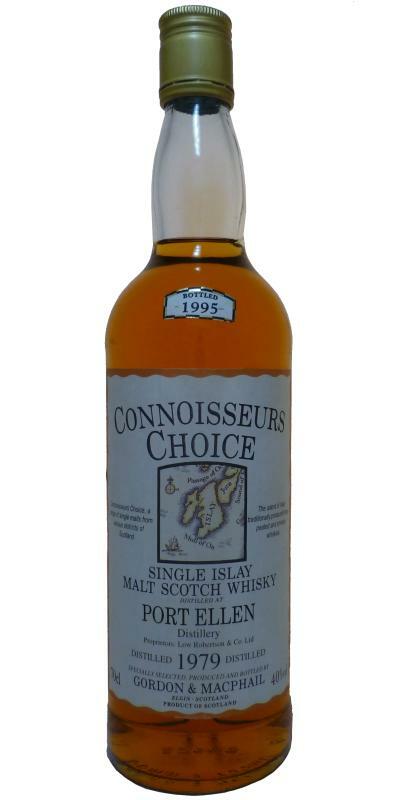 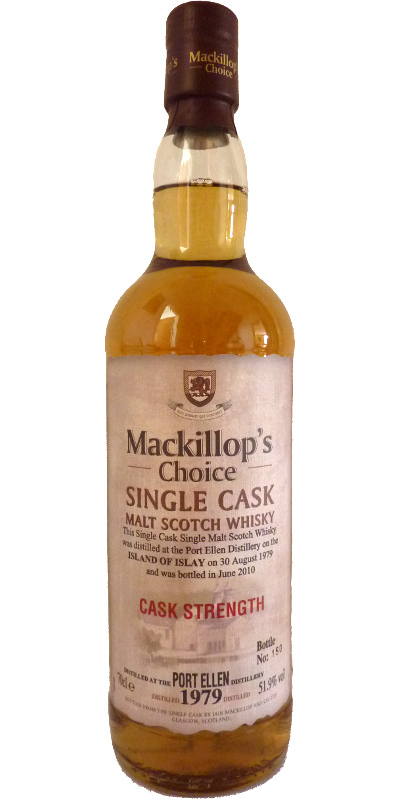 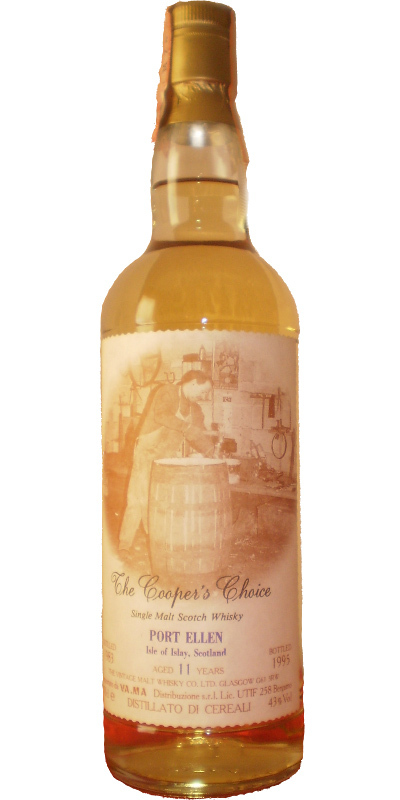 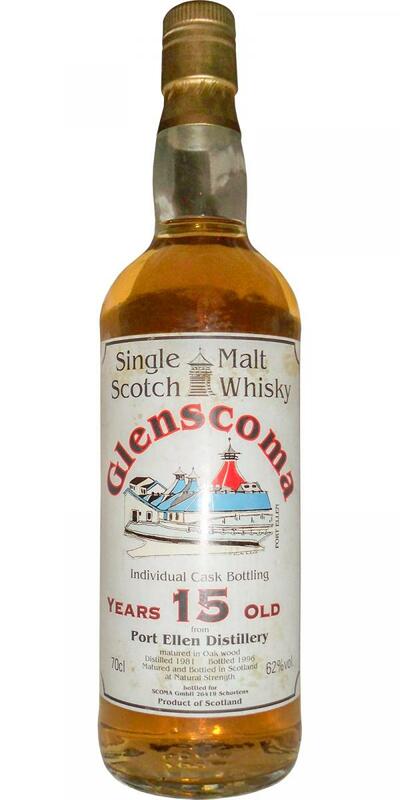 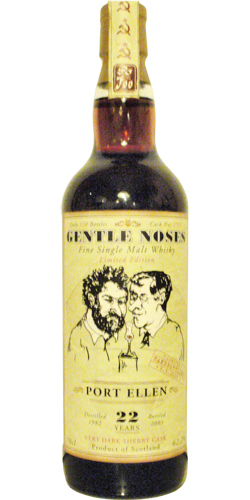 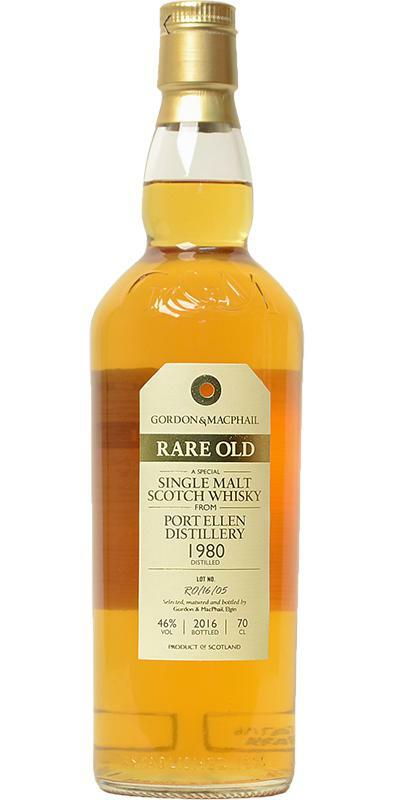 Port Ellen 1982 GM Connoisseurs Choice 19 40.0 % Vol. 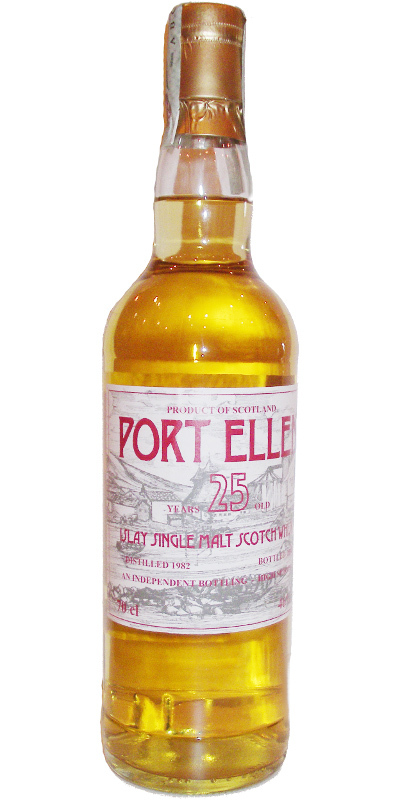 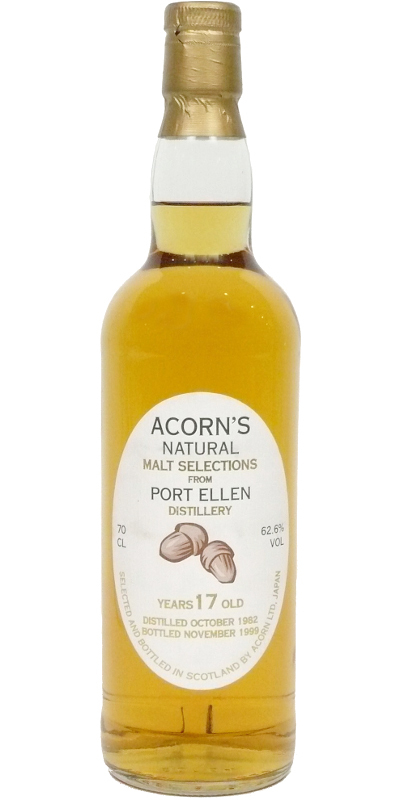 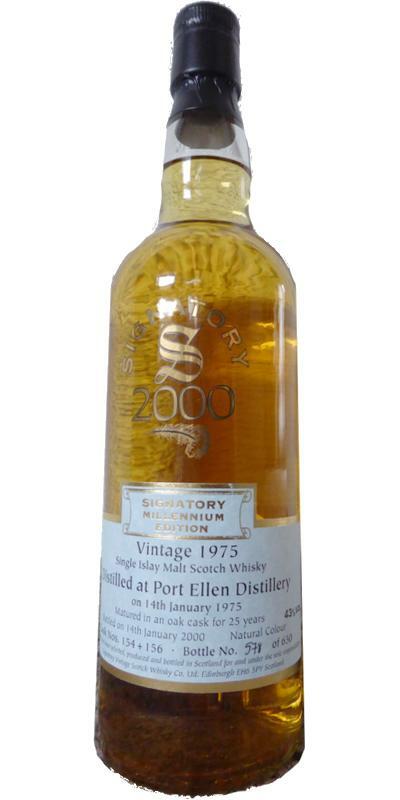 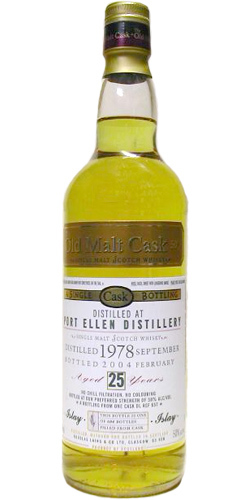 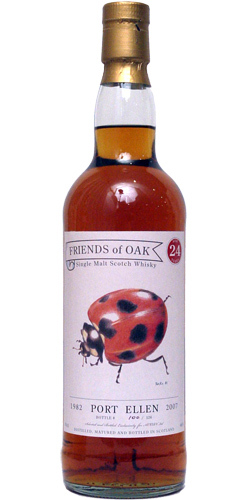 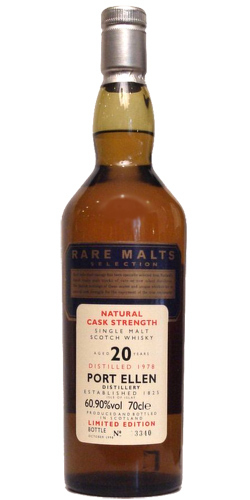 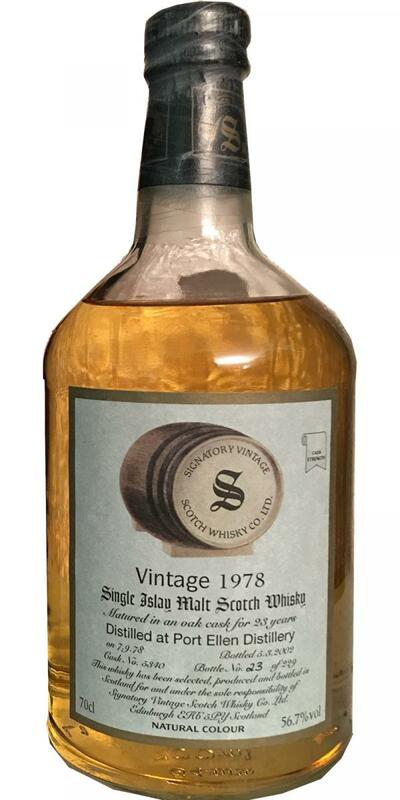 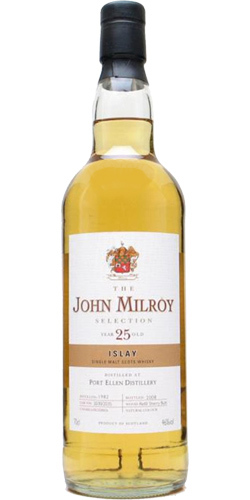 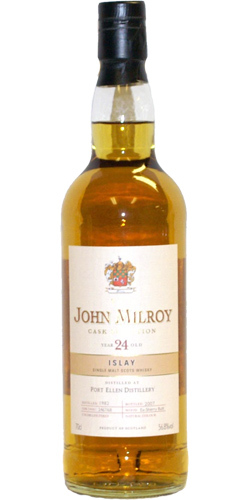 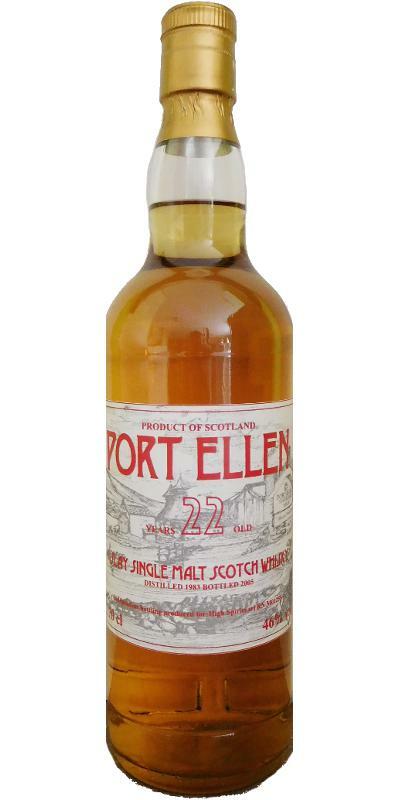 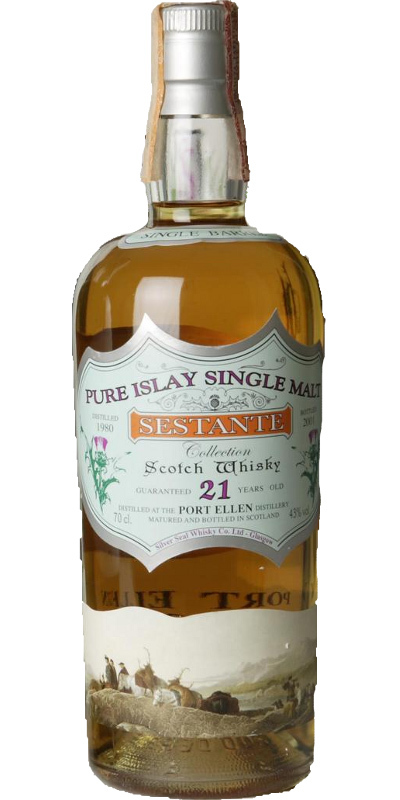 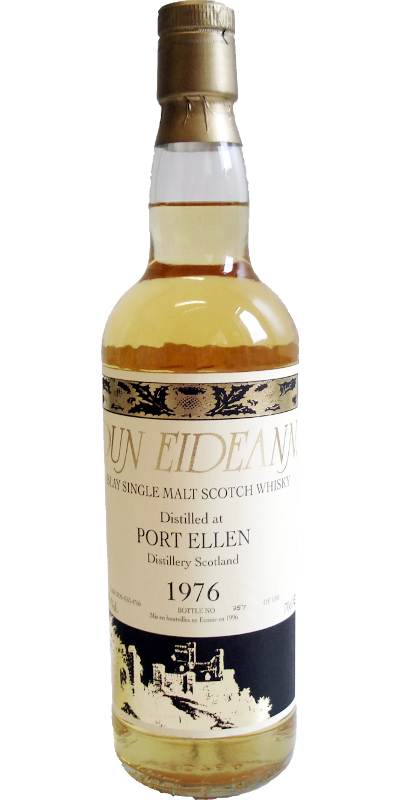 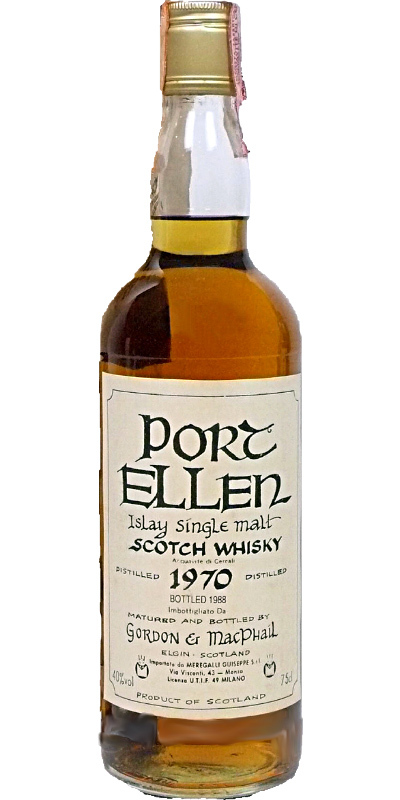 Port Ellen 1975 JM Fine Malt Selection - Miniature 12 62.7 % Vol. 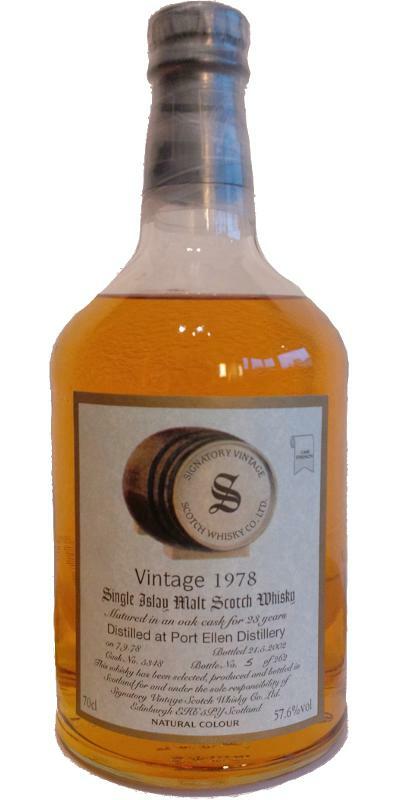 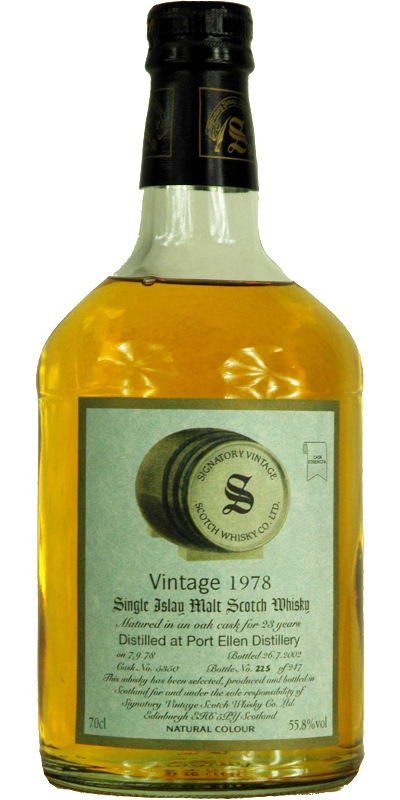 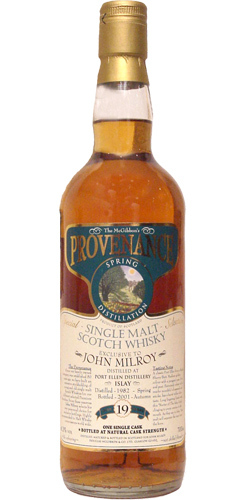 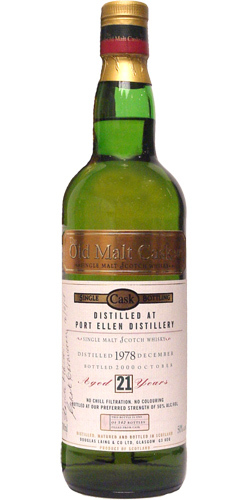 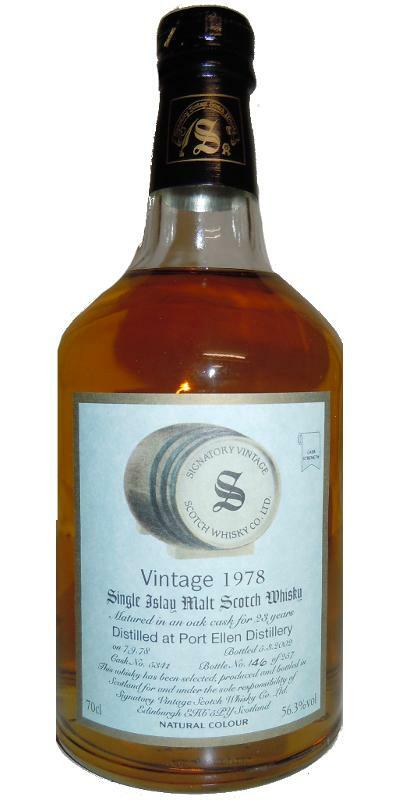 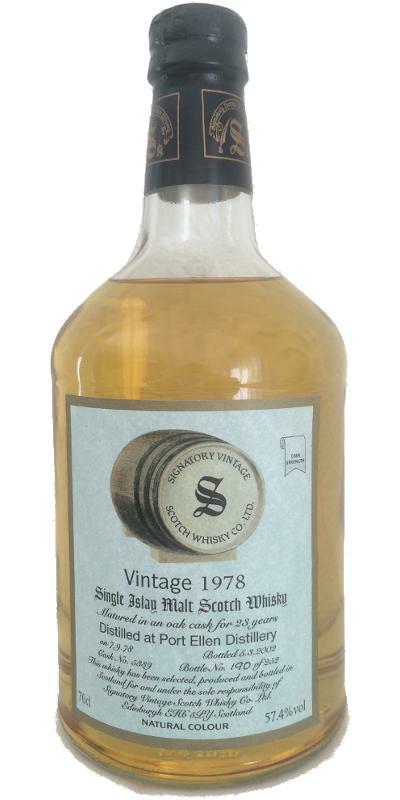 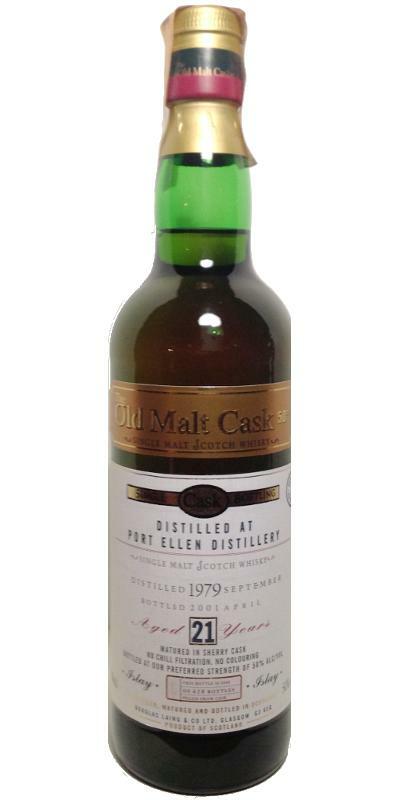 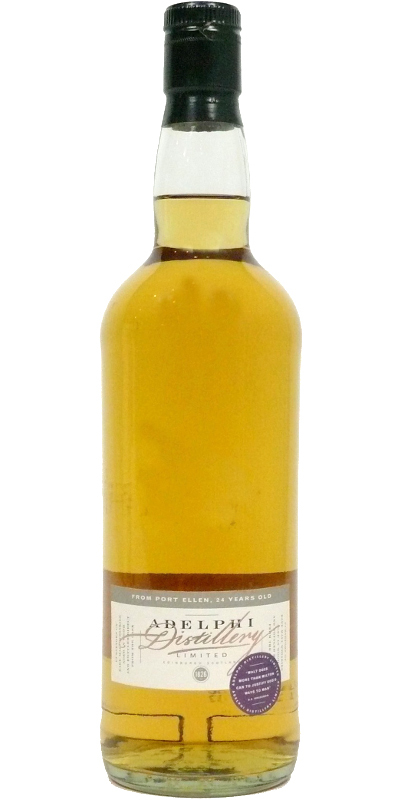 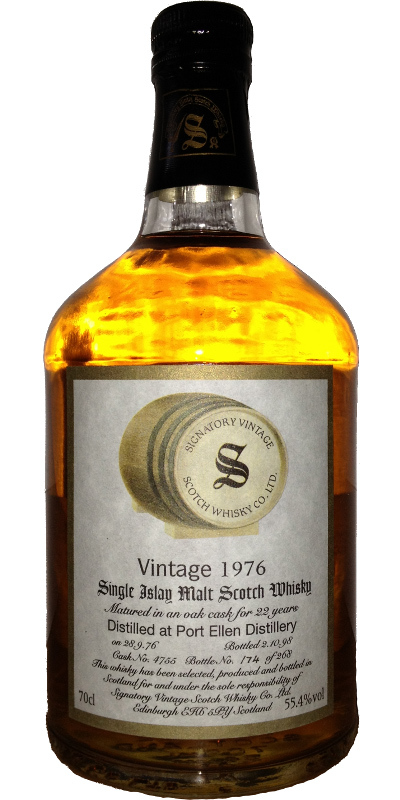 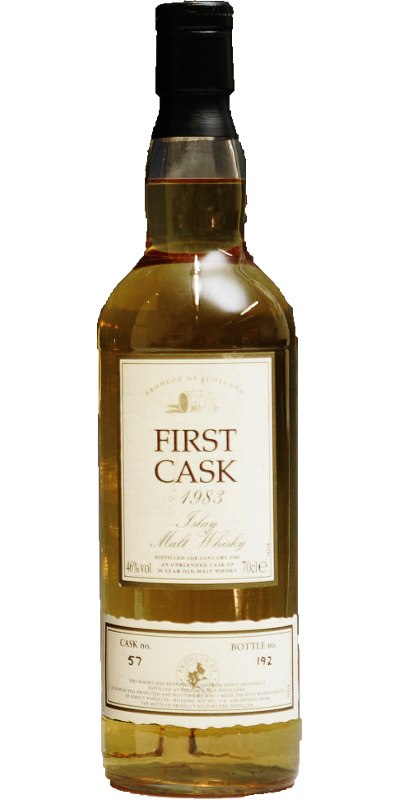 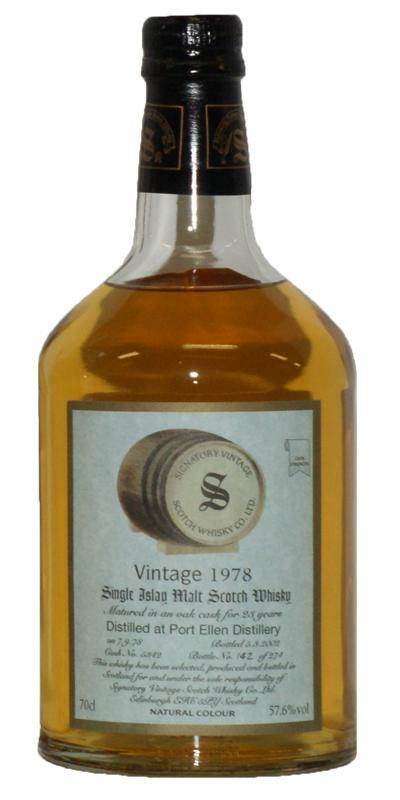 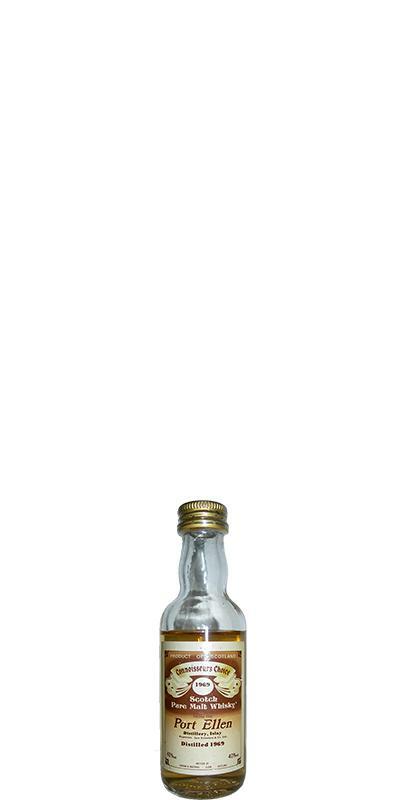 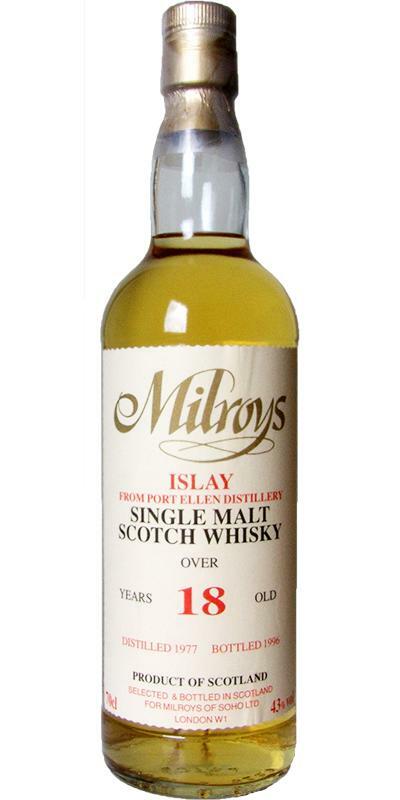 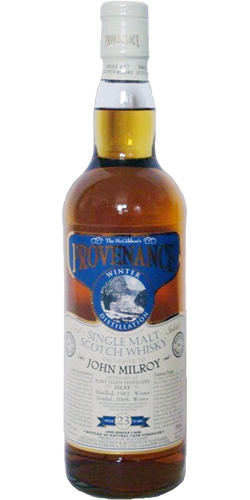 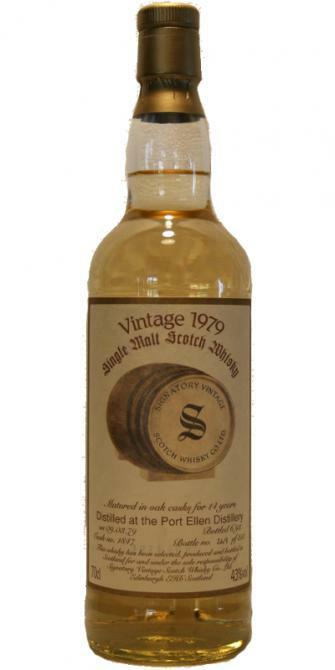 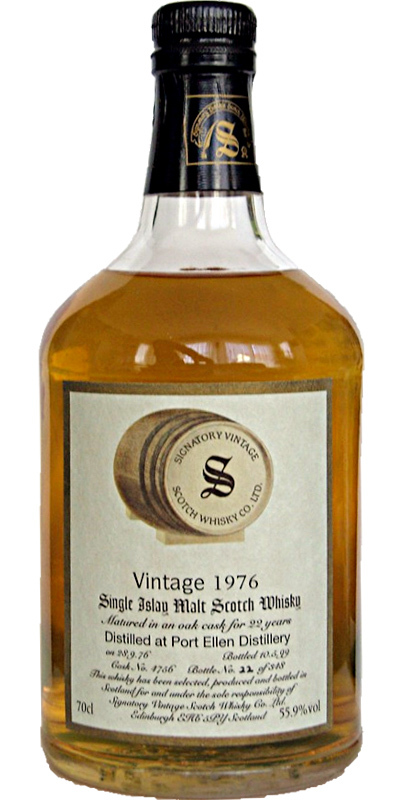 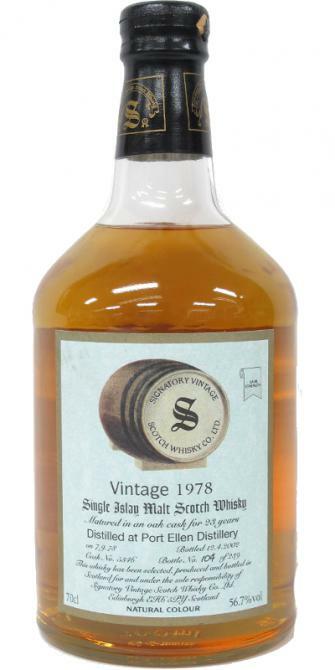 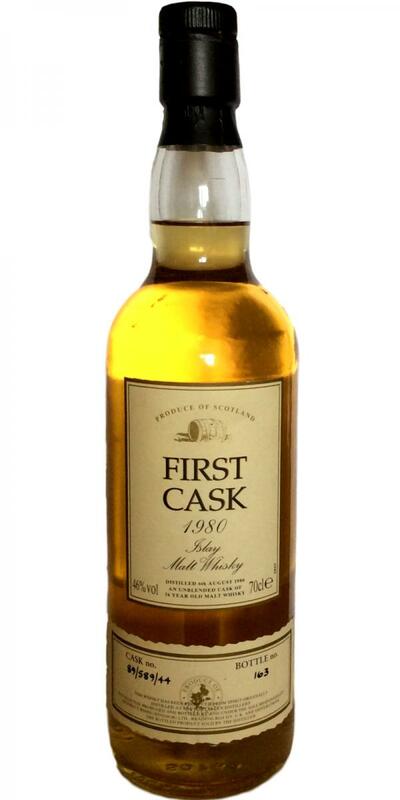 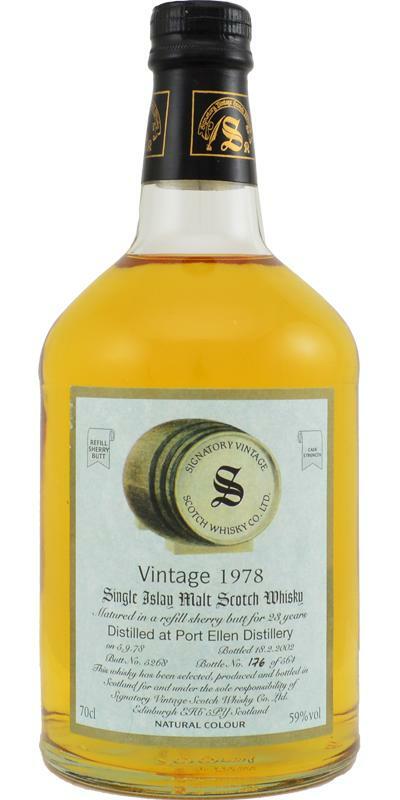 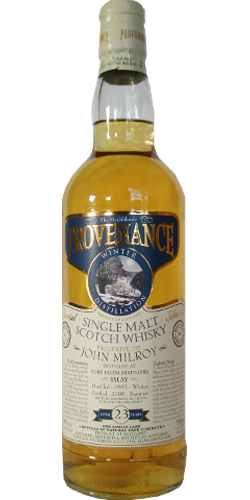 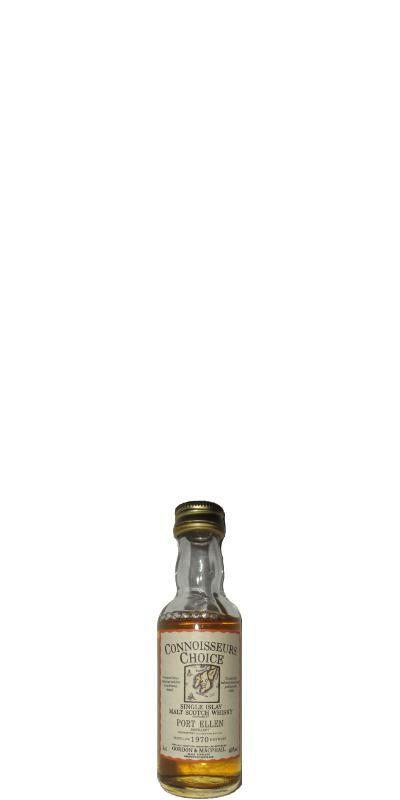 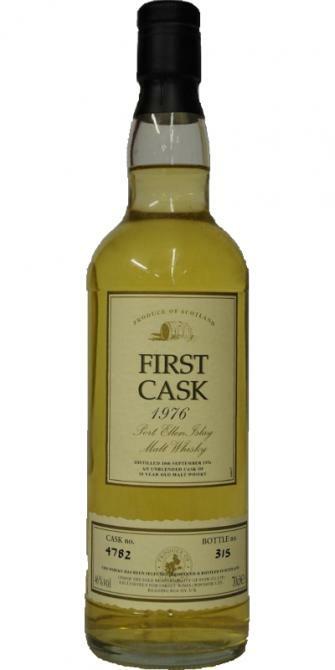 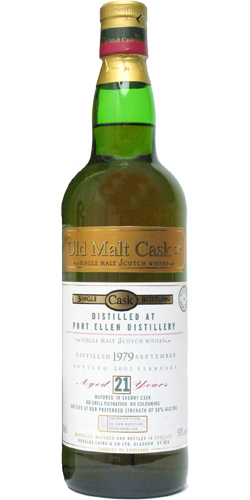 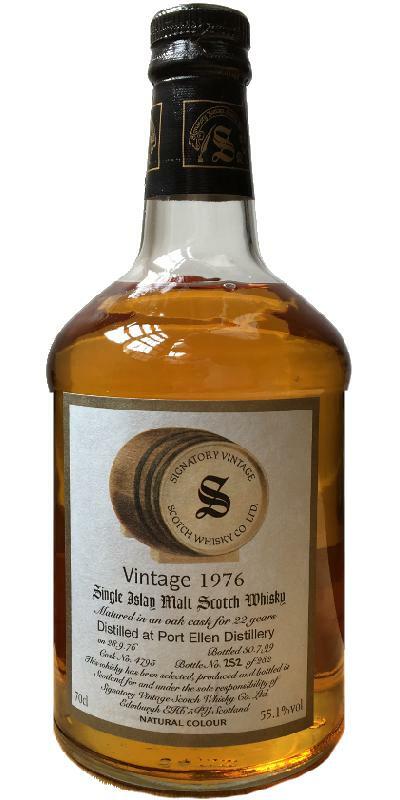 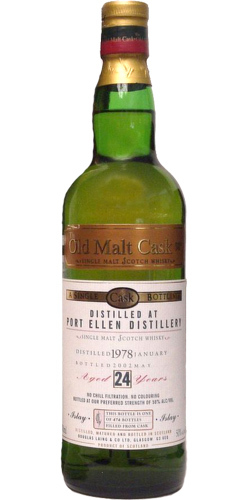 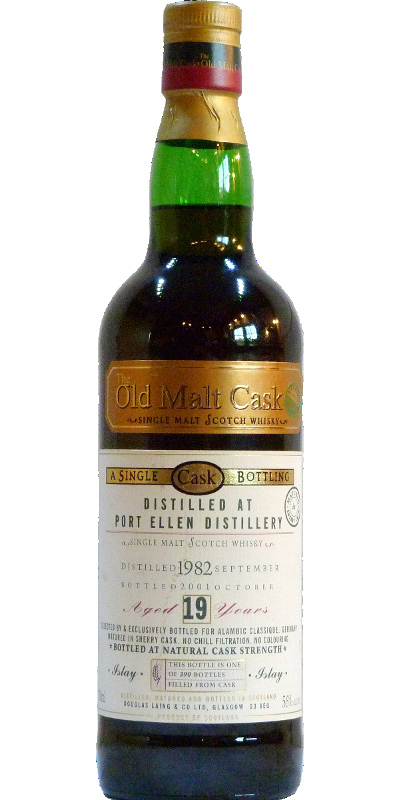 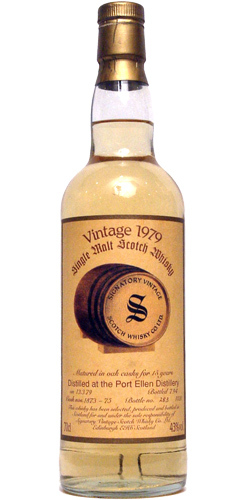 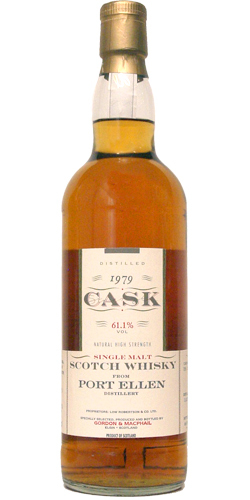 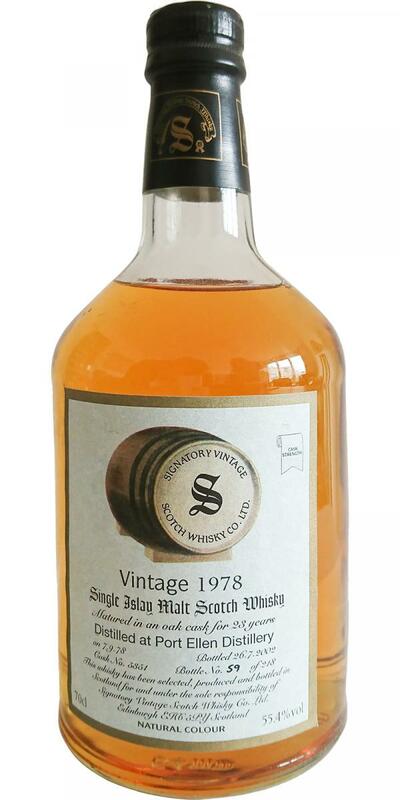 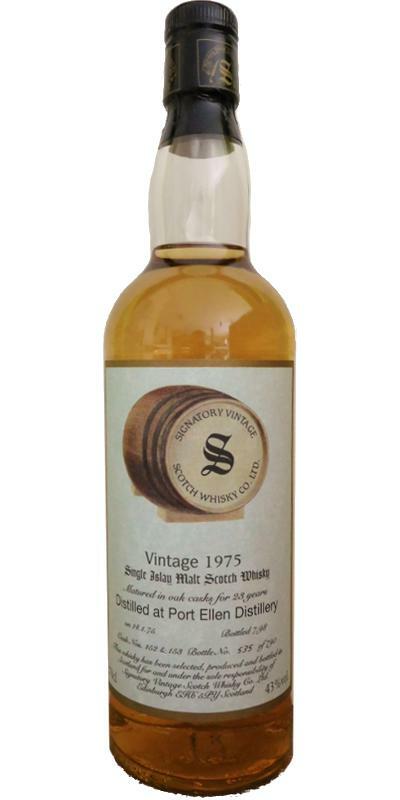 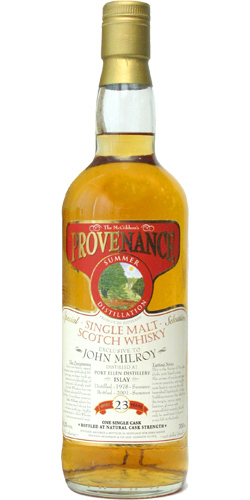 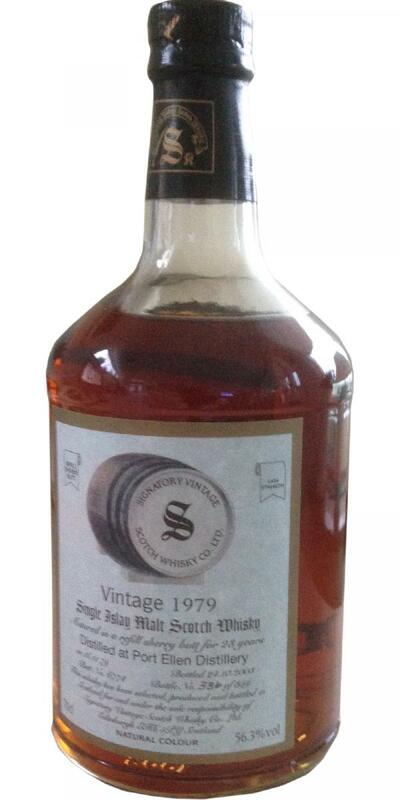 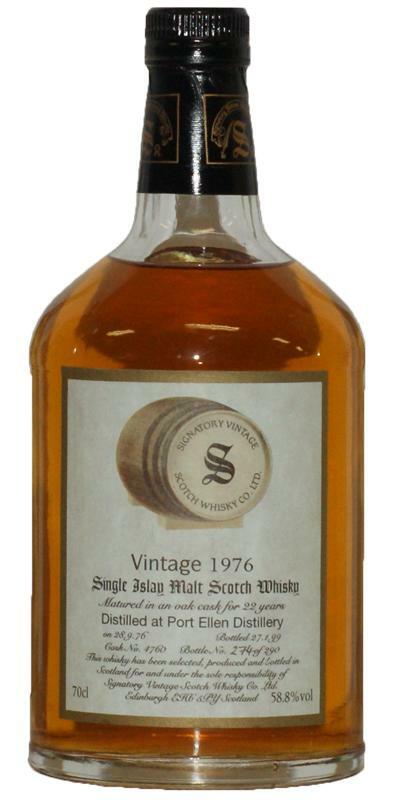 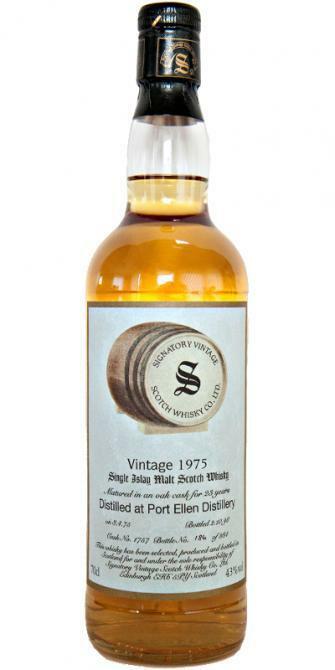 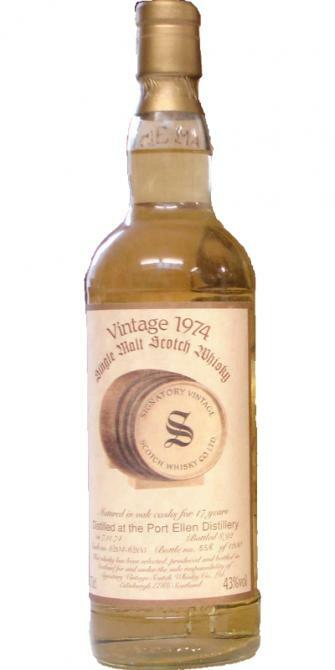 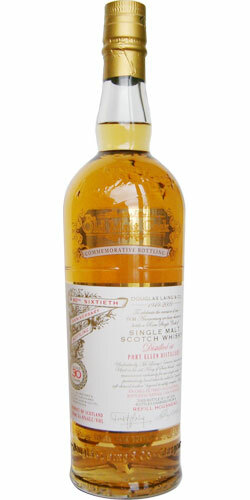 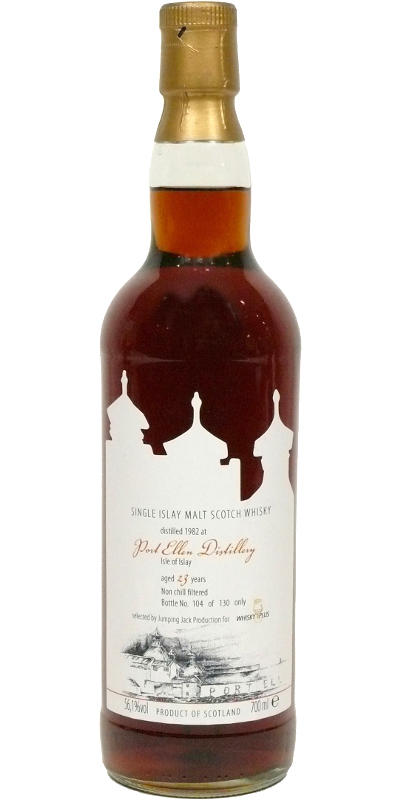 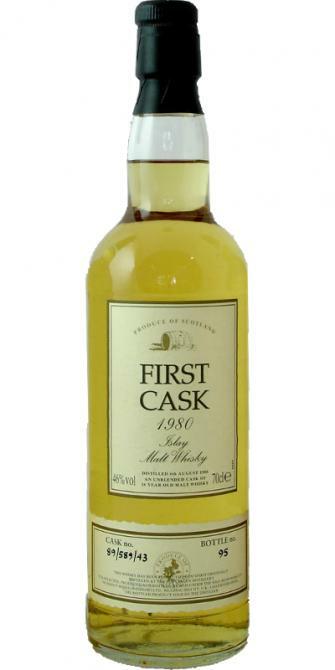 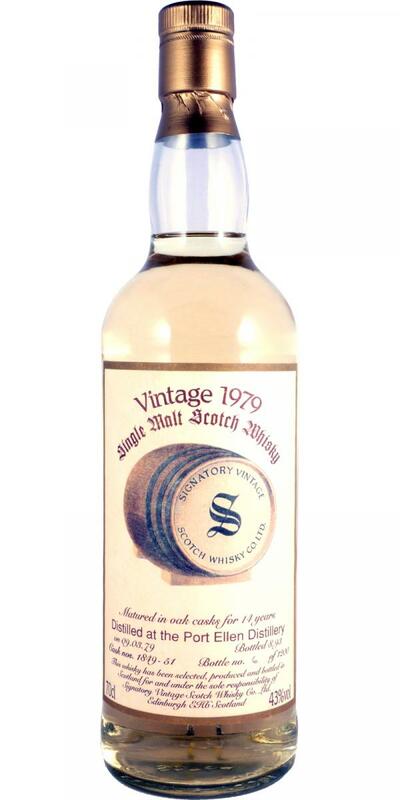 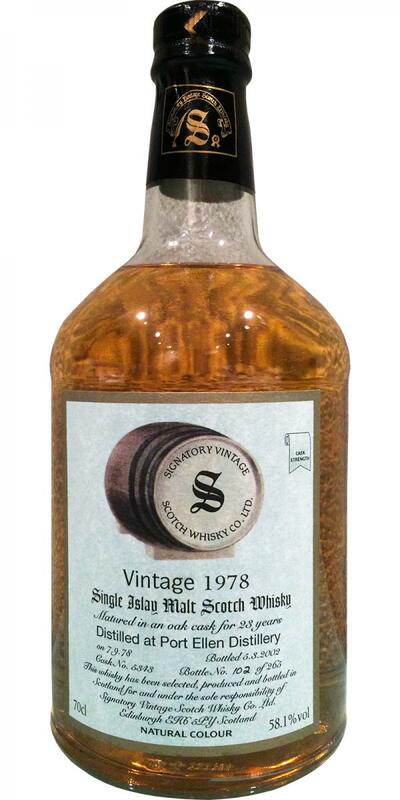 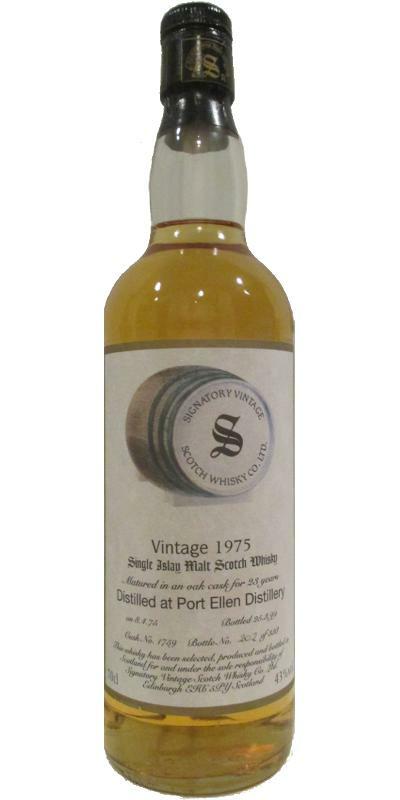 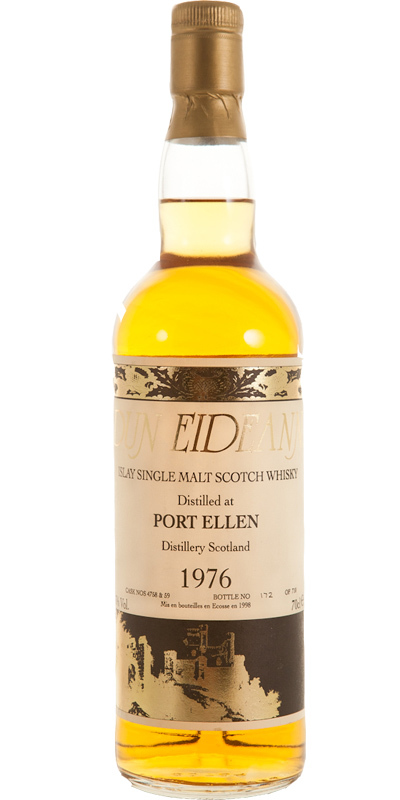 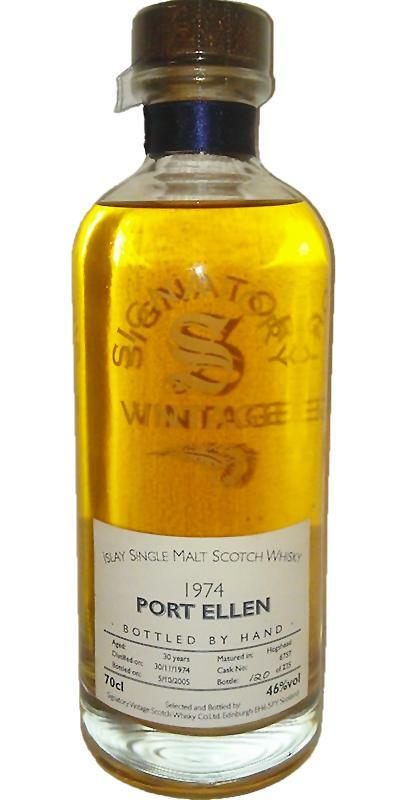 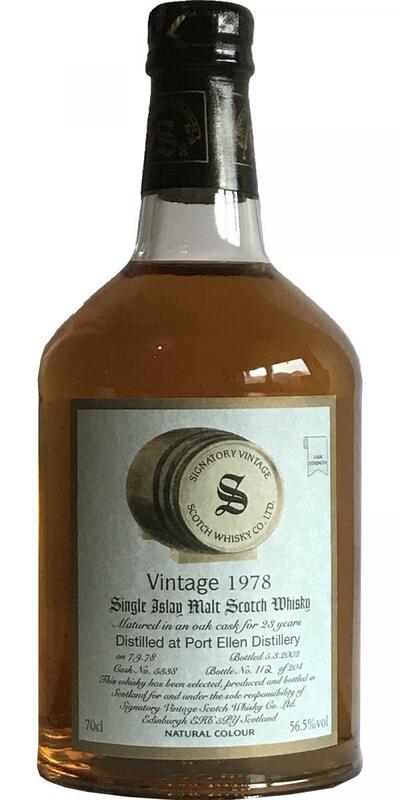 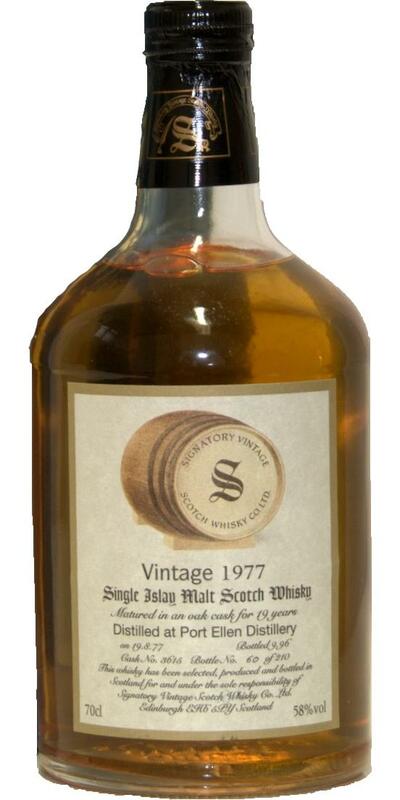 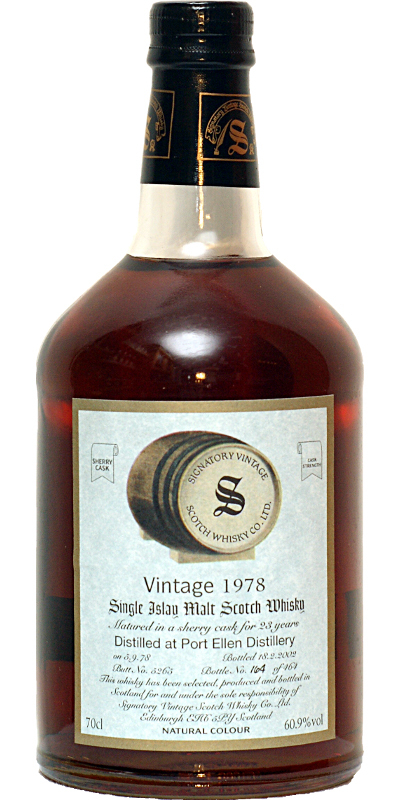 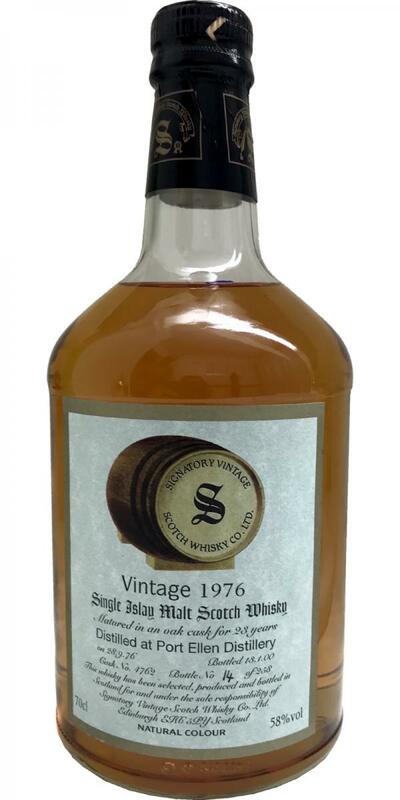 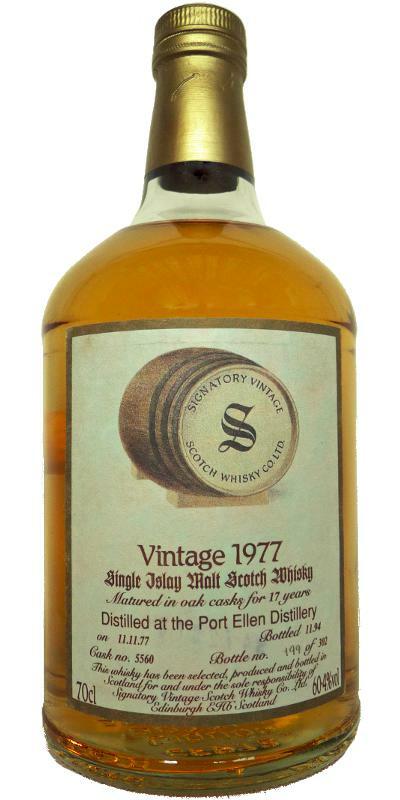 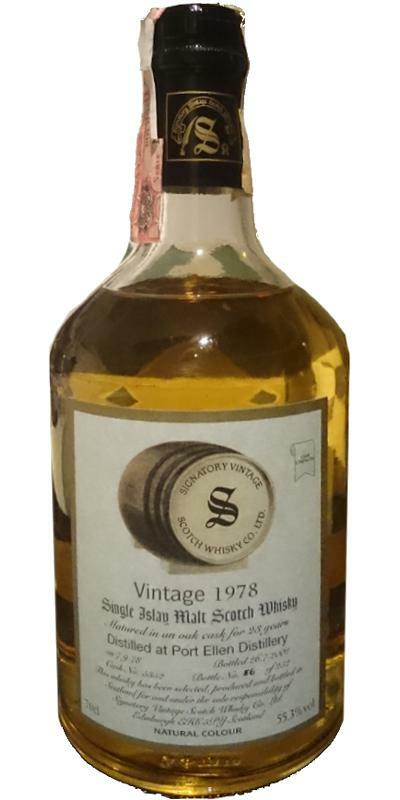 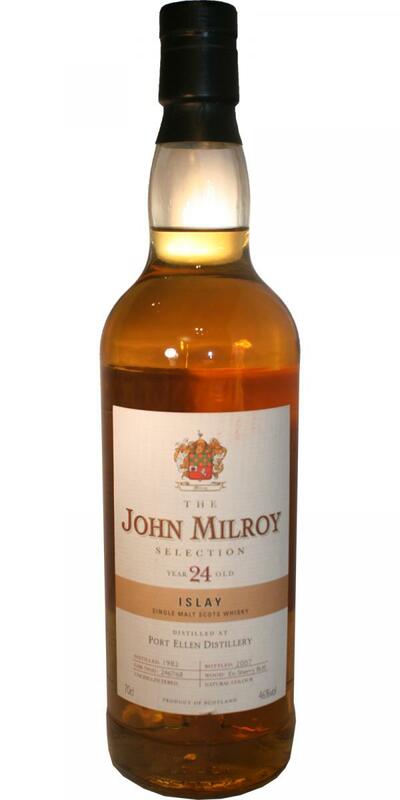 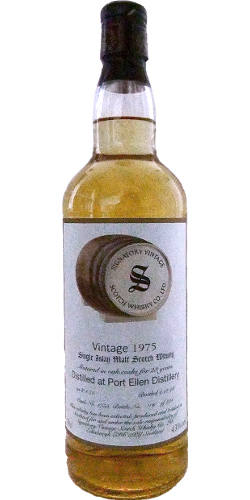 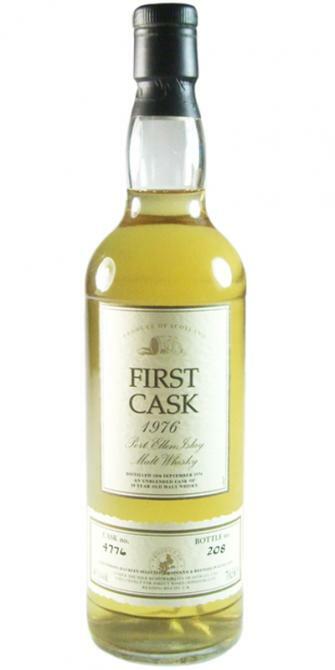 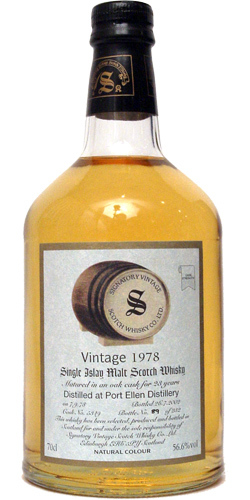 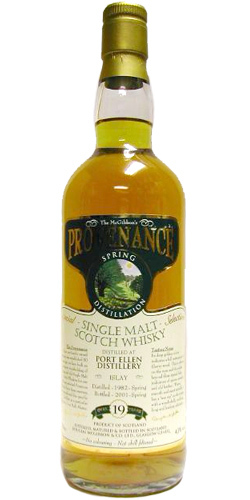 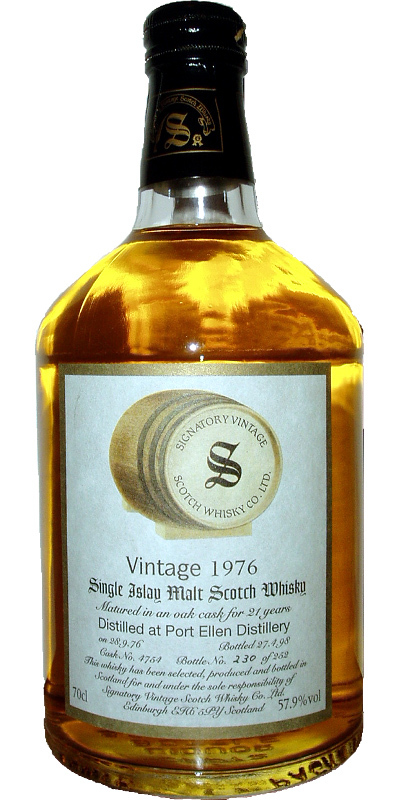 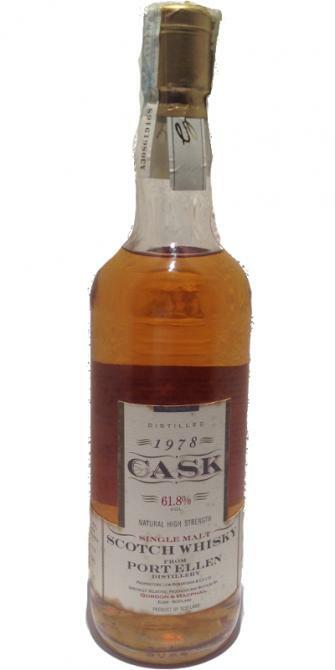 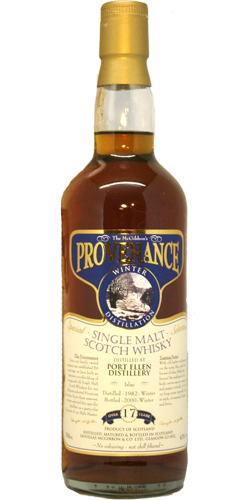 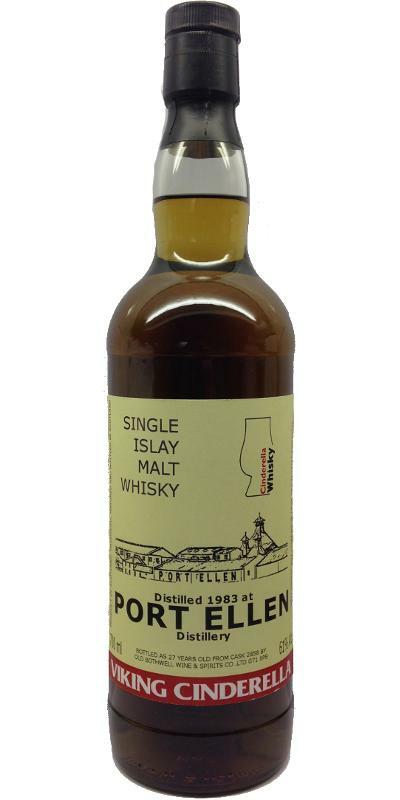 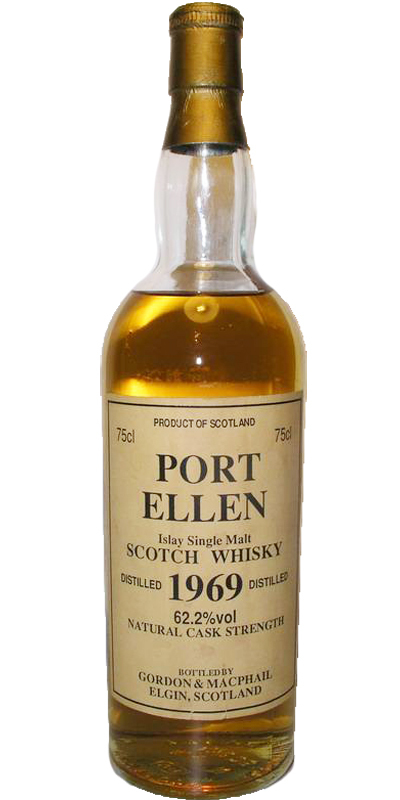 Port Ellen 1977 JM Fine Malt Selection - Miniature 16 61.4 % Vol. 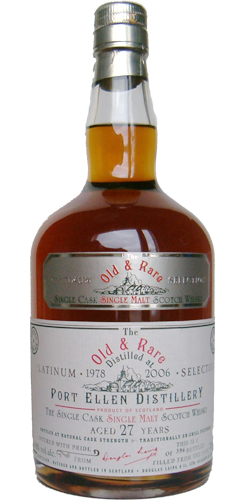 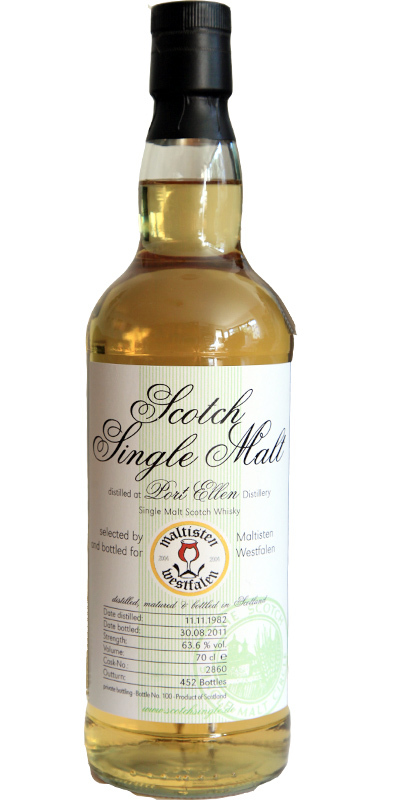 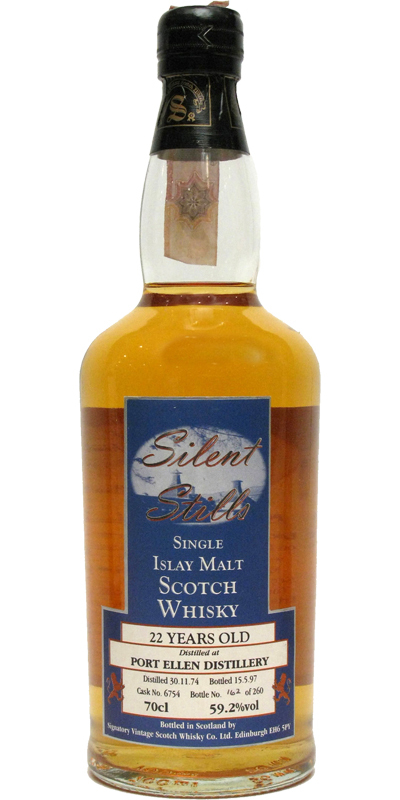 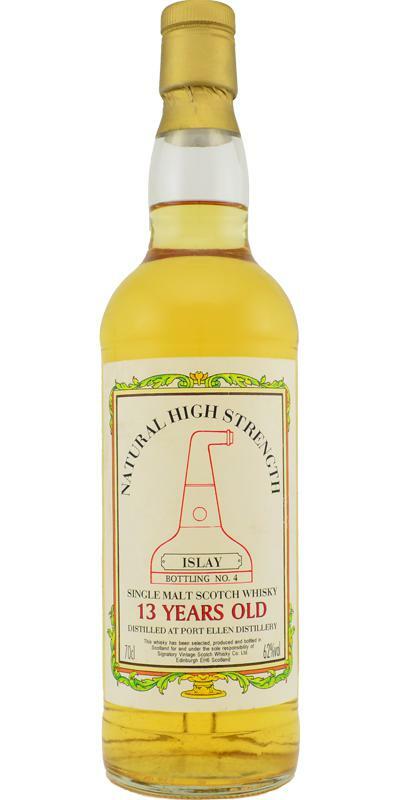 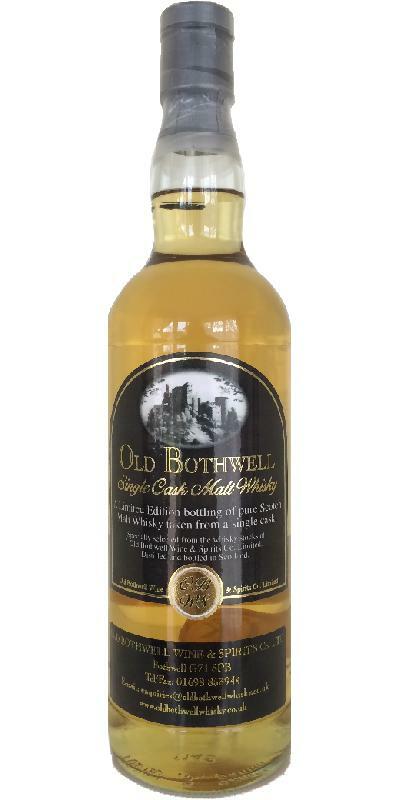 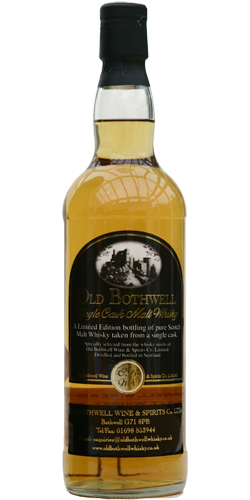 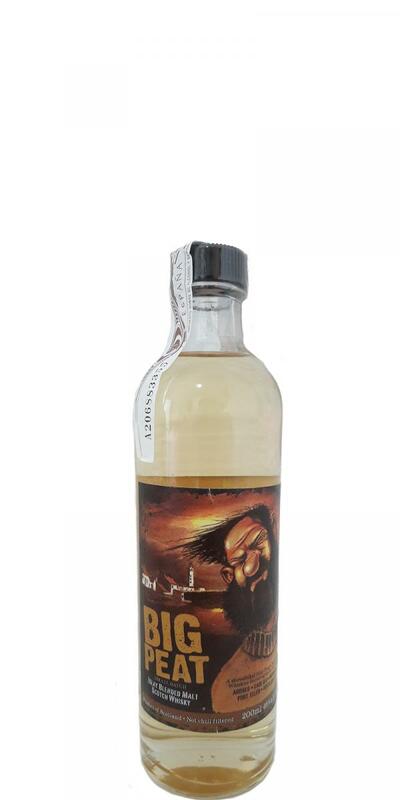 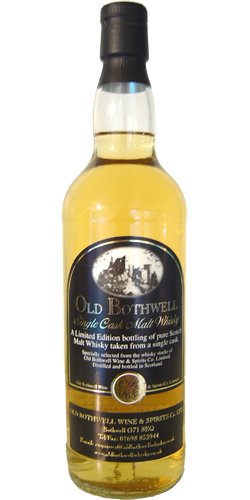 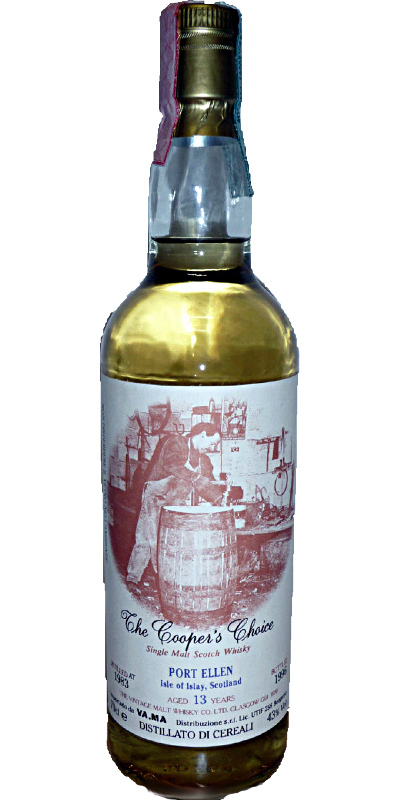 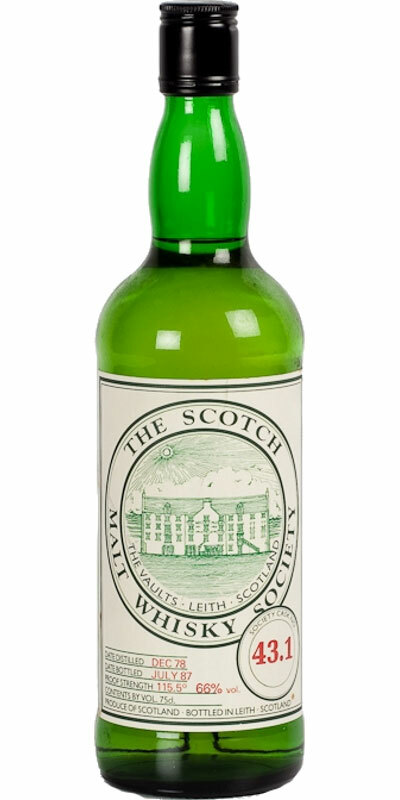 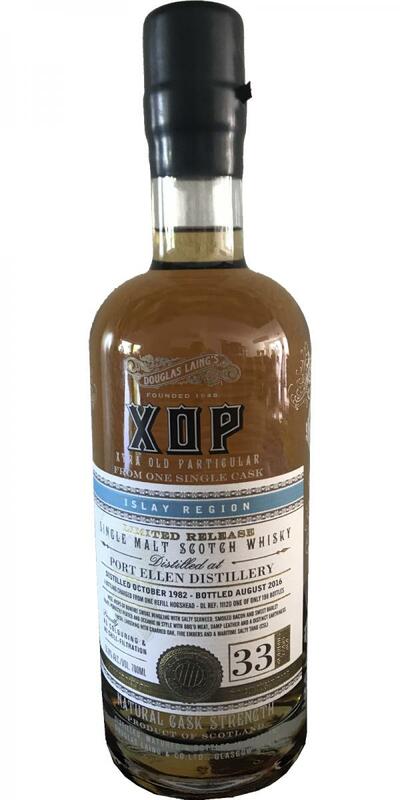 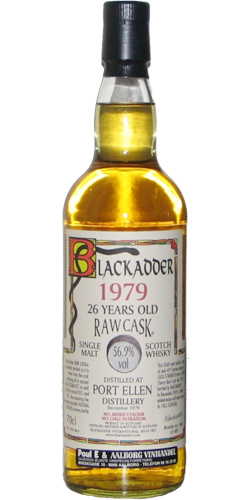 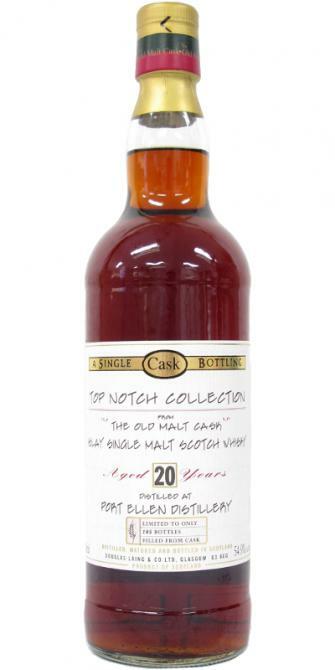 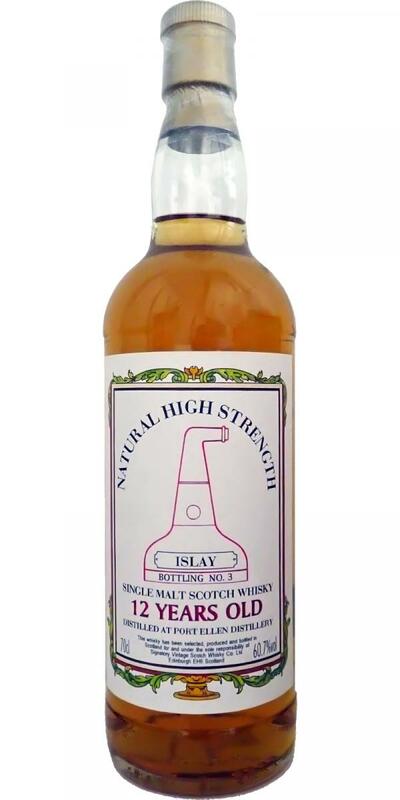 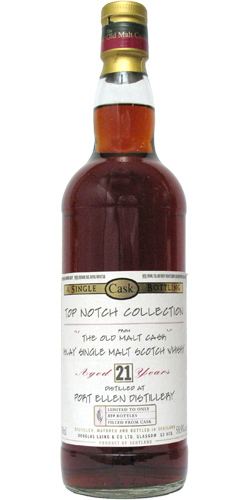 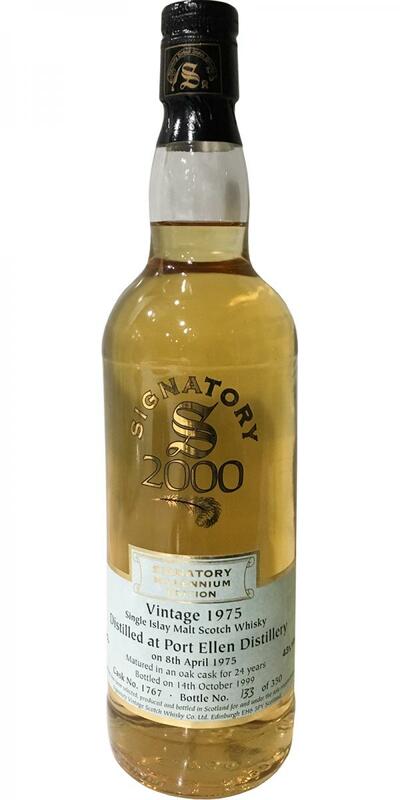 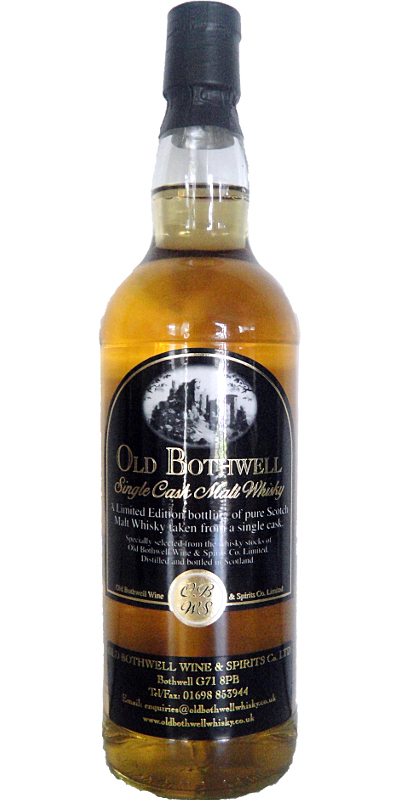 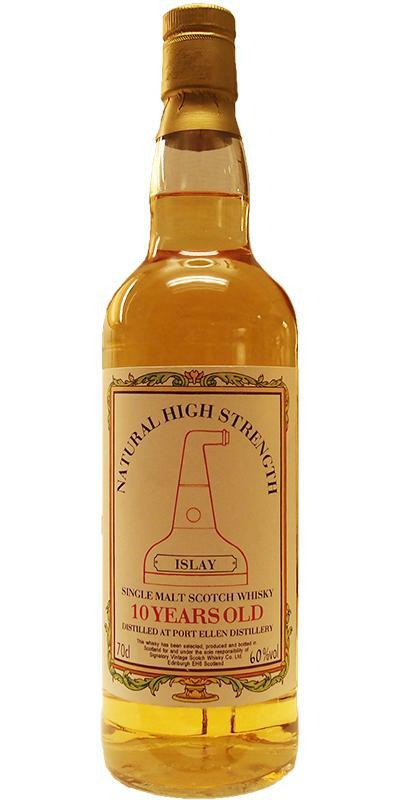 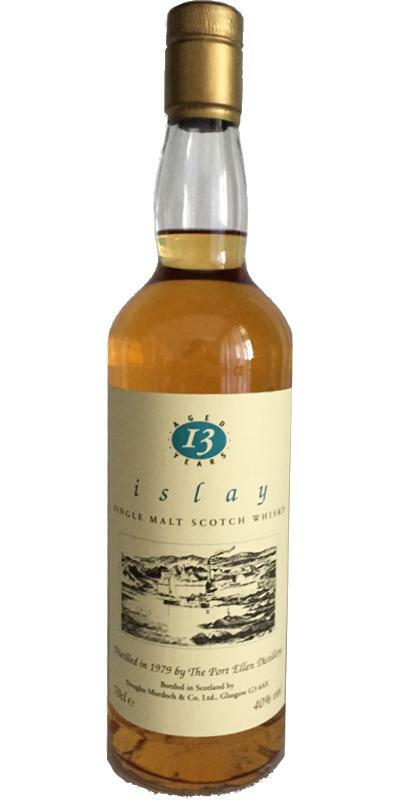 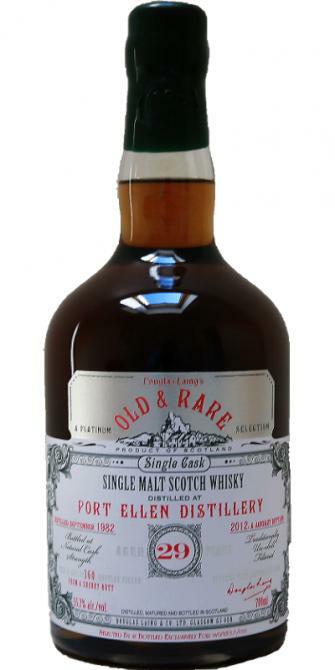 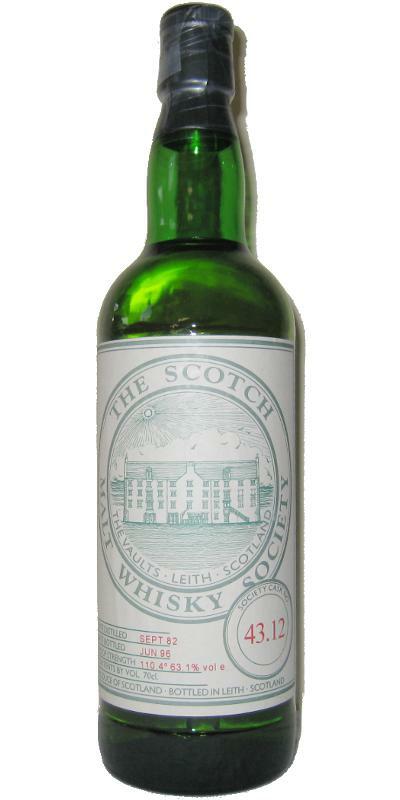 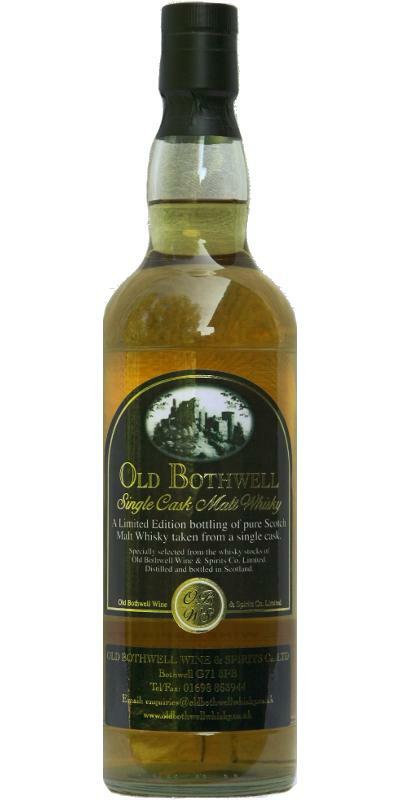 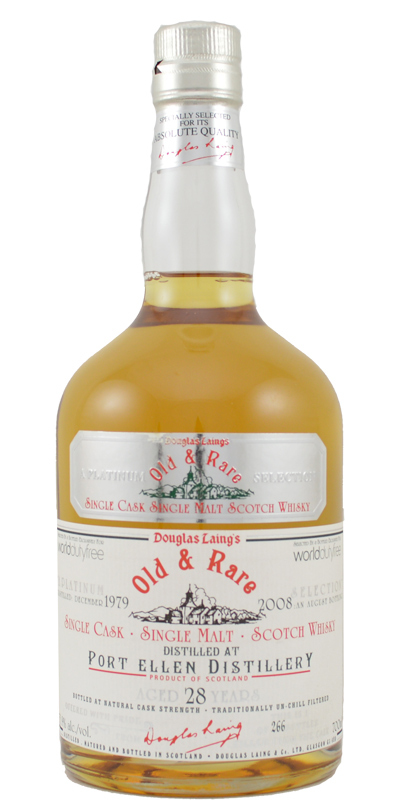 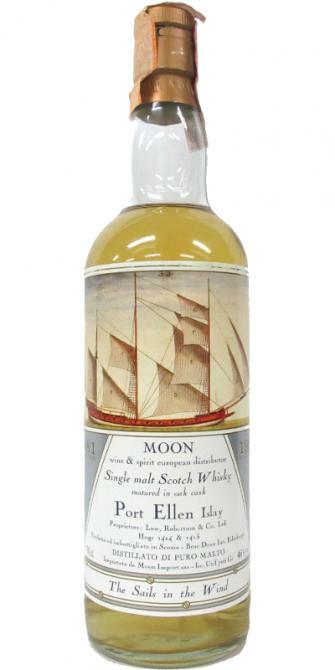 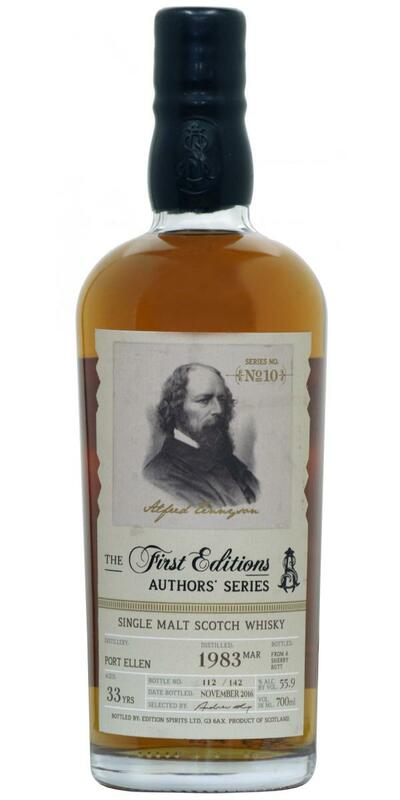 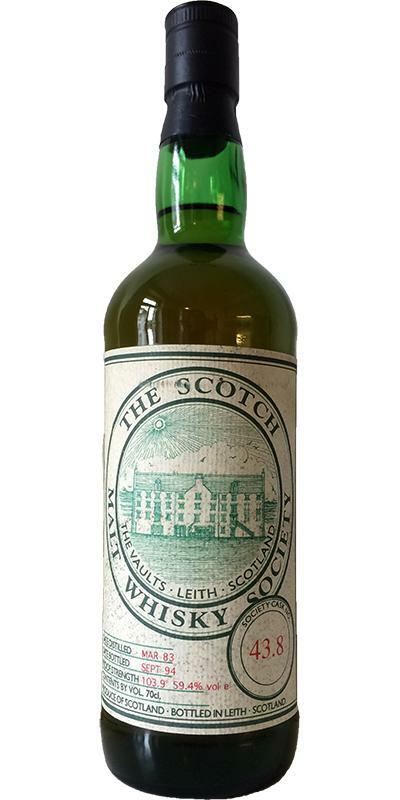 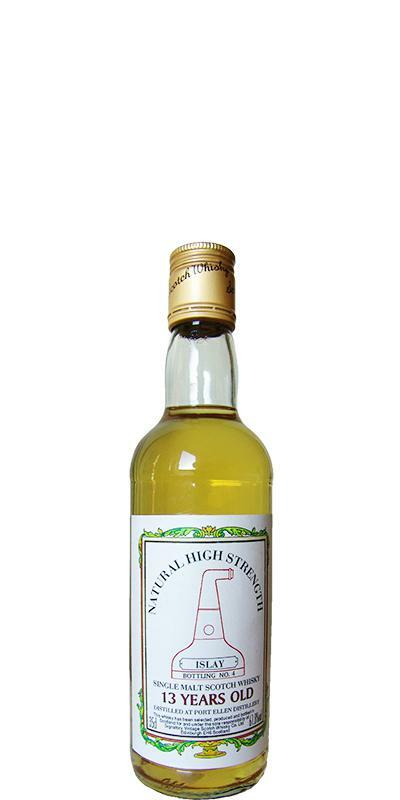 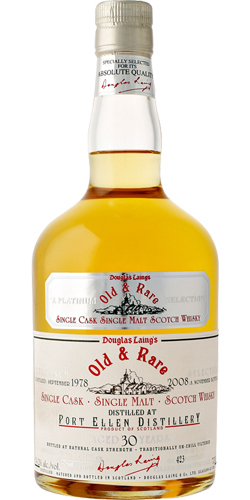 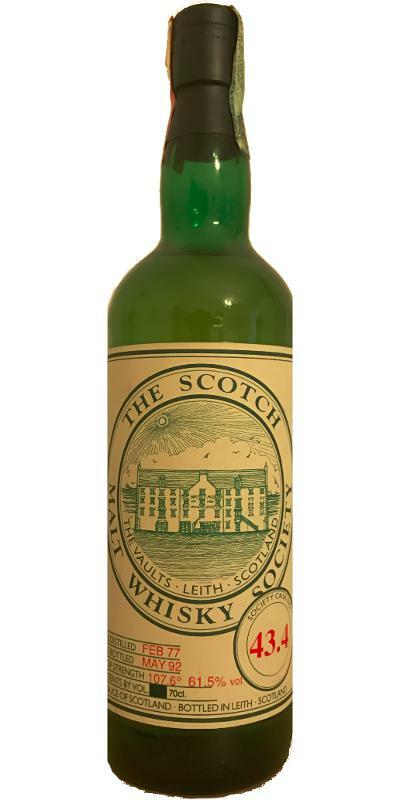 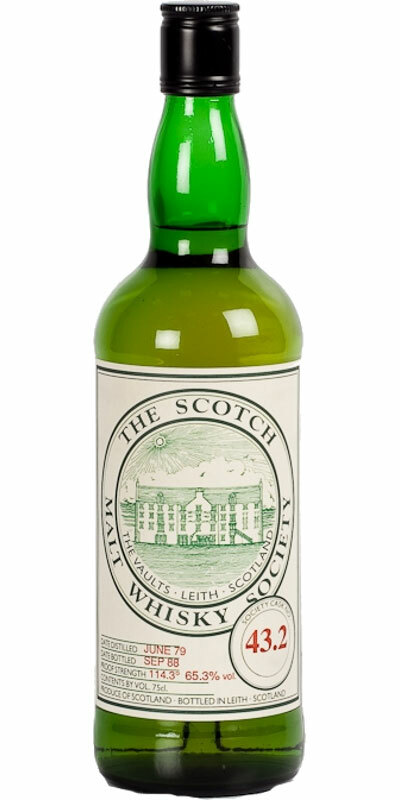 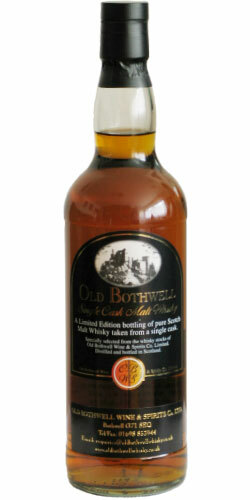 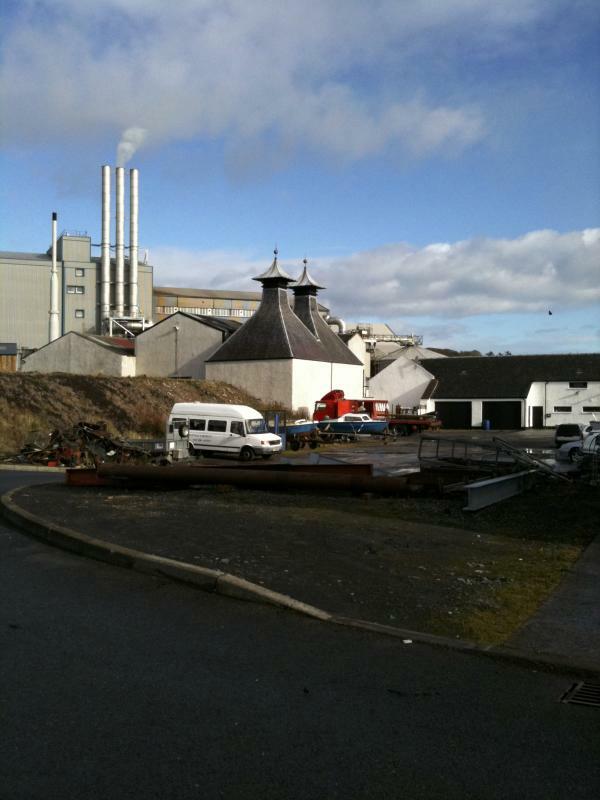 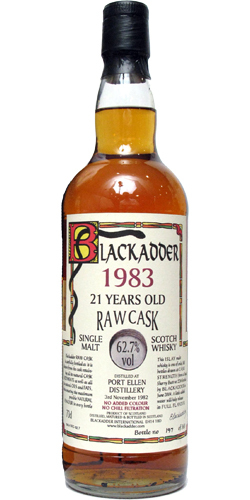 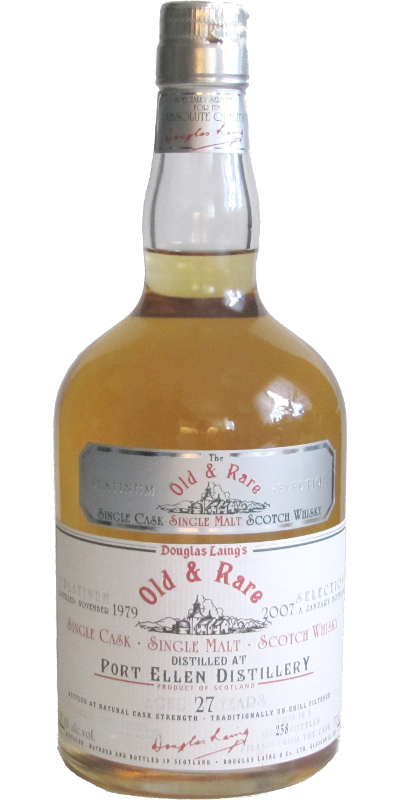 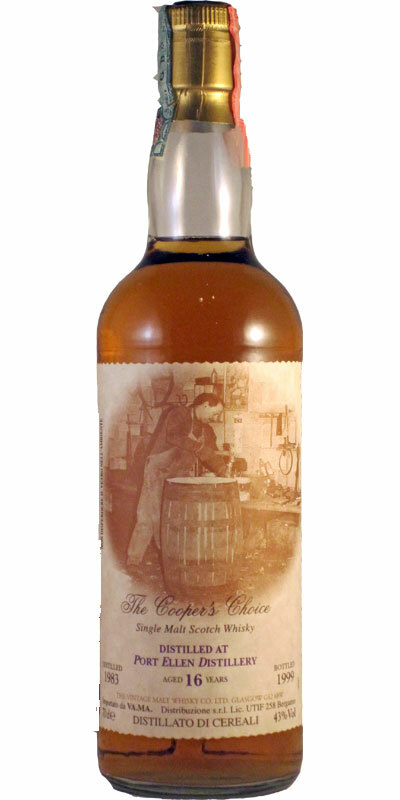 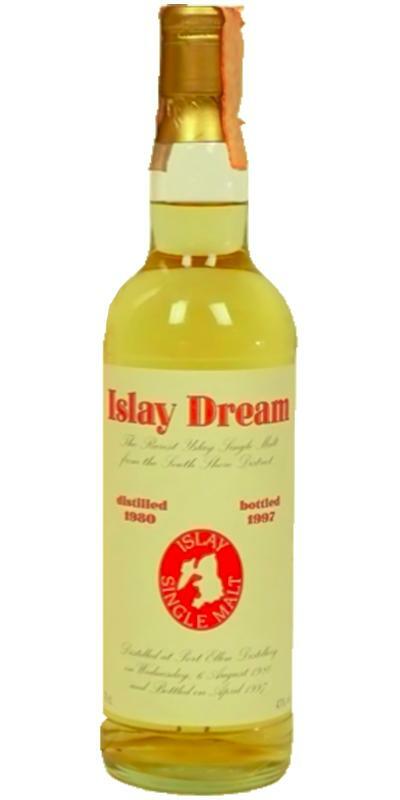 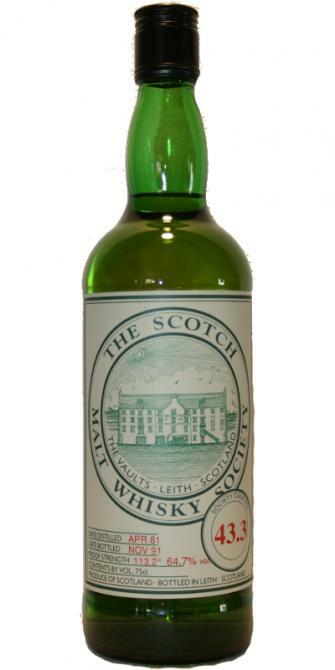 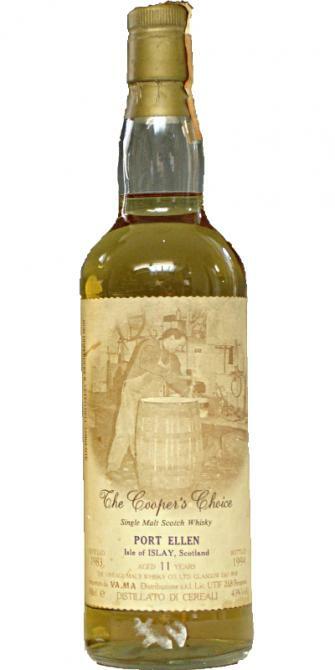 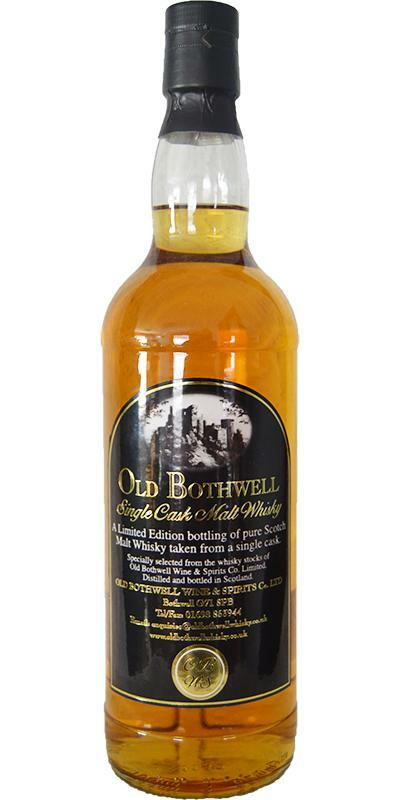 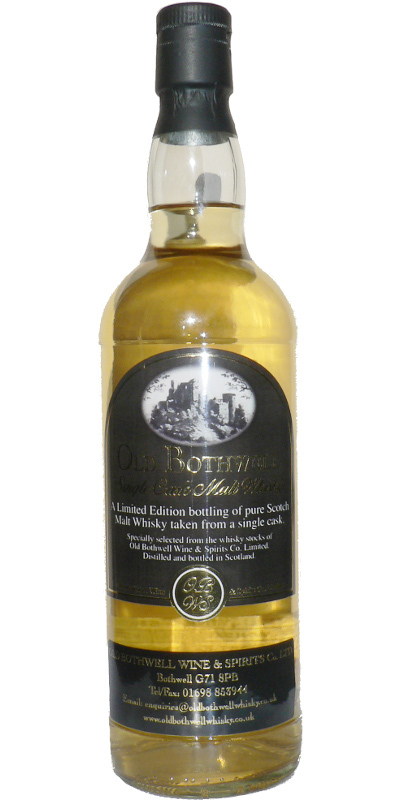 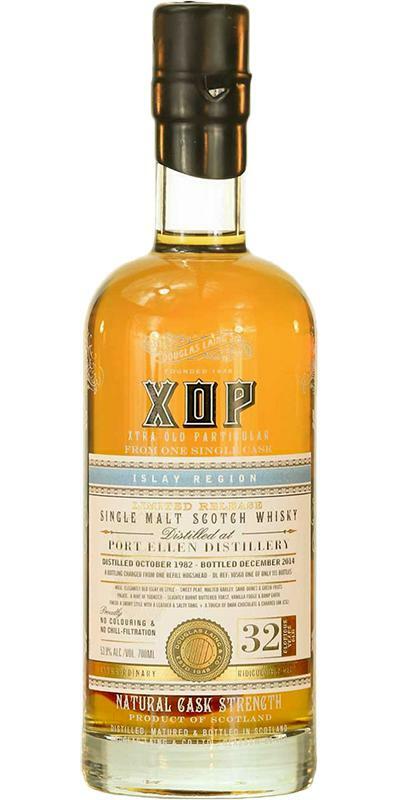 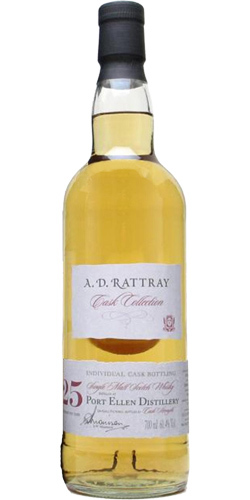 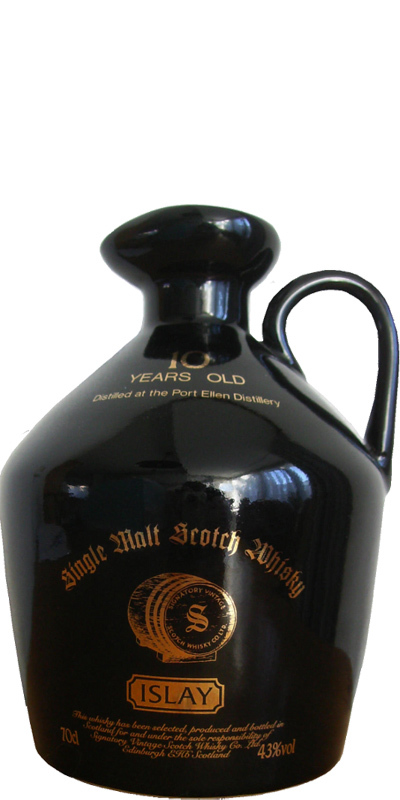 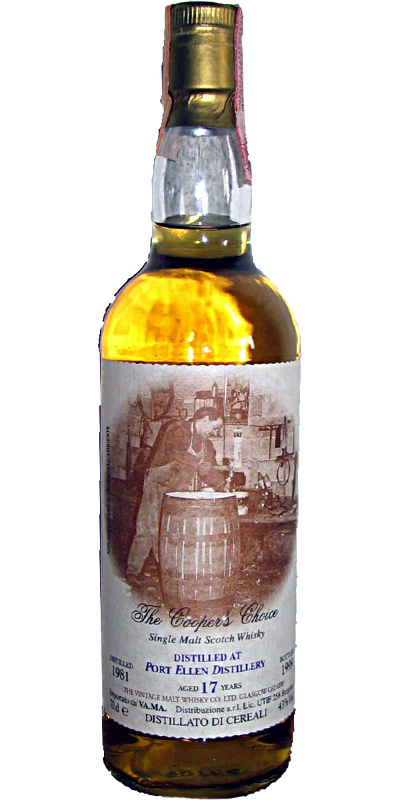 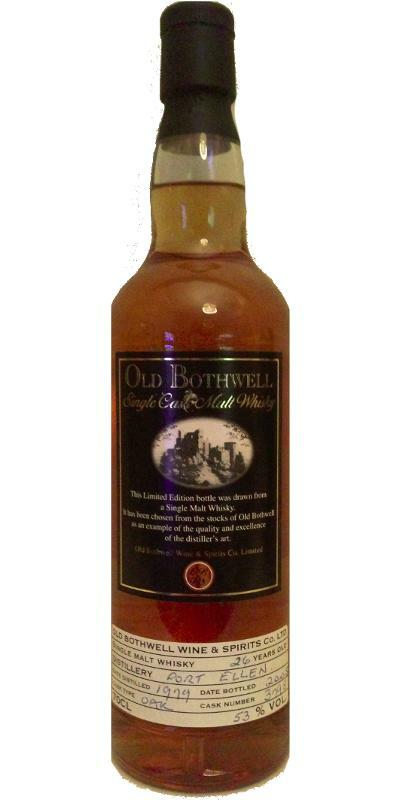 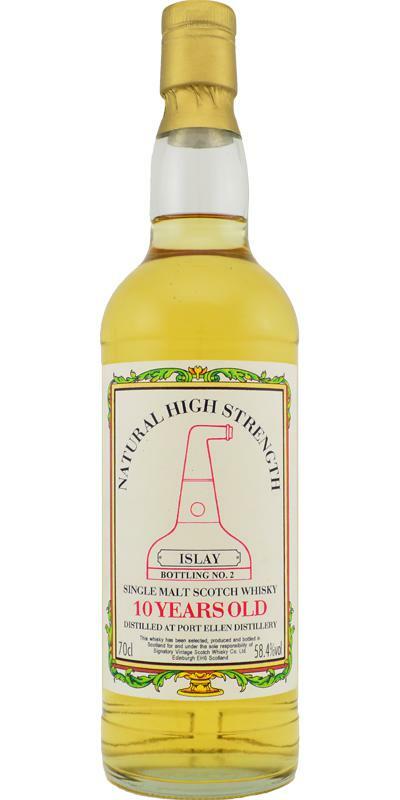 Leith Still Room Islay Trilogy (LSR) Experimental Series 48.1 % Vol. 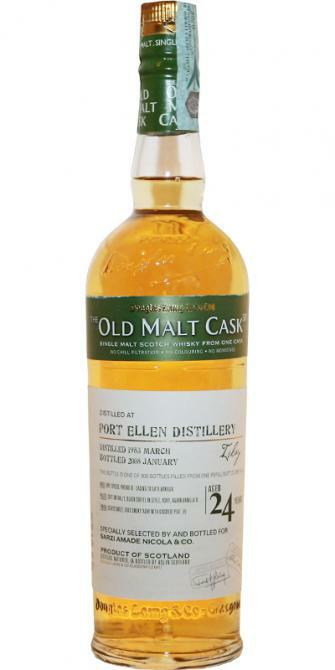 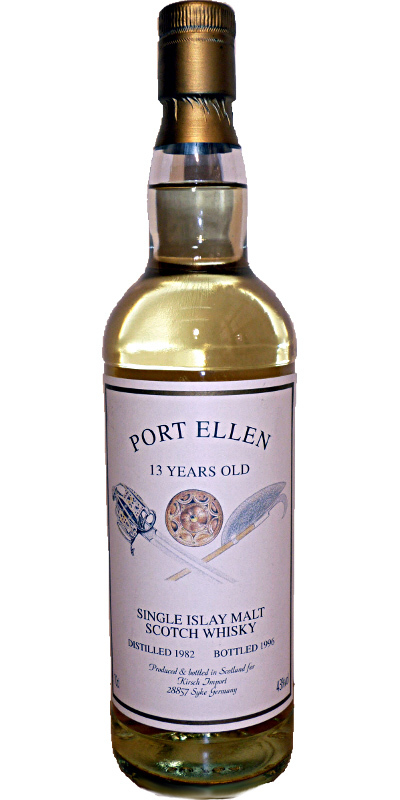 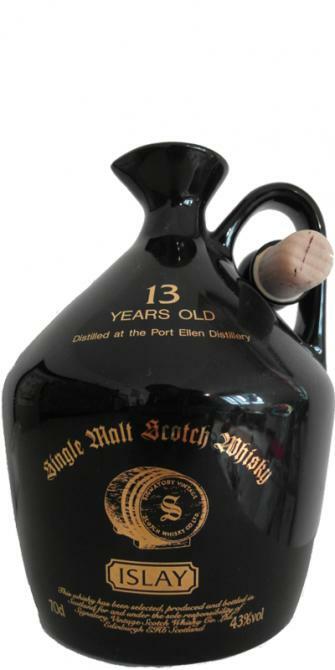 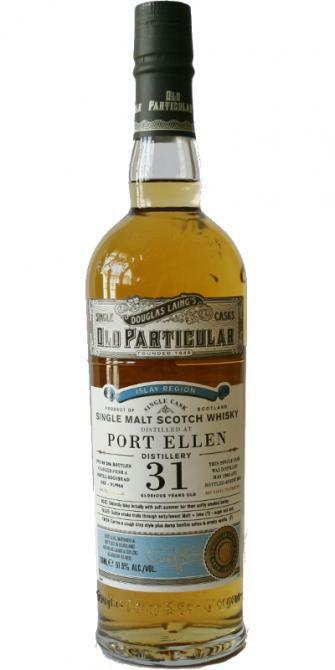 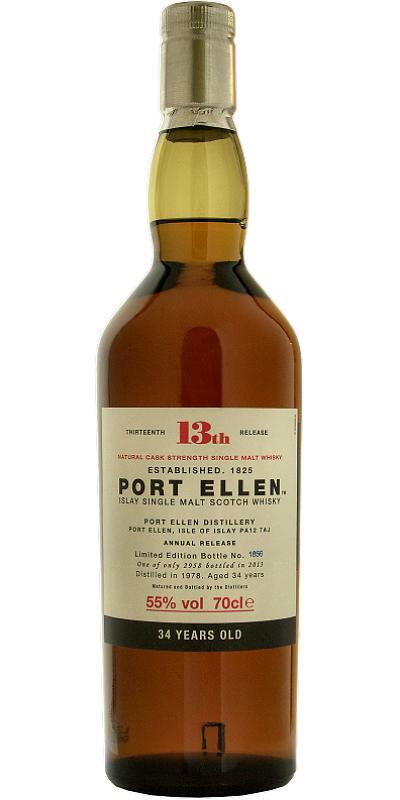 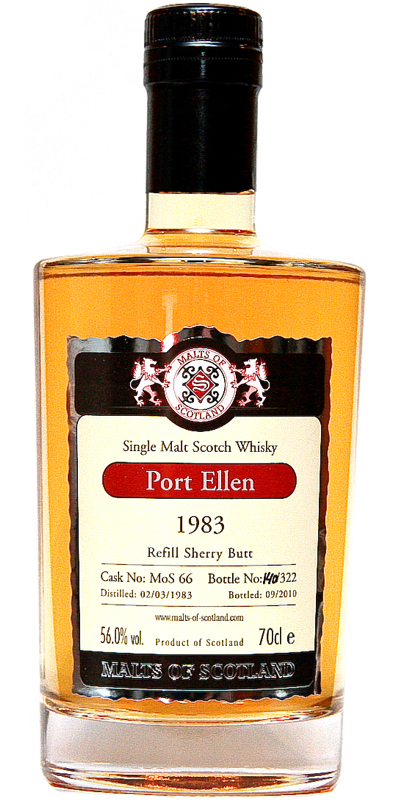 Port Ellen 13-year-old MoM 13 43.0 % Vol. 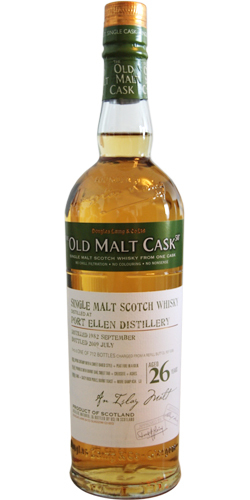 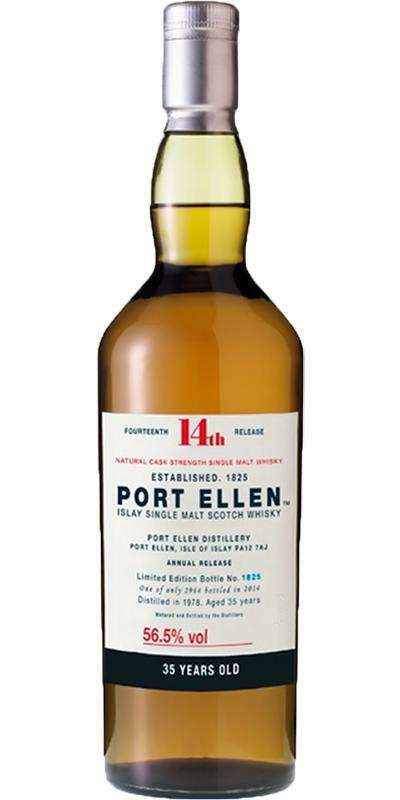 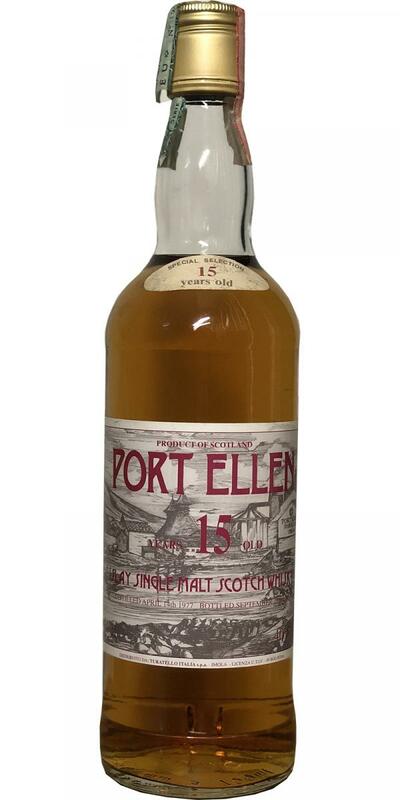 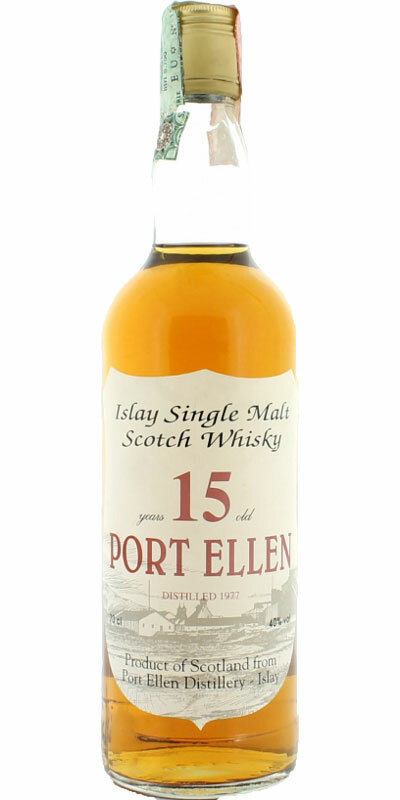 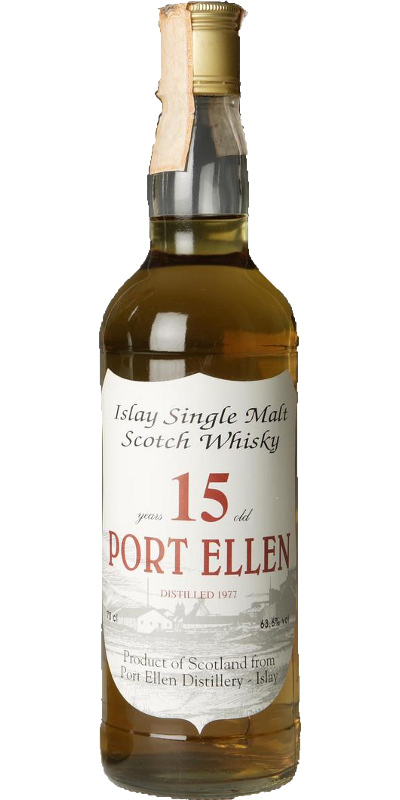 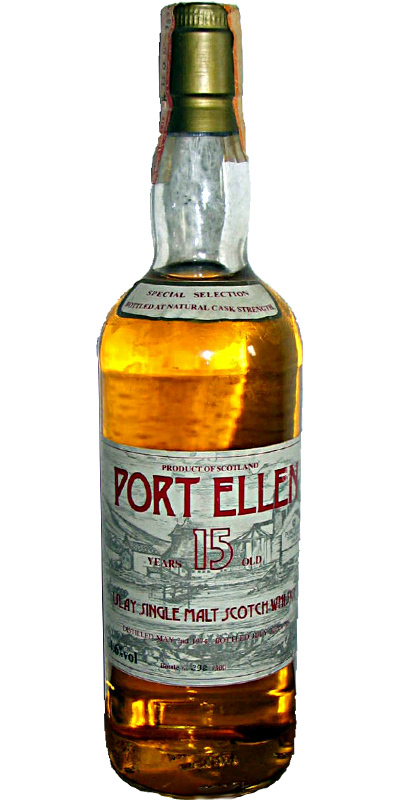 Port Ellen 15-year-old MoM 15 43.0 % Vol. 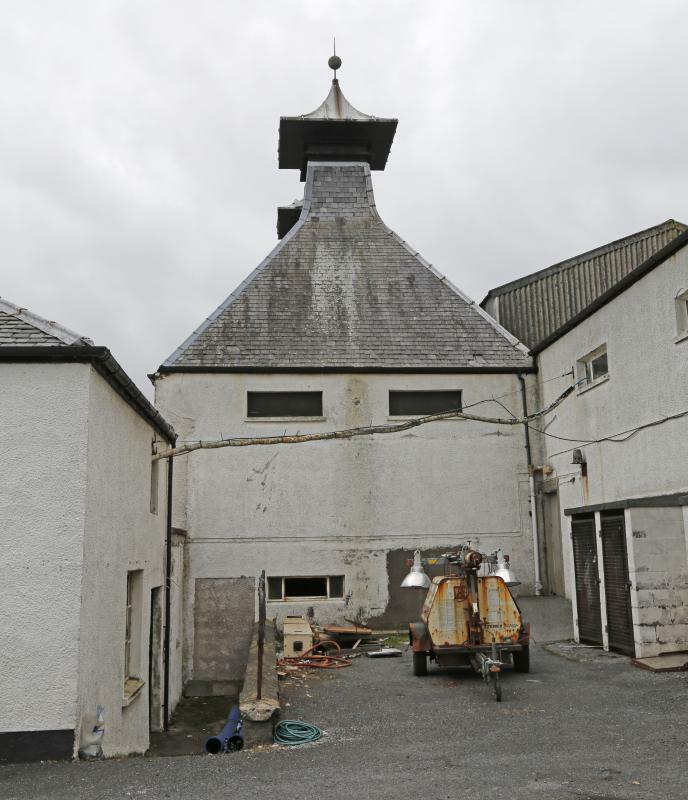 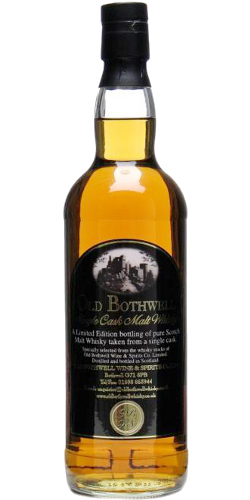 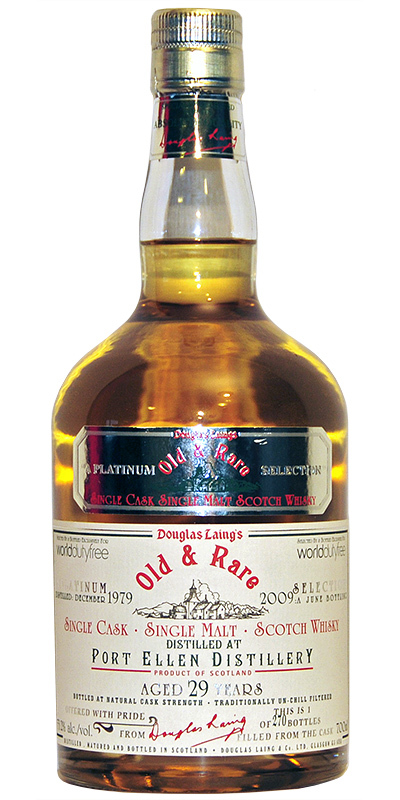 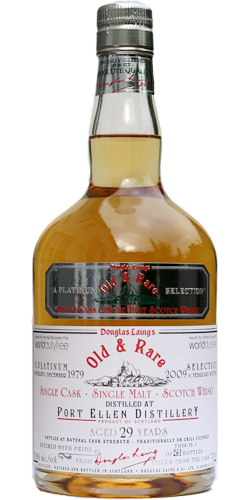 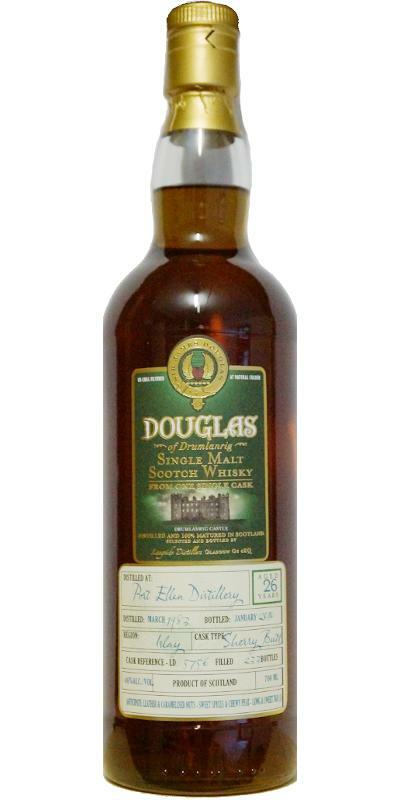 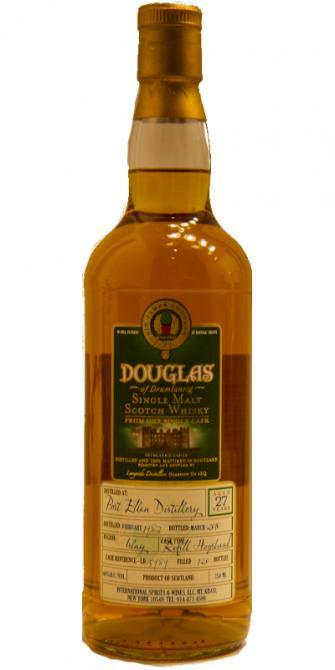 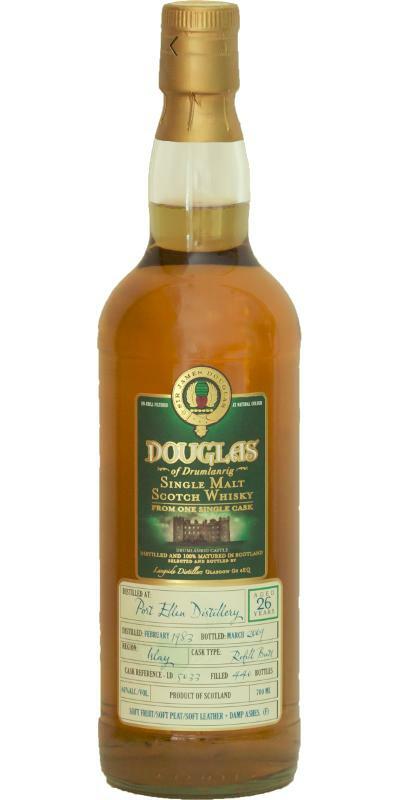 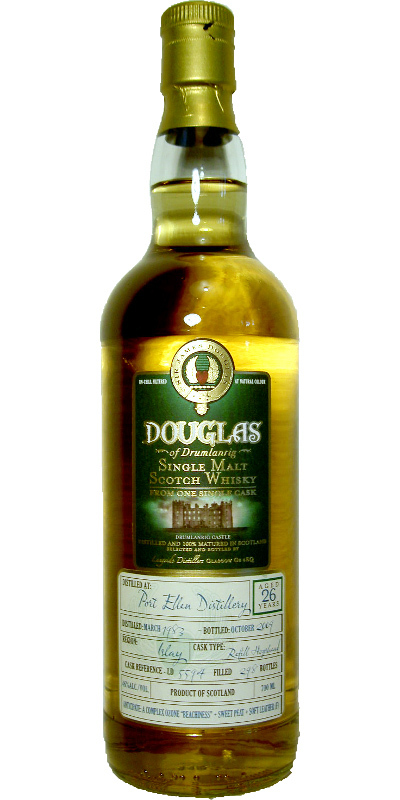 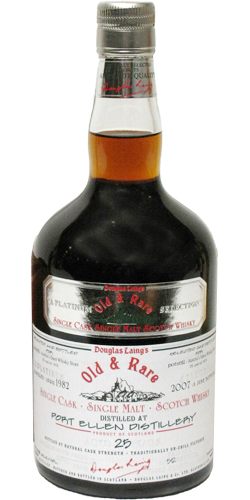 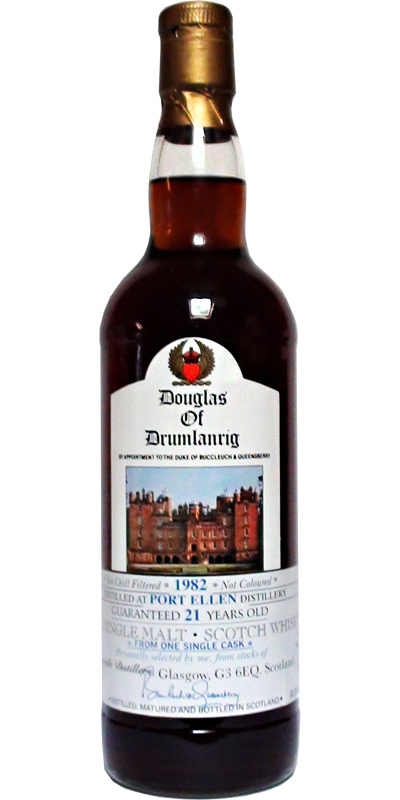 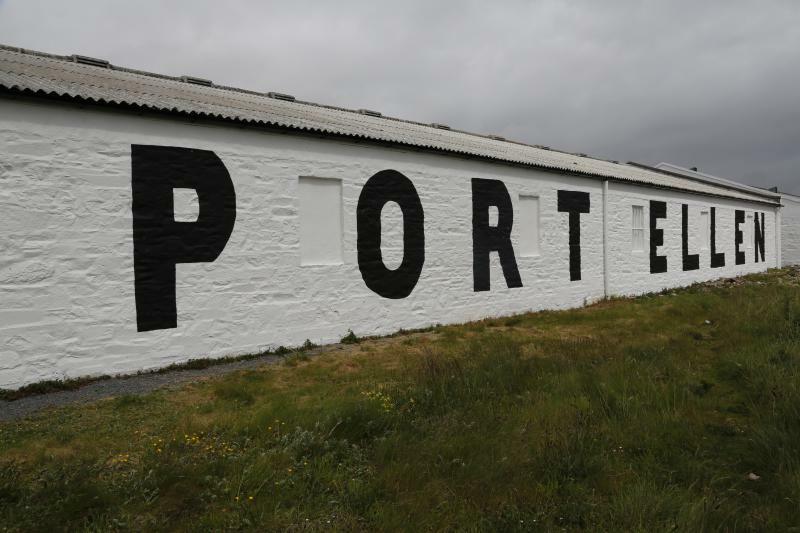 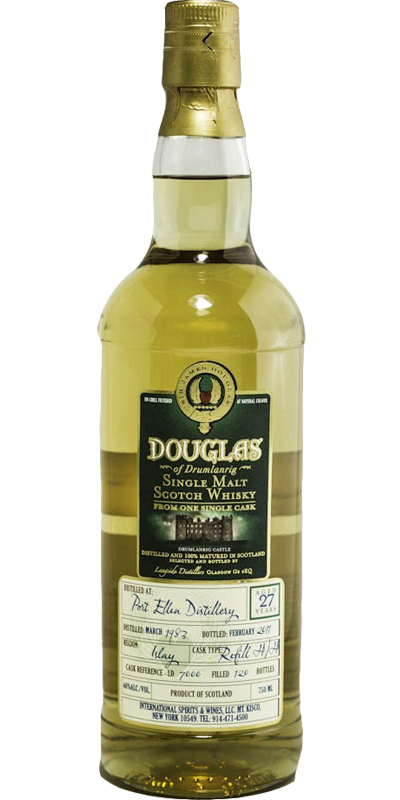 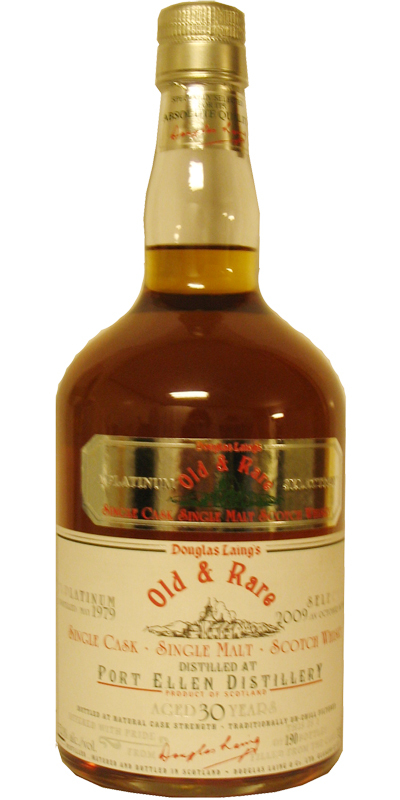 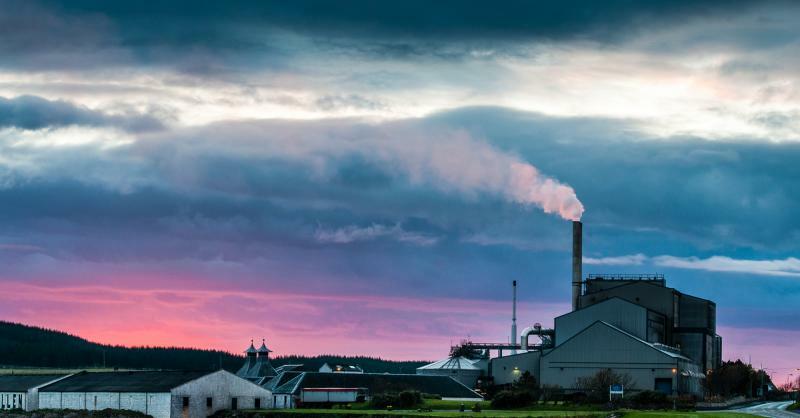 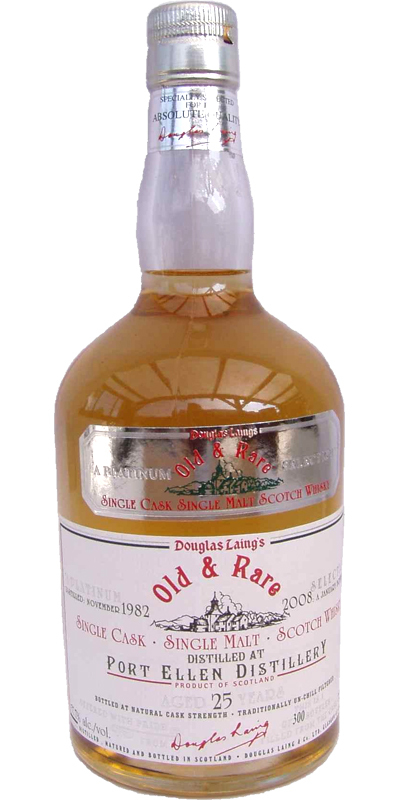 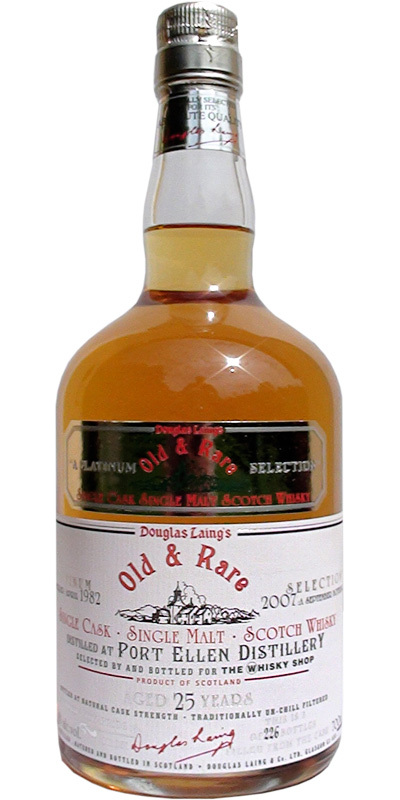 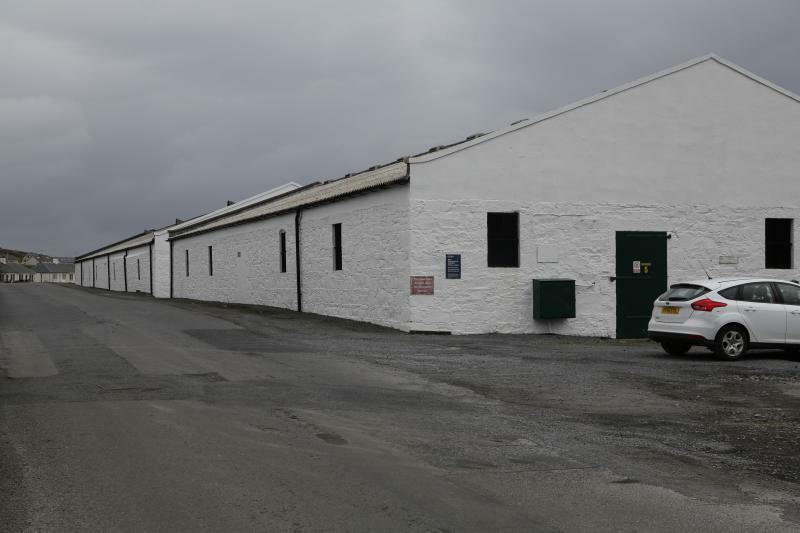 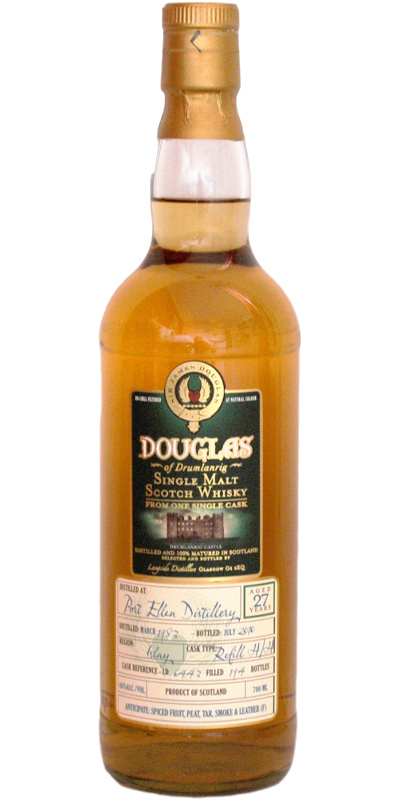 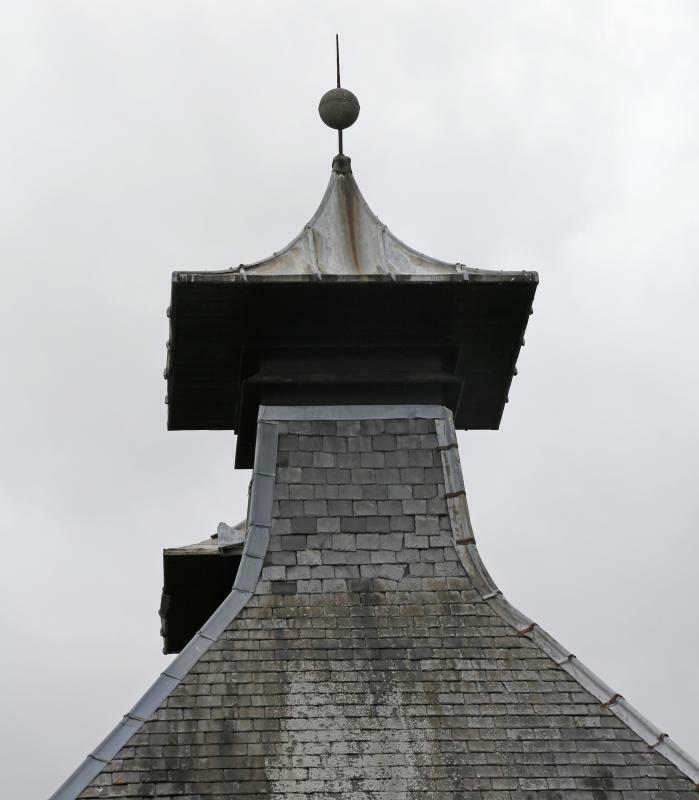 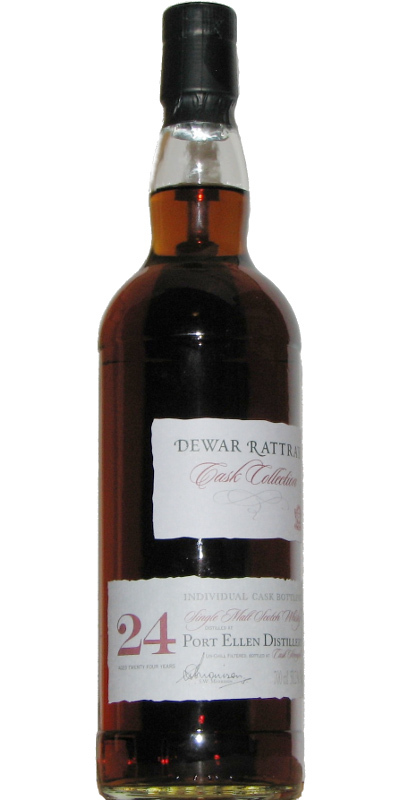 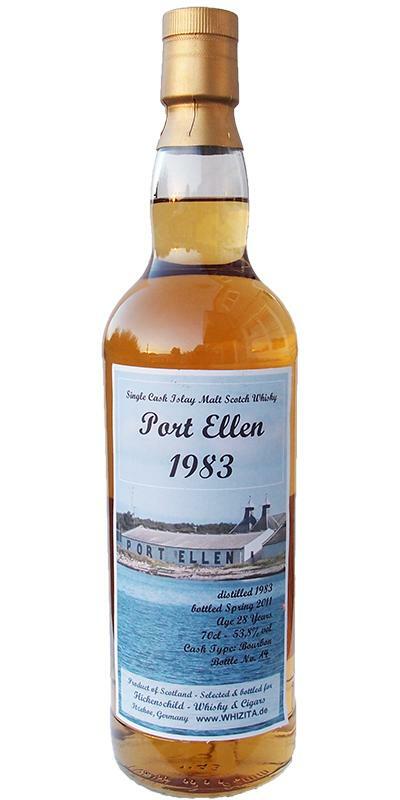 Port Ellen 11-year-old RWD Duthie's 11 46.0 % Vol. 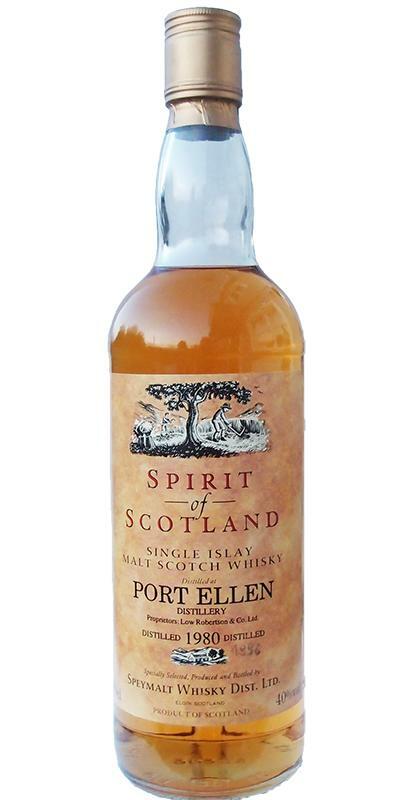 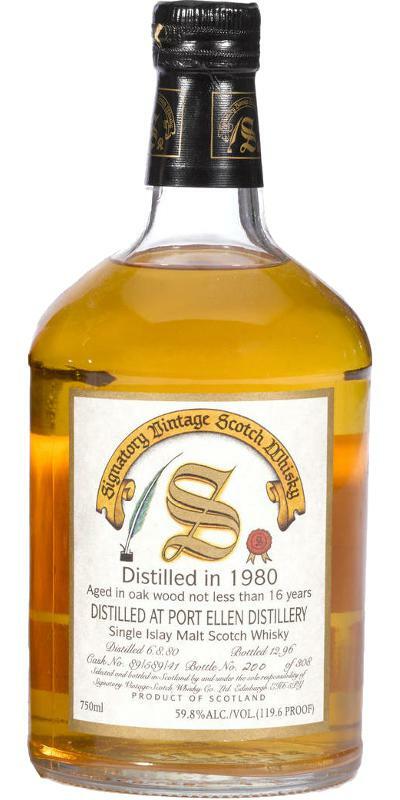 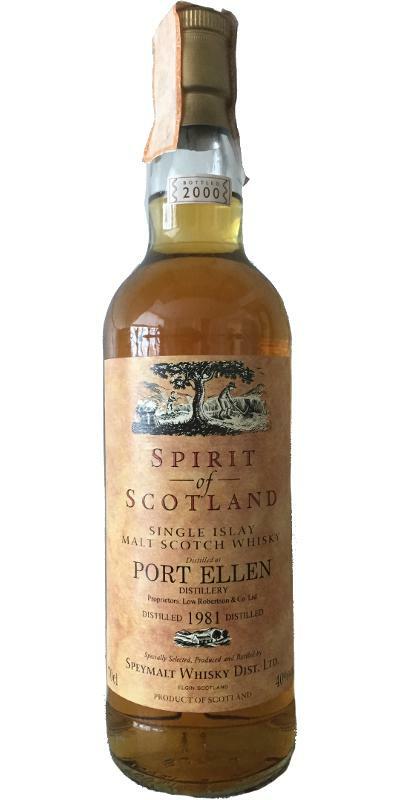 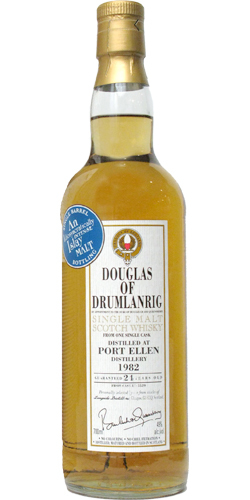 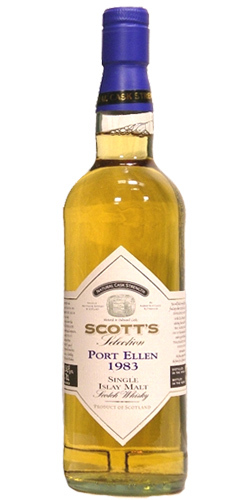 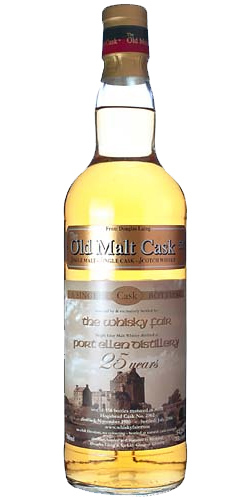 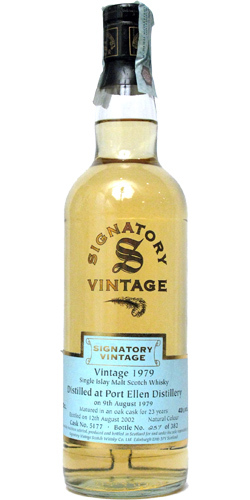 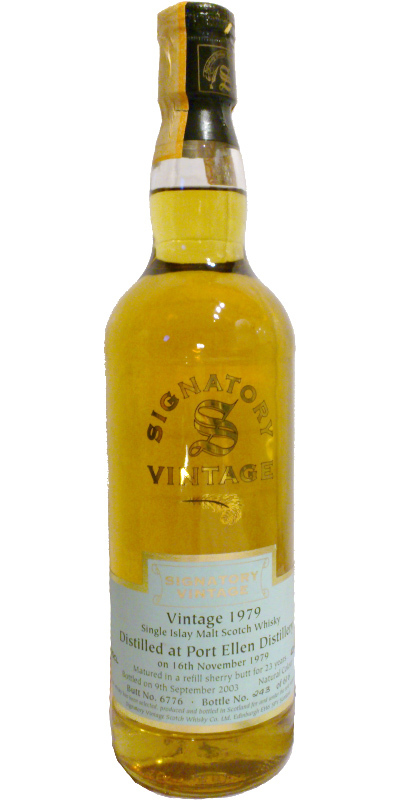 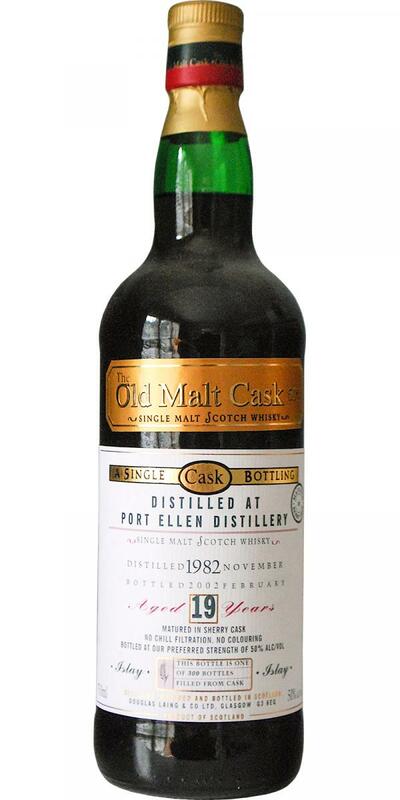 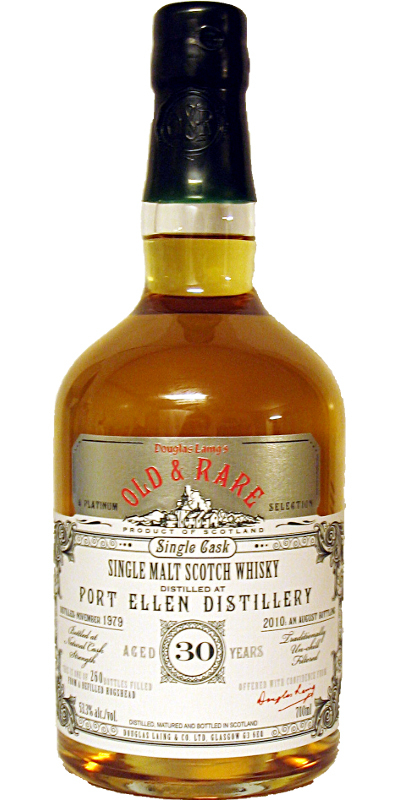 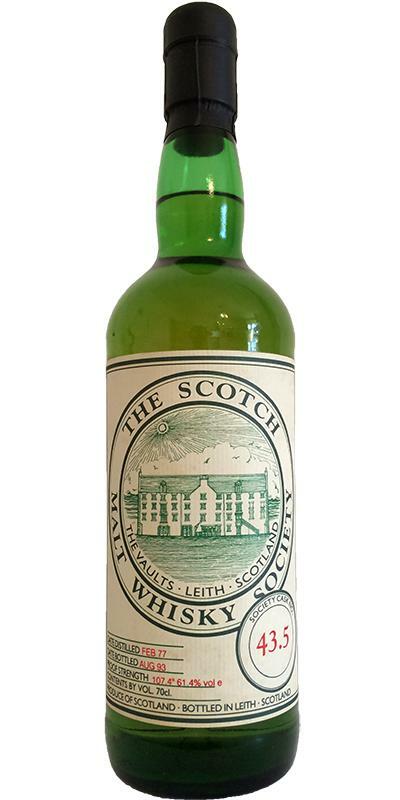 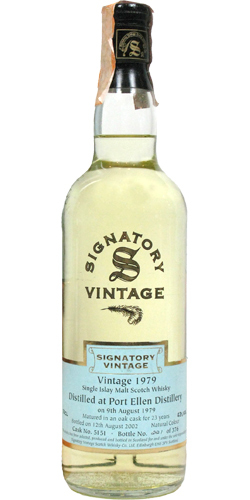 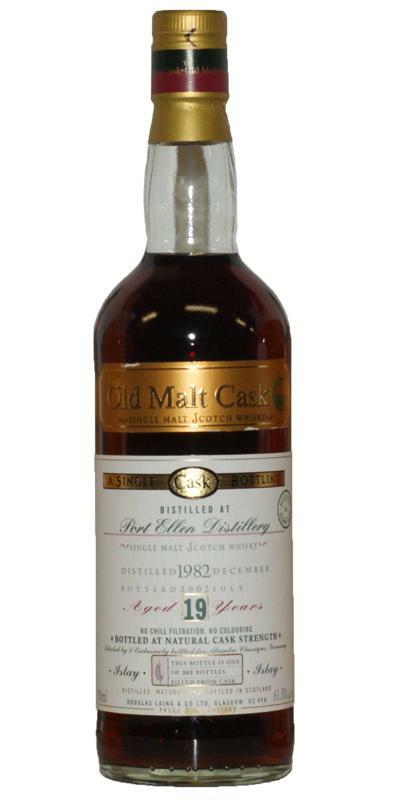 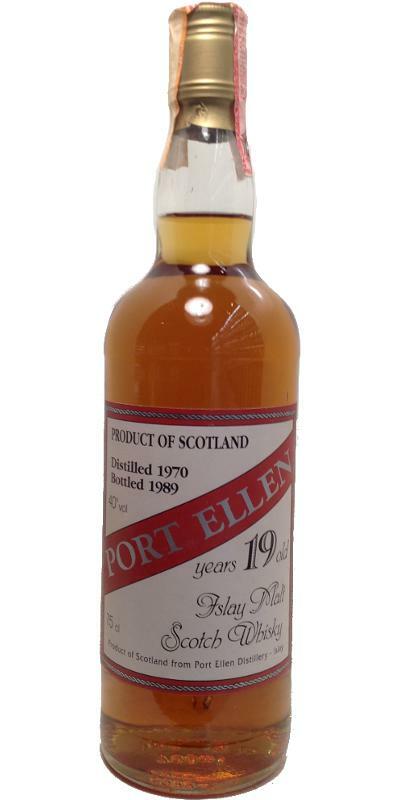 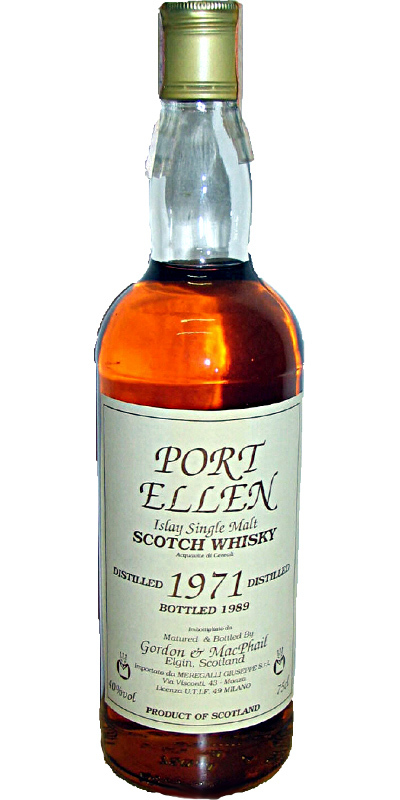 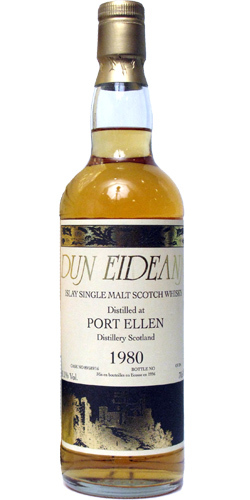 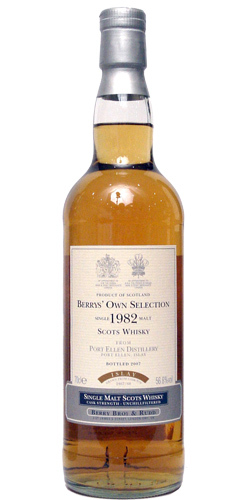 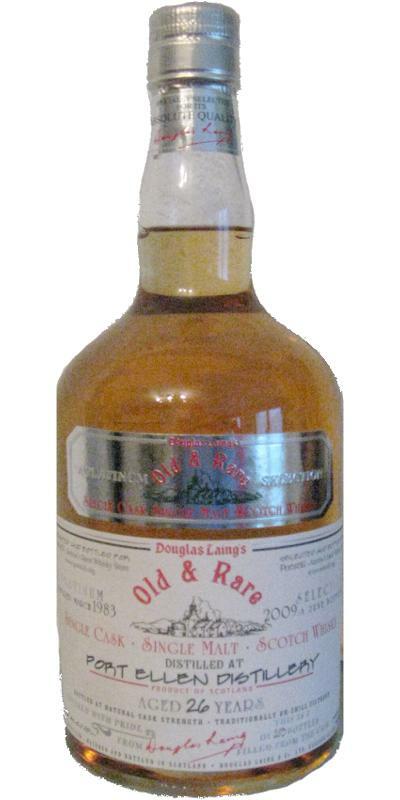 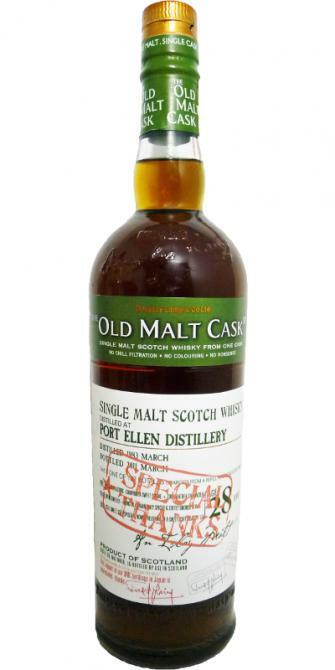 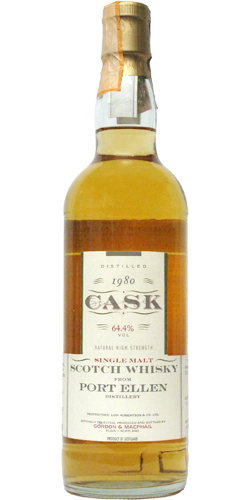 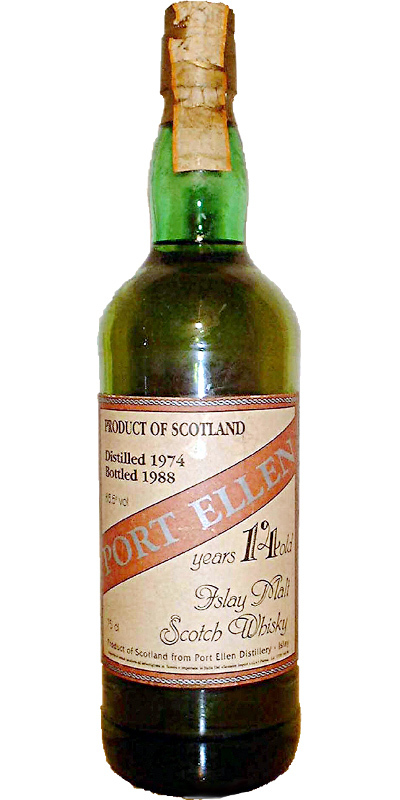 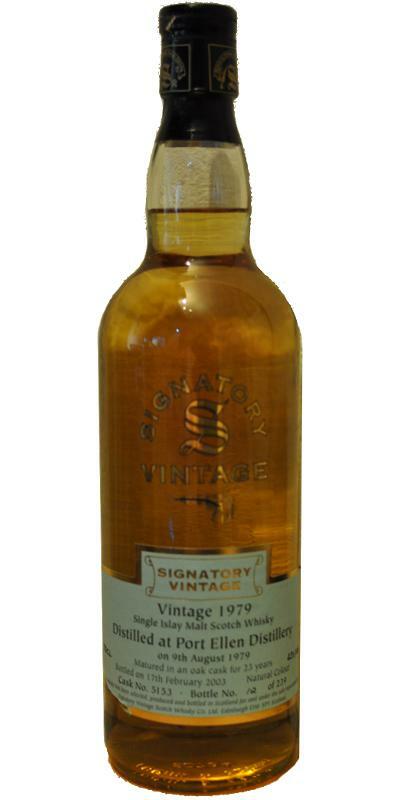 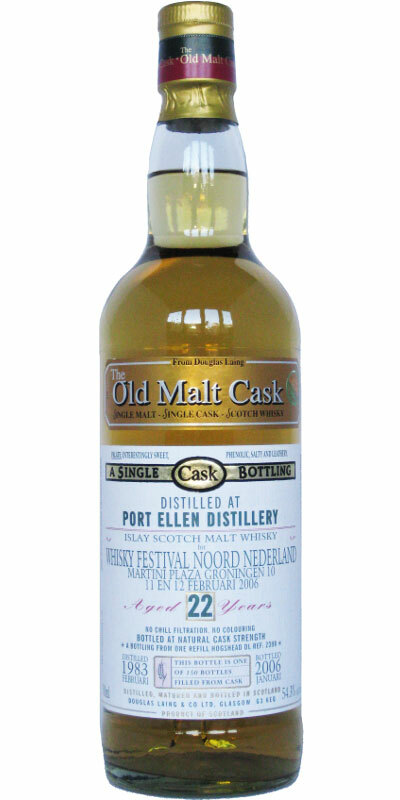 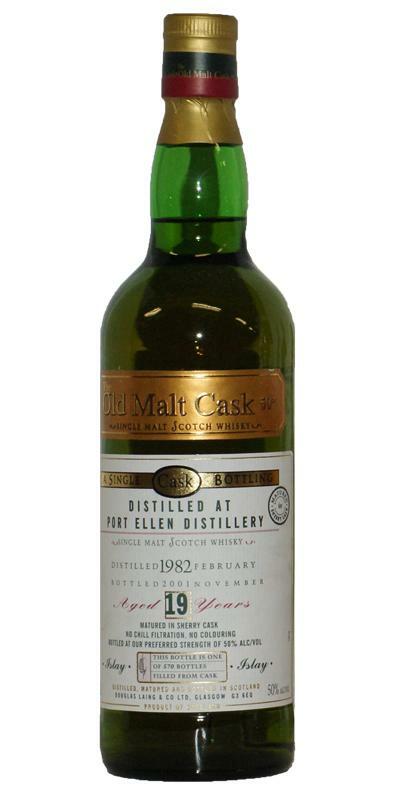 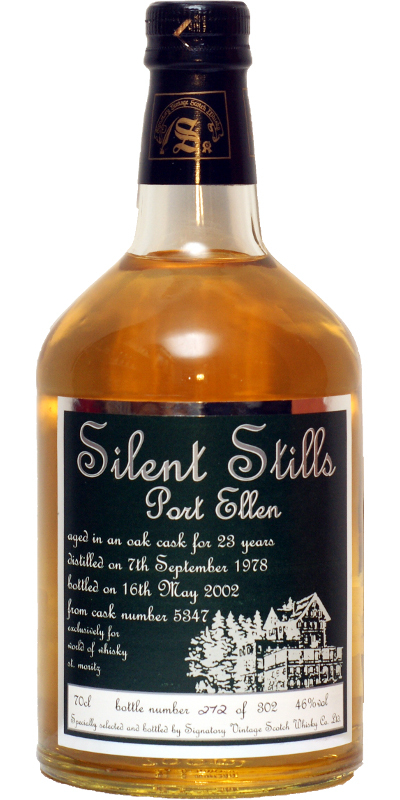 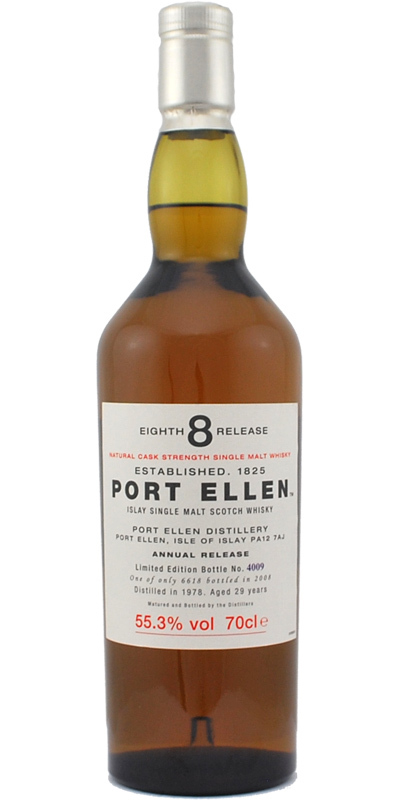 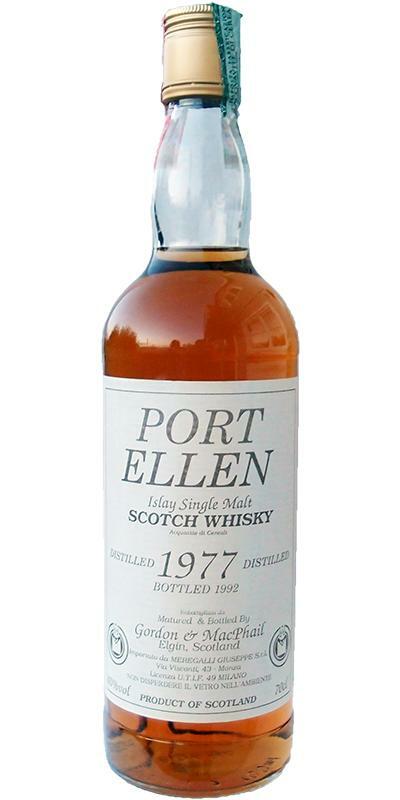 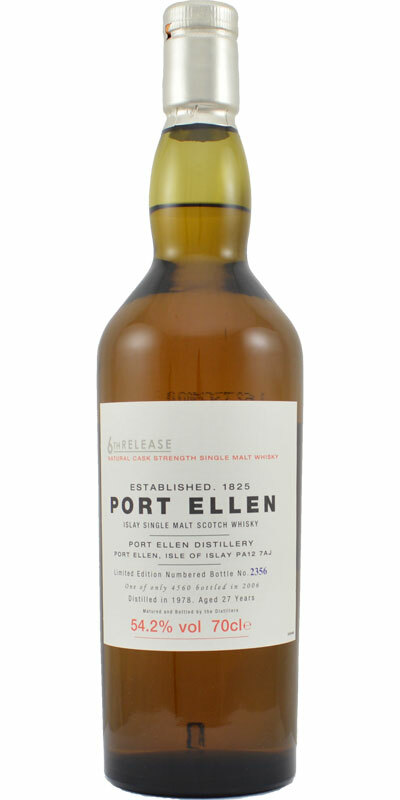 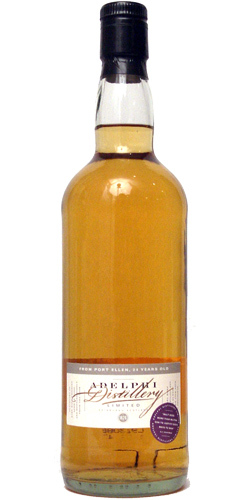 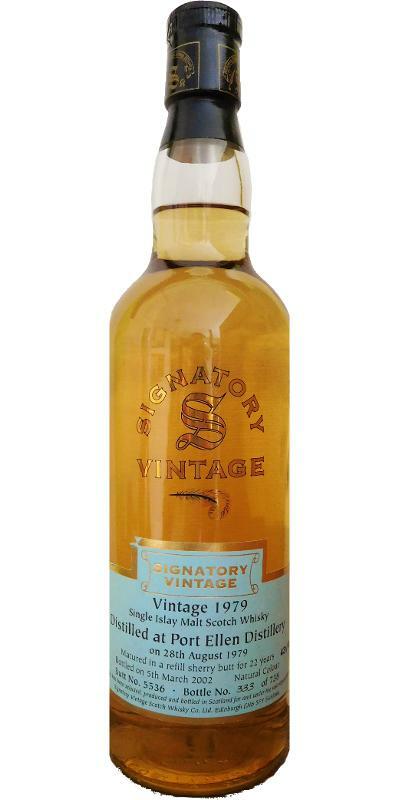 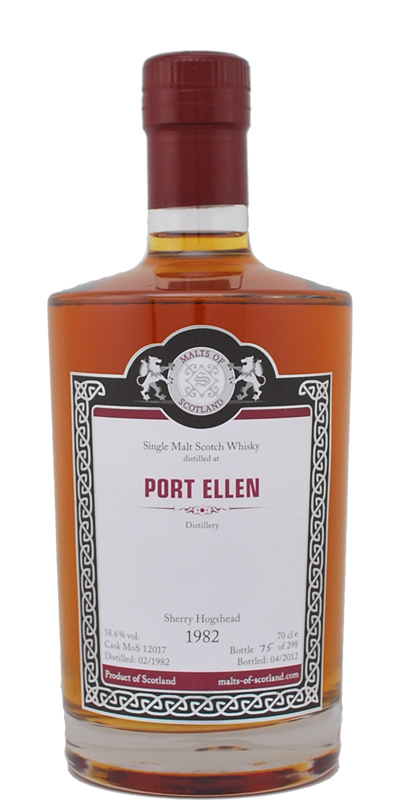 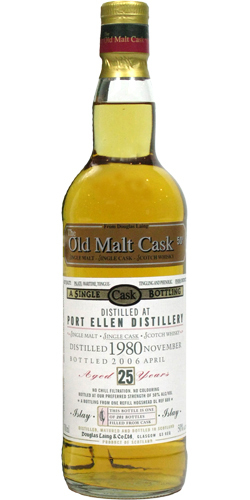 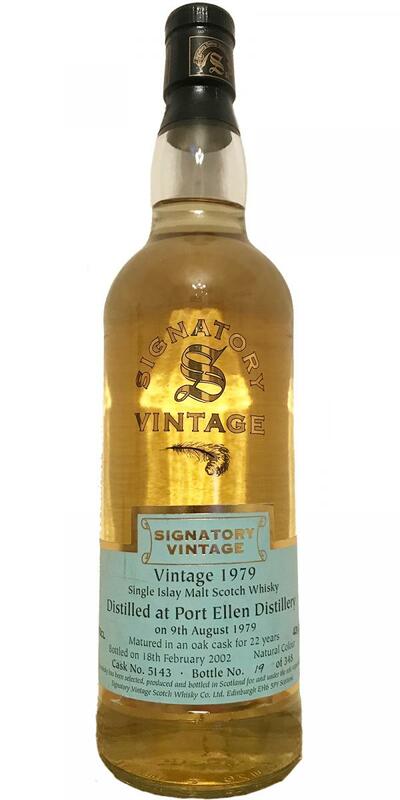 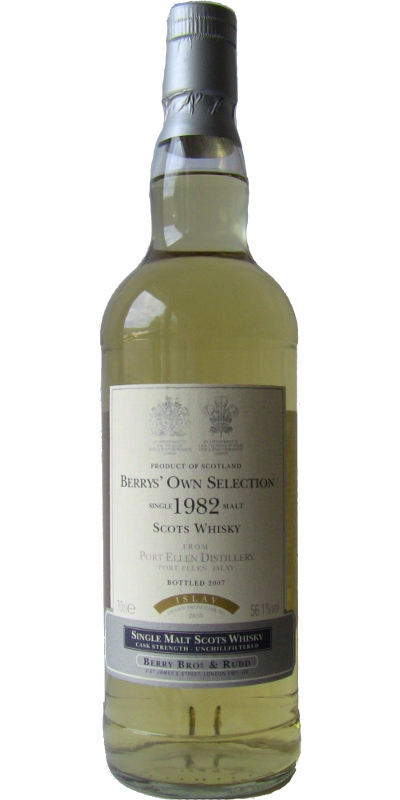 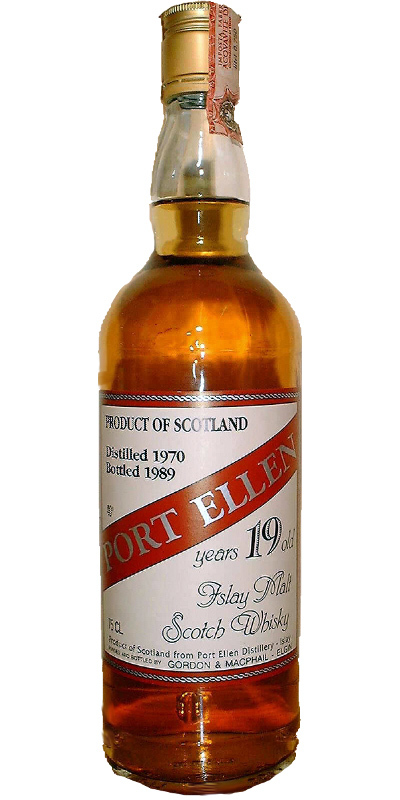 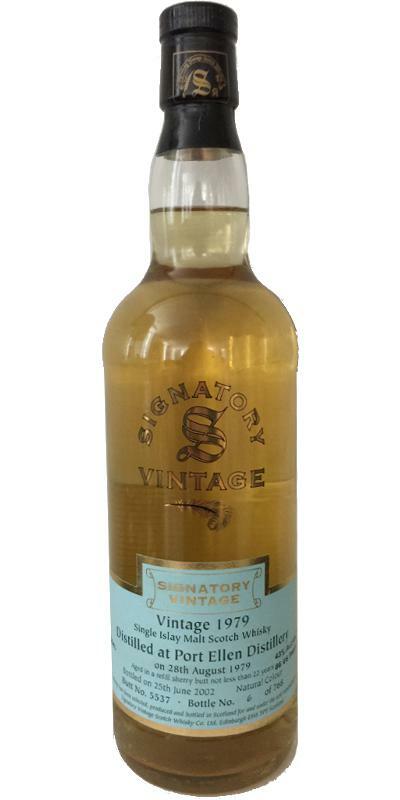 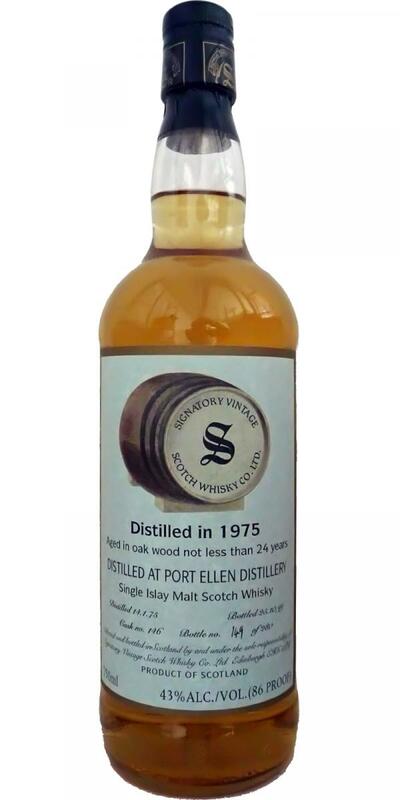 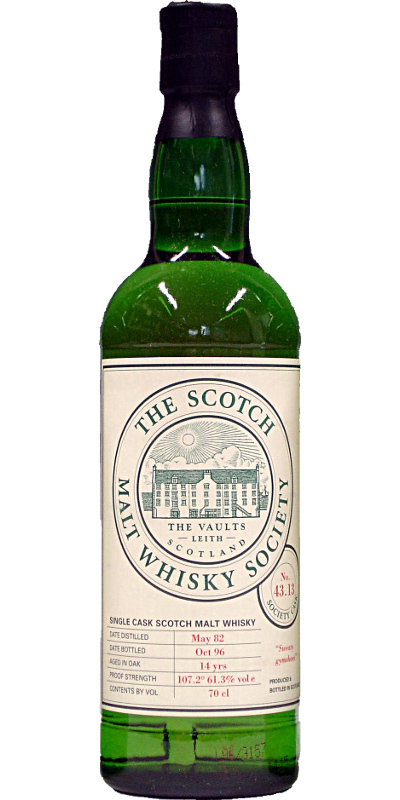 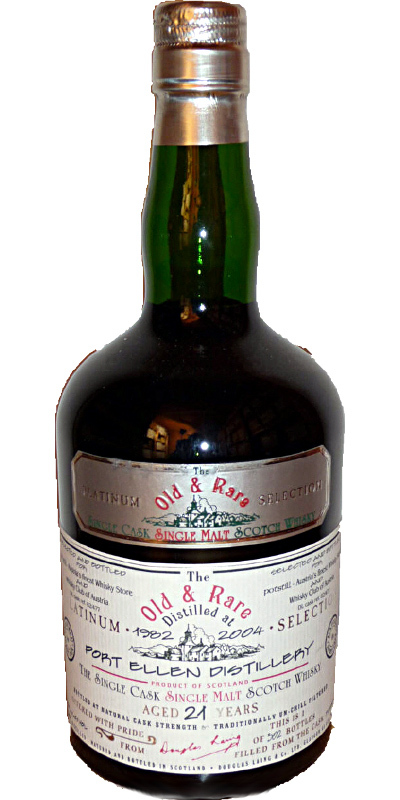 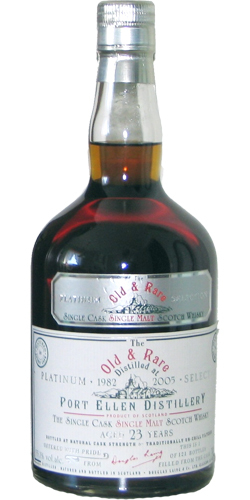 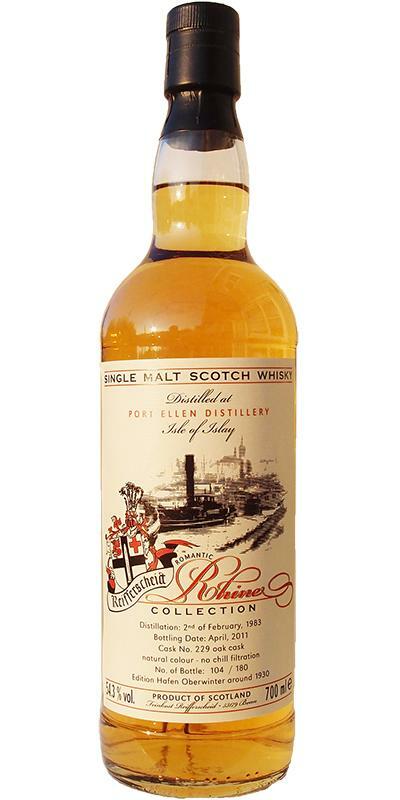 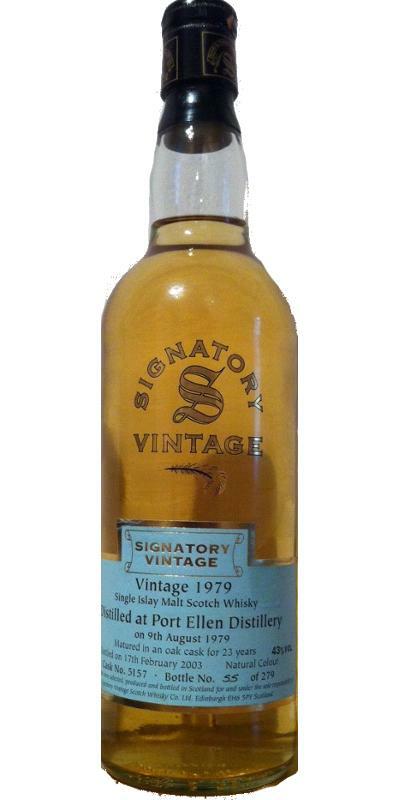 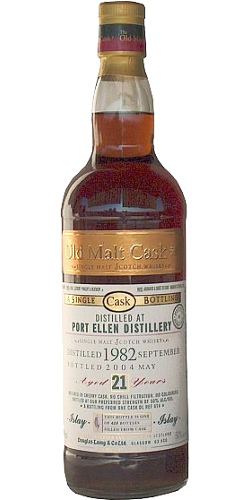 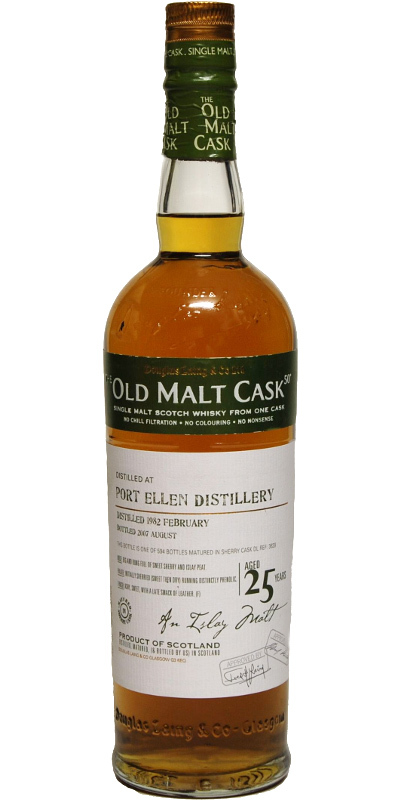 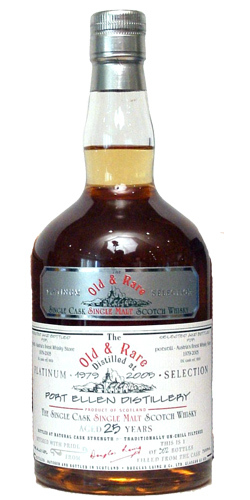 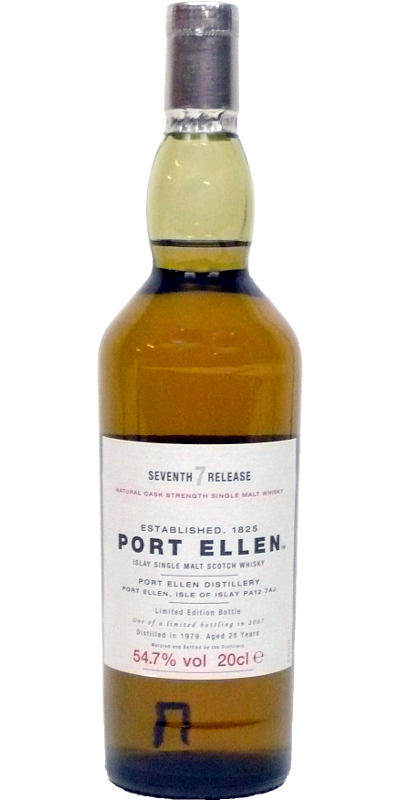 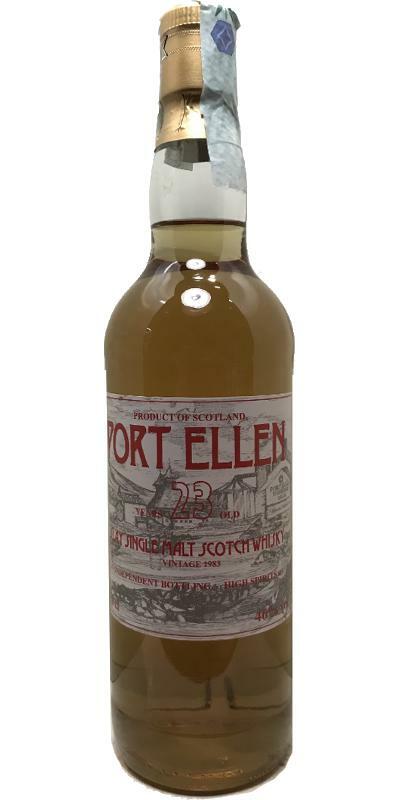 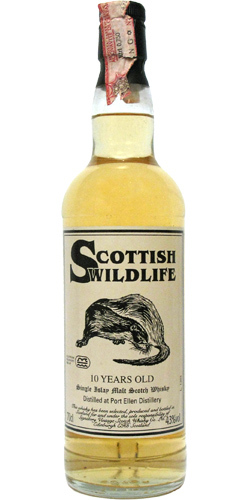 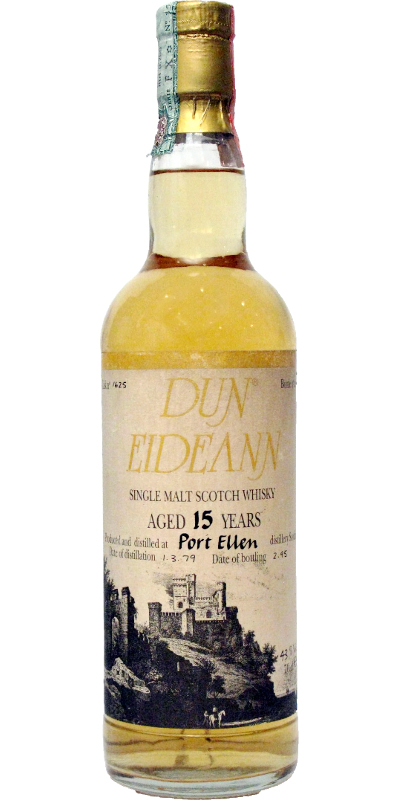 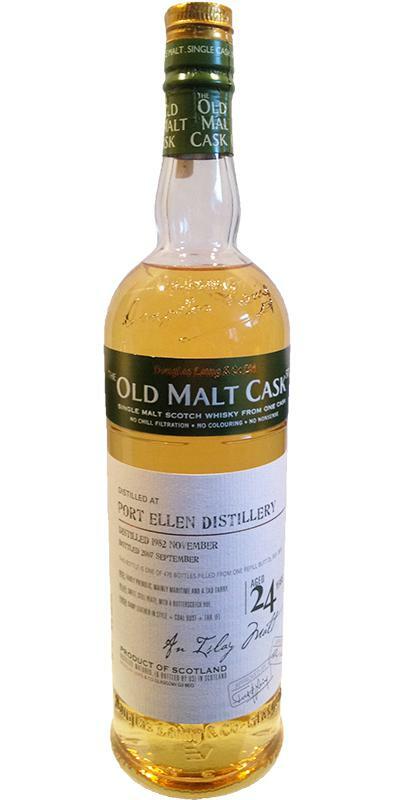 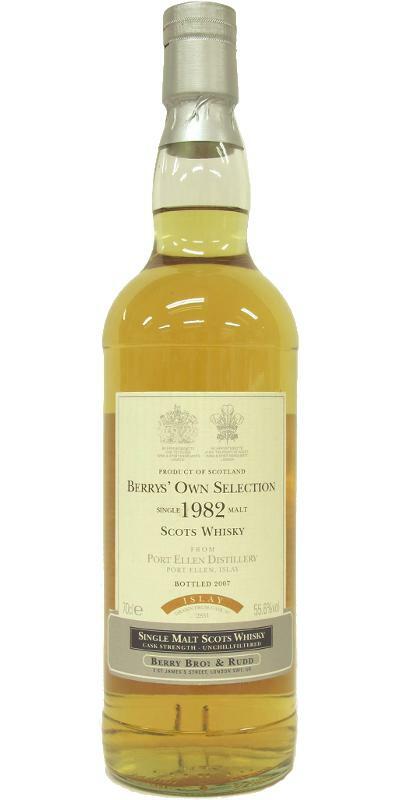 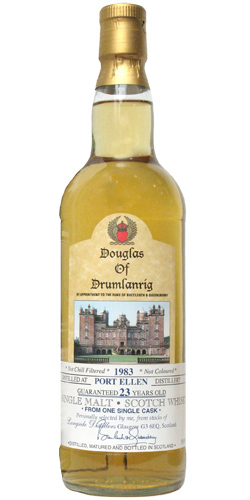 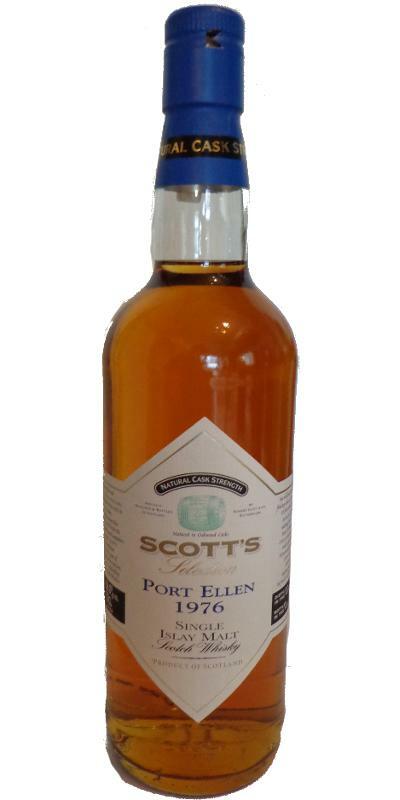 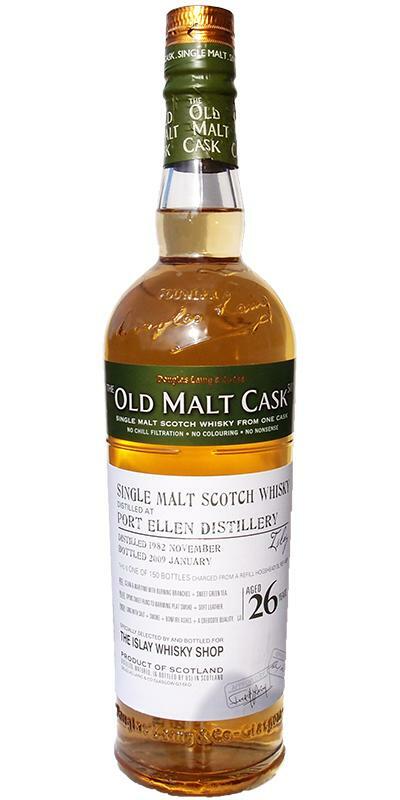 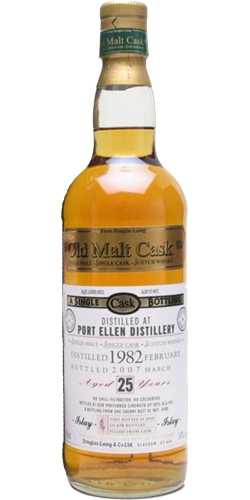 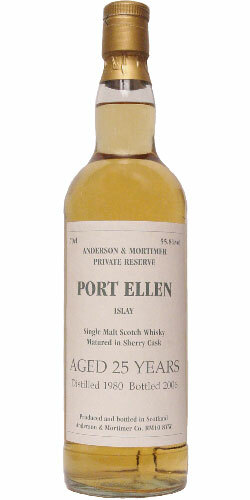 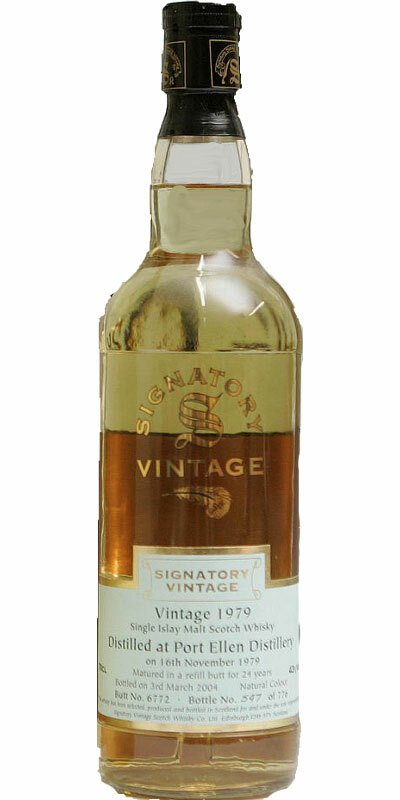 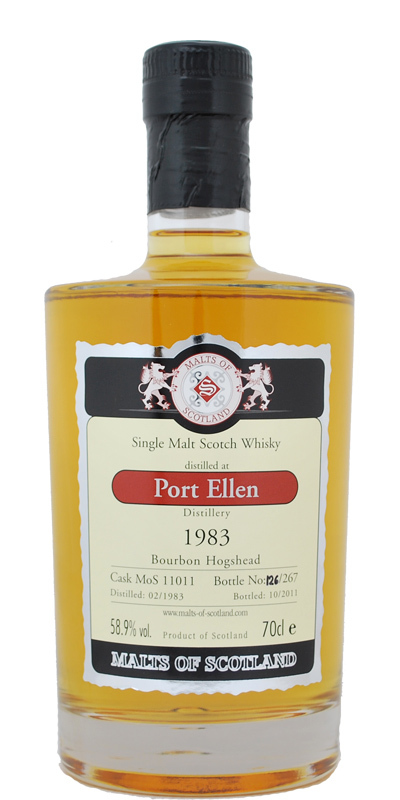 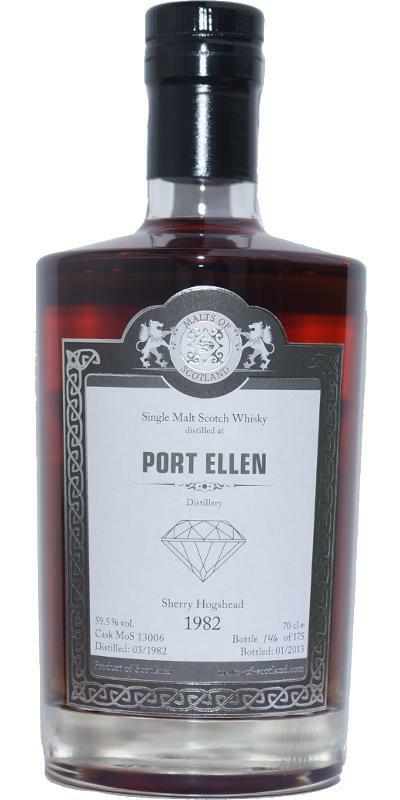 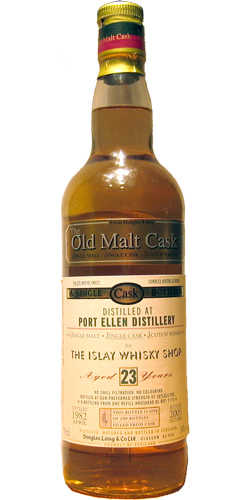 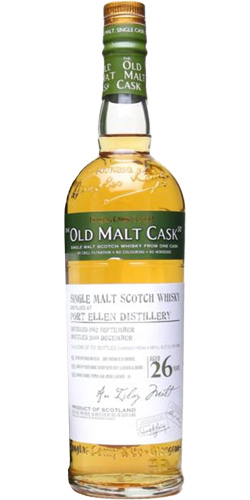 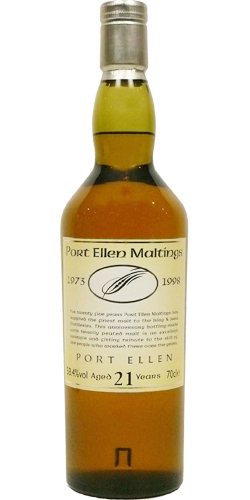 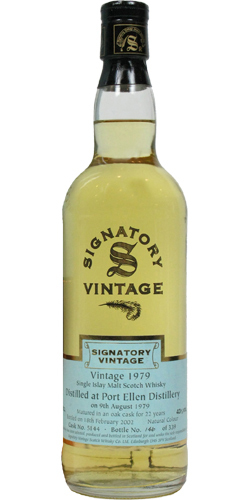 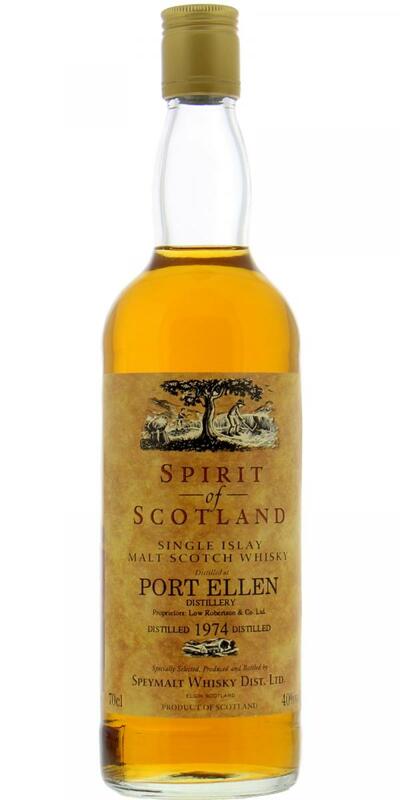 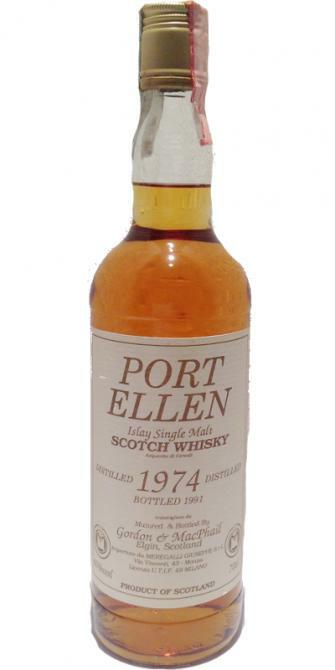 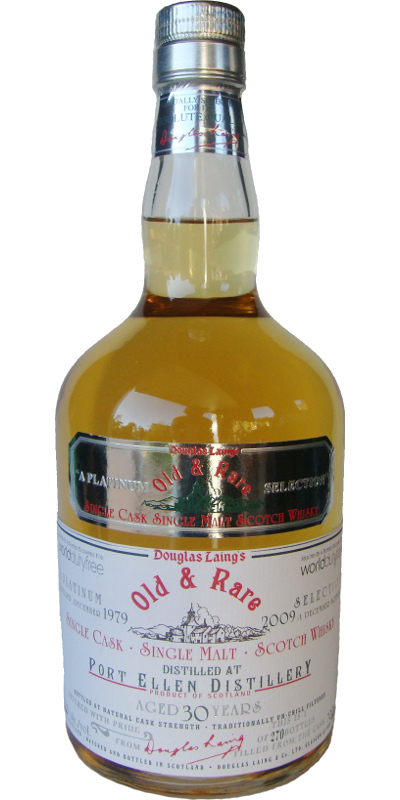 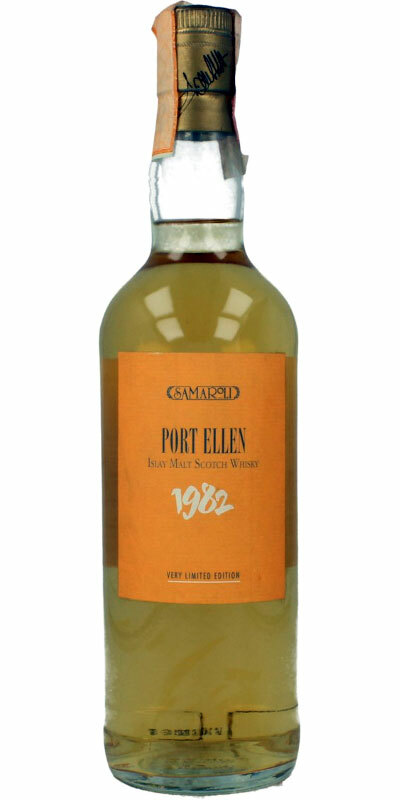 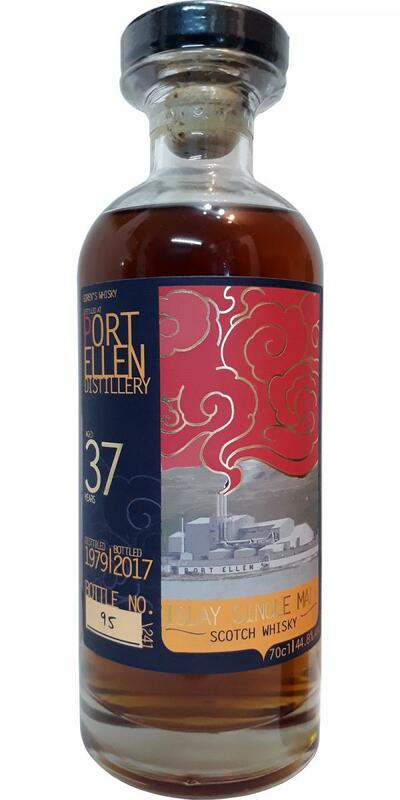 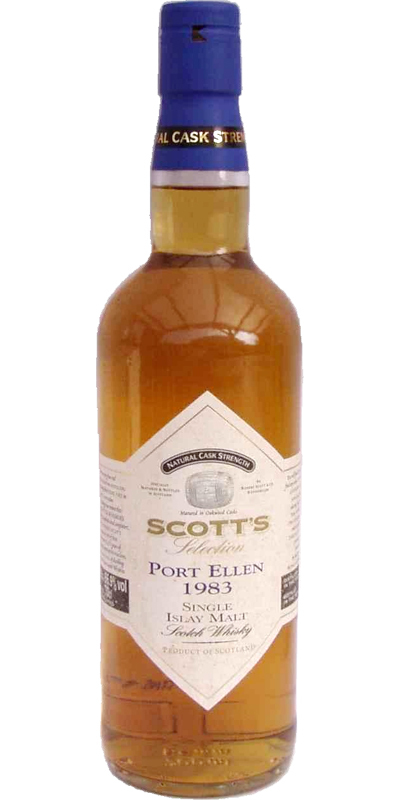 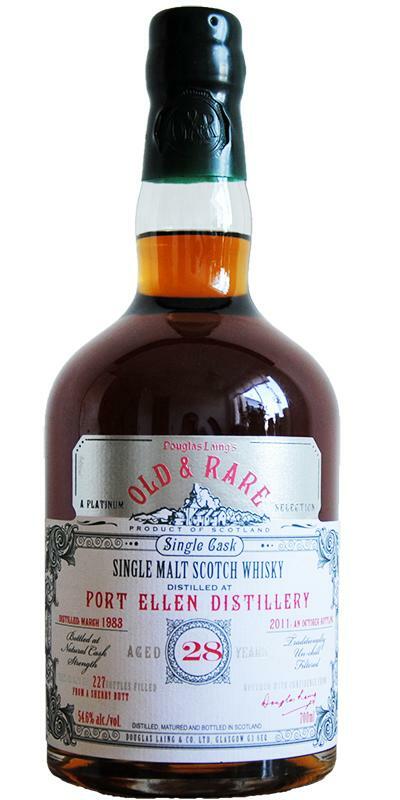 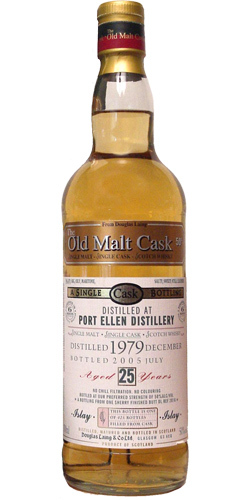 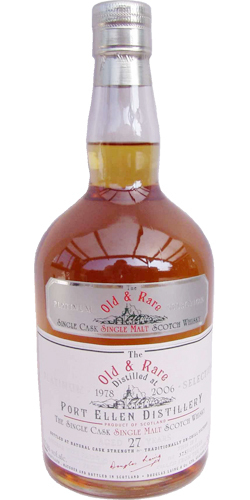 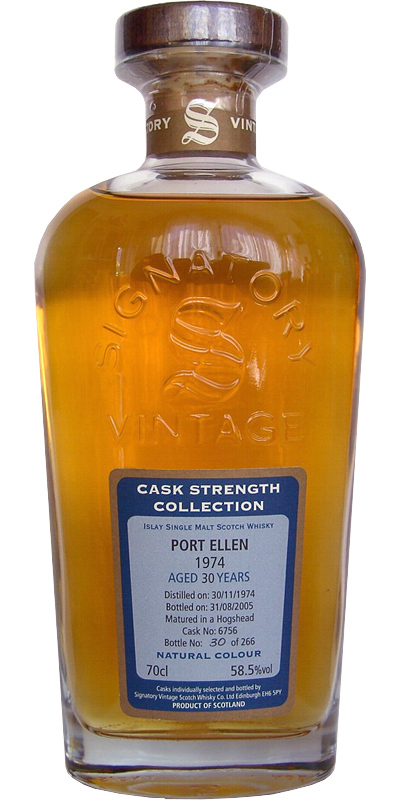 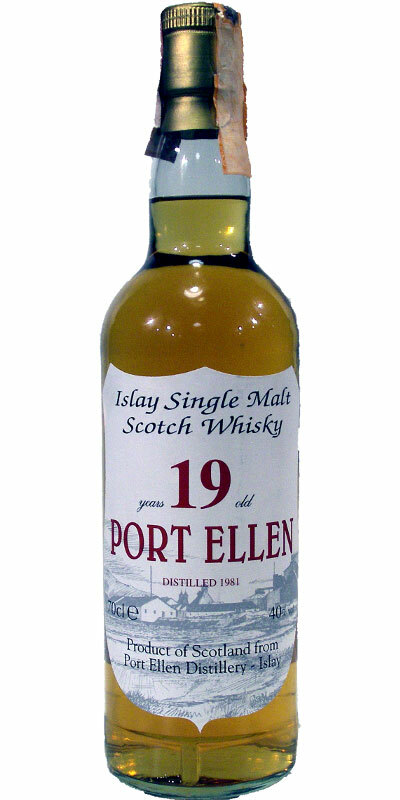 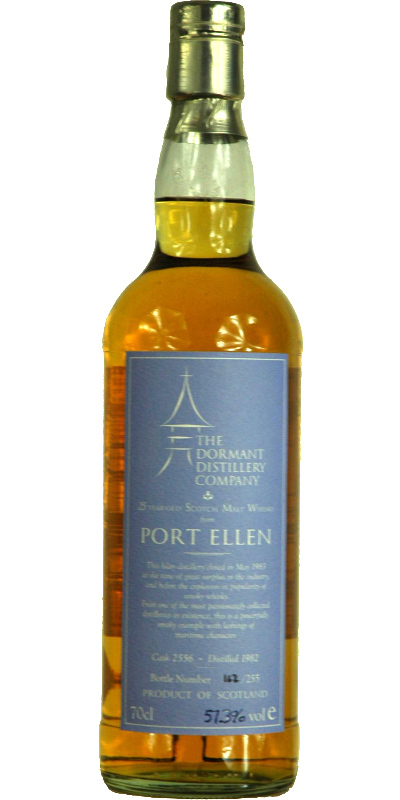 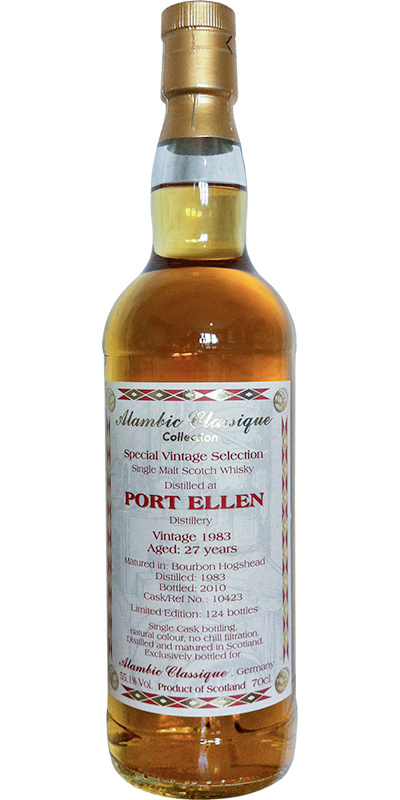 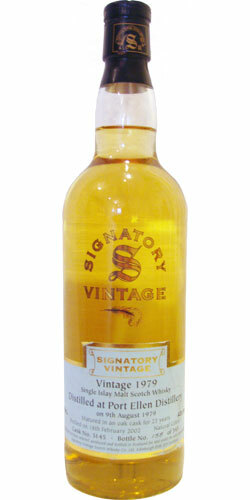 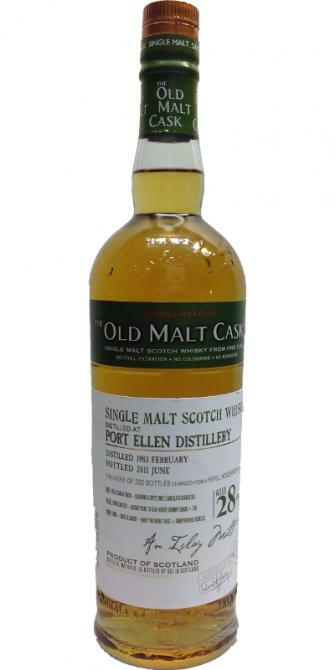 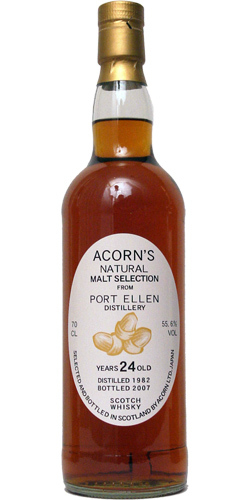 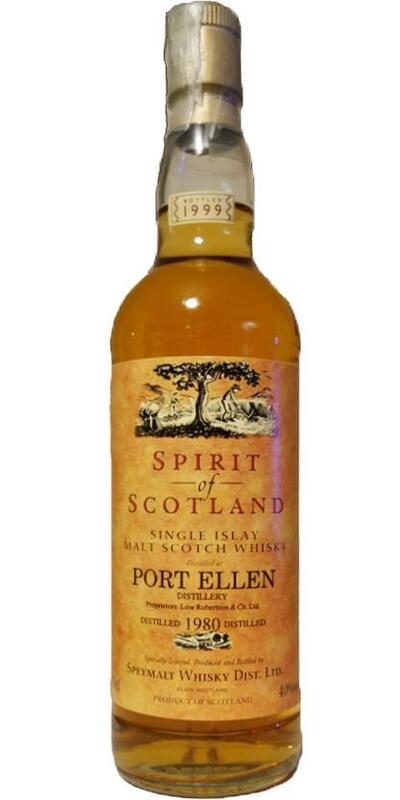 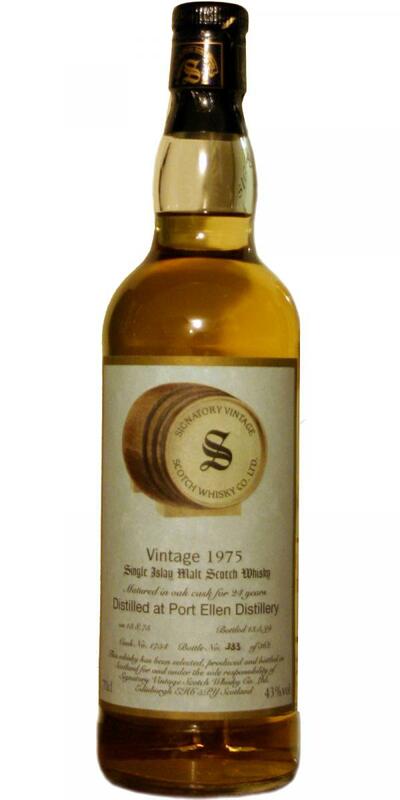 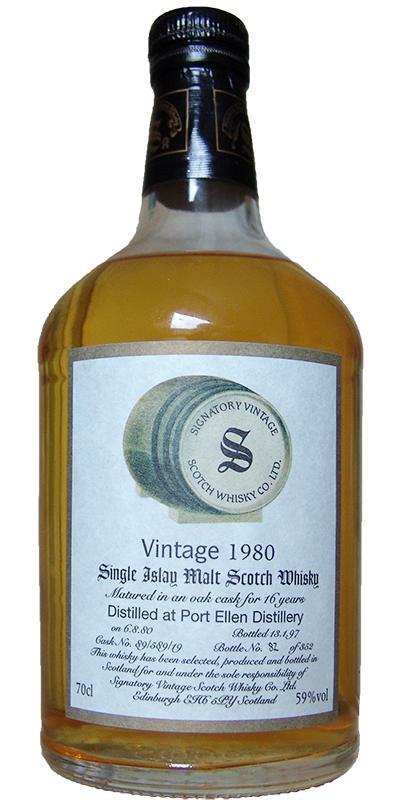 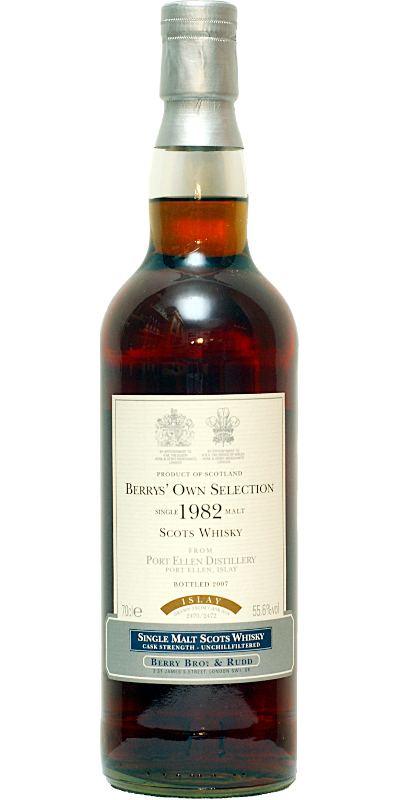 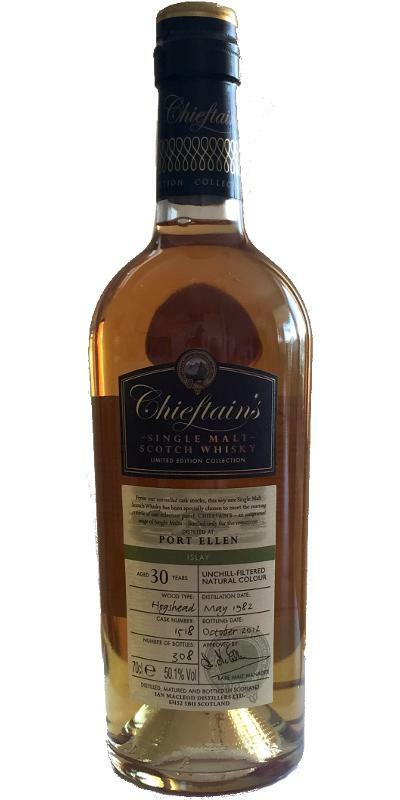 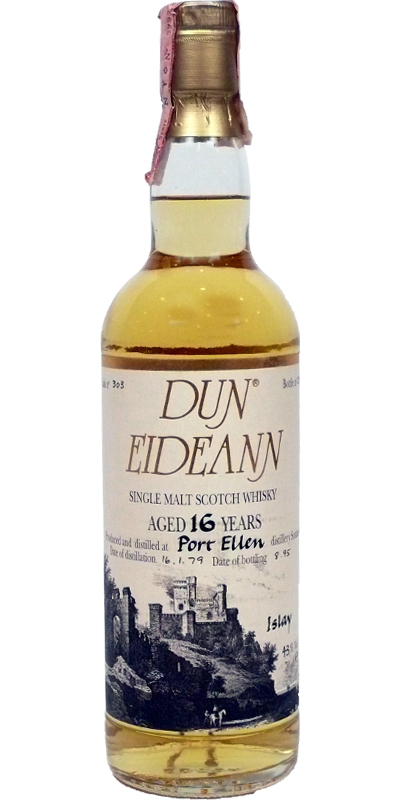 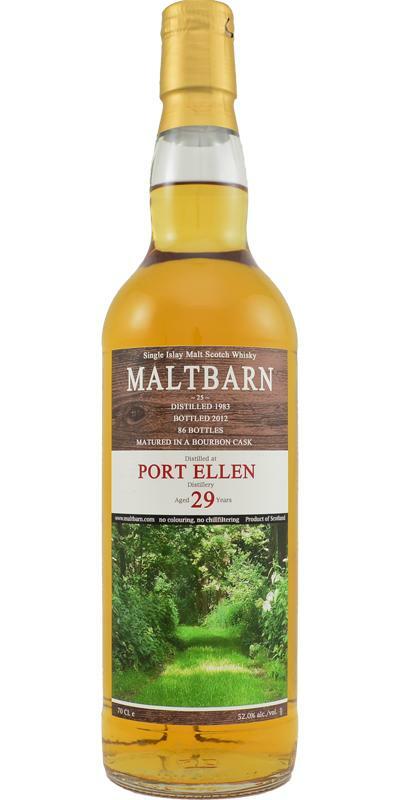 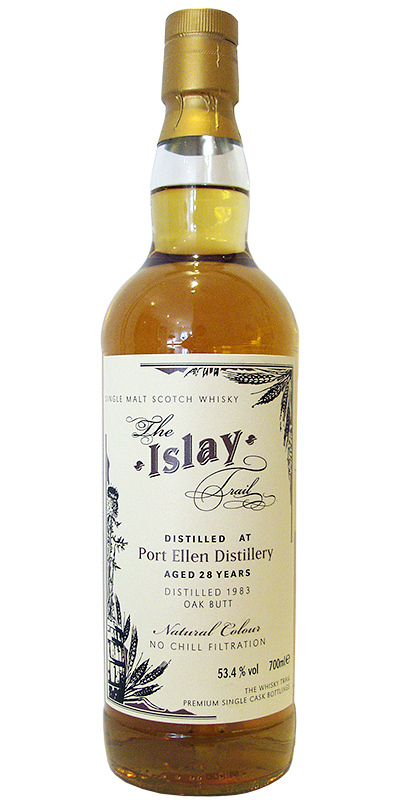 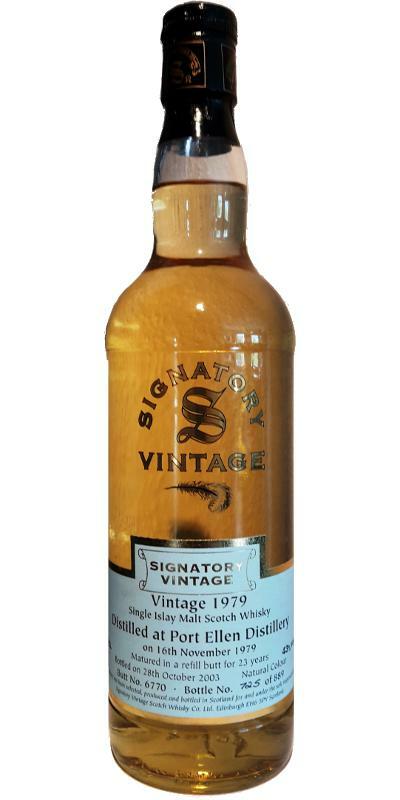 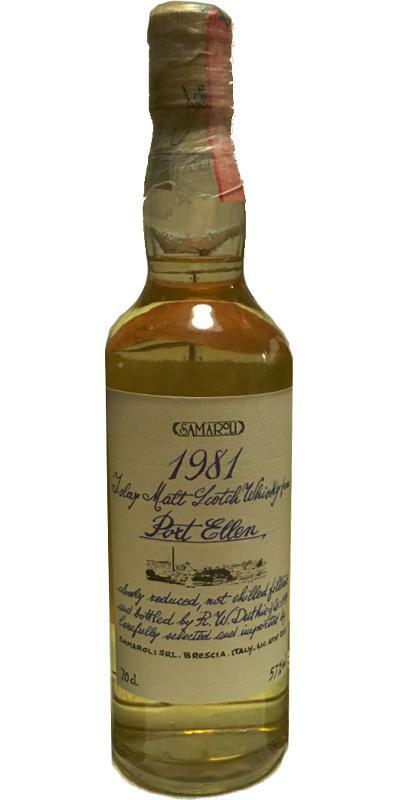 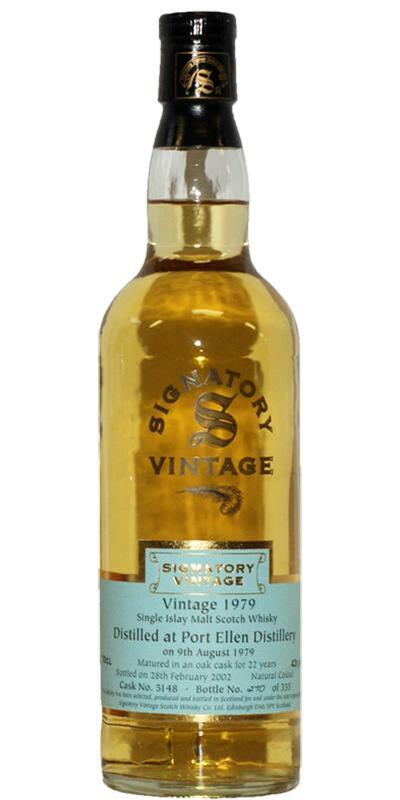 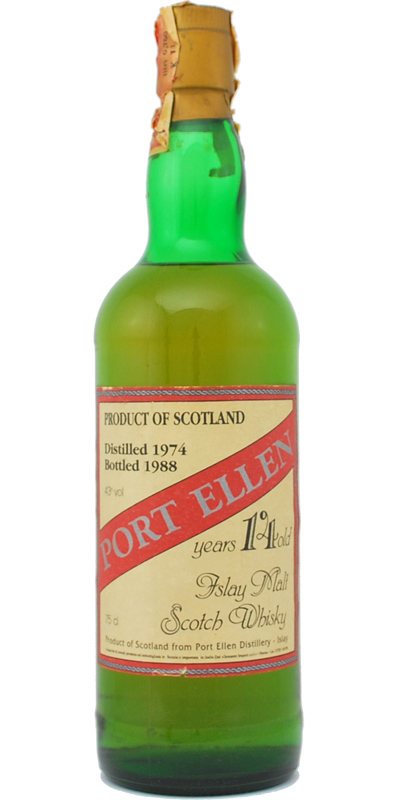 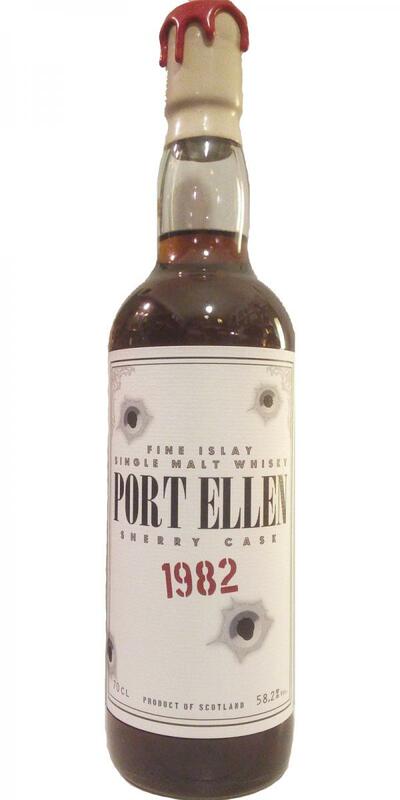 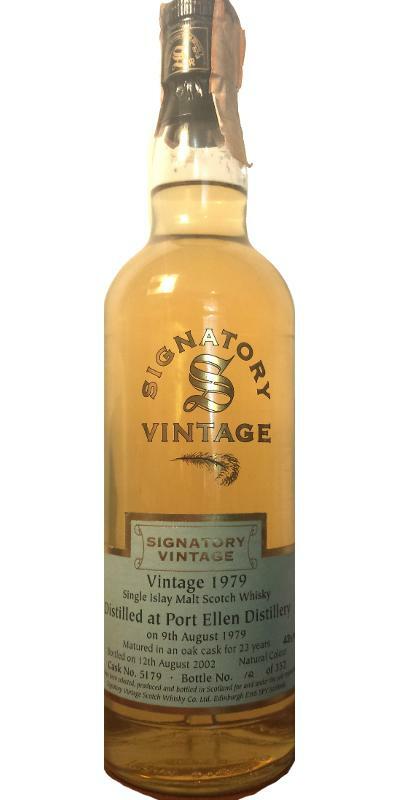 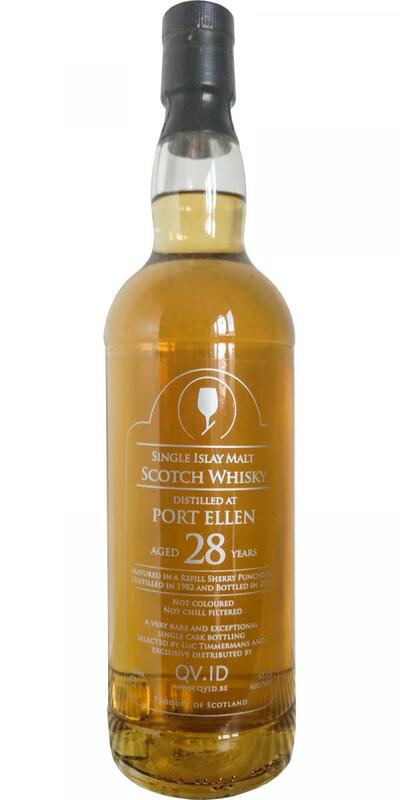 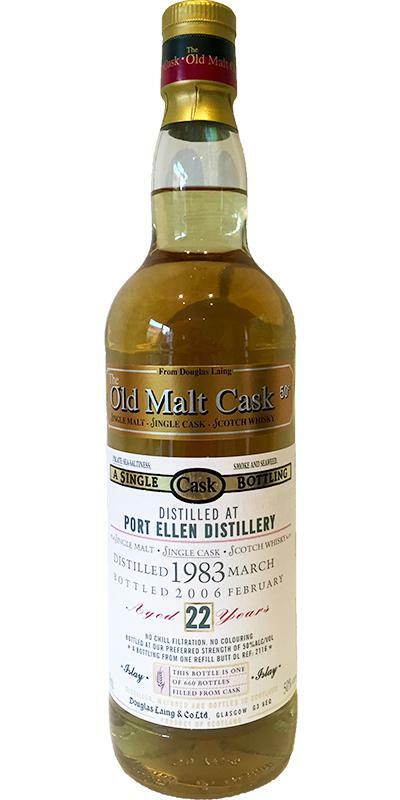 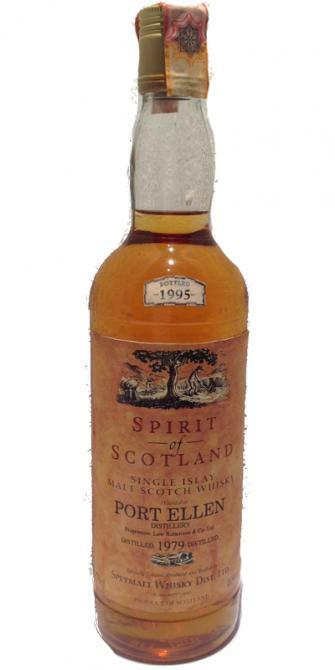 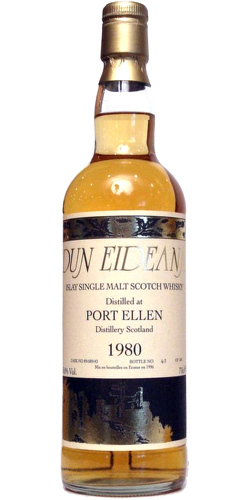 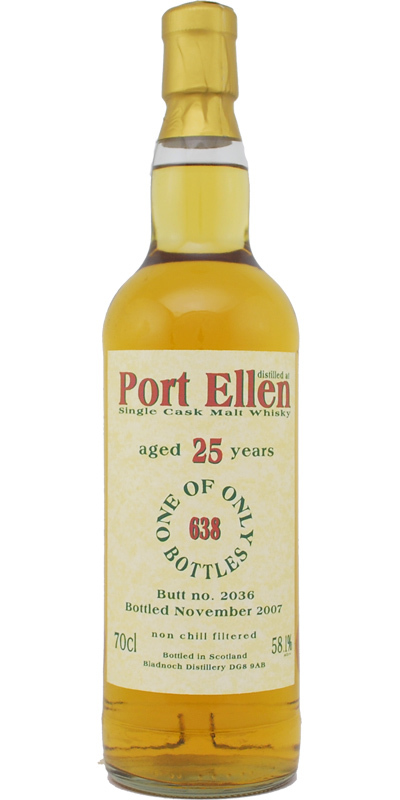 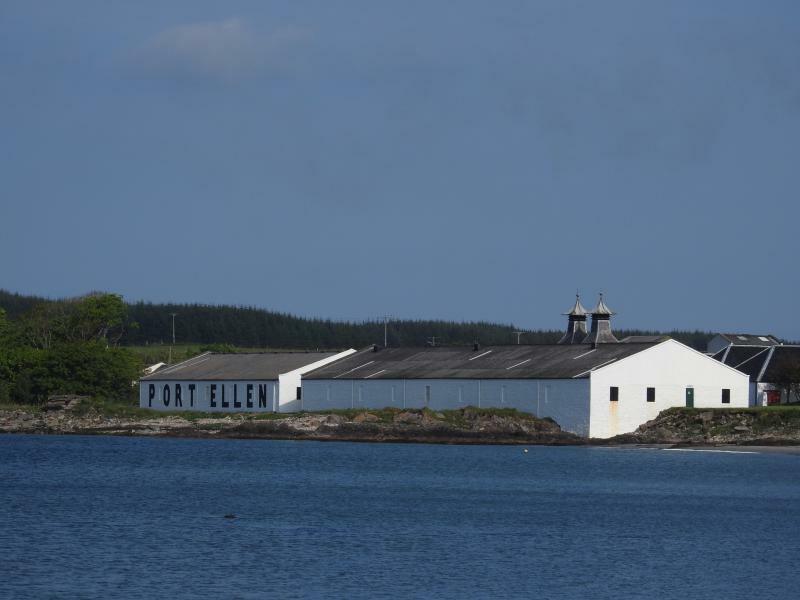 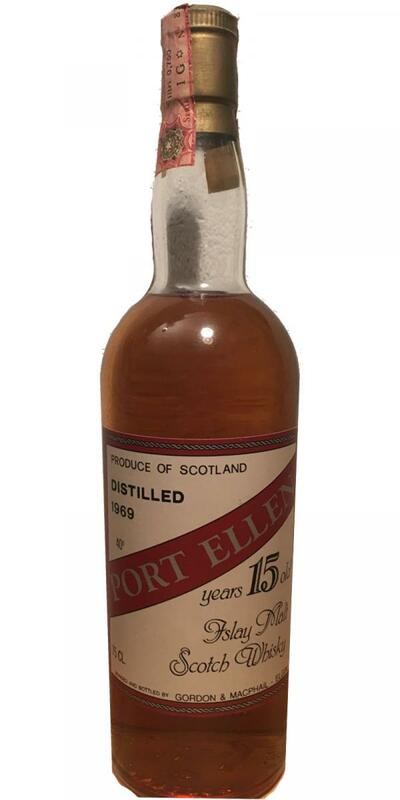 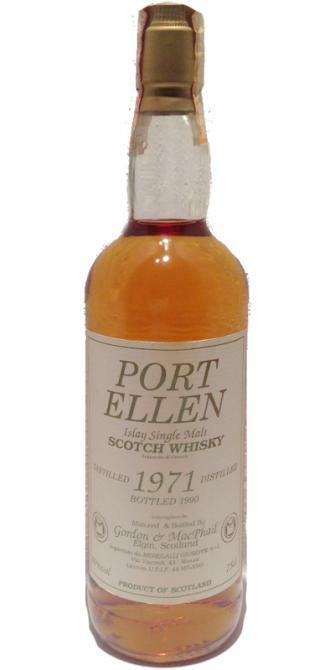 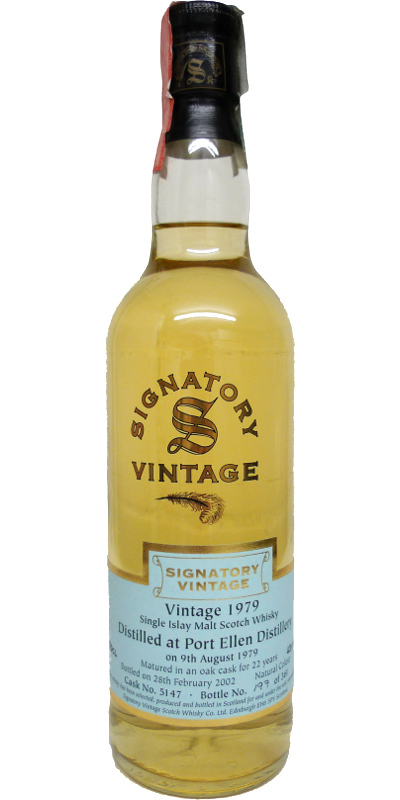 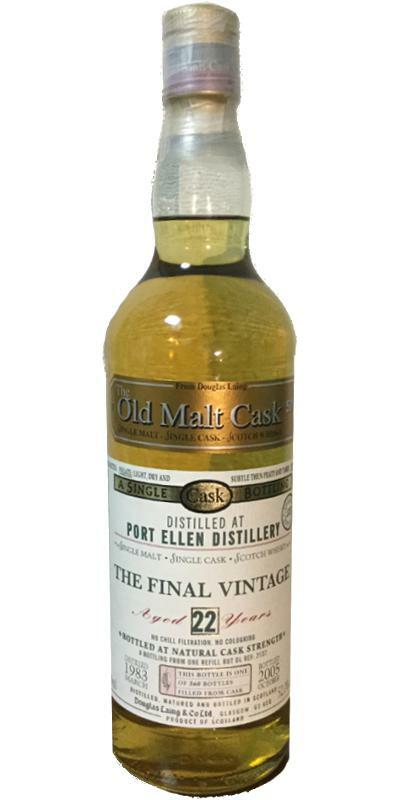 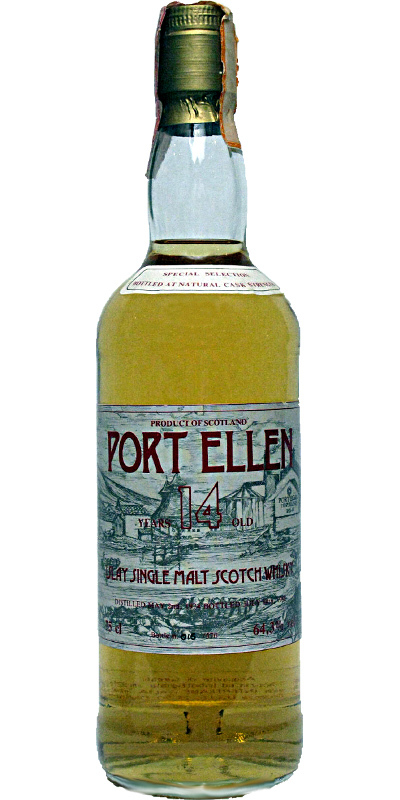 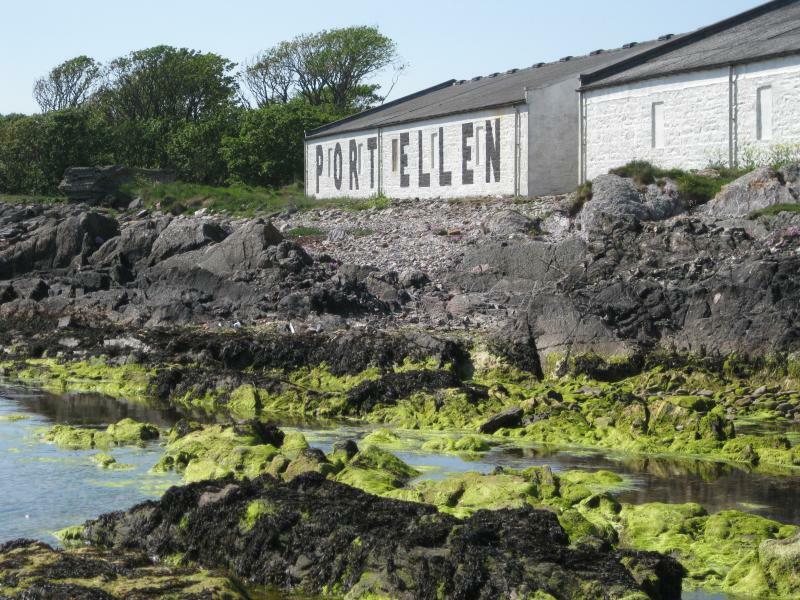 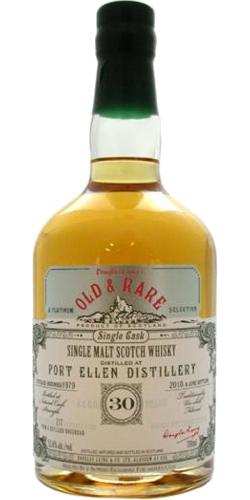 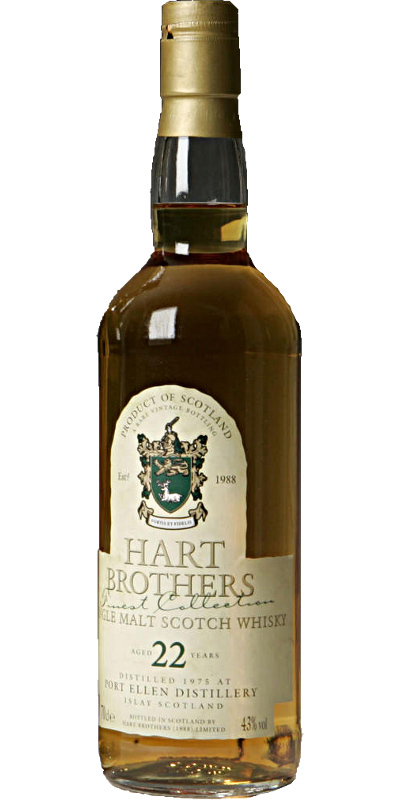 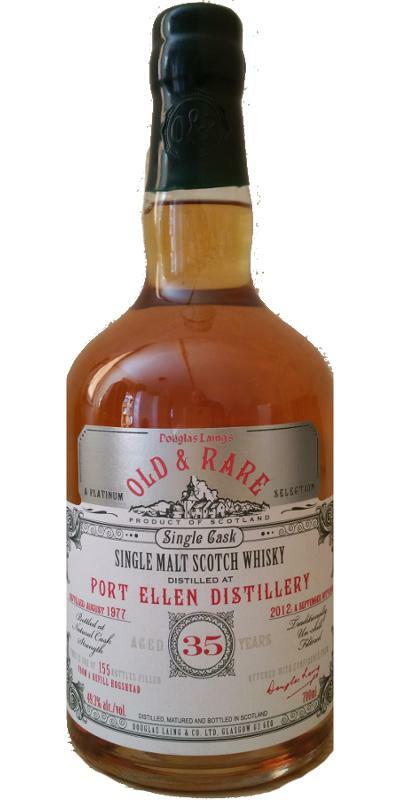 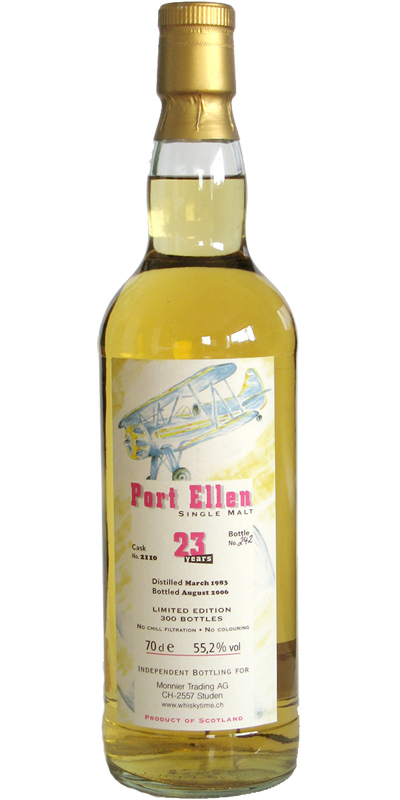 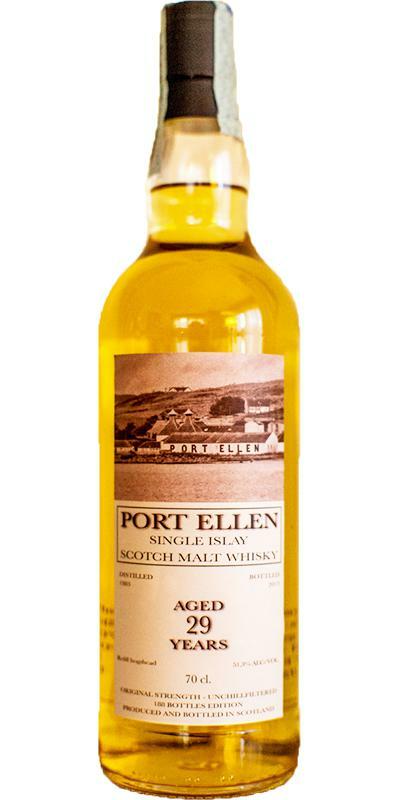 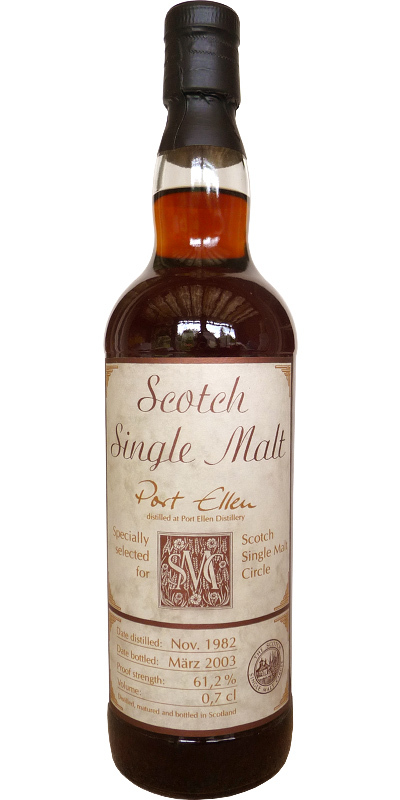 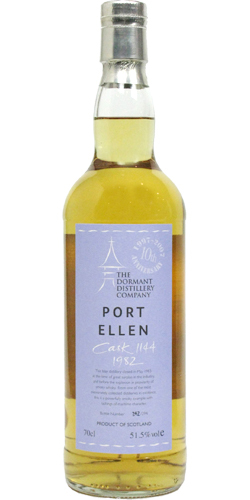 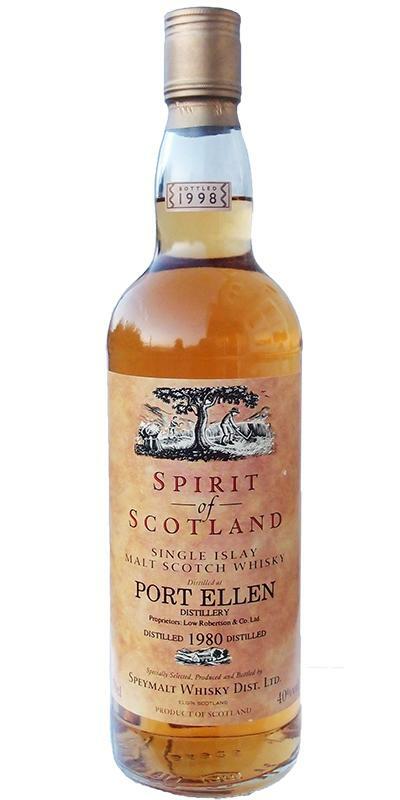 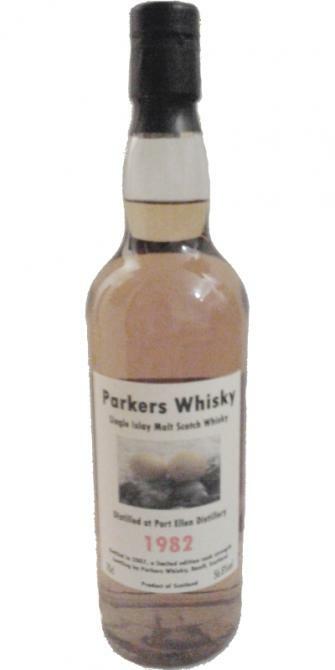 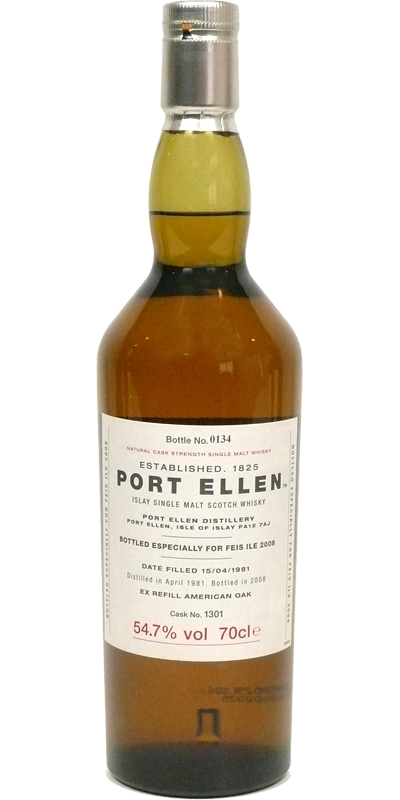 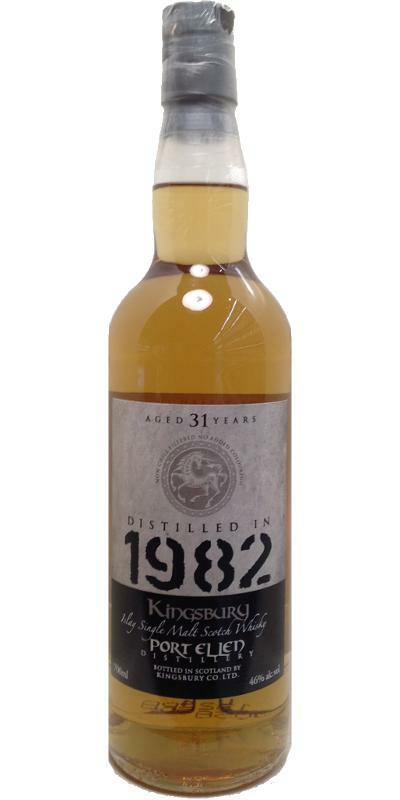 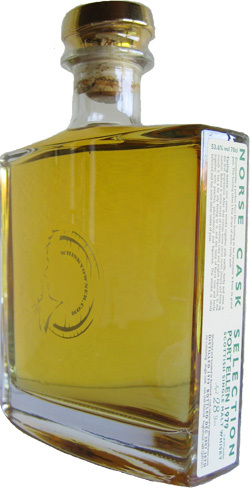 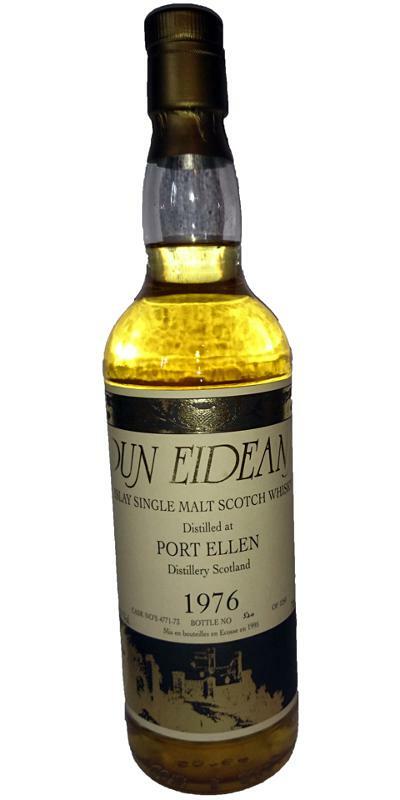 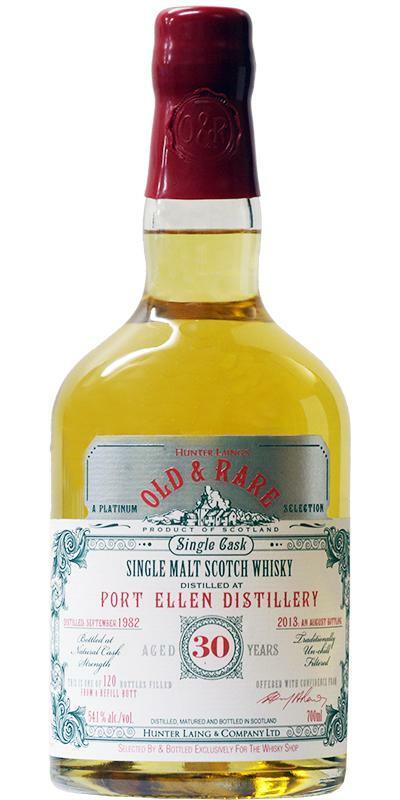 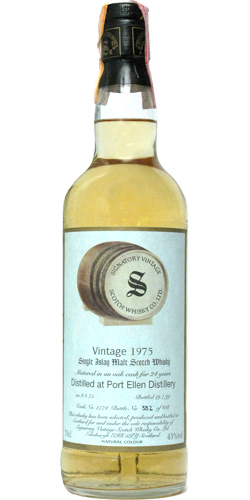 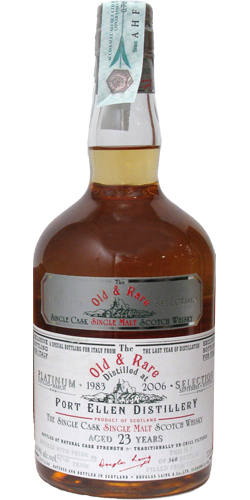 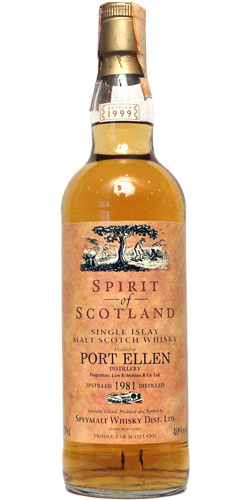 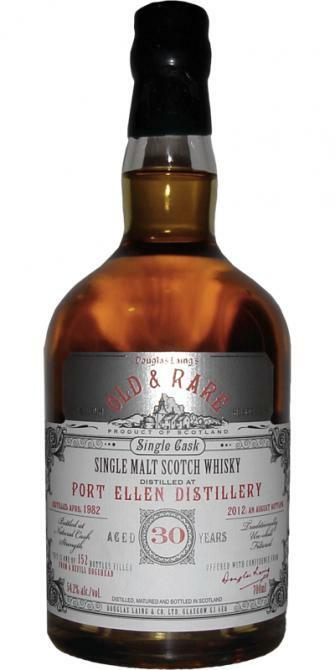 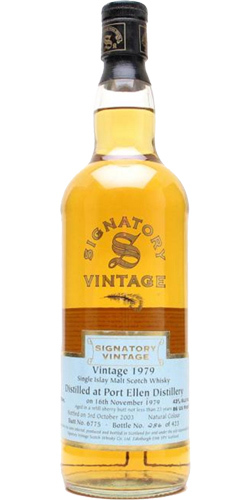 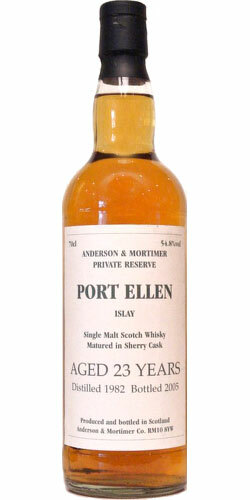 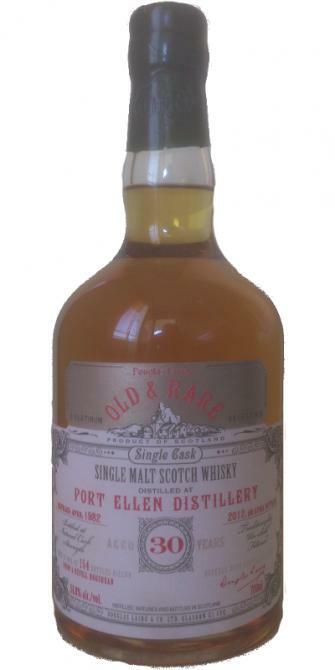 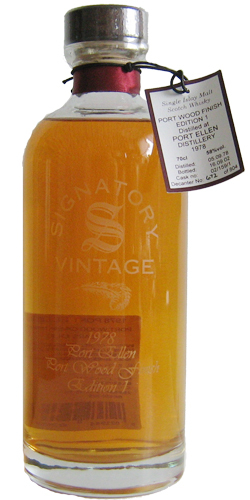 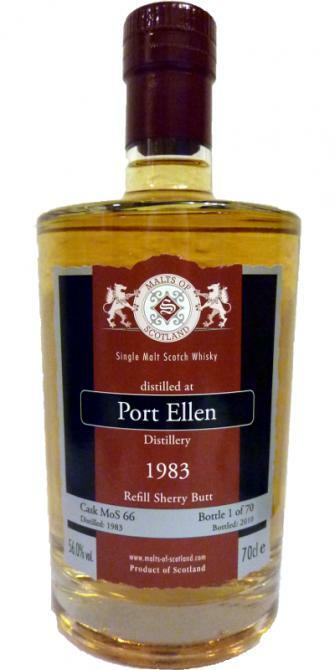 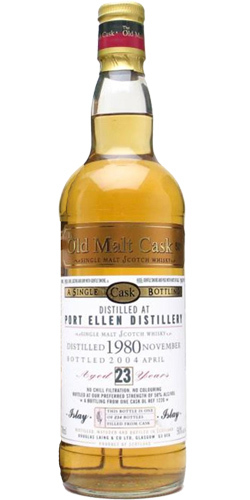 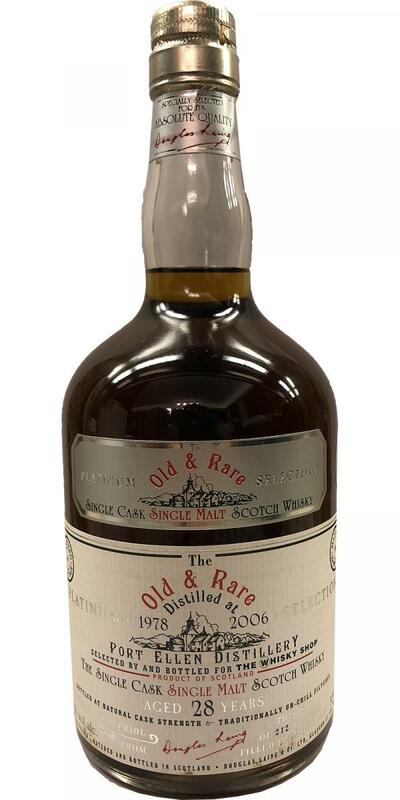 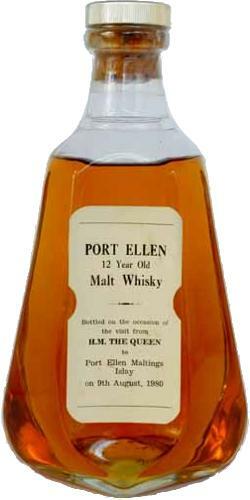 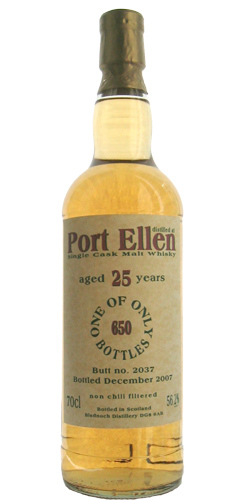 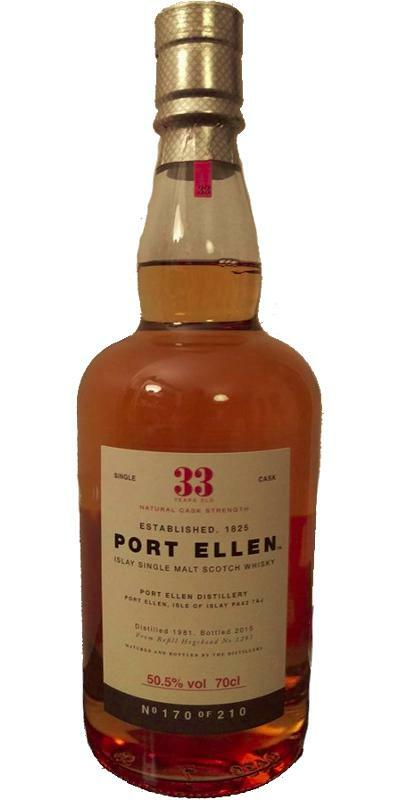 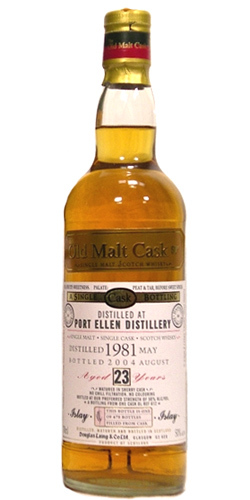 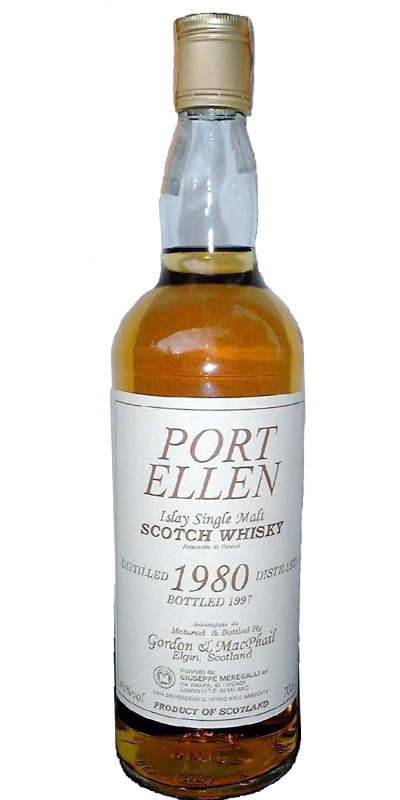 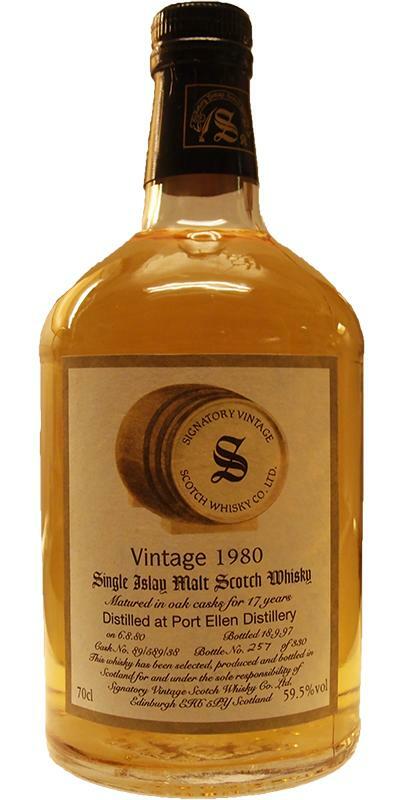 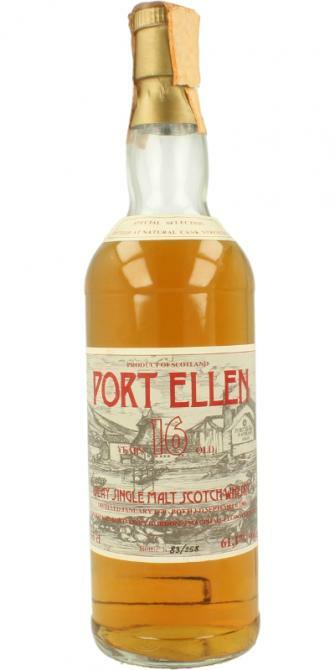 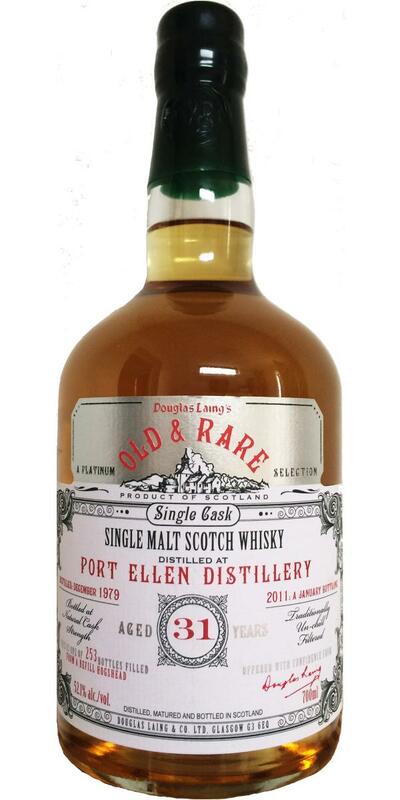 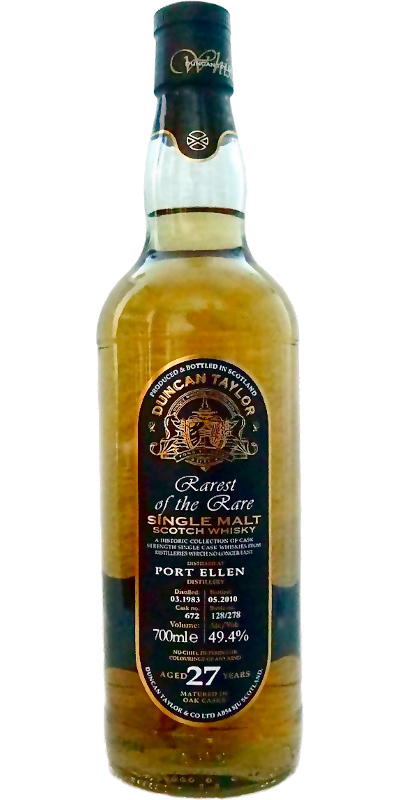 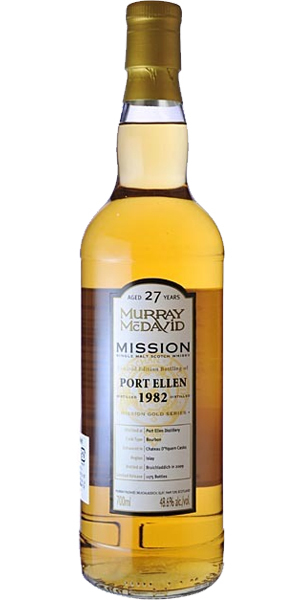 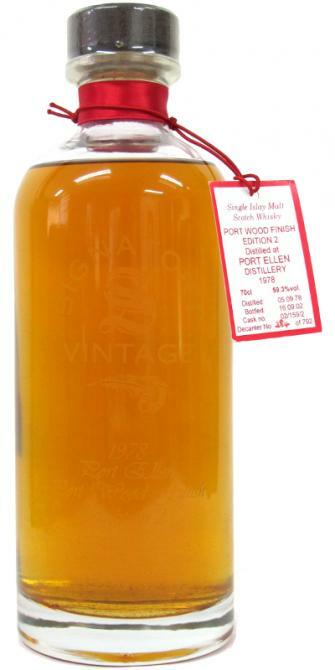 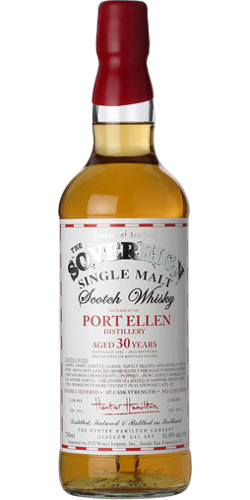 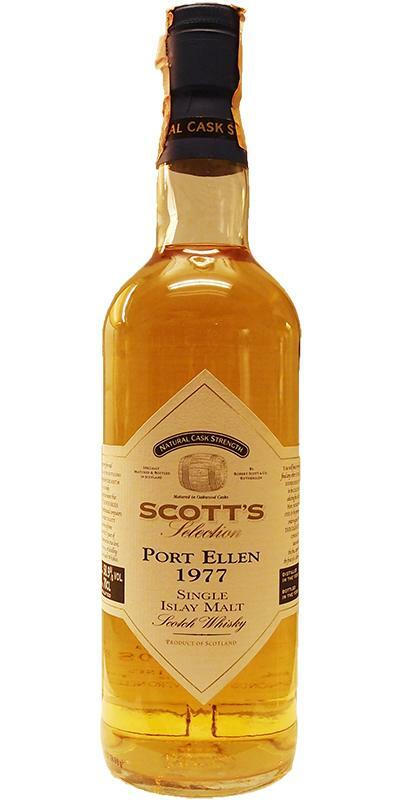 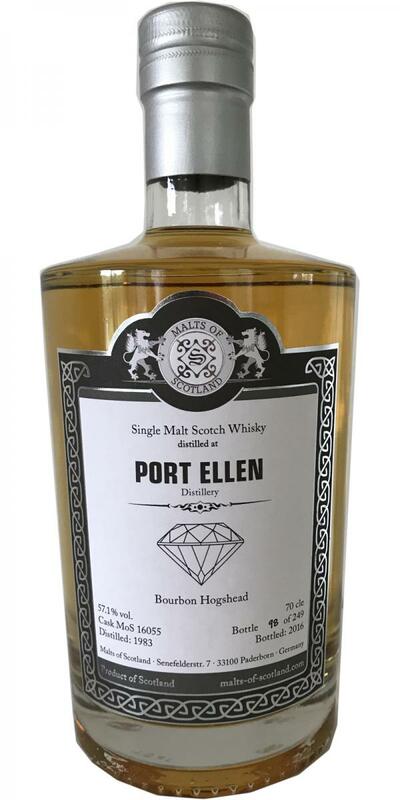 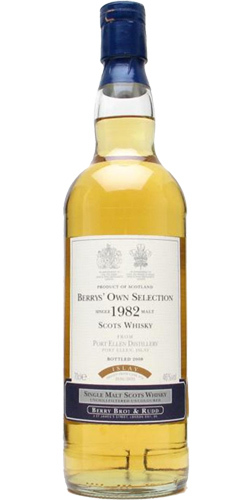 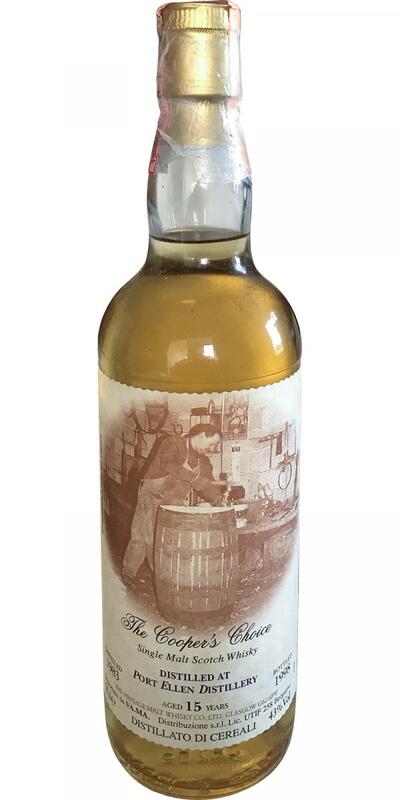 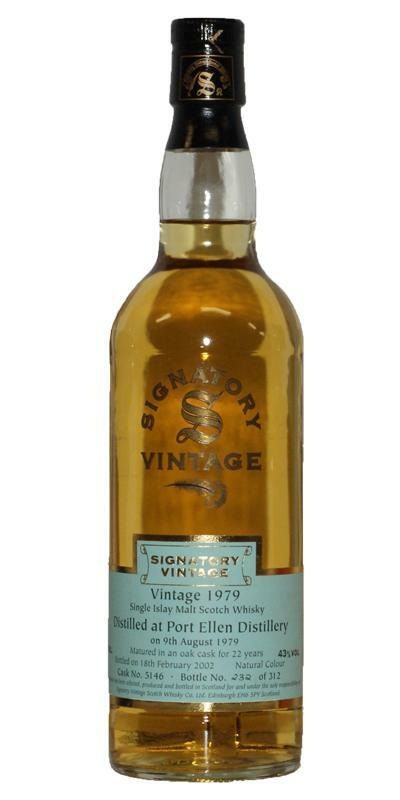 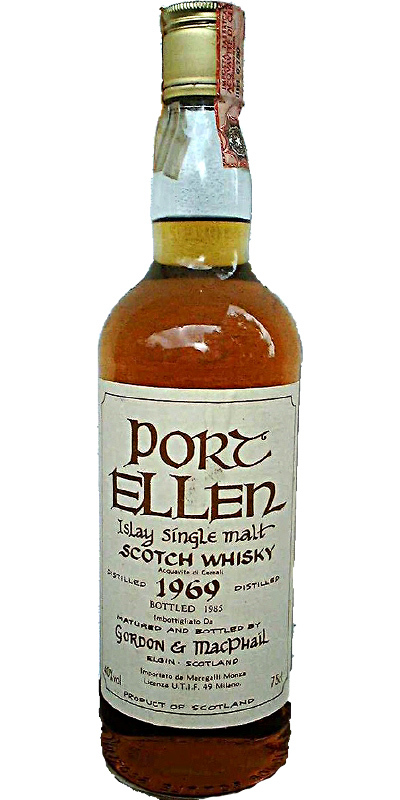 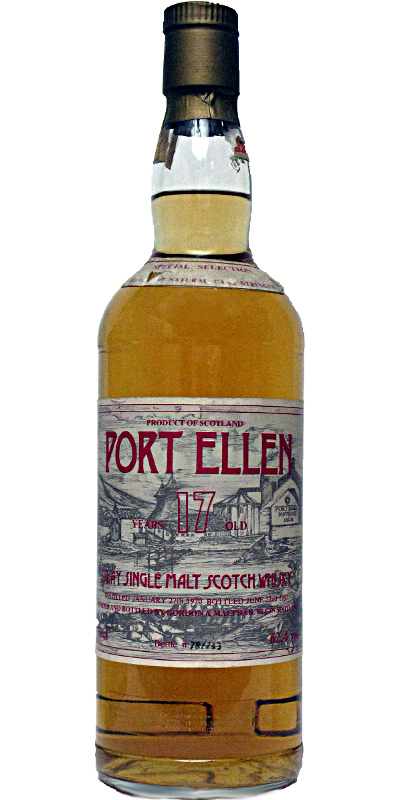 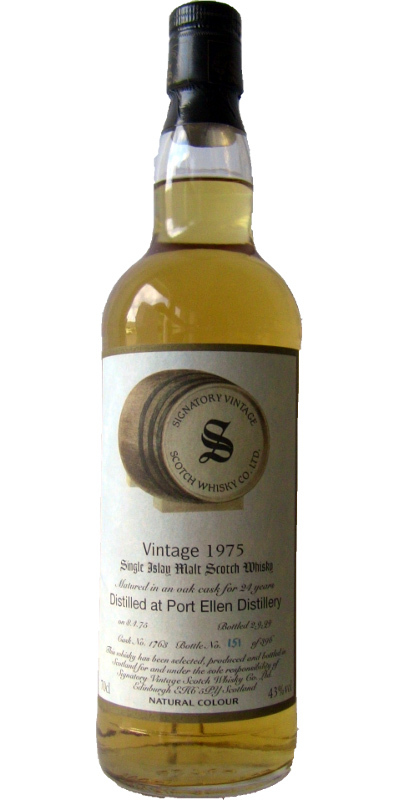 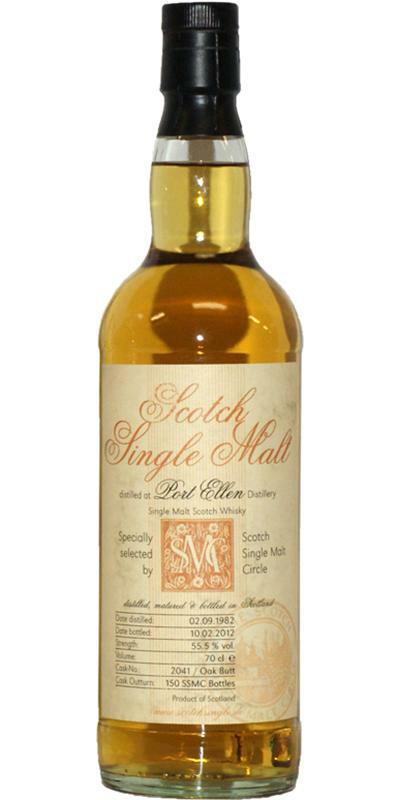 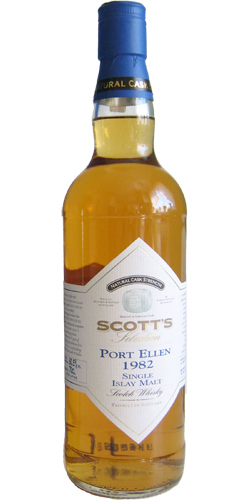 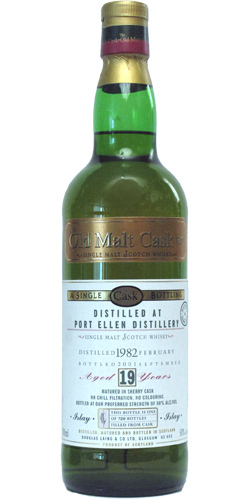 Port Ellen 1982 Sms Tir Nan Og 55.6 % Vol. 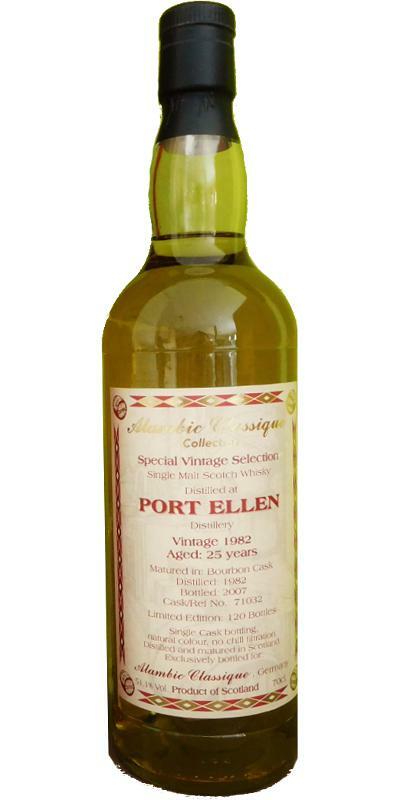 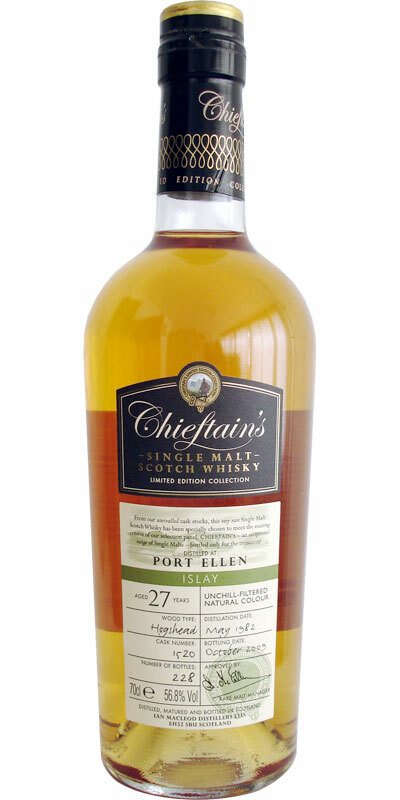 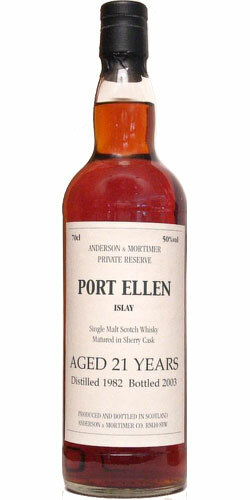 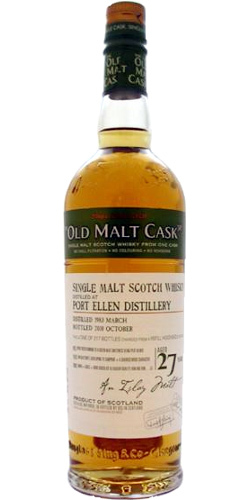 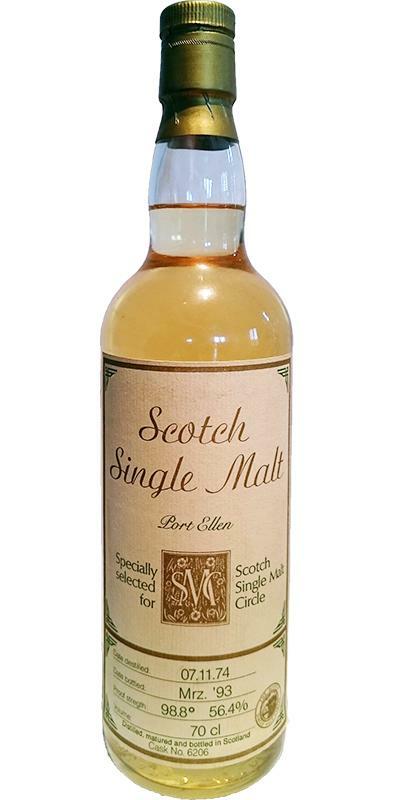 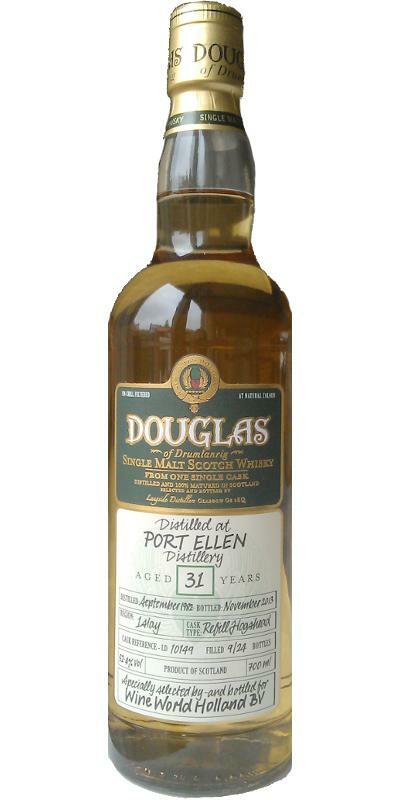 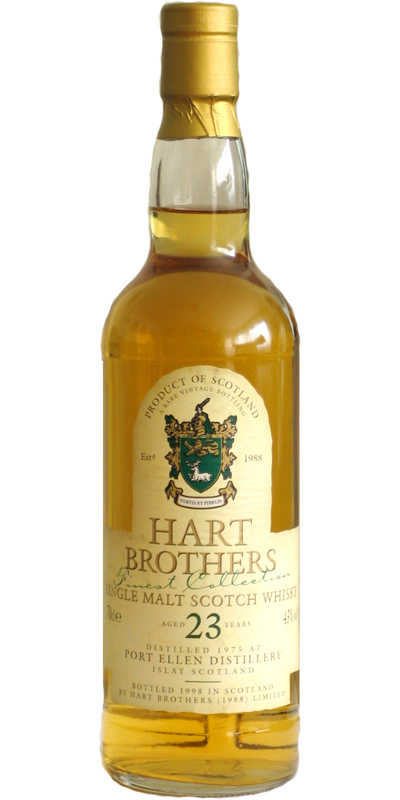 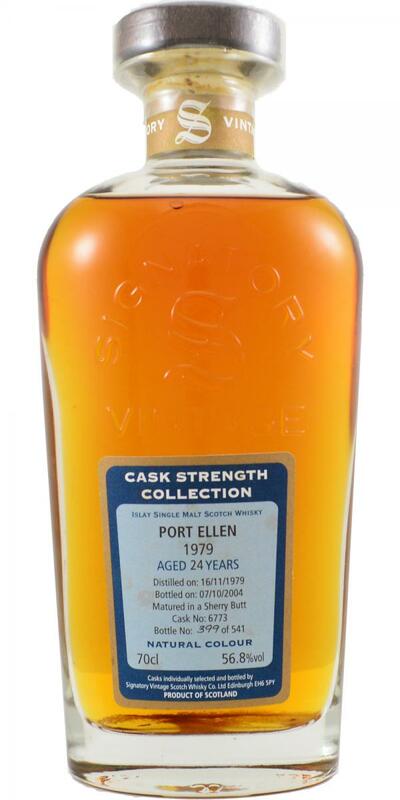 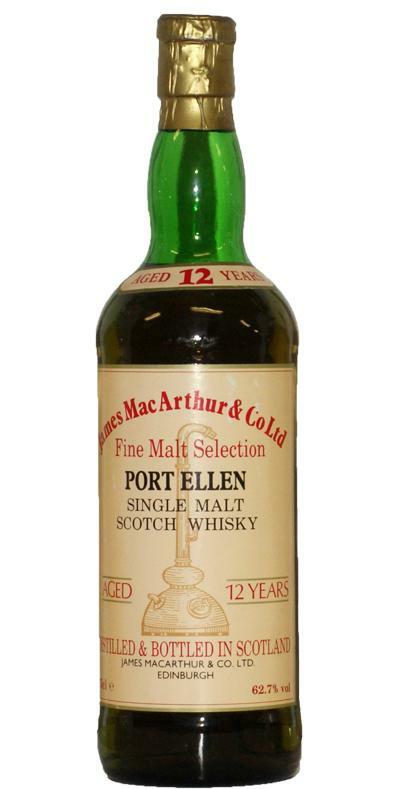 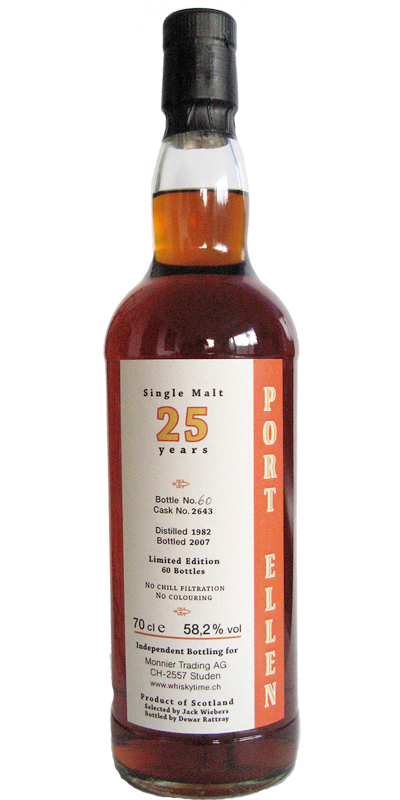 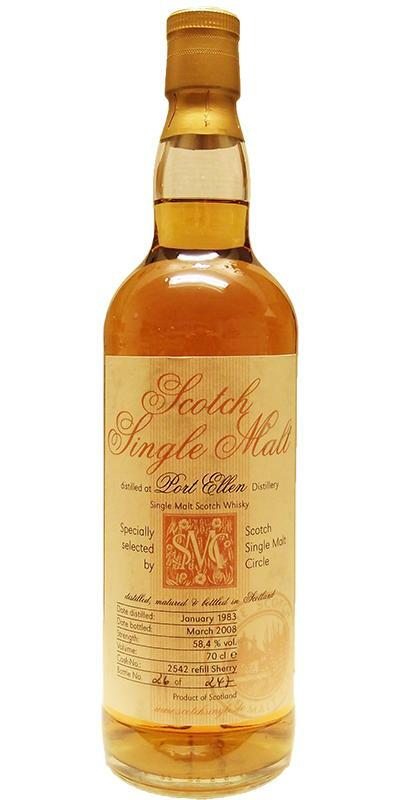 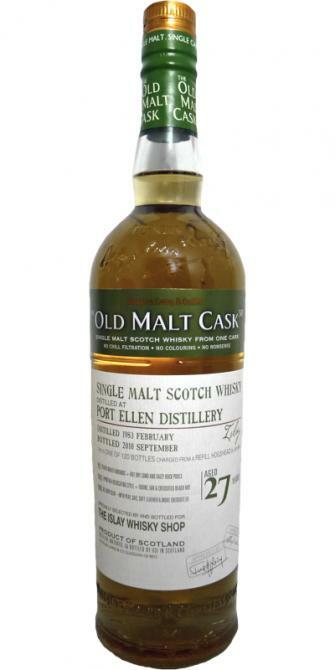 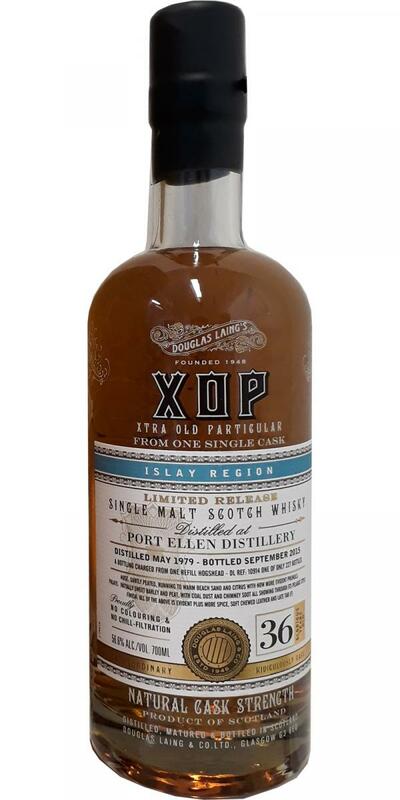 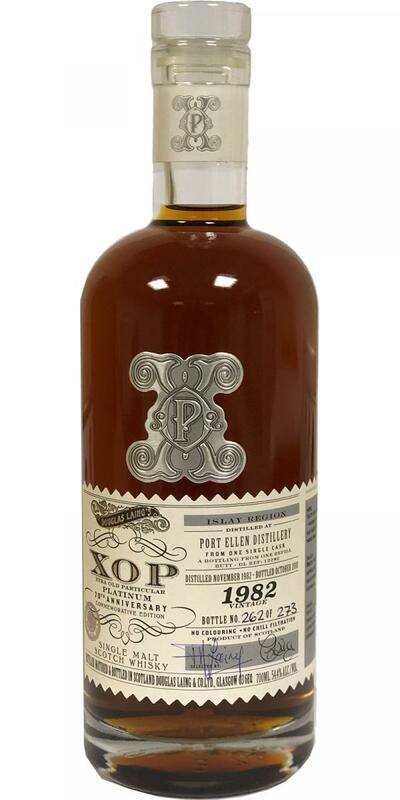 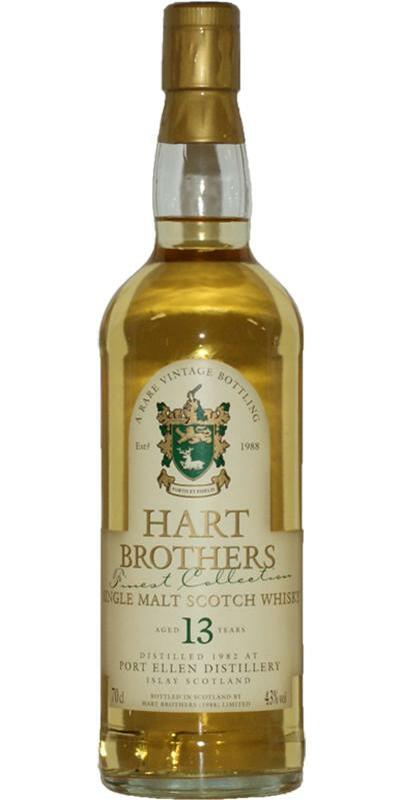 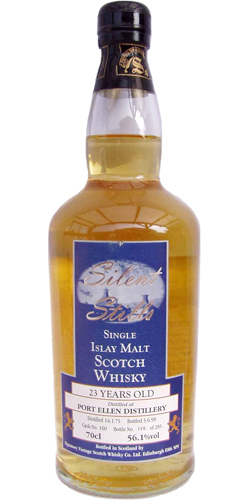 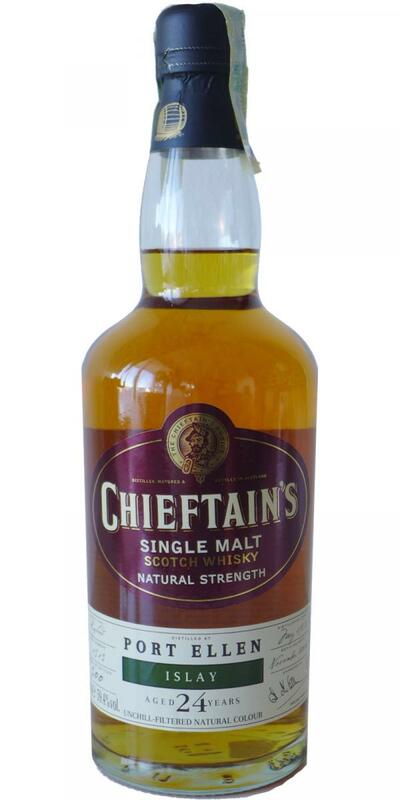 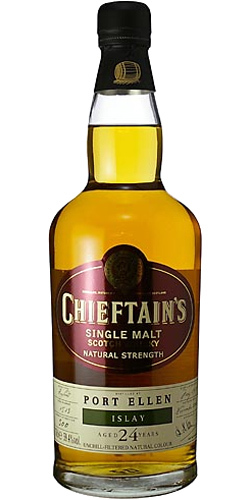 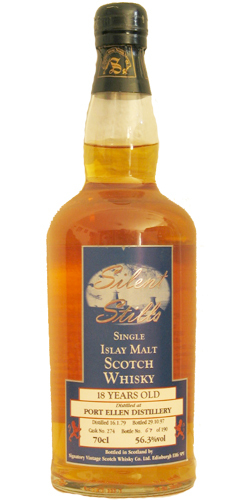 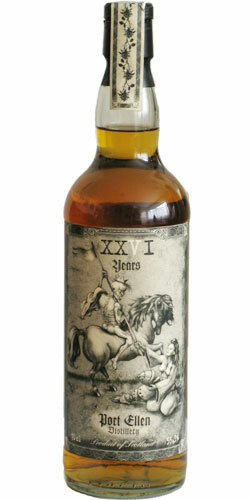 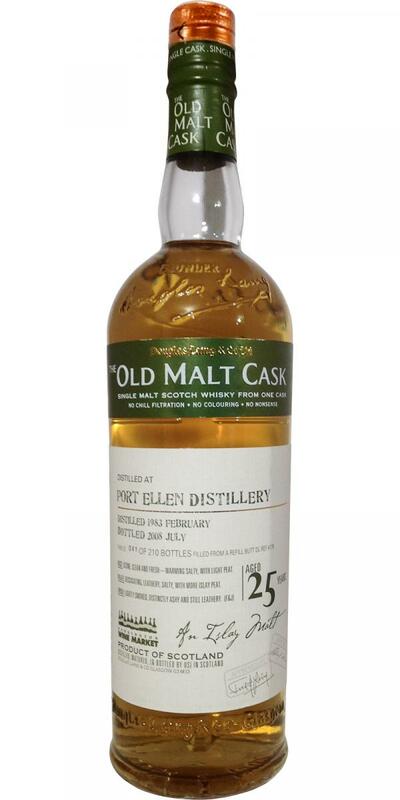 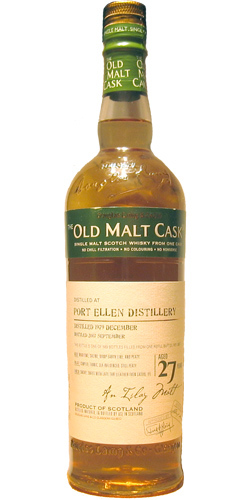 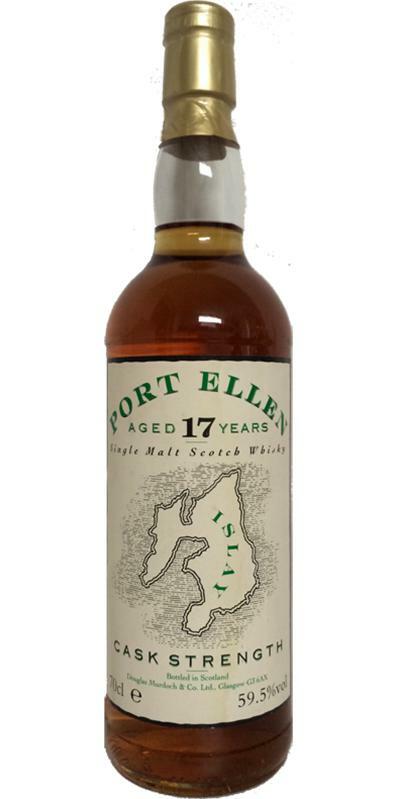 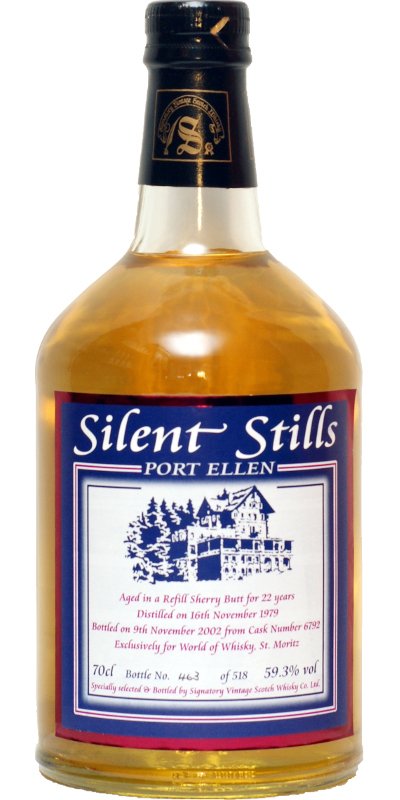 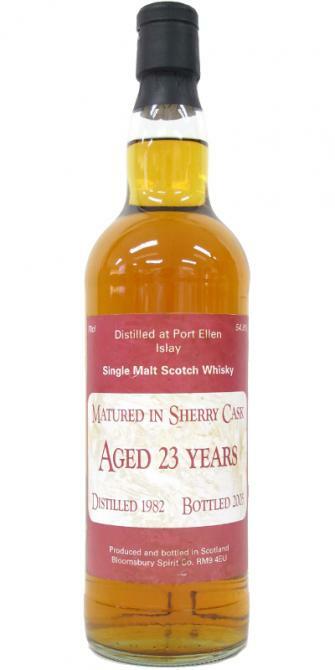 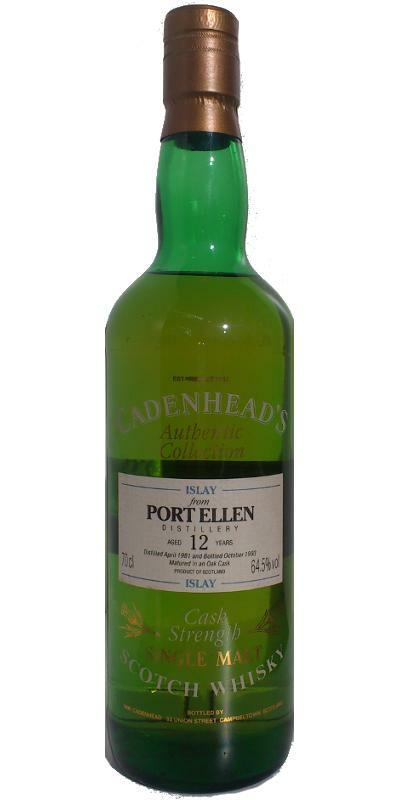 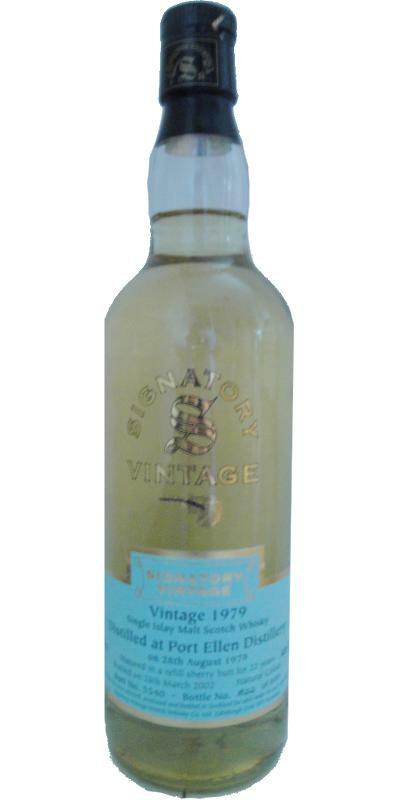 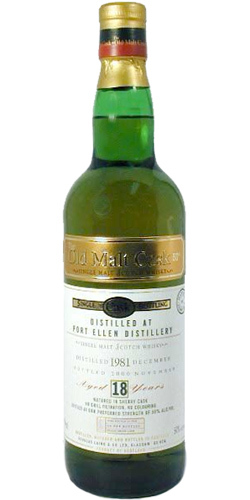 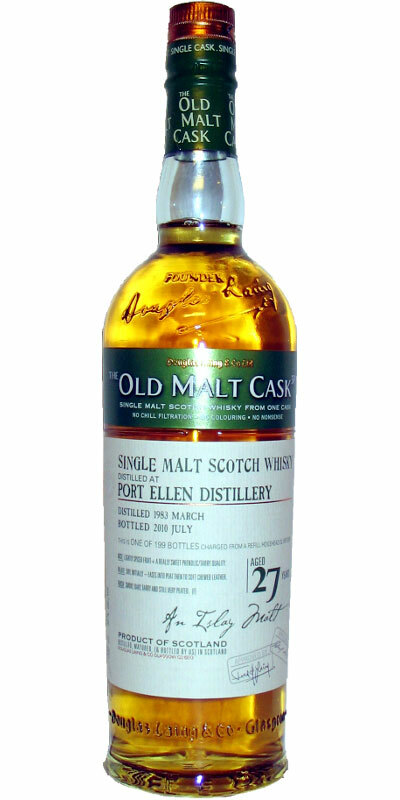 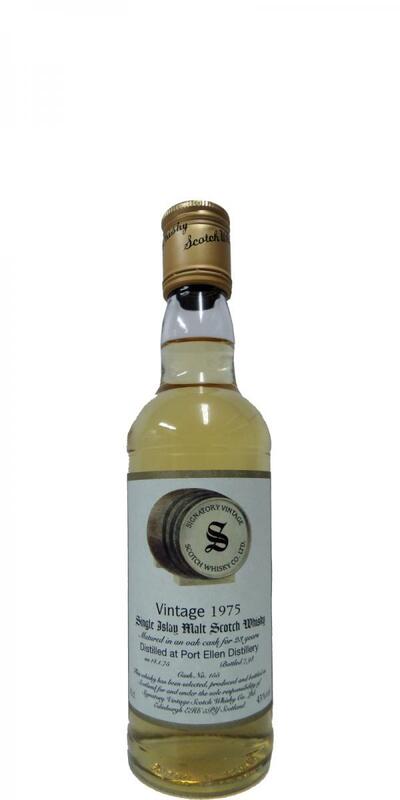 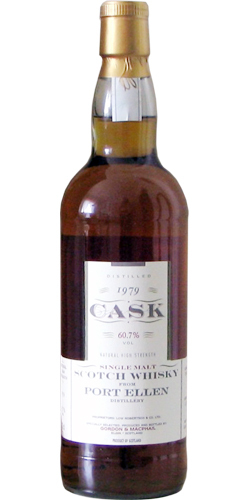 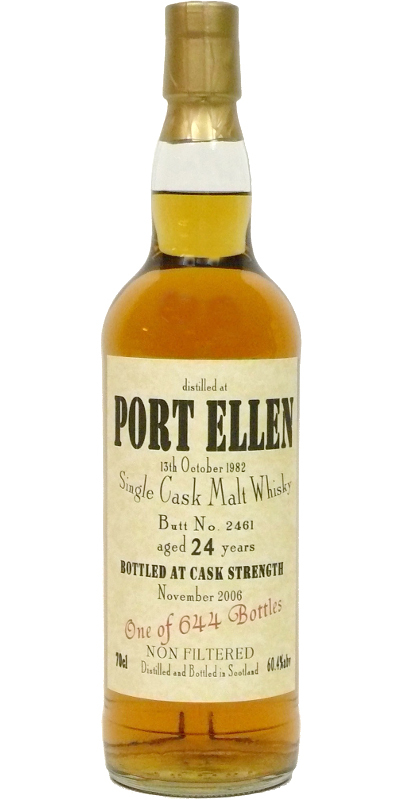 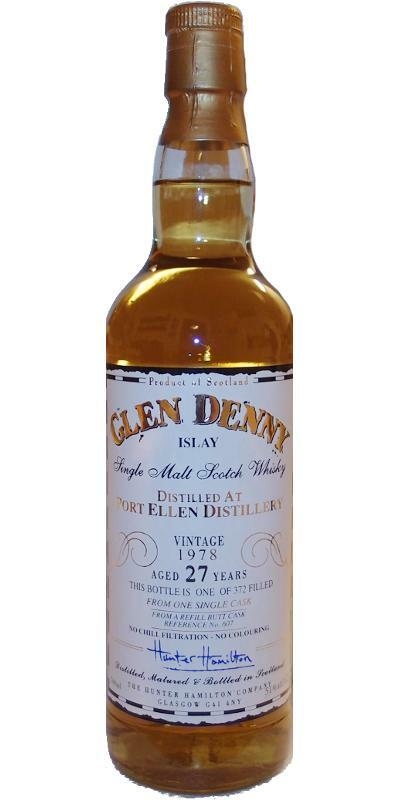 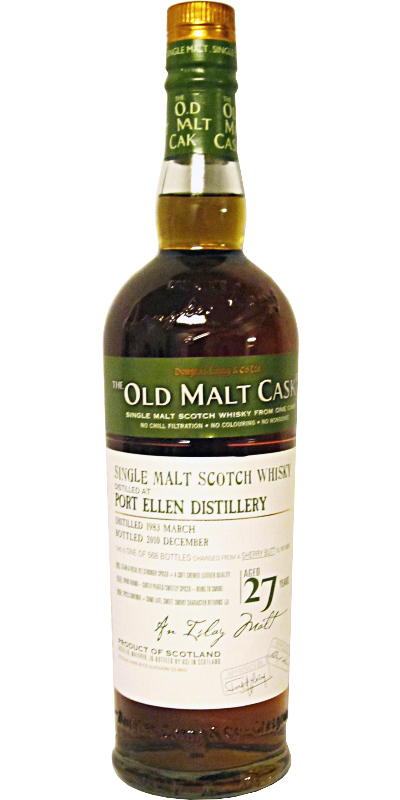 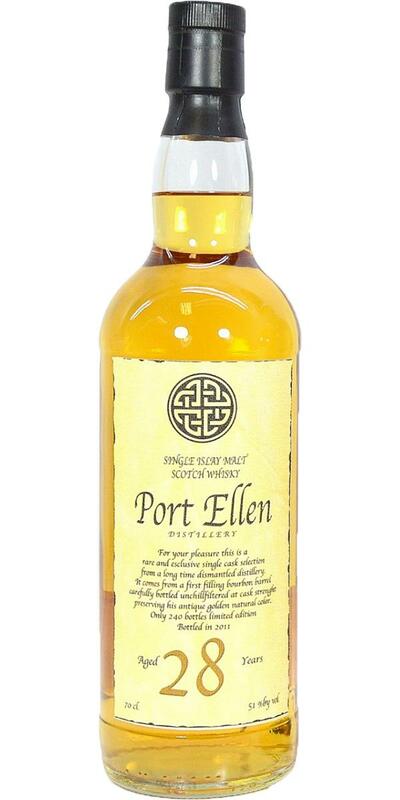 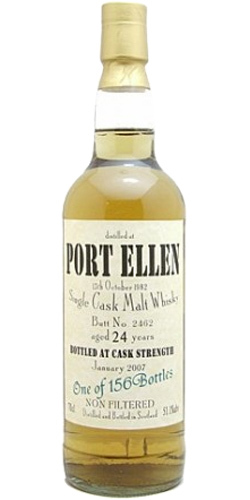 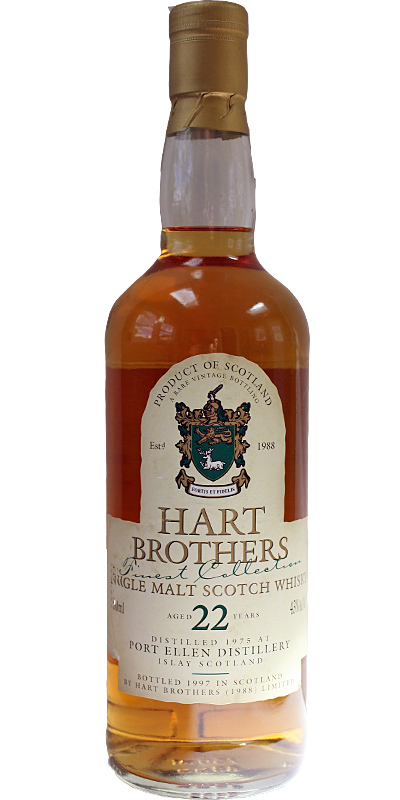 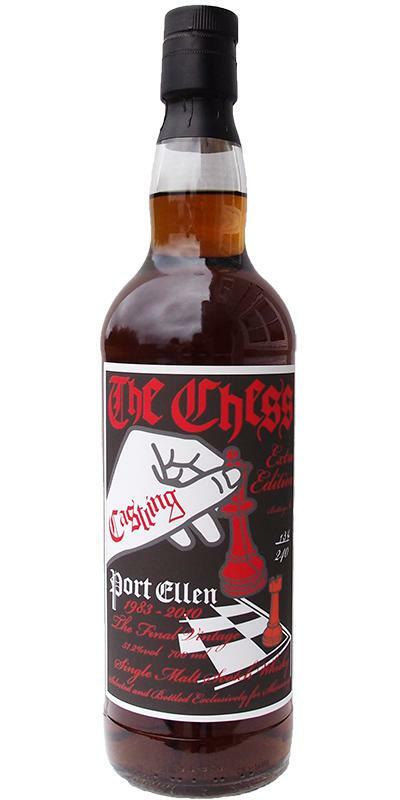 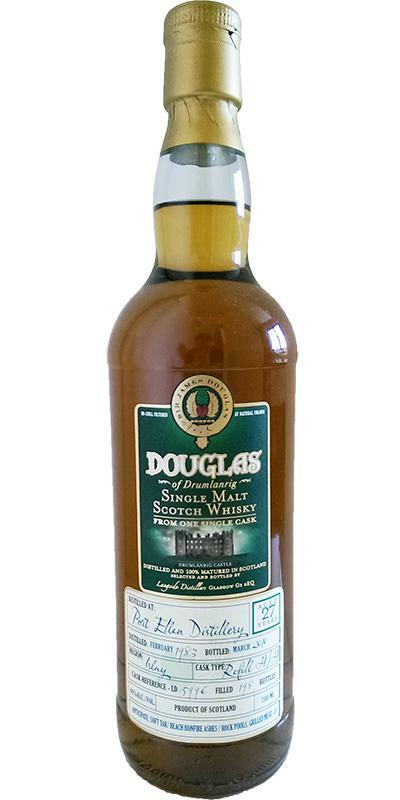 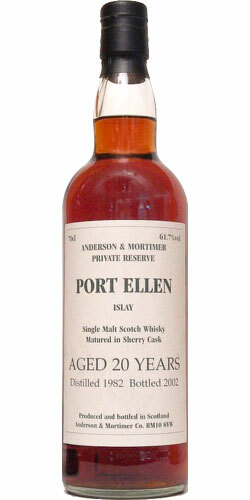 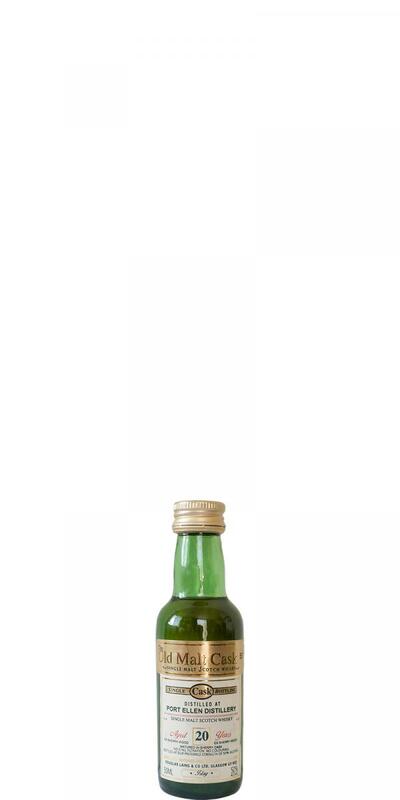 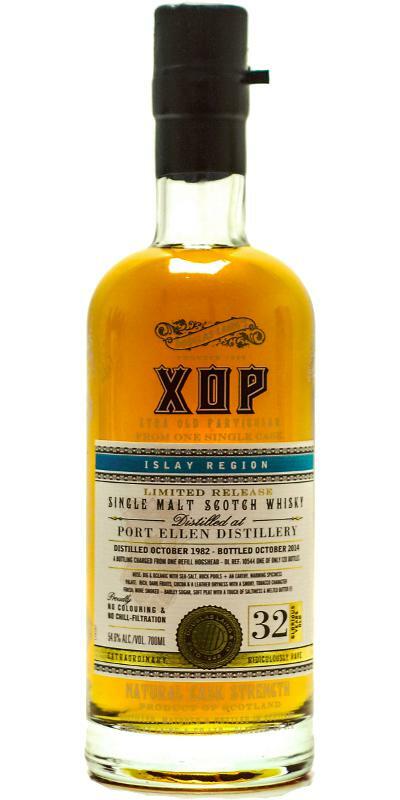 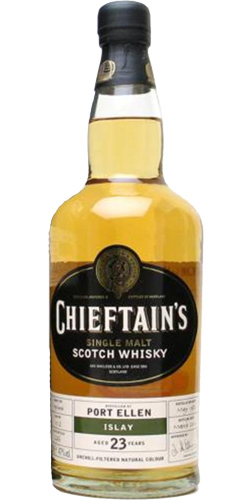 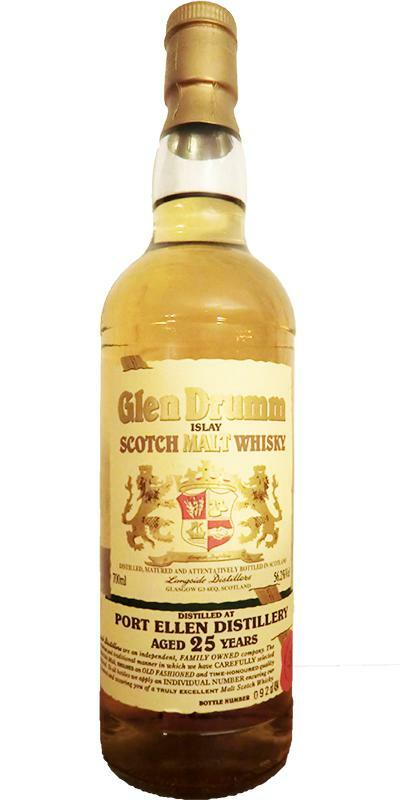 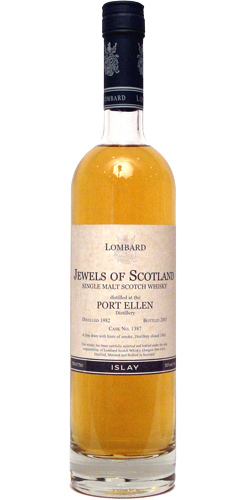 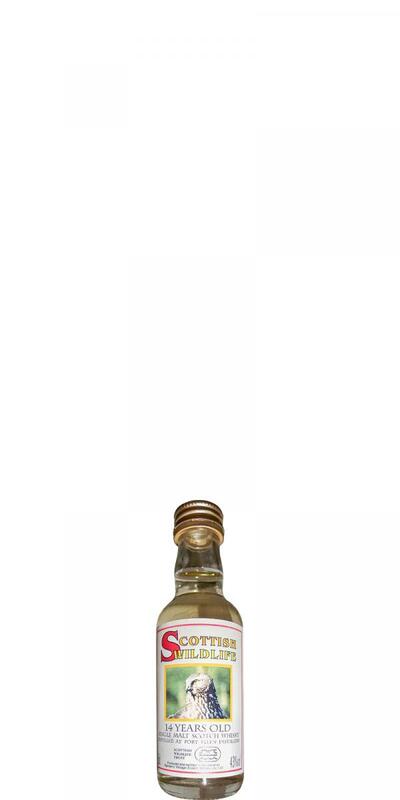 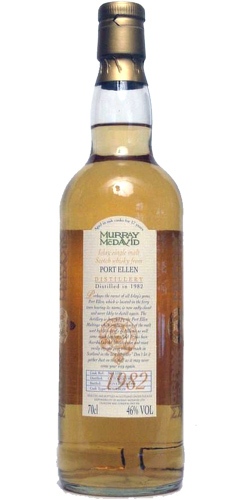 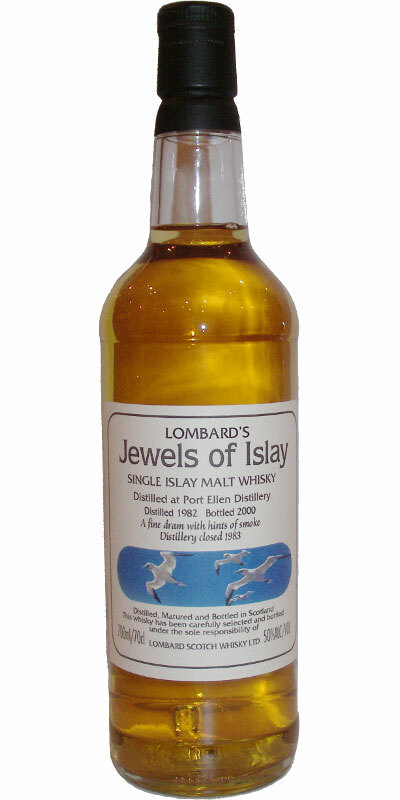 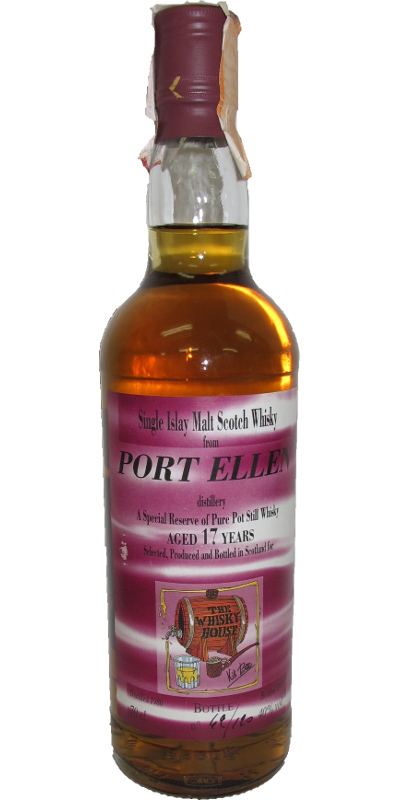 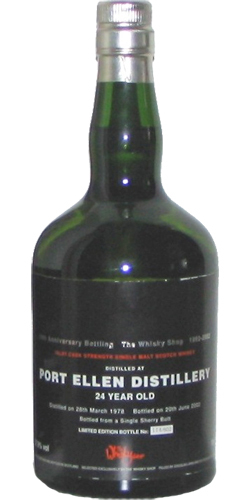 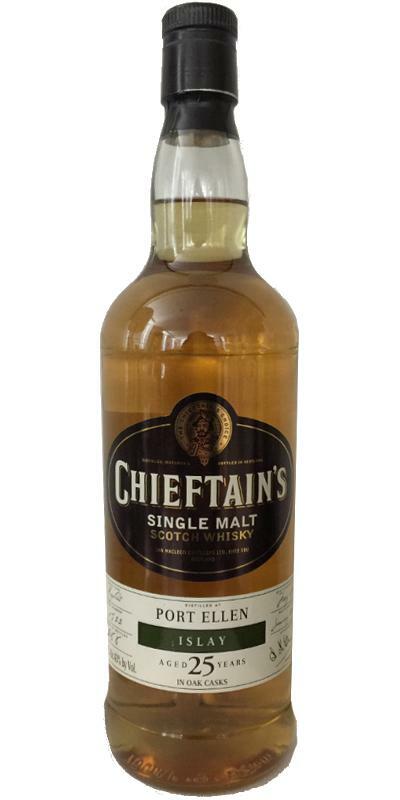 Port Ellen 1982 Sms Celtic Cross 24 46.0 % Vol.